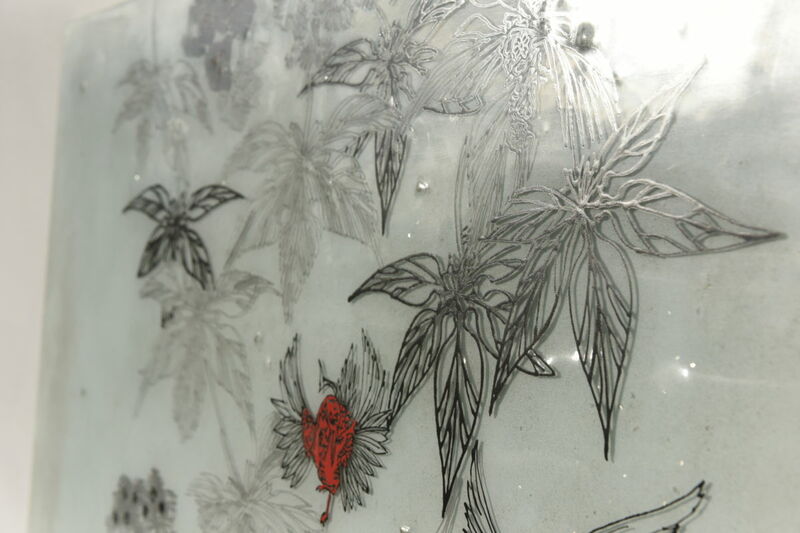 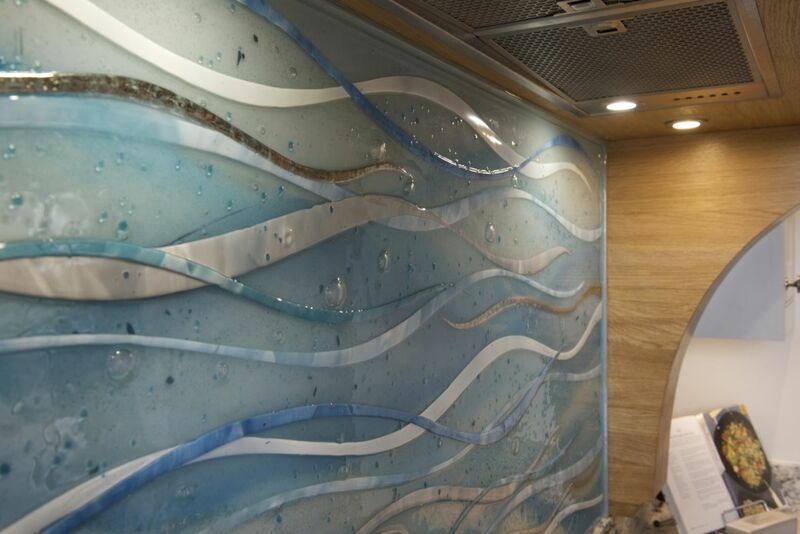 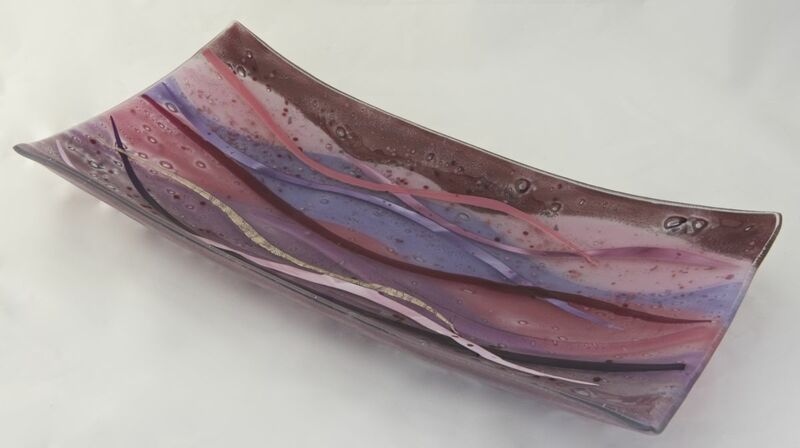 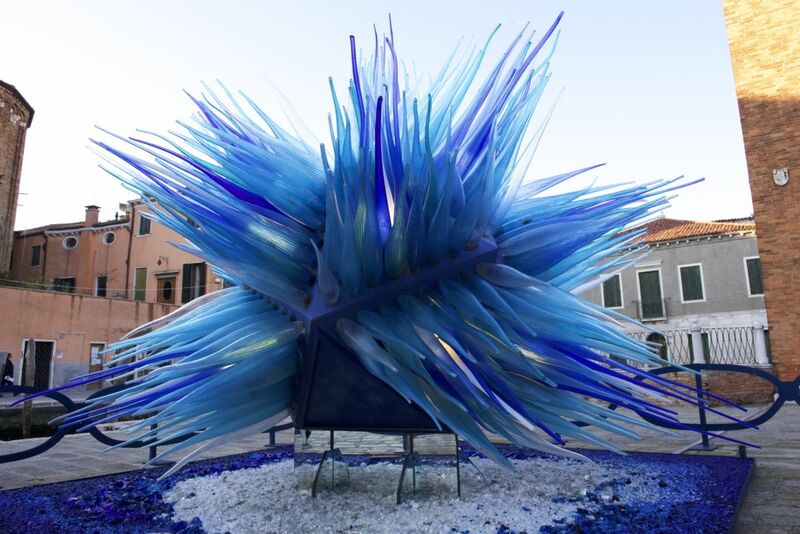 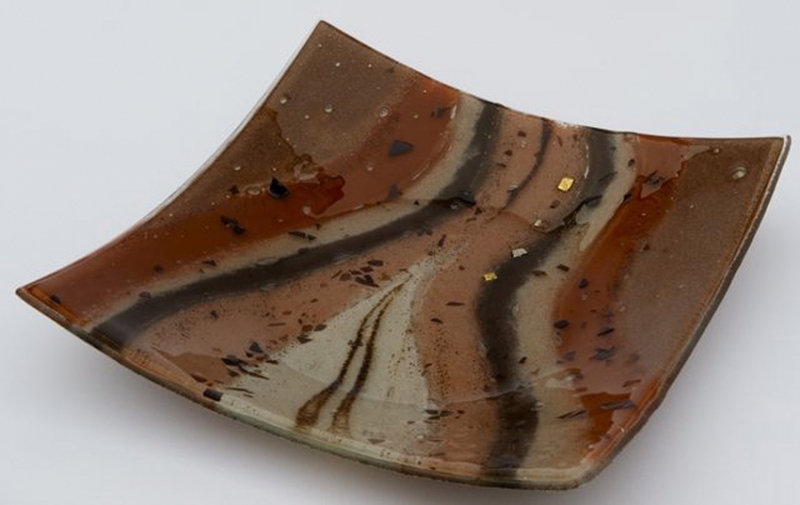 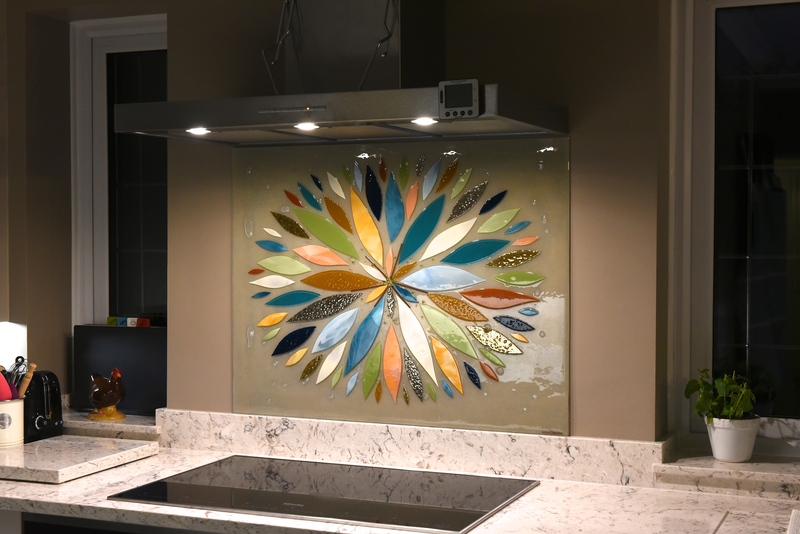 Today, we thought we’d shine the spotlight on something that often goes a little underappreciated when it comes to making art in glass, and that’s the possibility of creating traditional styles on glass instead of a canvas. 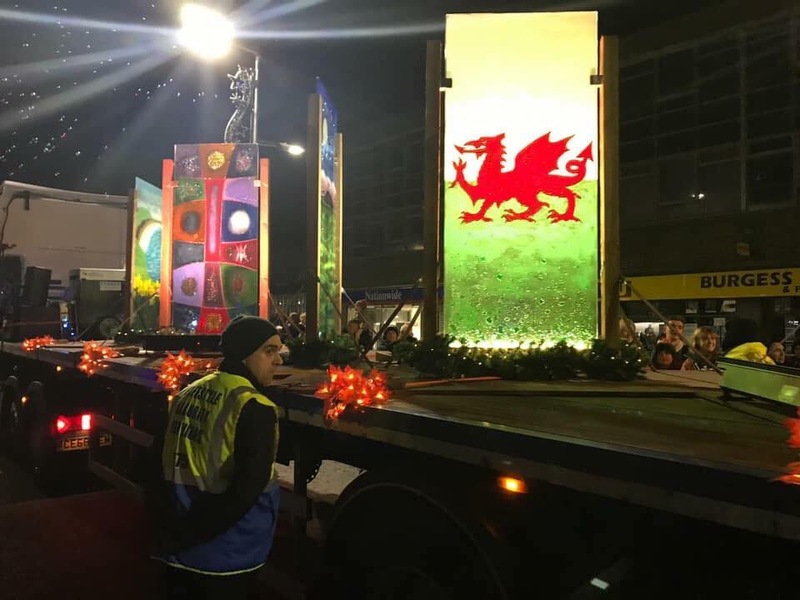 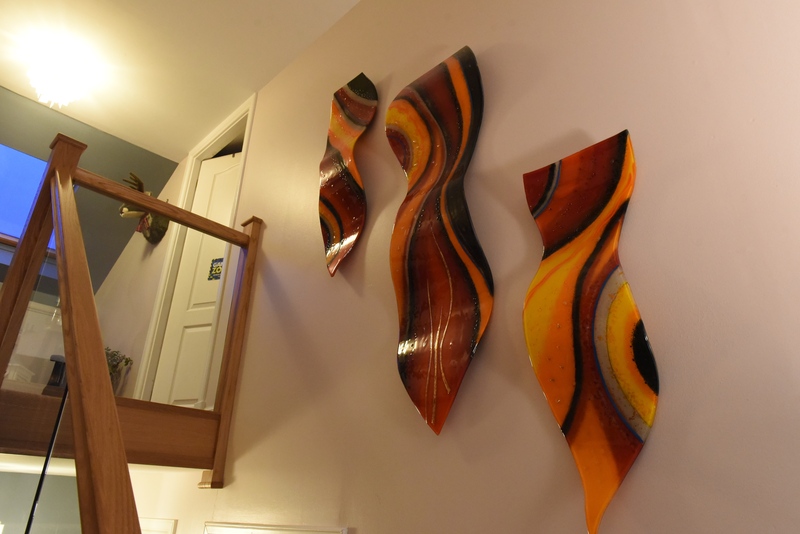 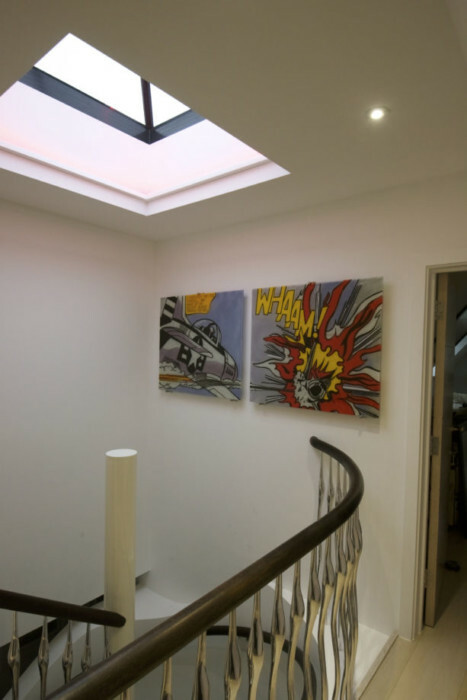 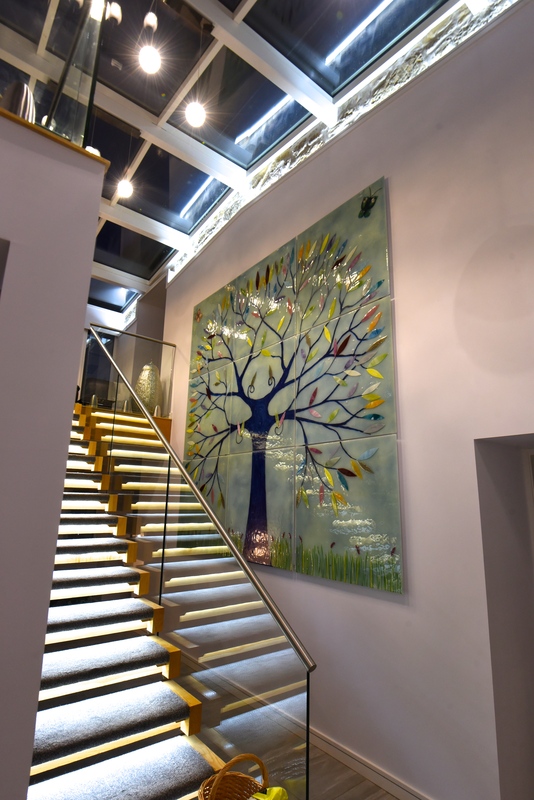 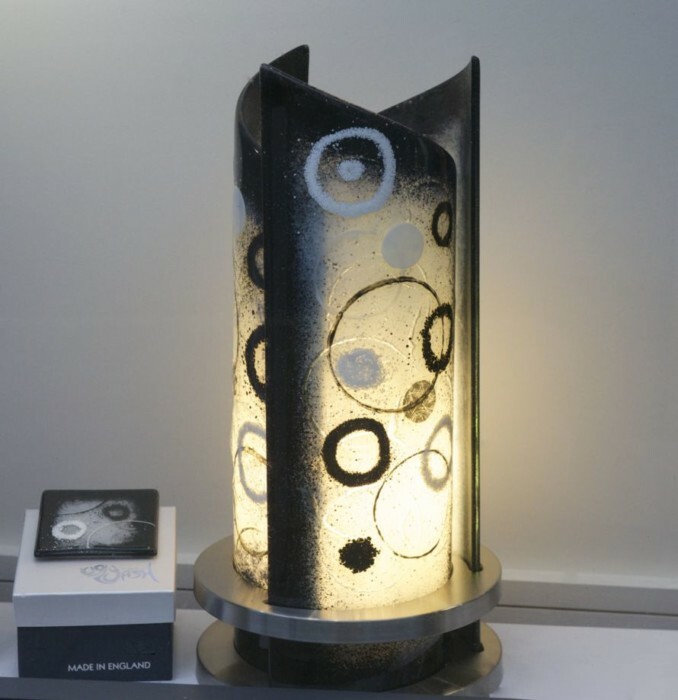 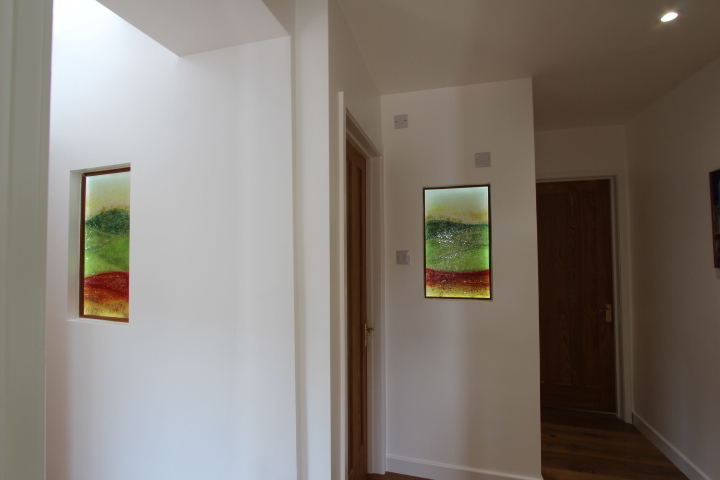 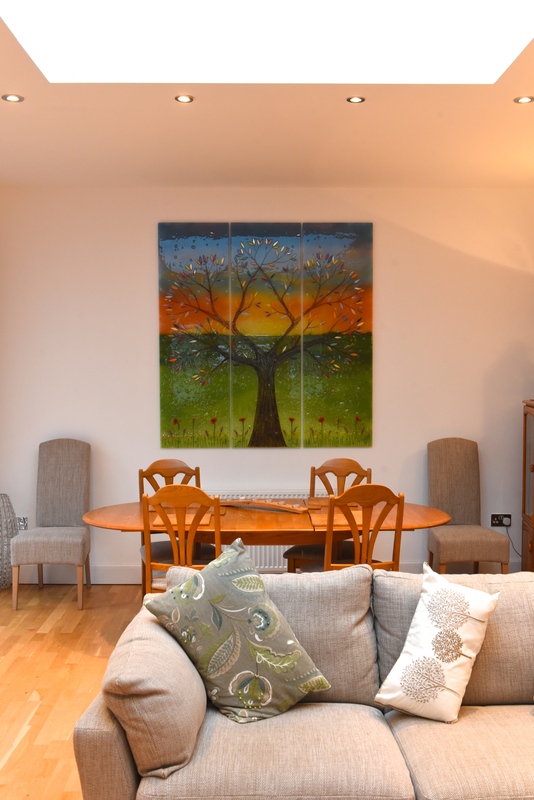 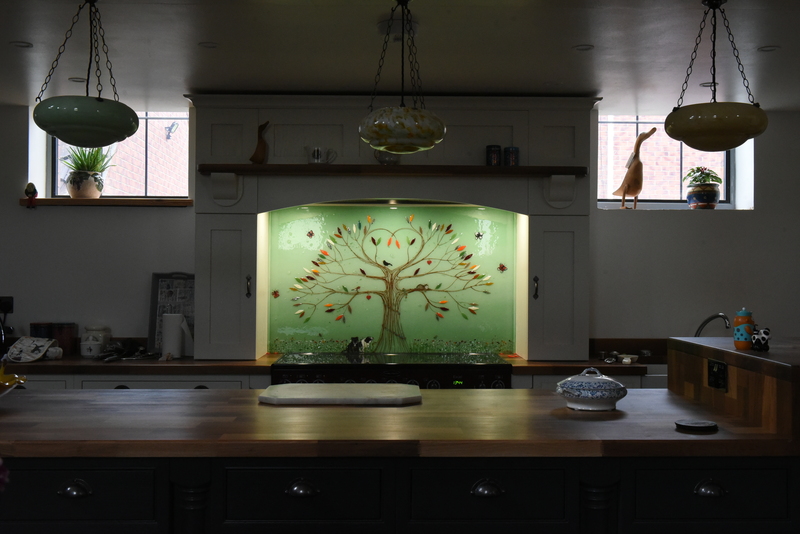 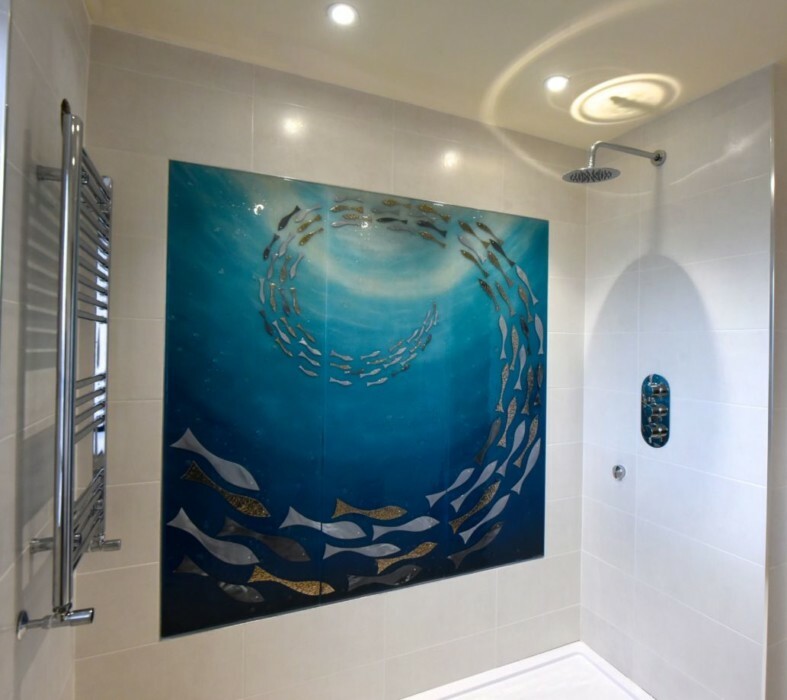 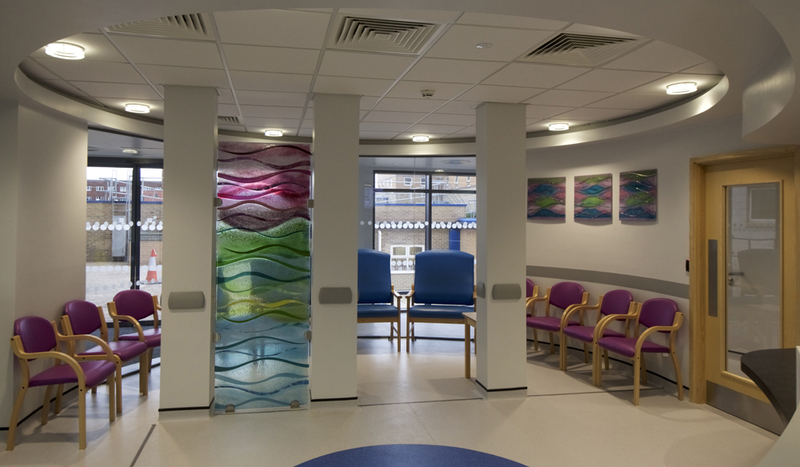 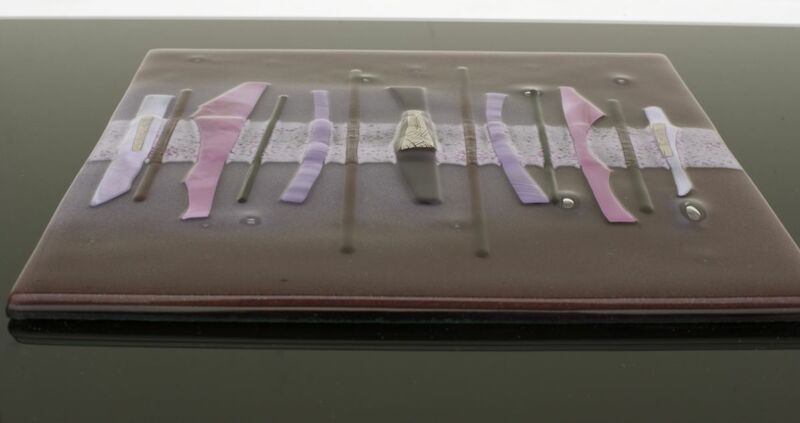 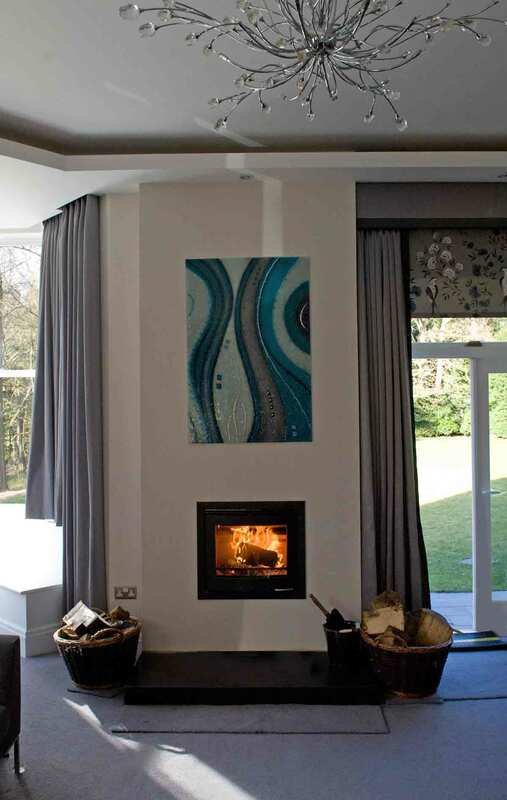 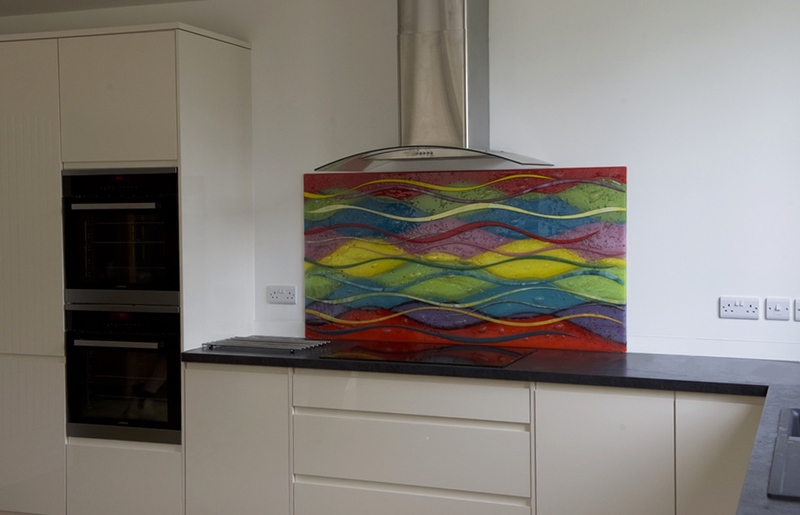 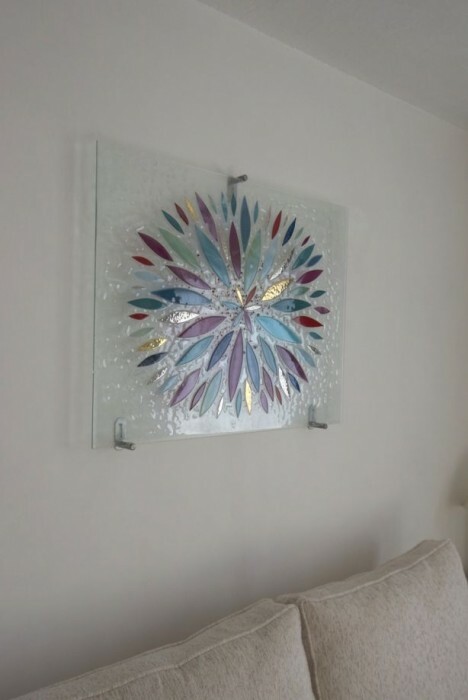 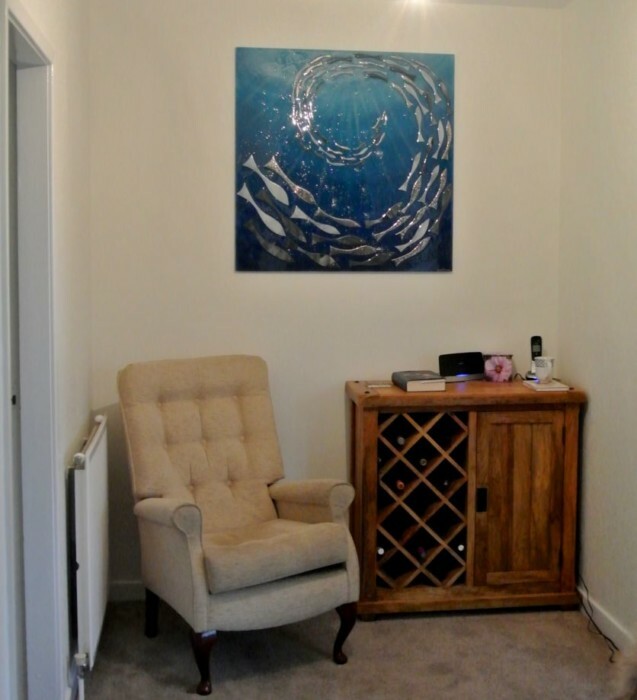 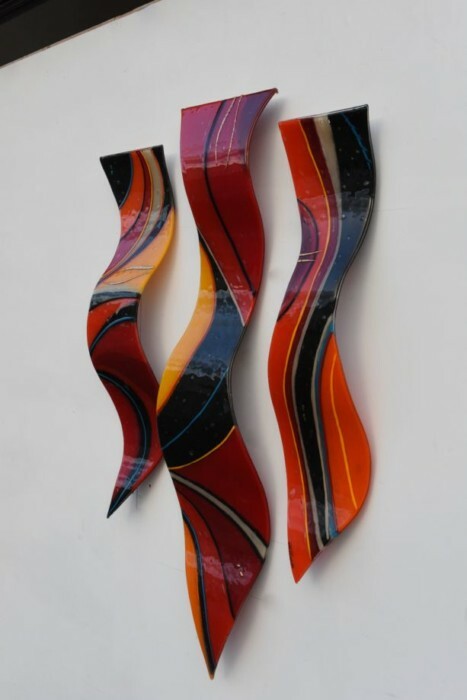 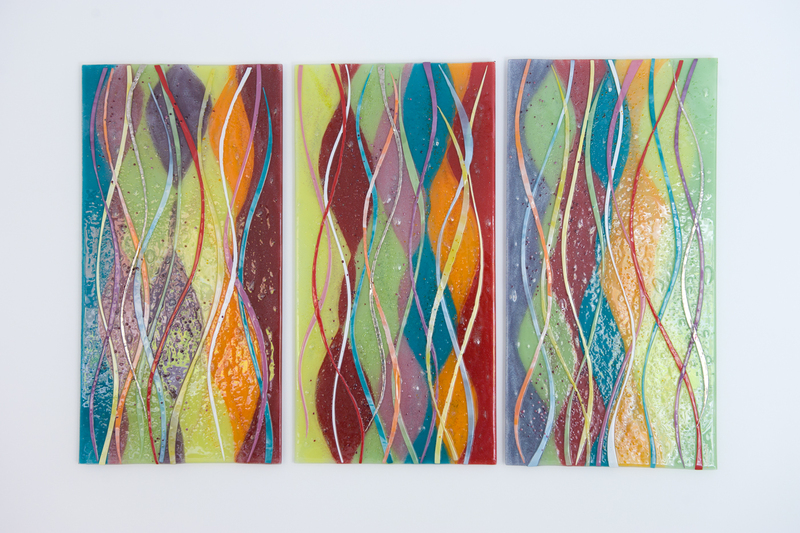 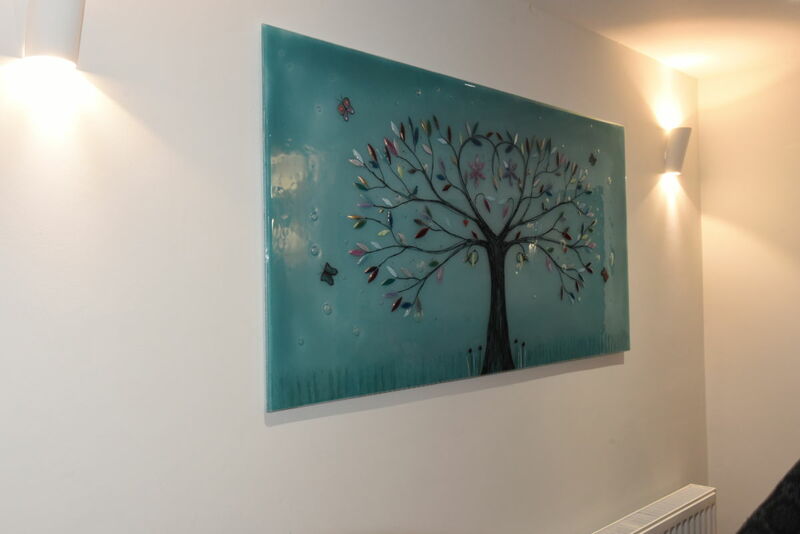 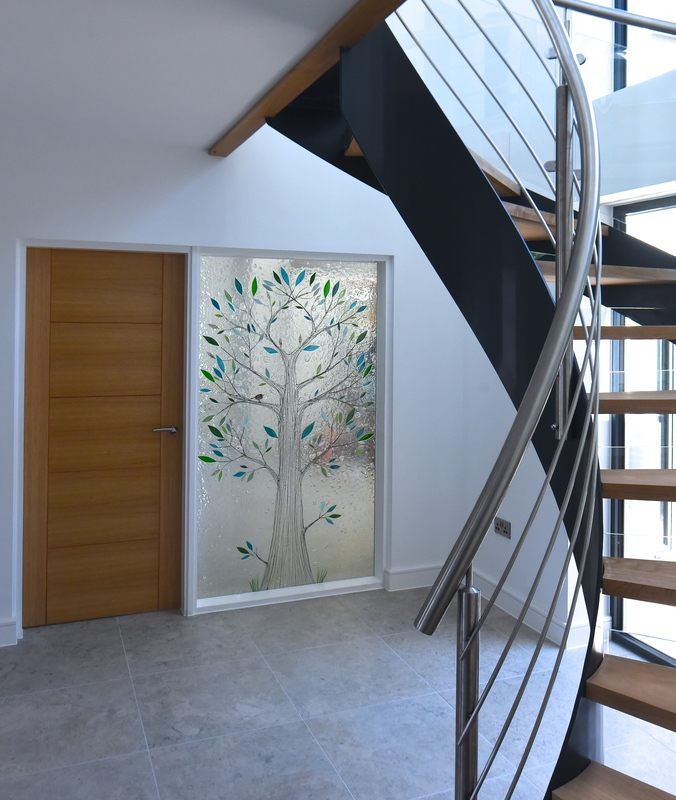 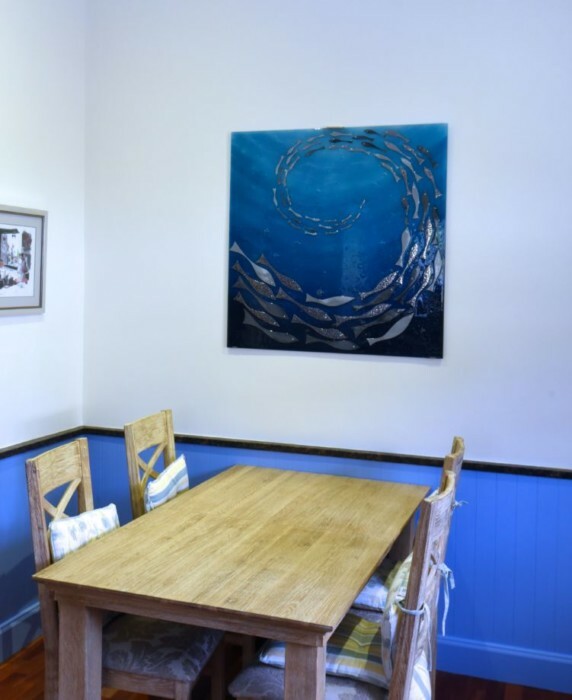 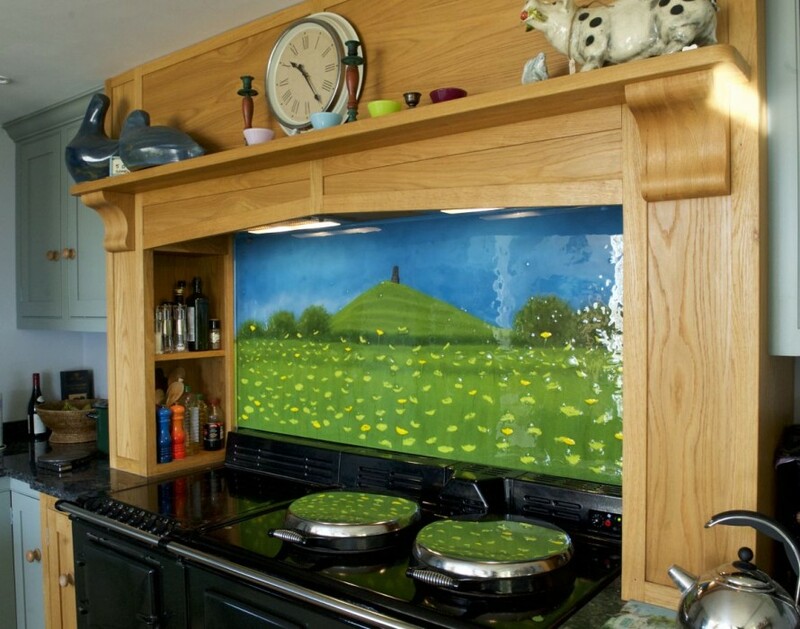 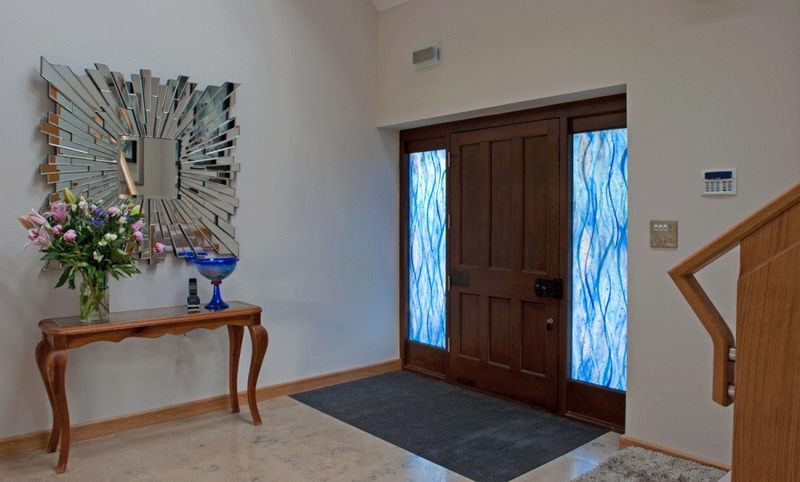 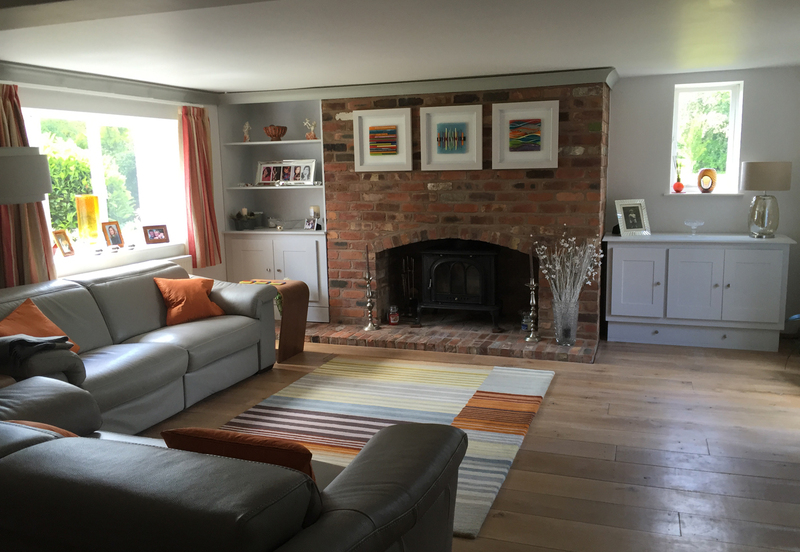 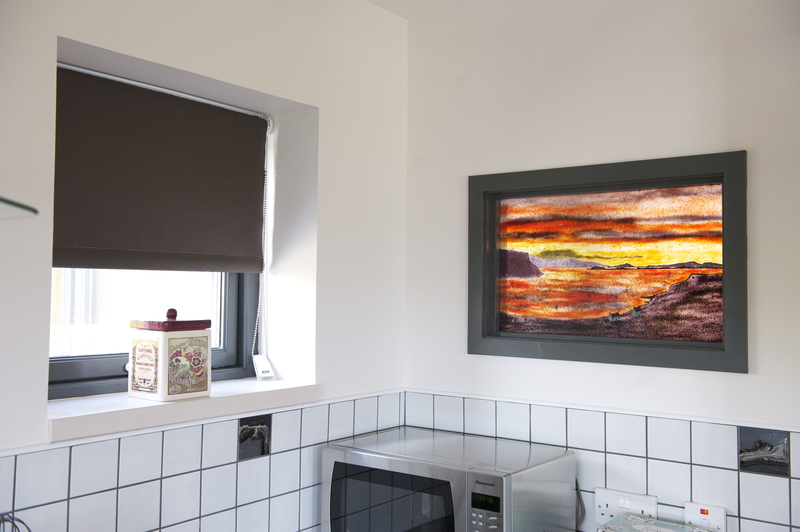 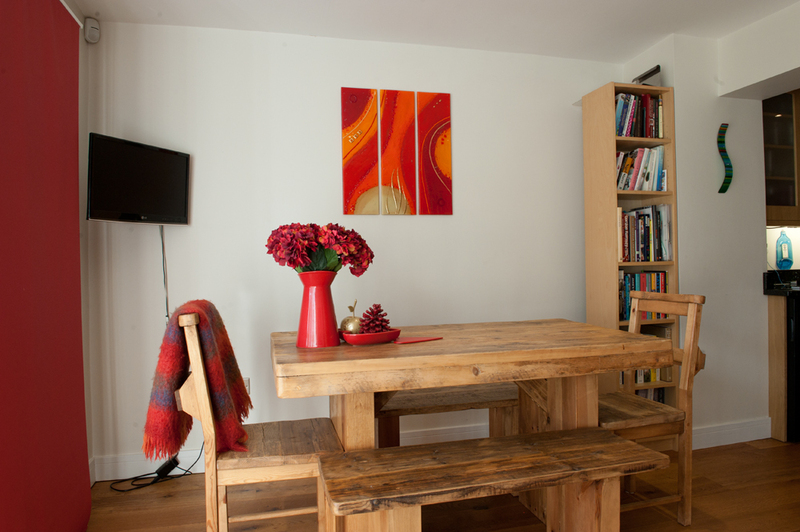 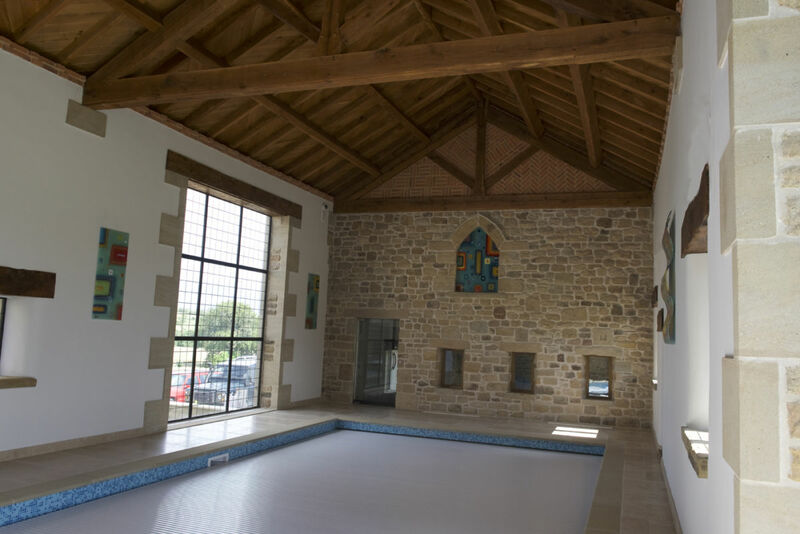 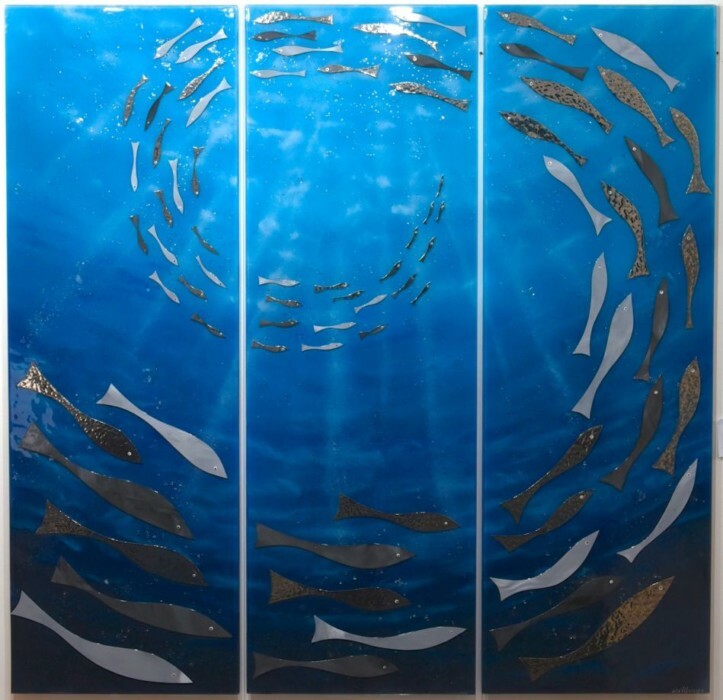 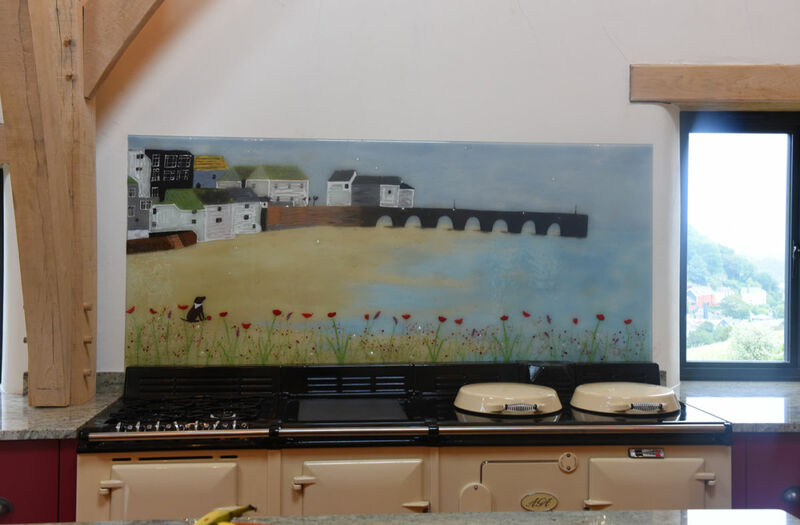 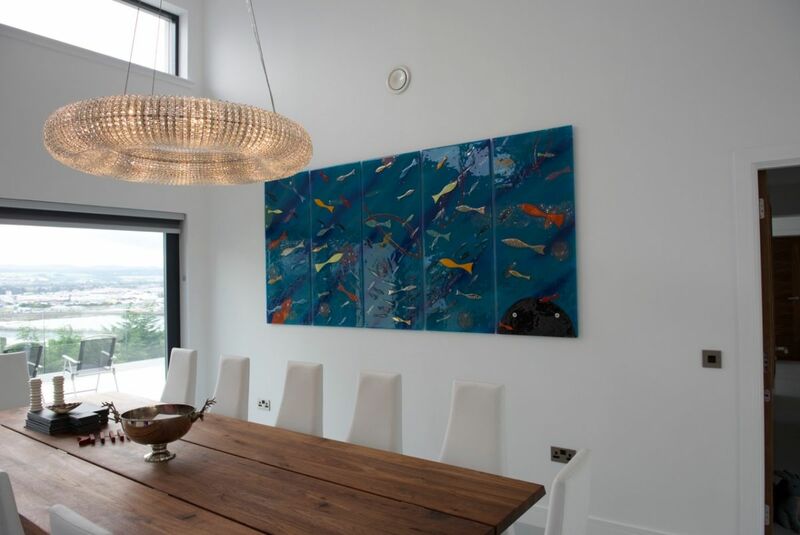 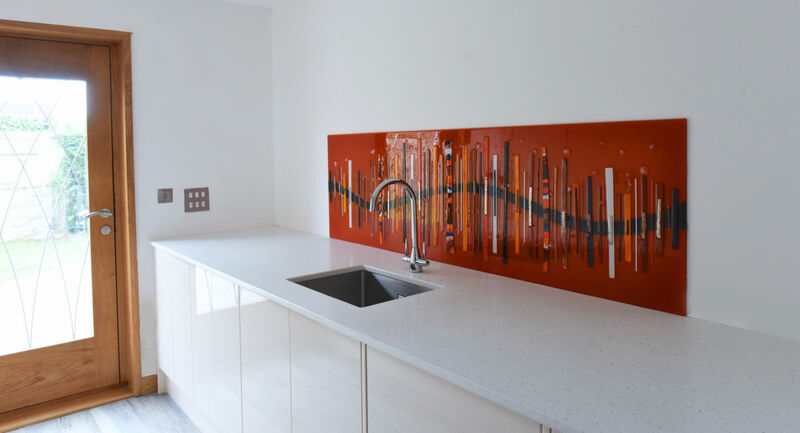 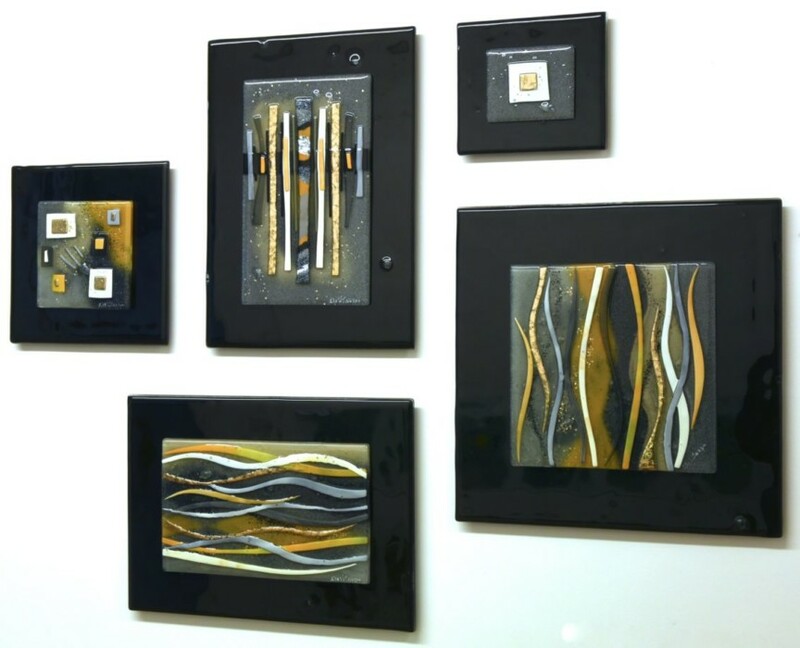 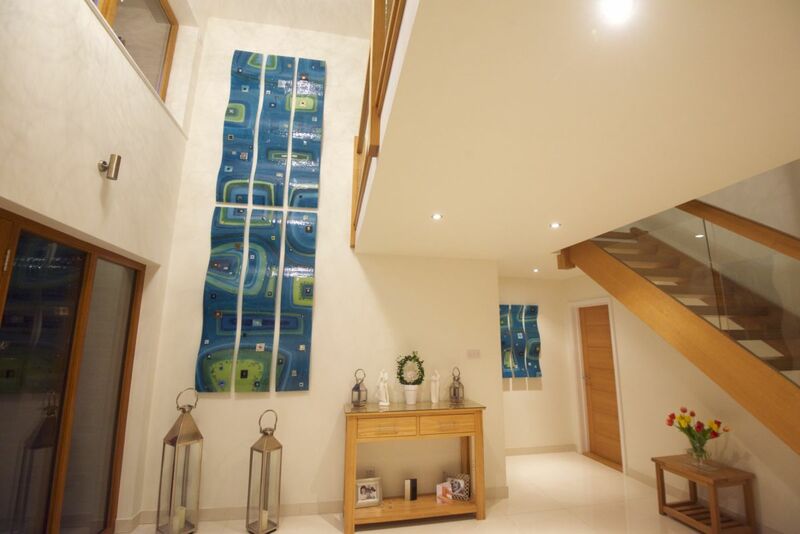 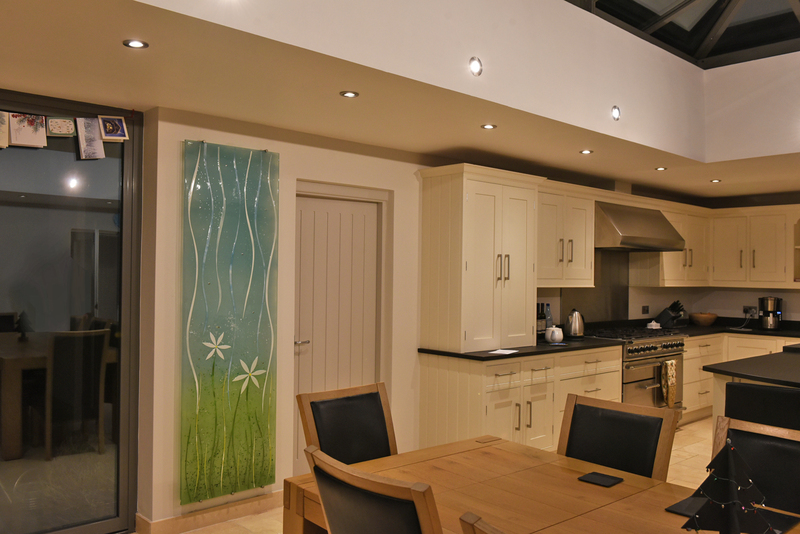 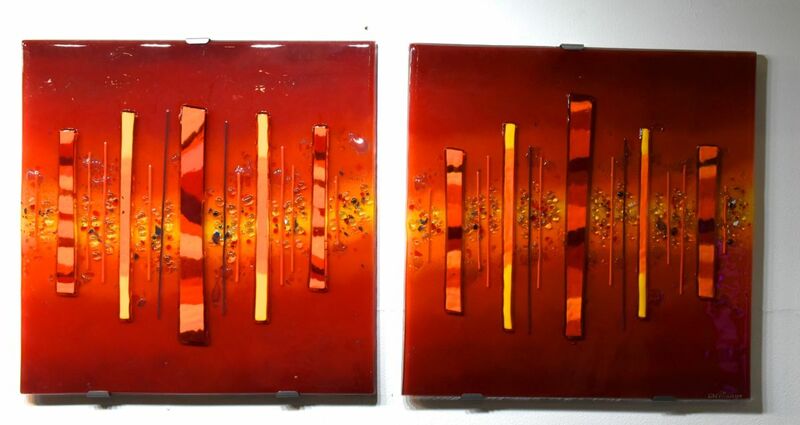 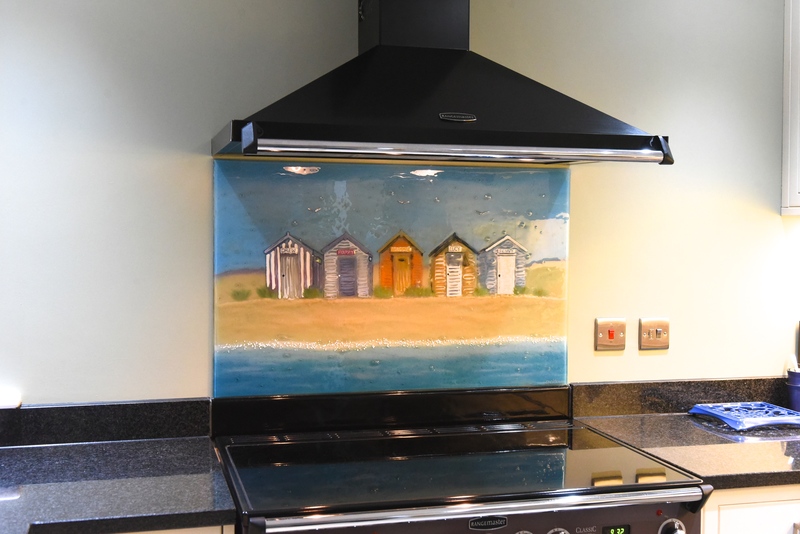 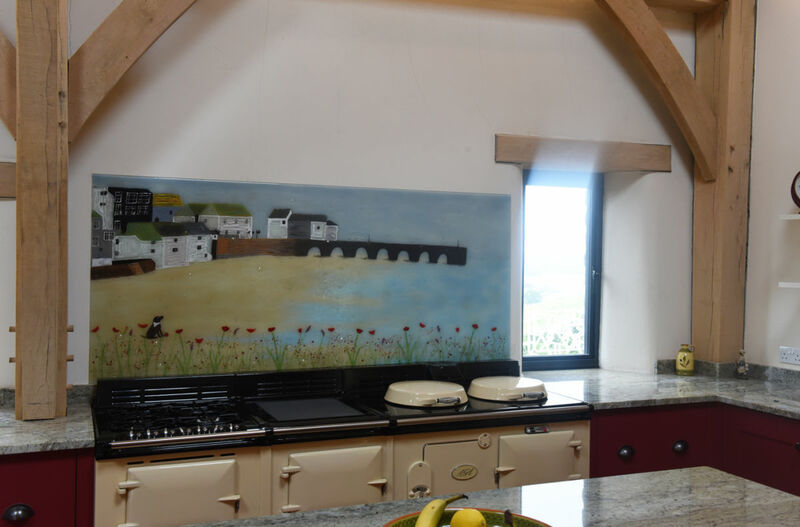 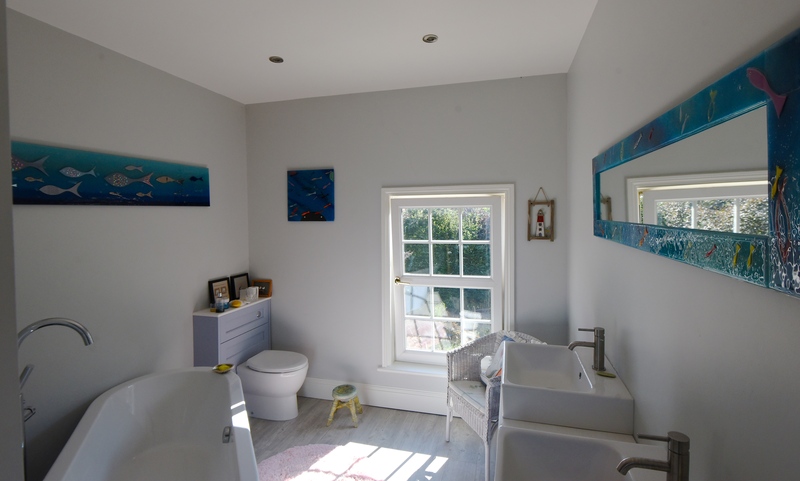 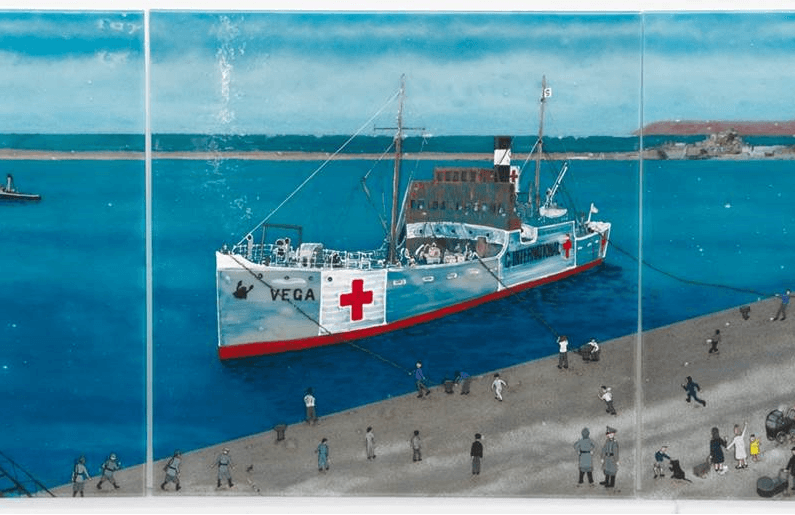 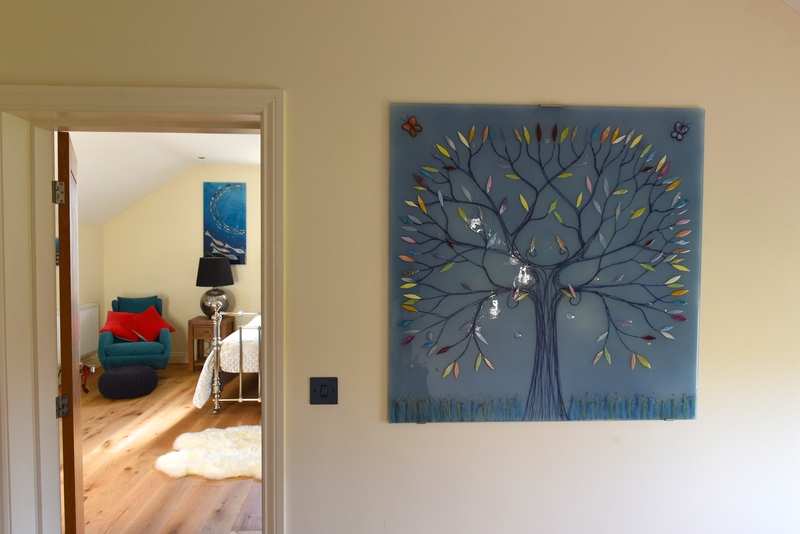 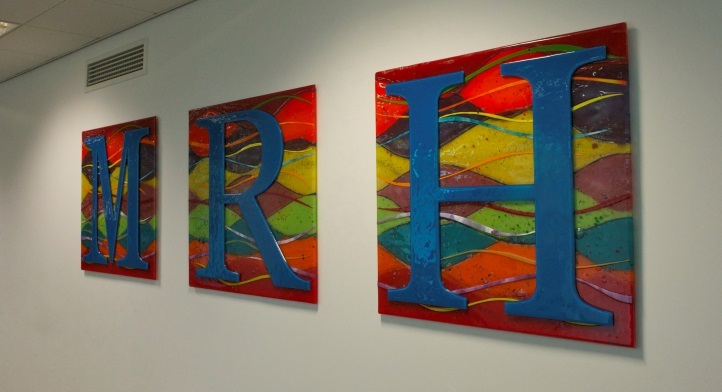 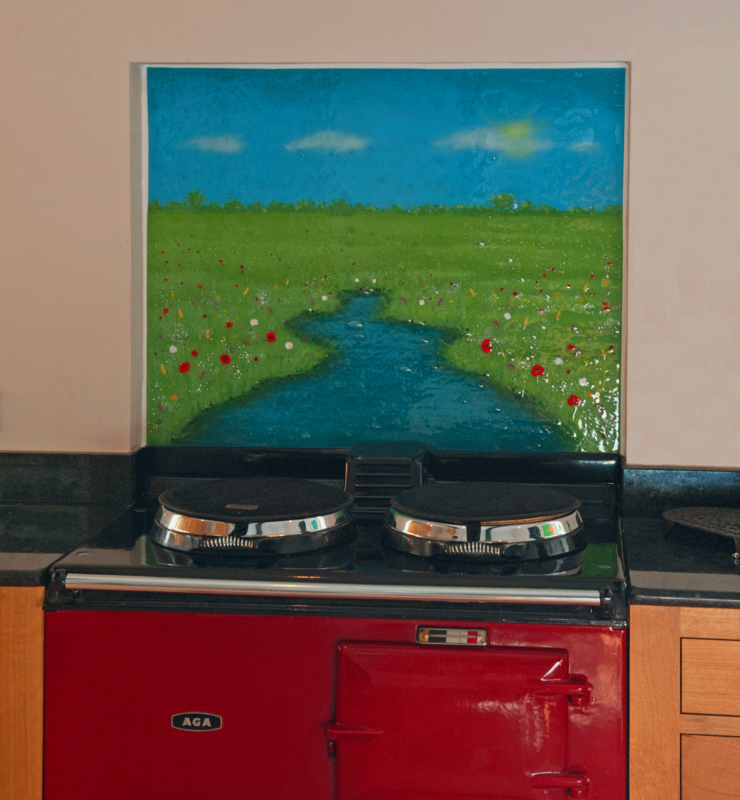 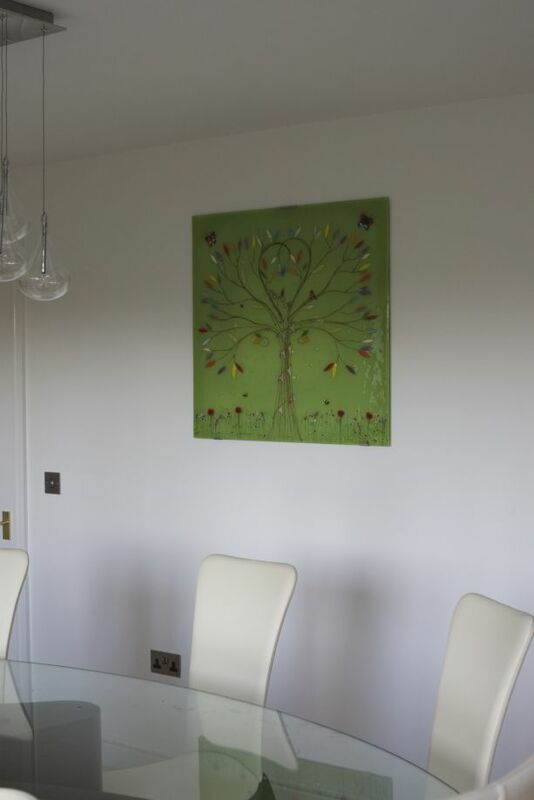 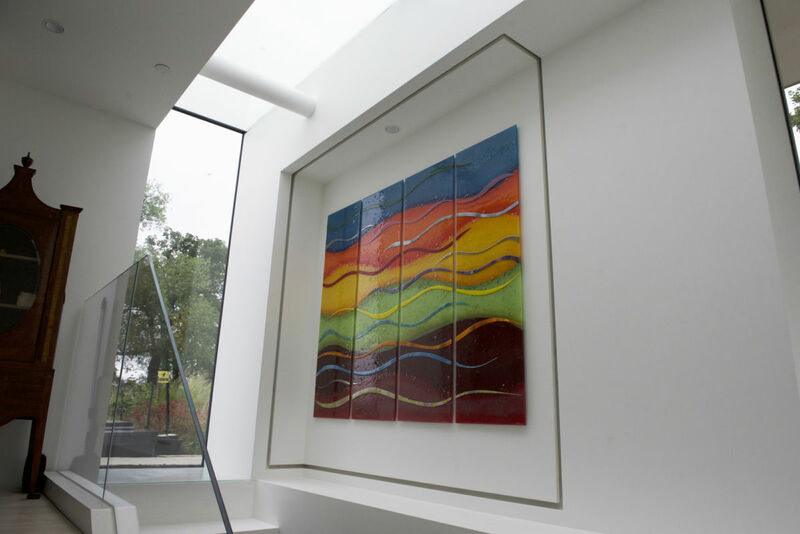 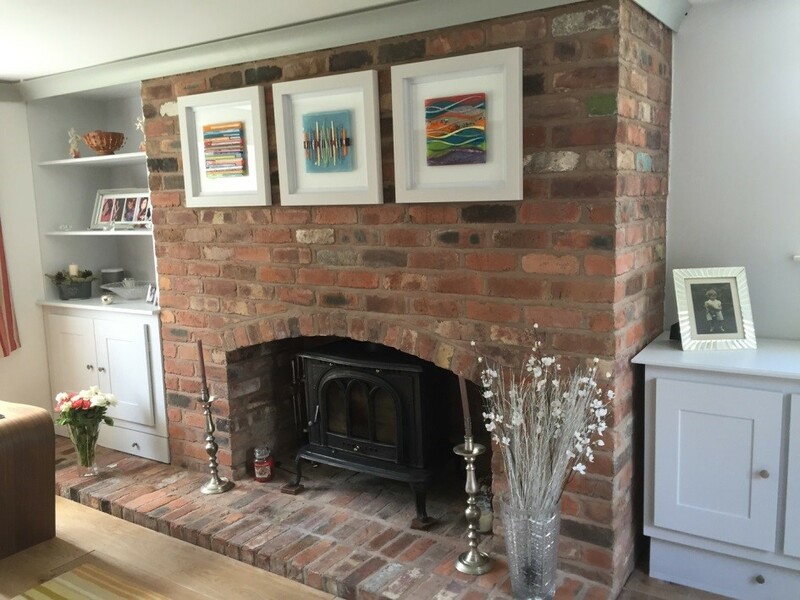 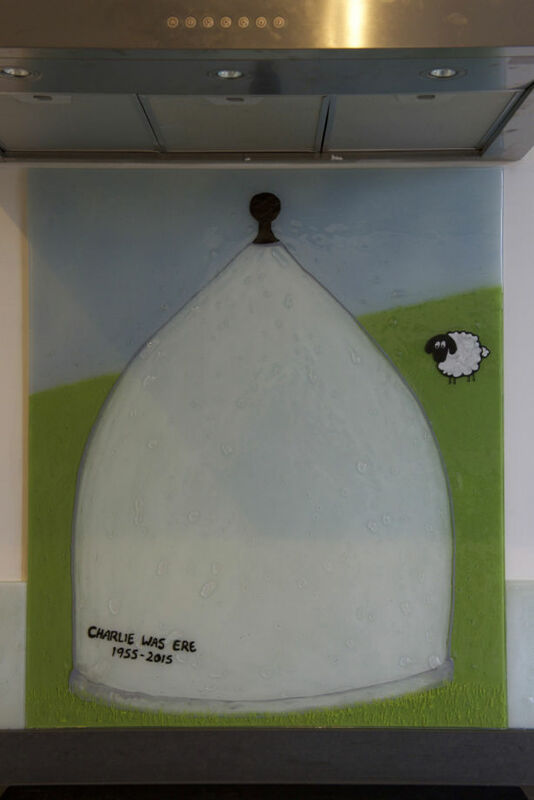 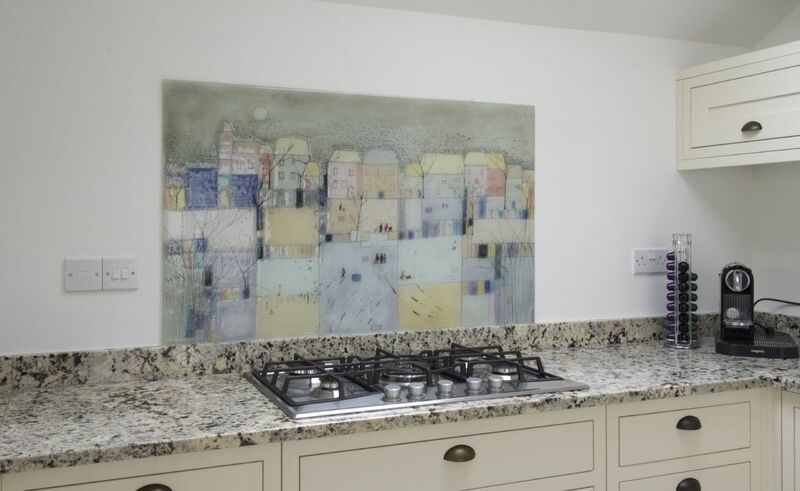 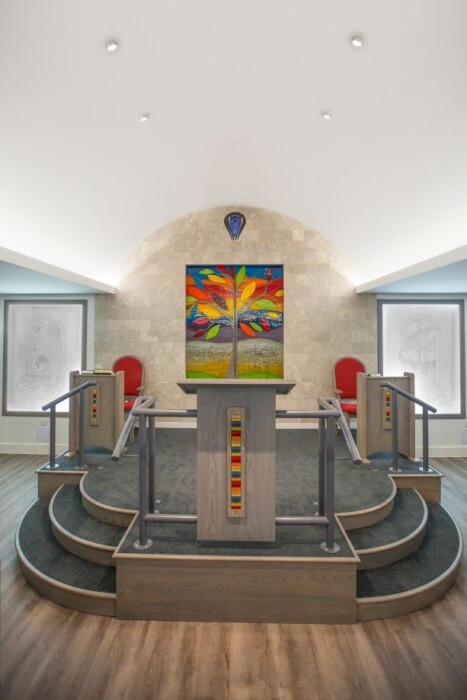 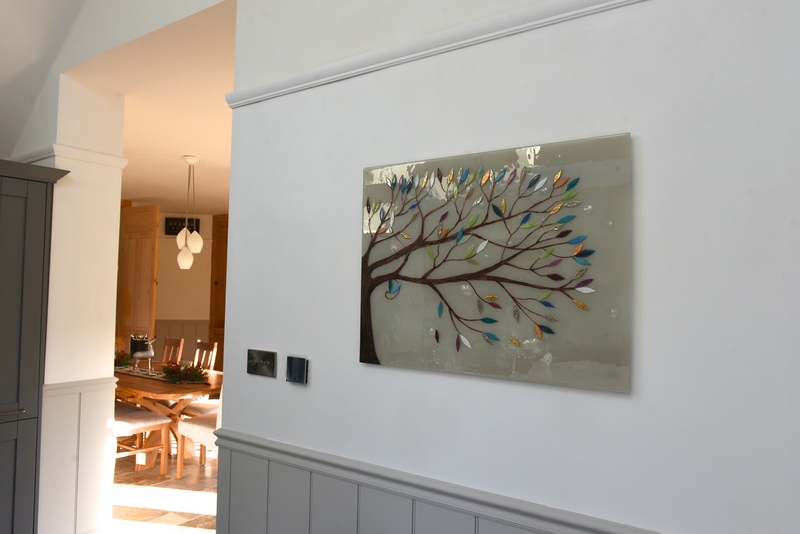 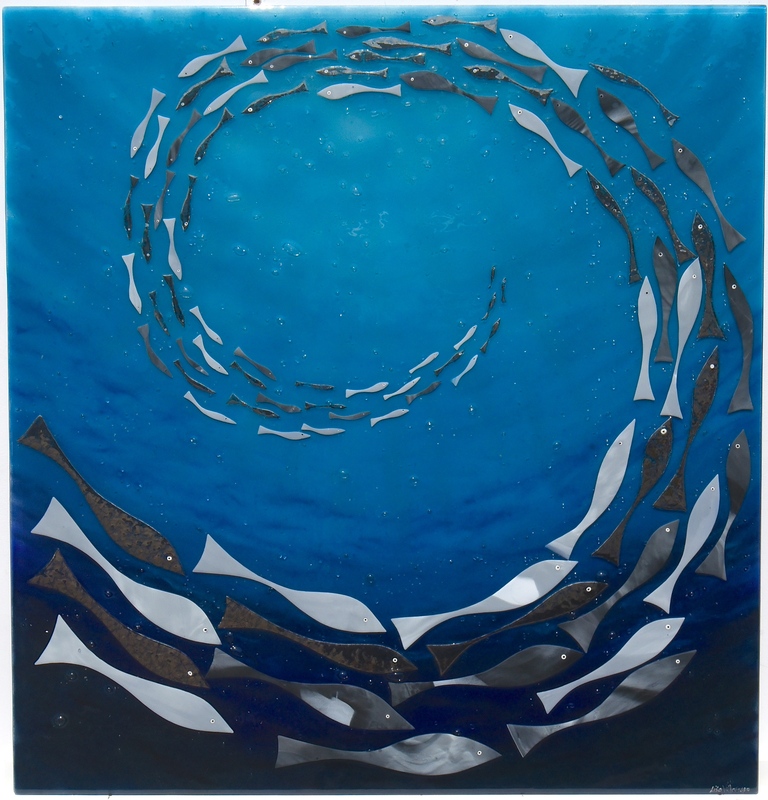 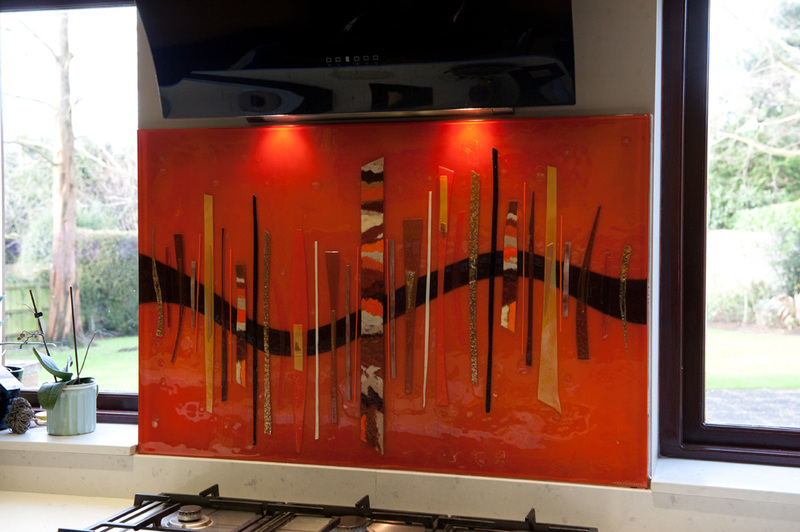 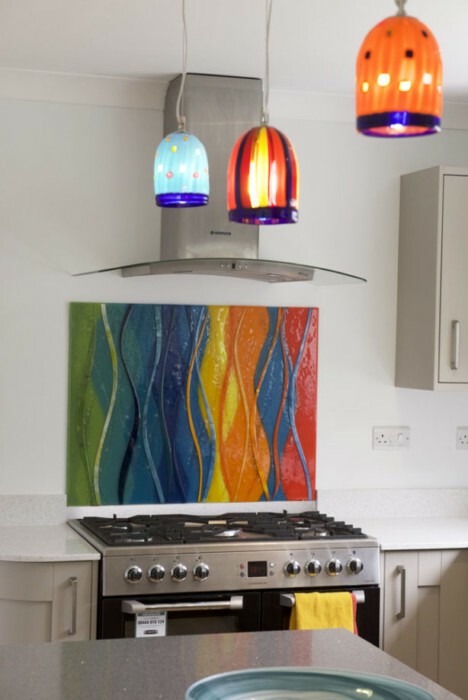 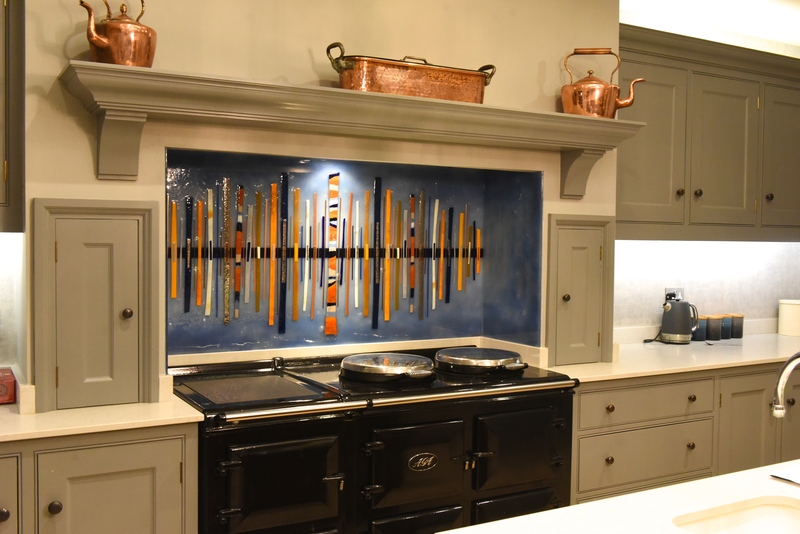 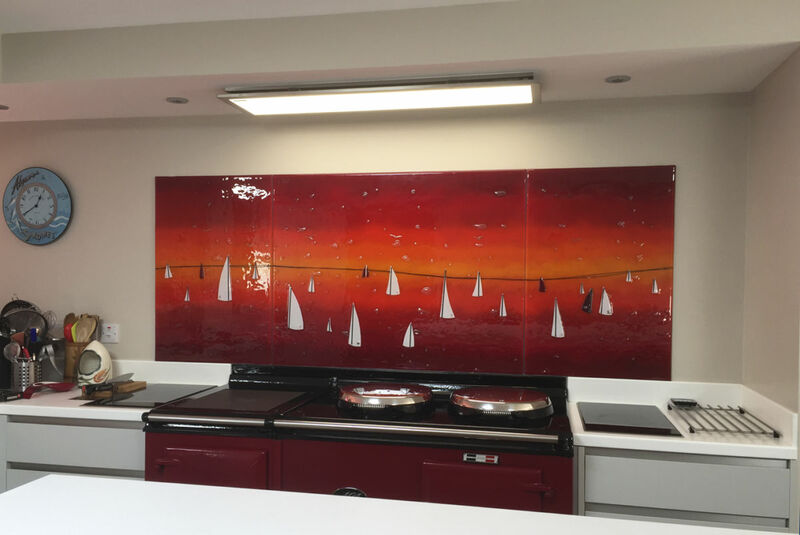 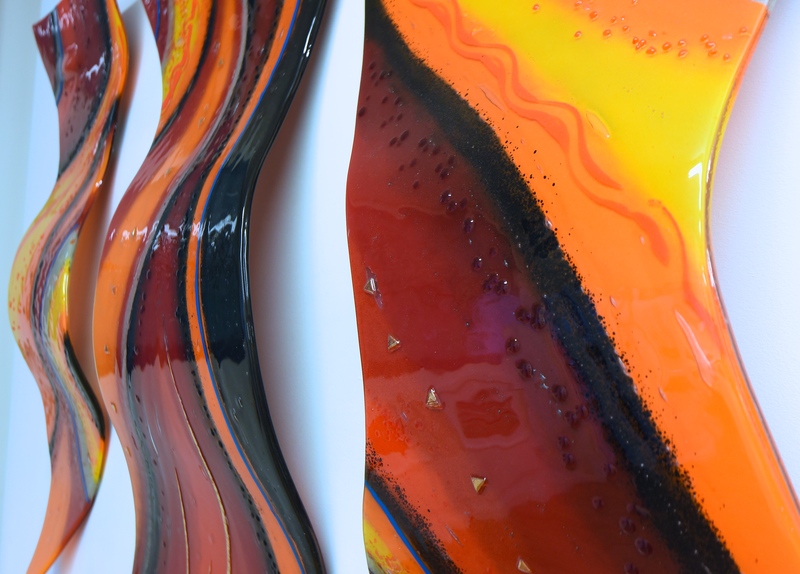 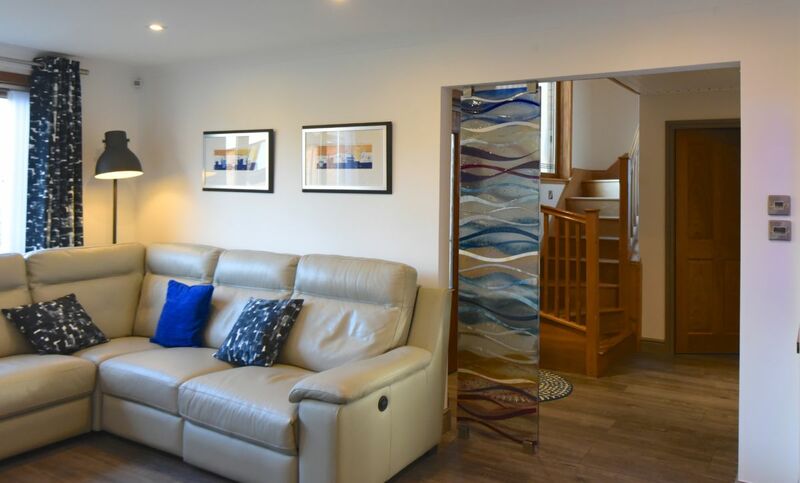 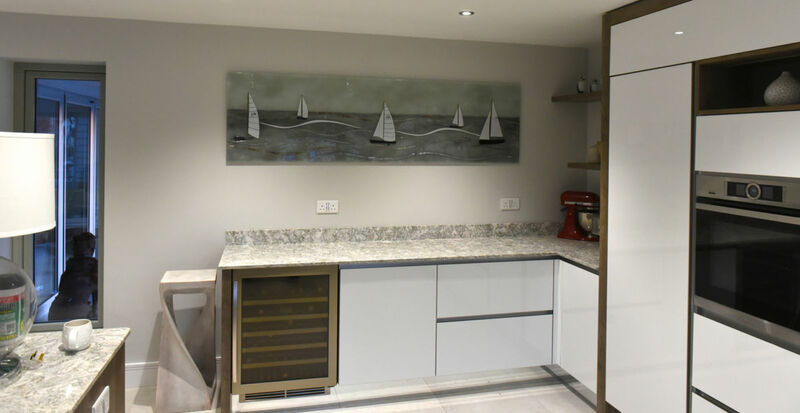 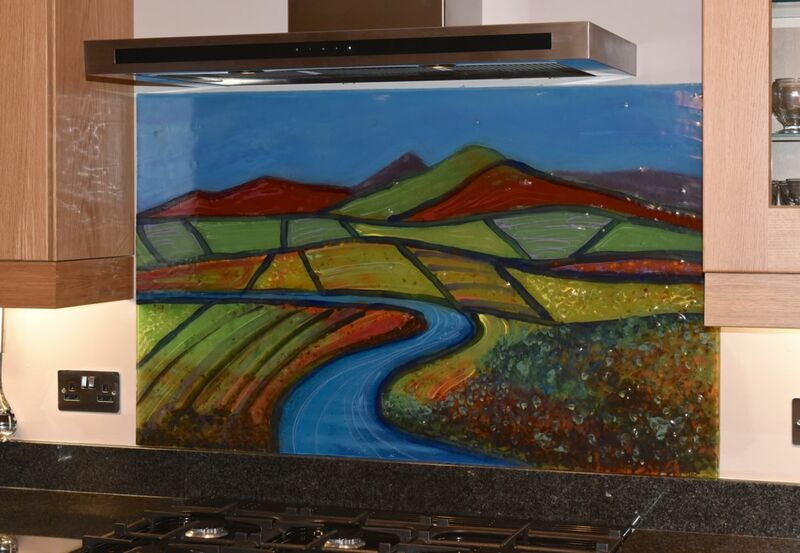 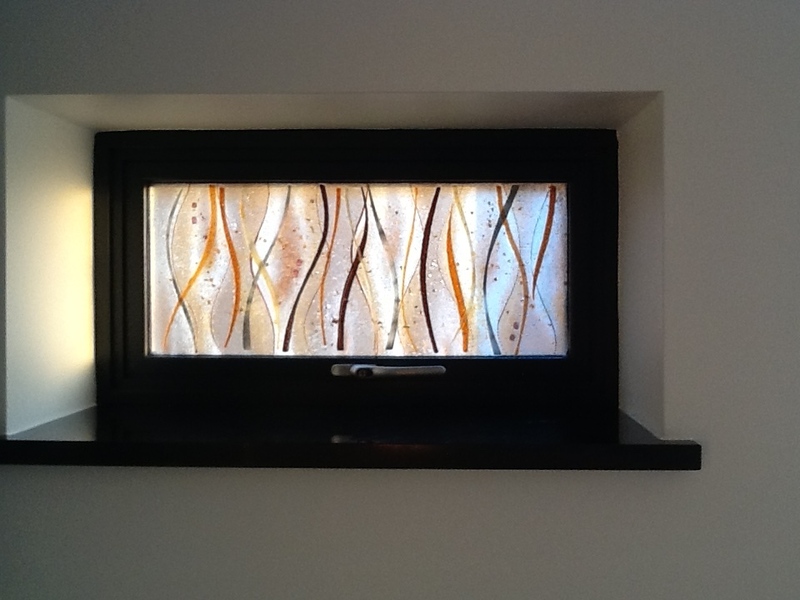 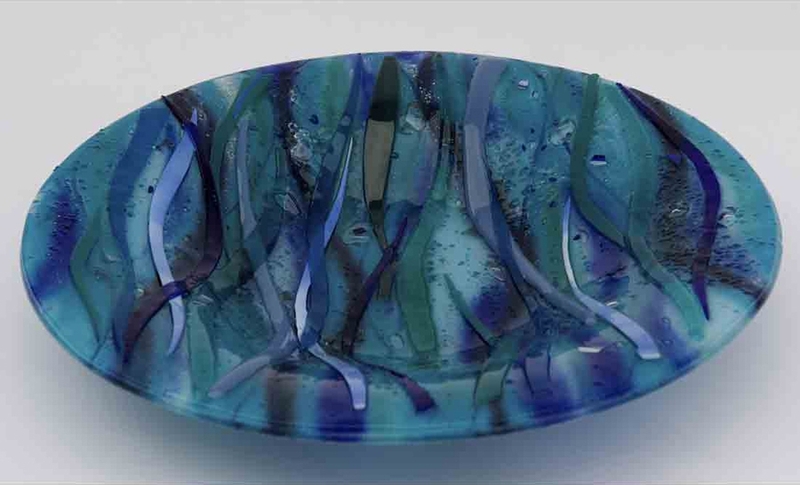 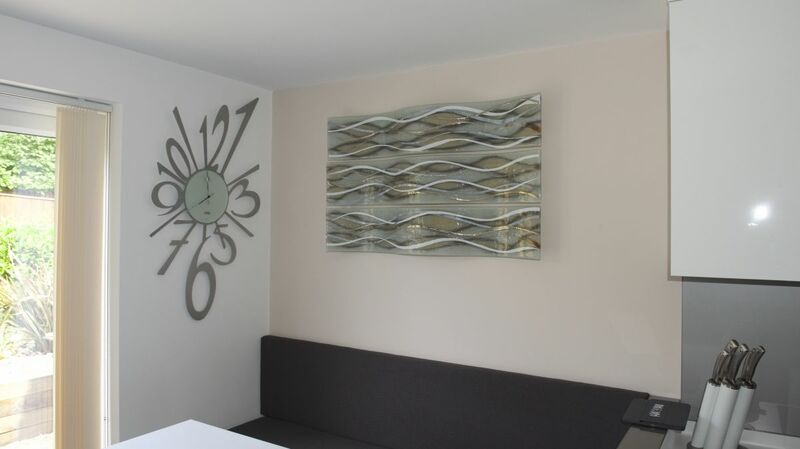 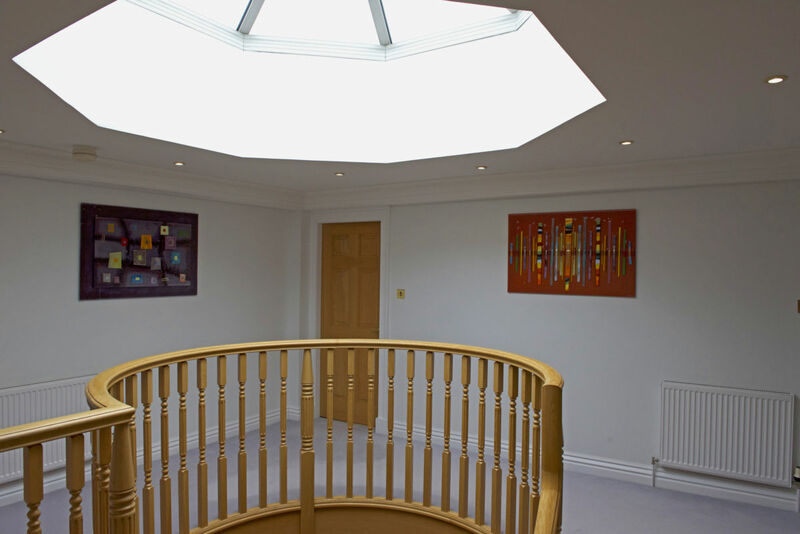 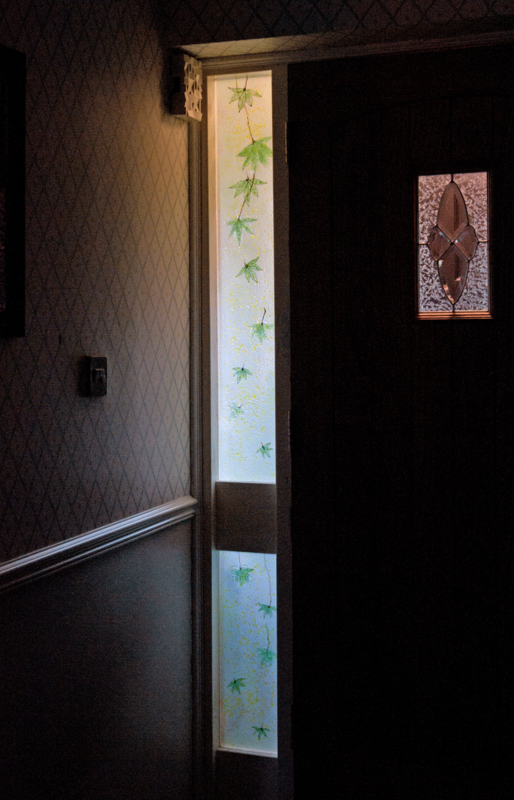 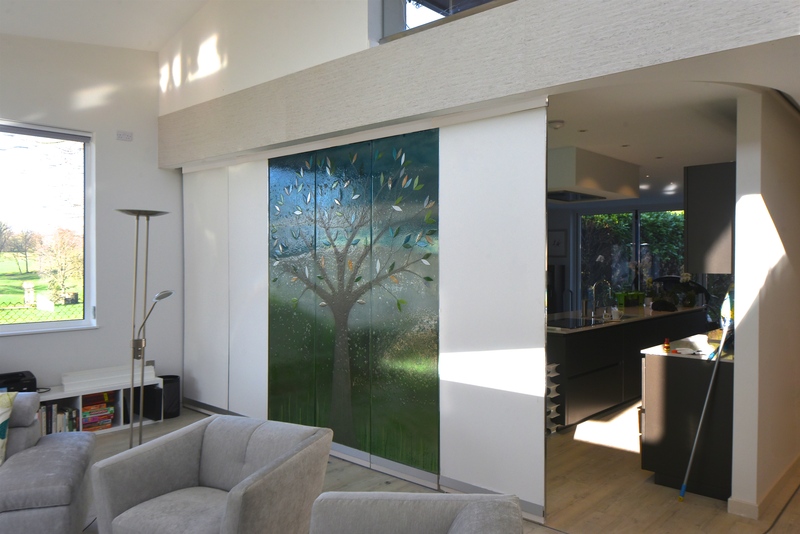 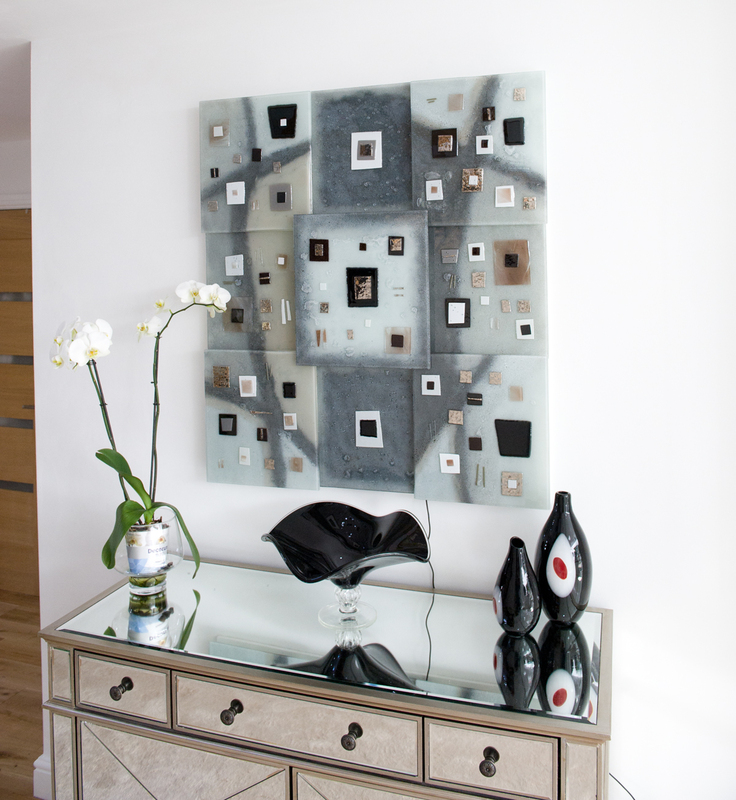 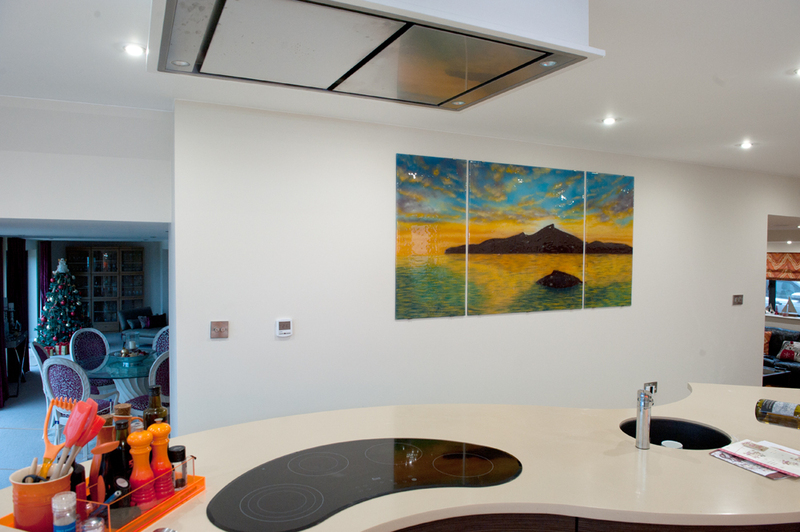 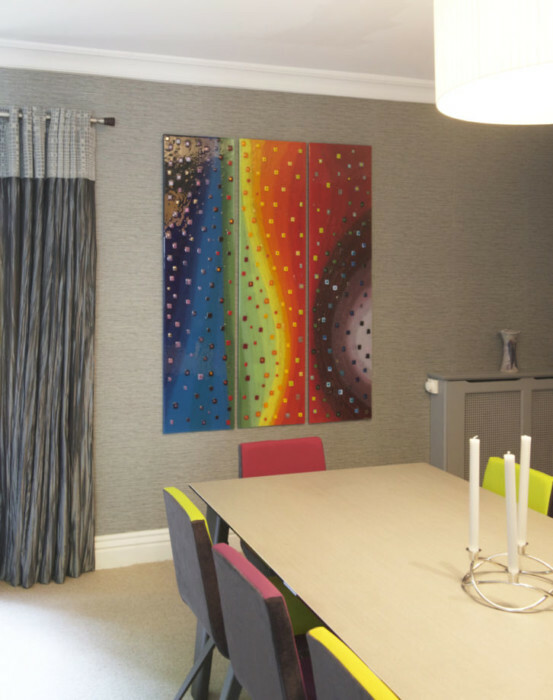 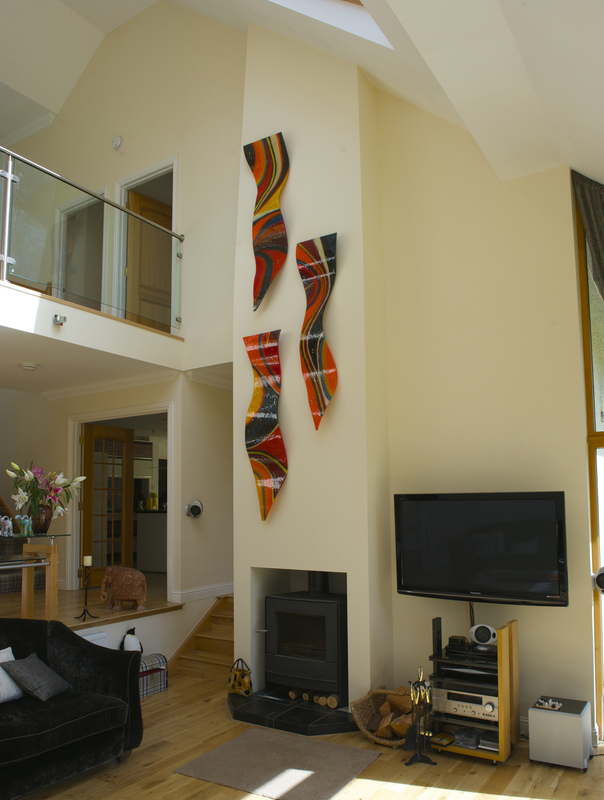 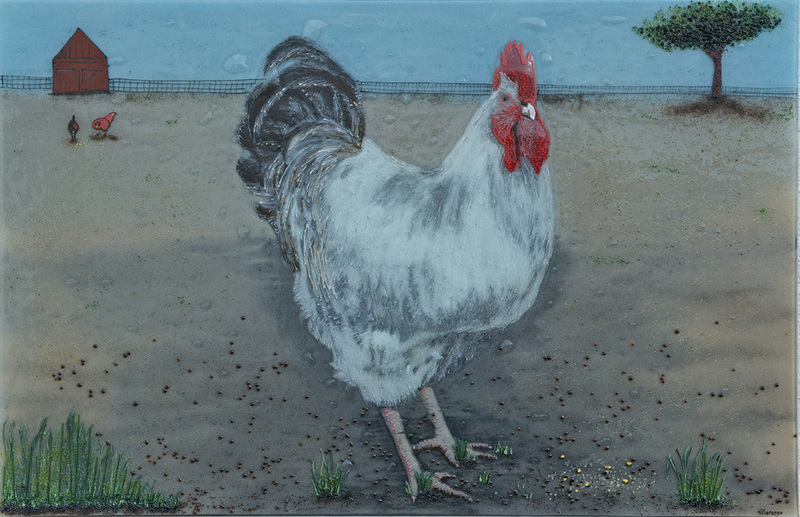 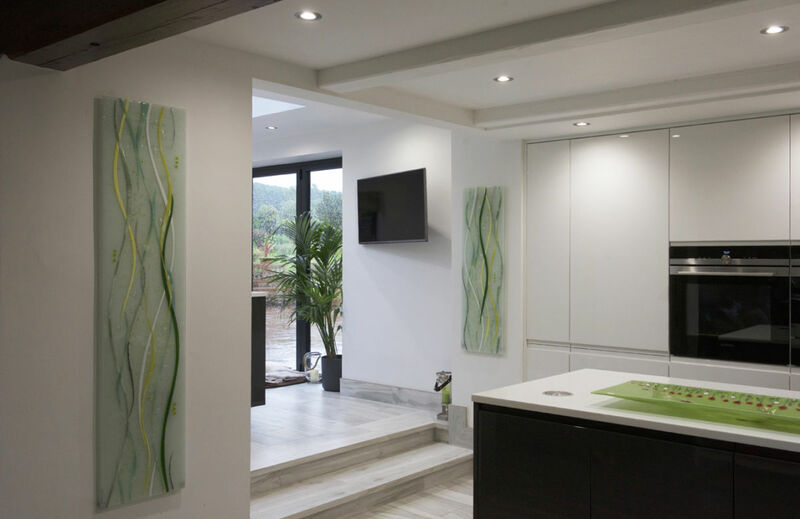 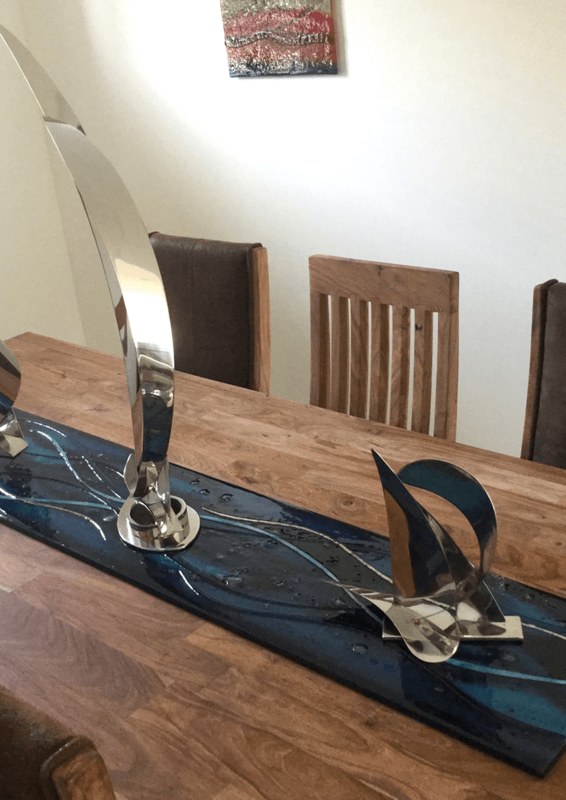 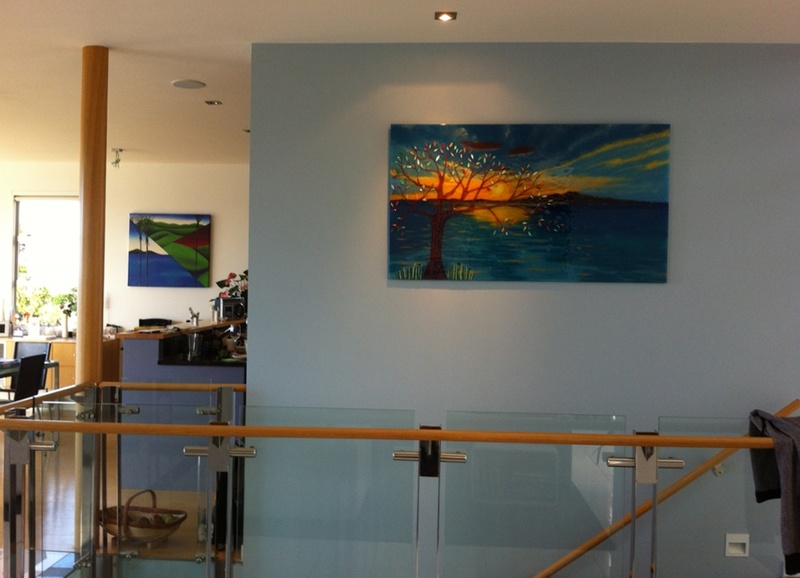 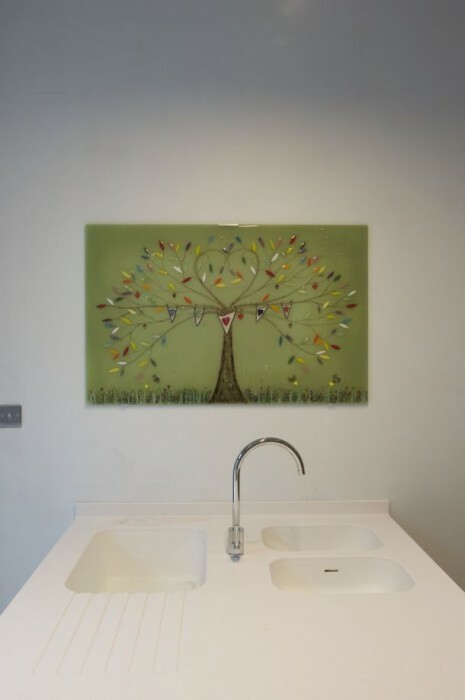 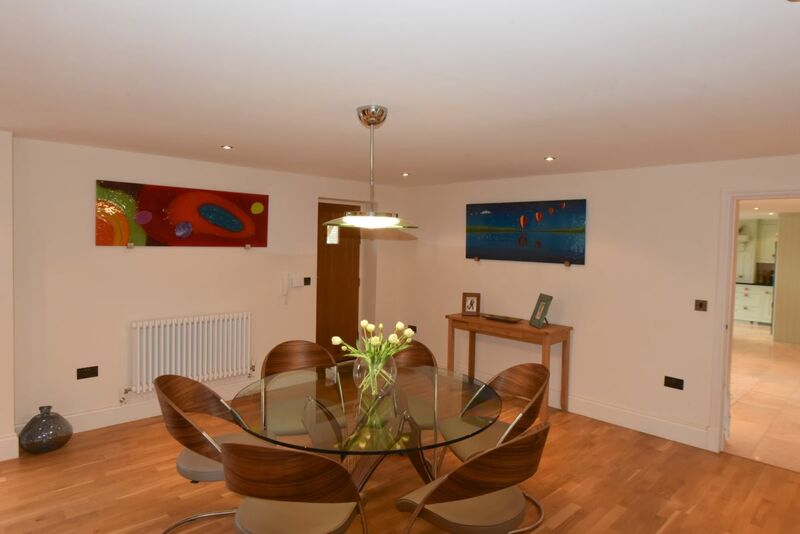 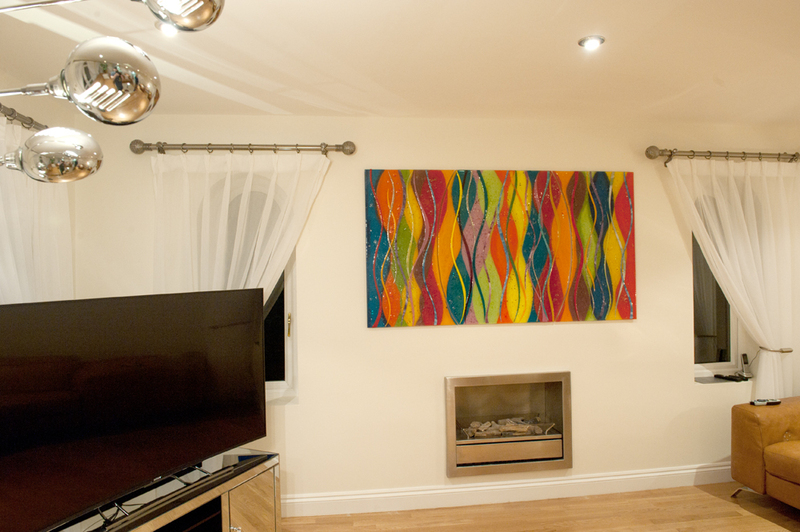 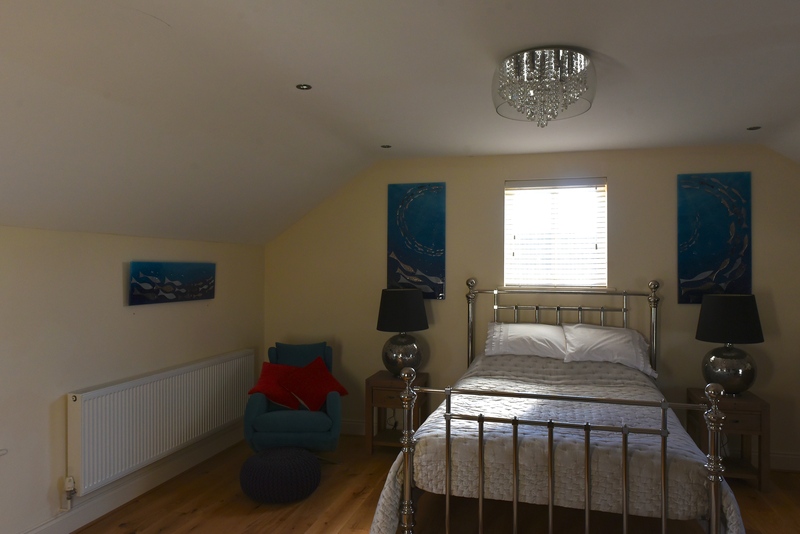 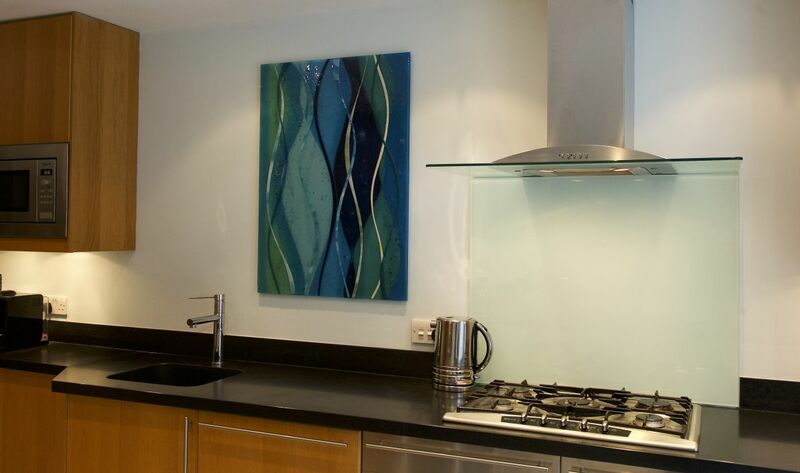 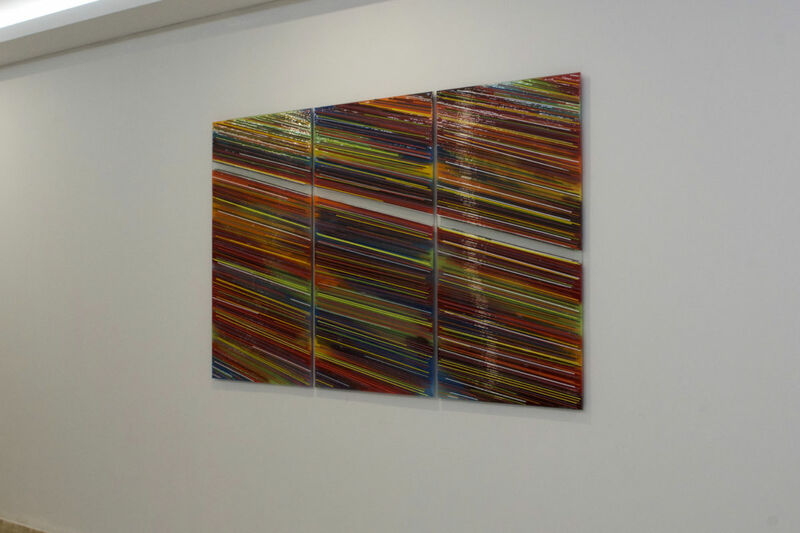 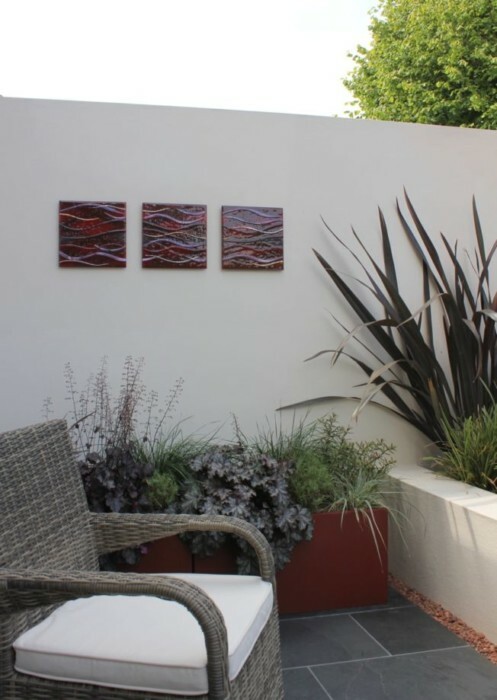 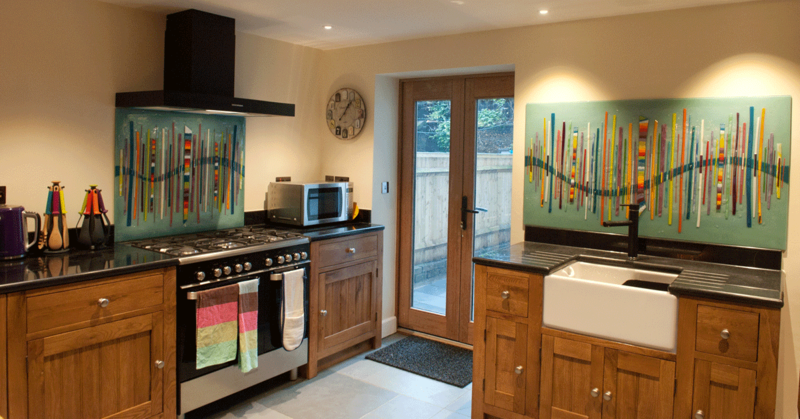 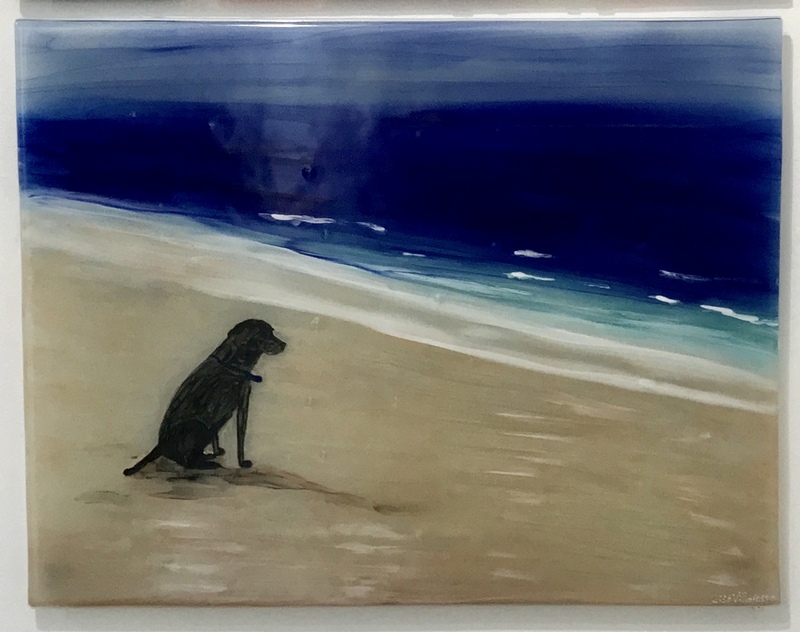 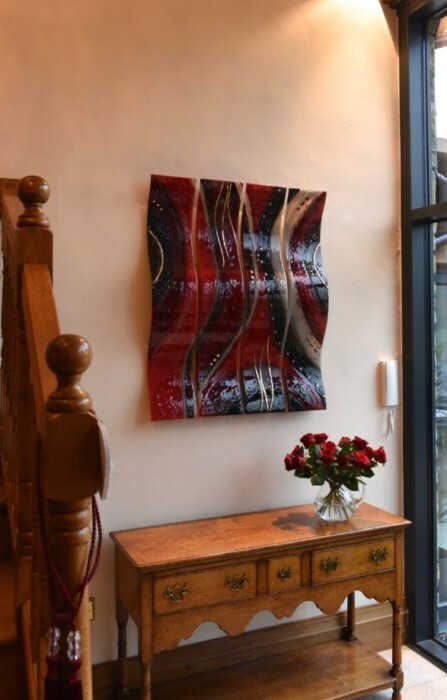 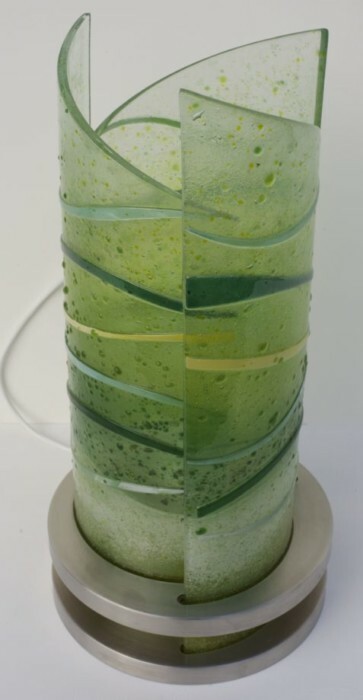 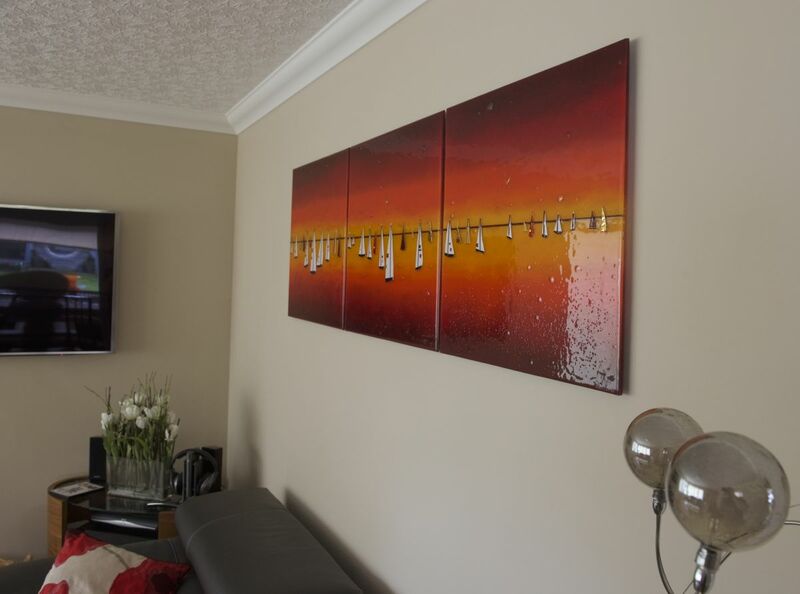 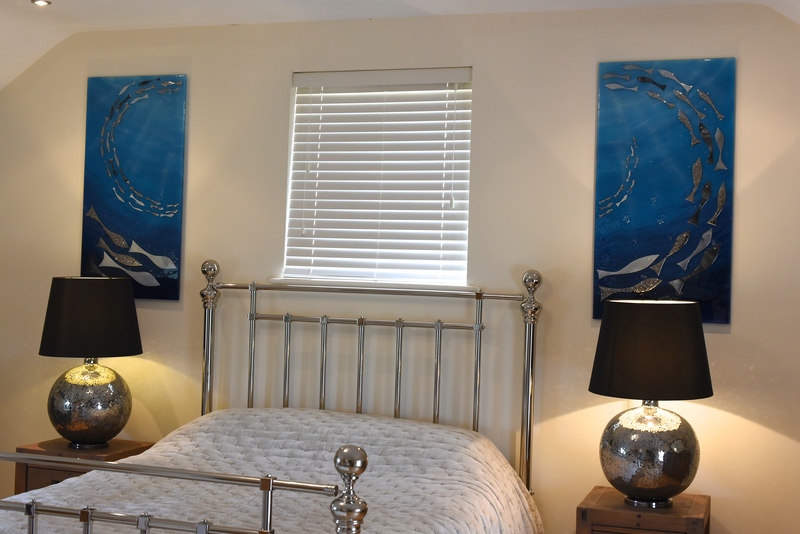 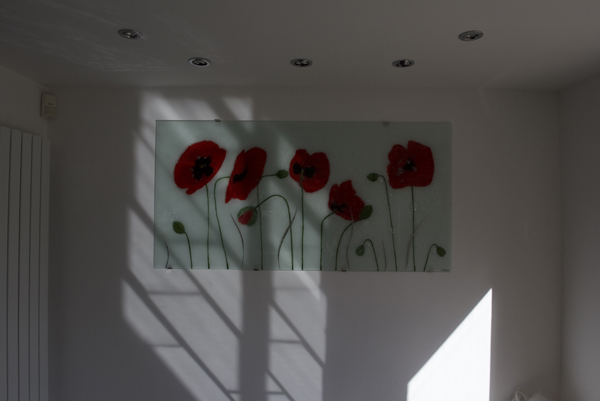 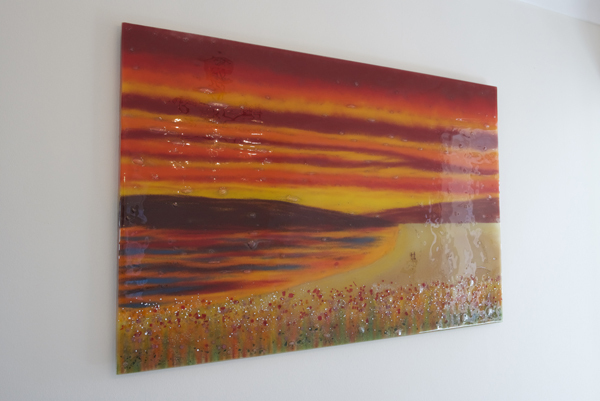 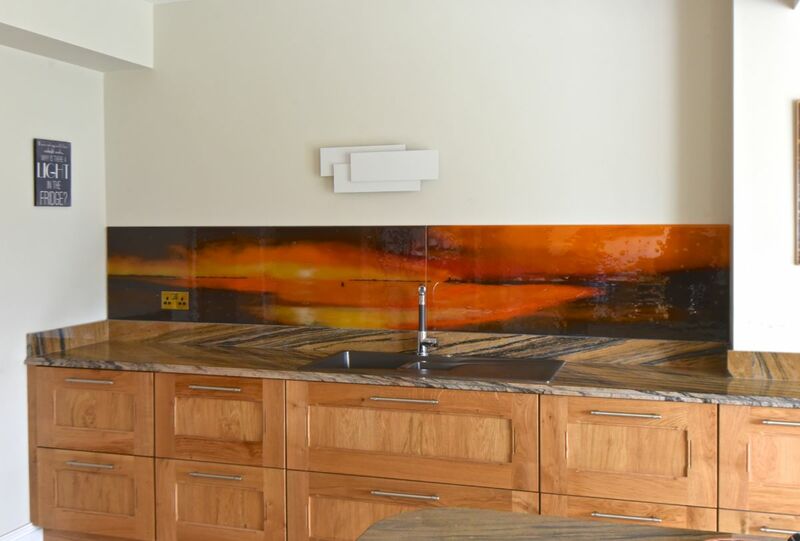 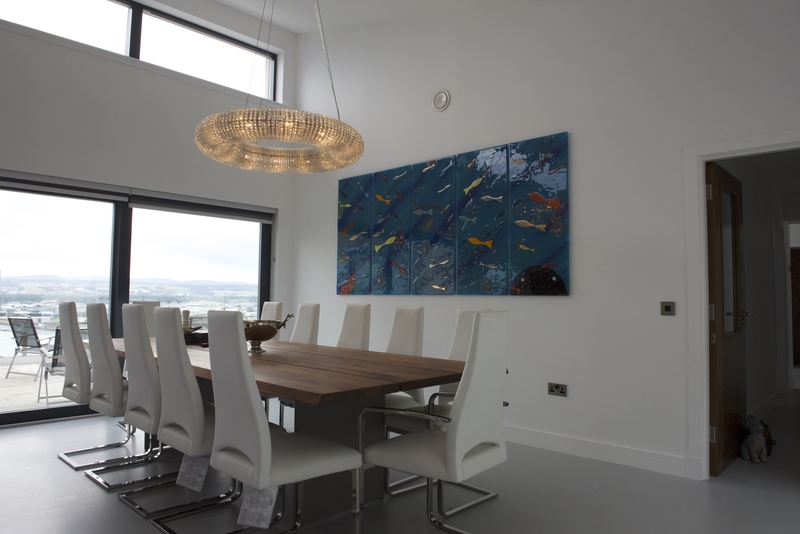 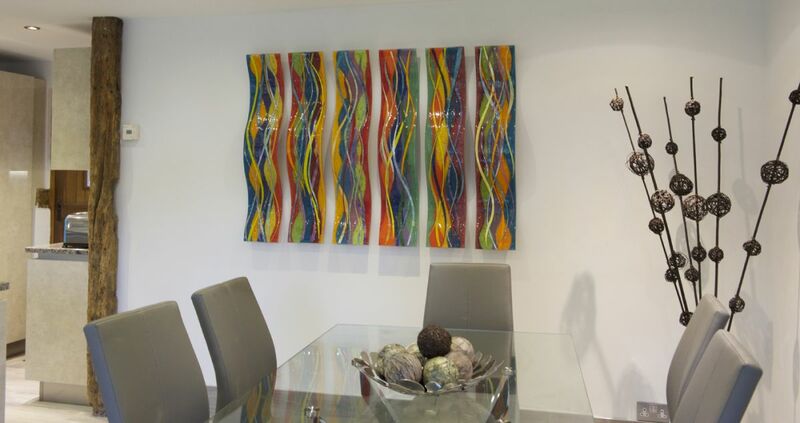 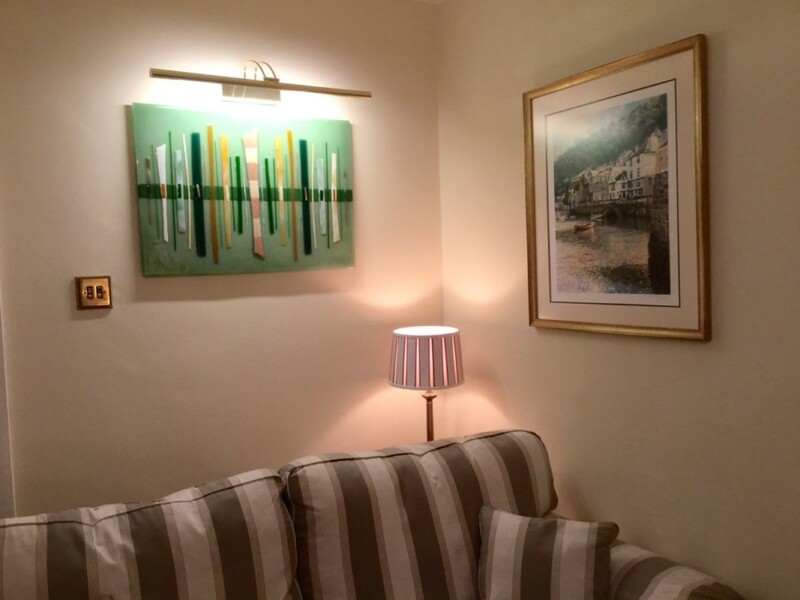 Have a look at the two pieces you can see pictured in this blog, as they’re the perfect examples of a more traditionally painted style translated into the medium of fused glass art. 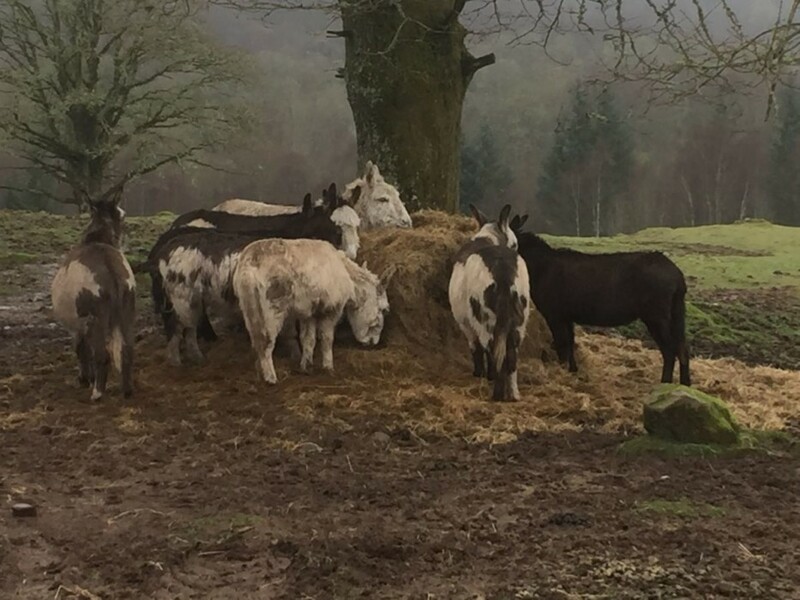 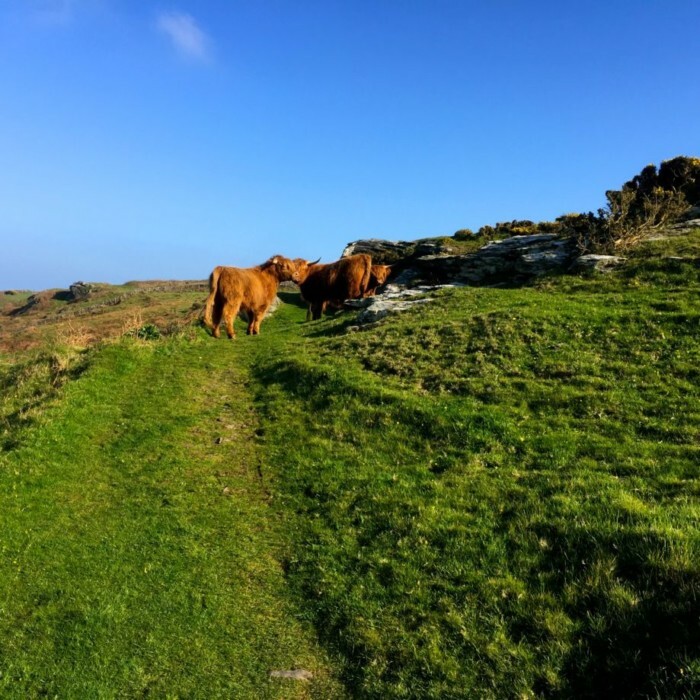 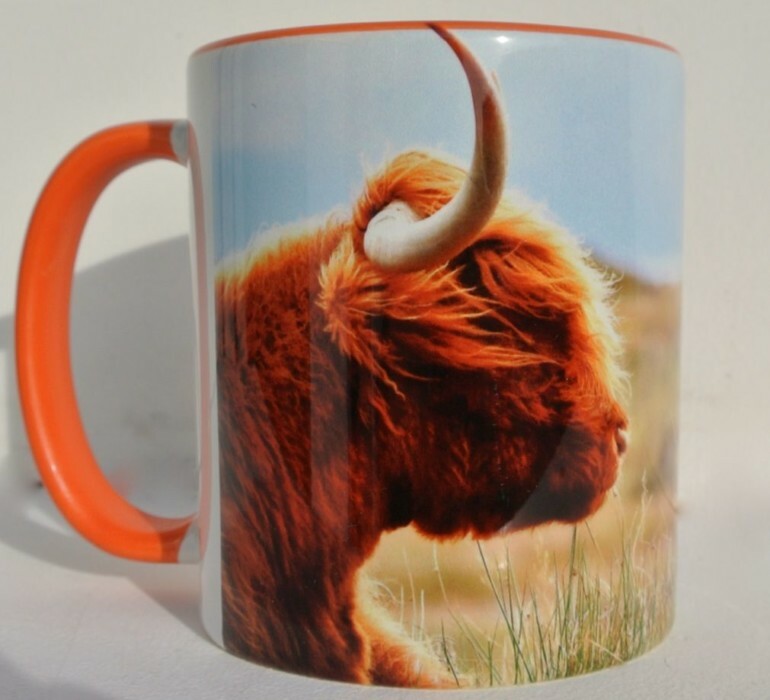 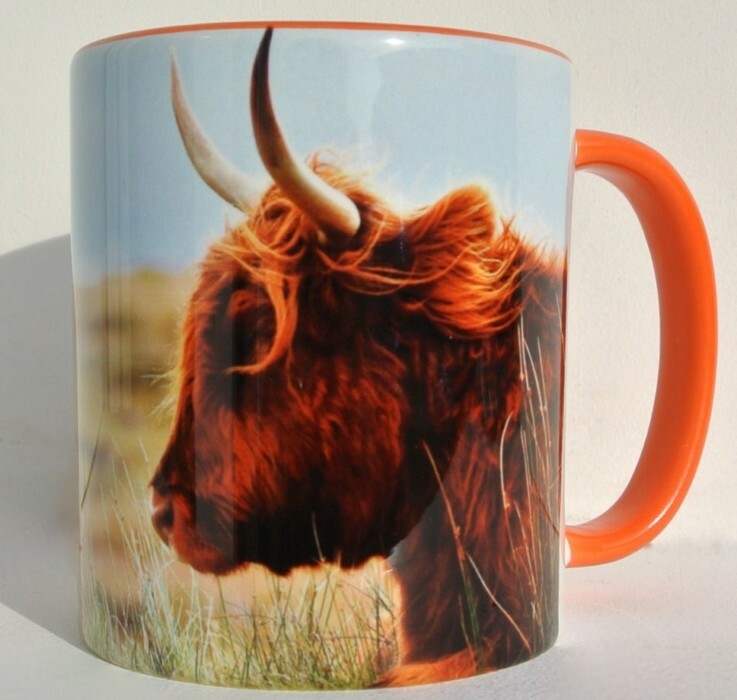 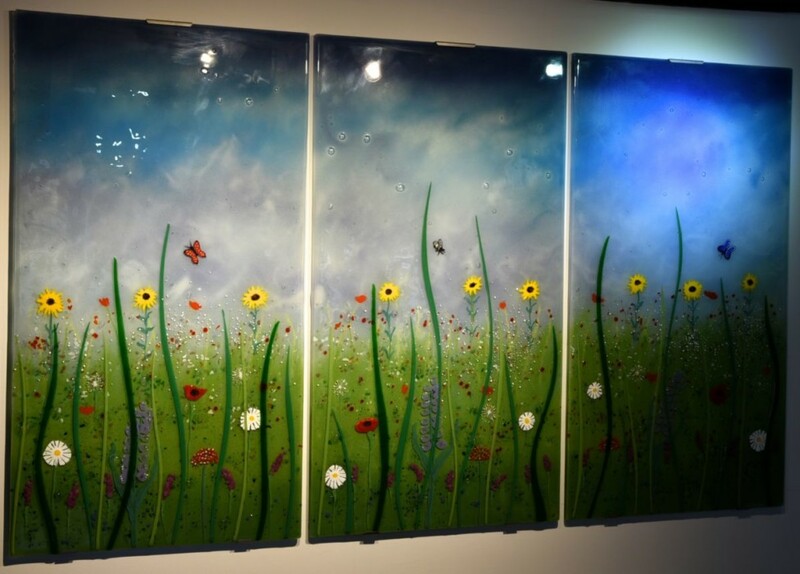 Our artist Lisa has an extensive amount of experience working with a variety of conventional mediums, so it’s easy for her to take her signature style and translate it to an entirely different kind of canvas. 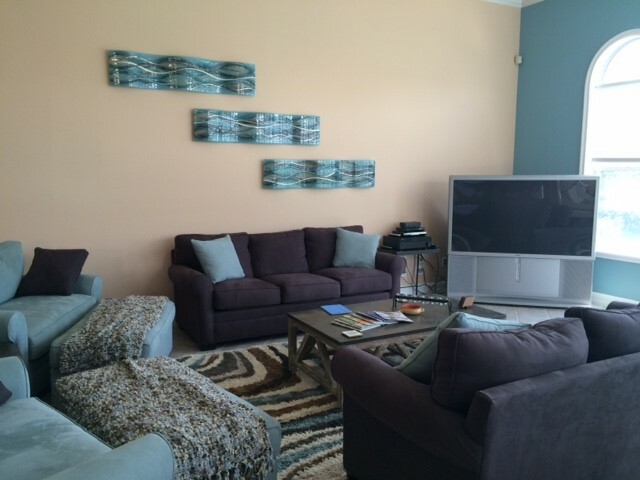 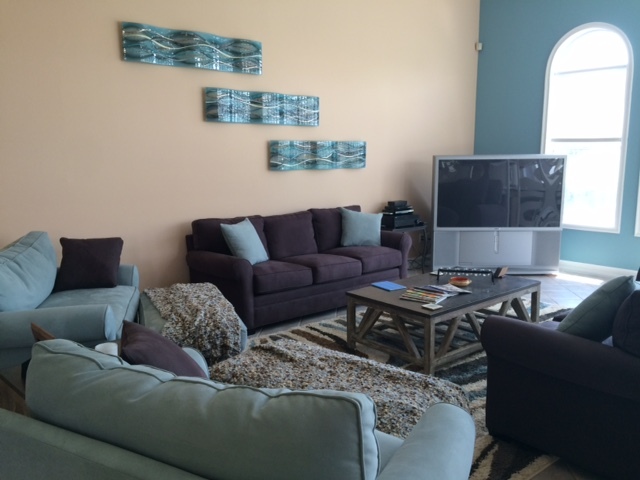 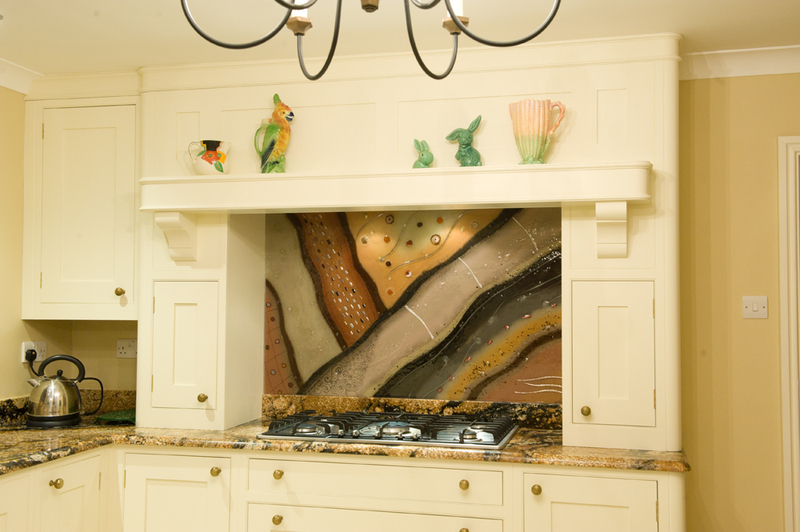 That goes for just about anything that you’d love to put in your own home, too! 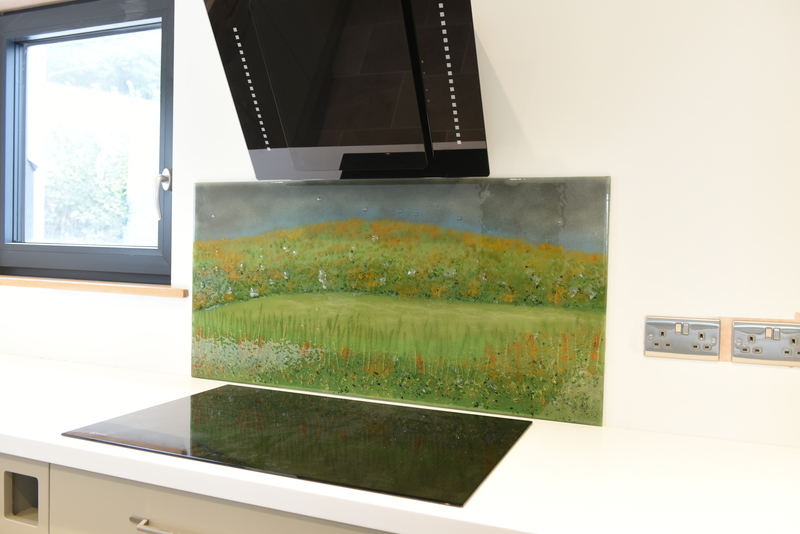 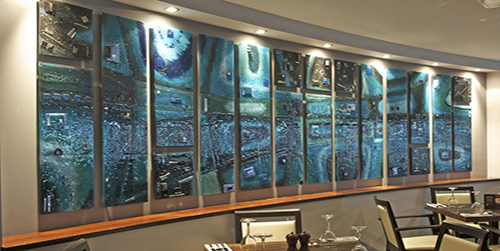 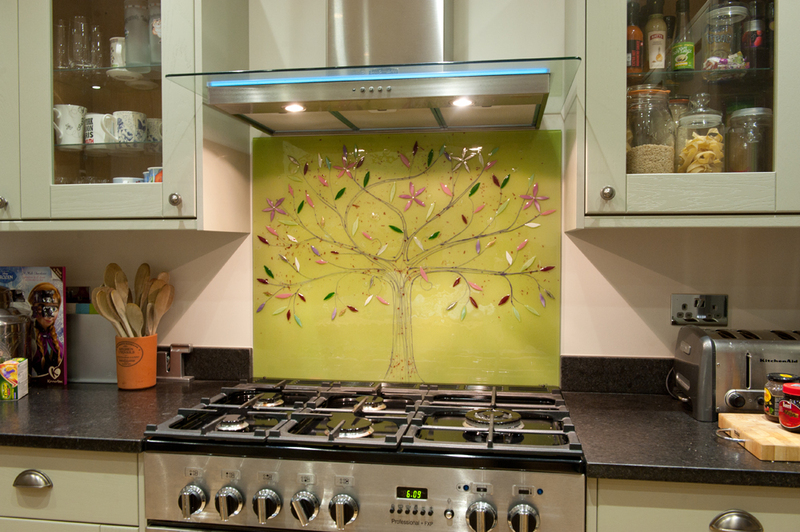 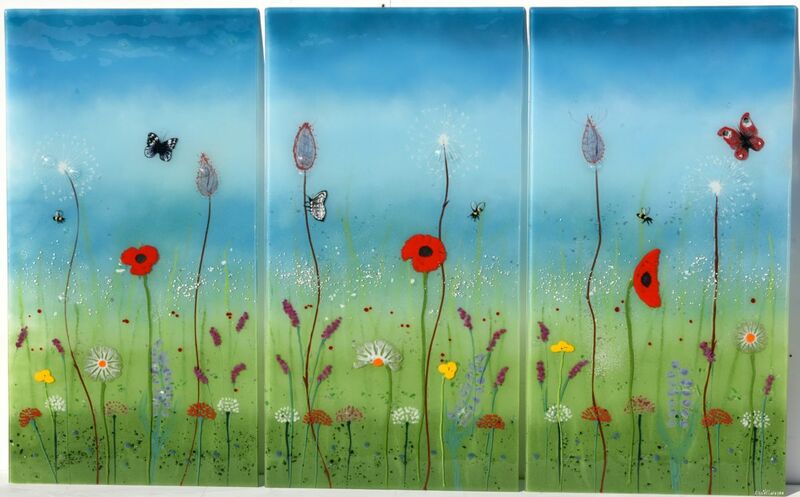 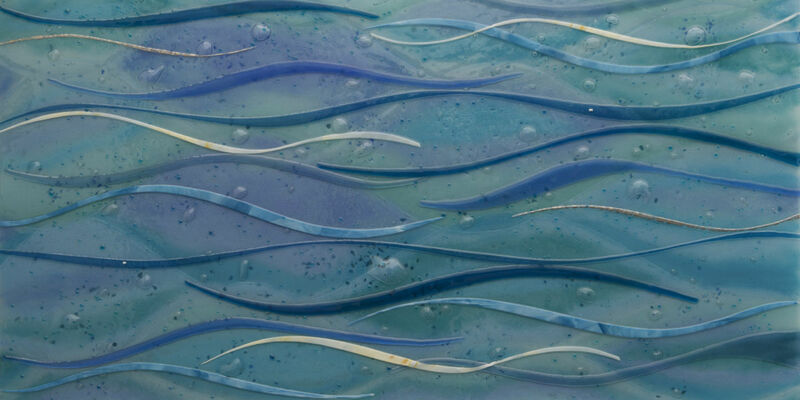 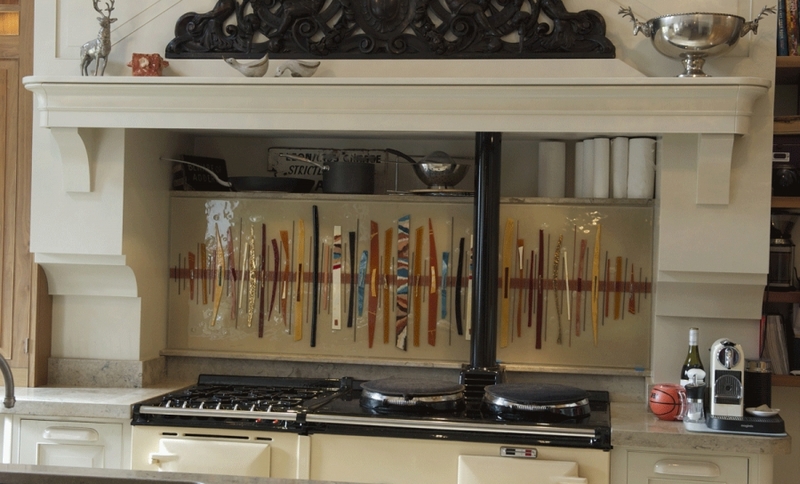 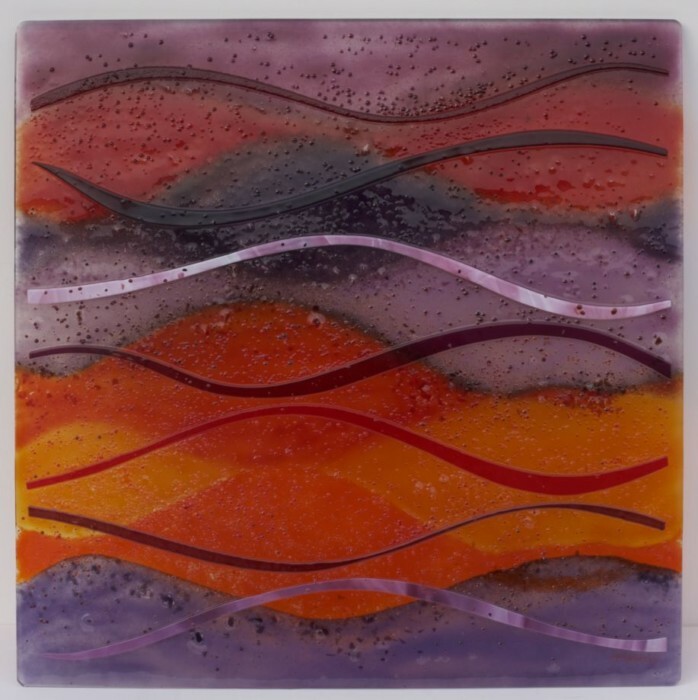 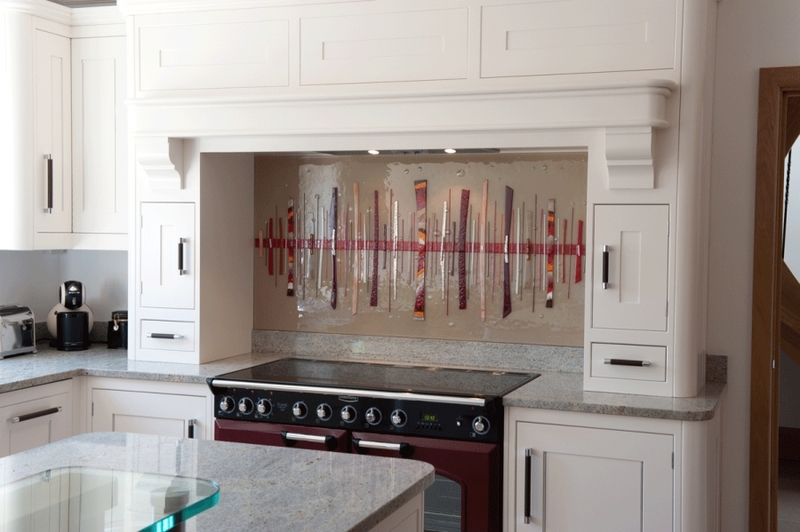 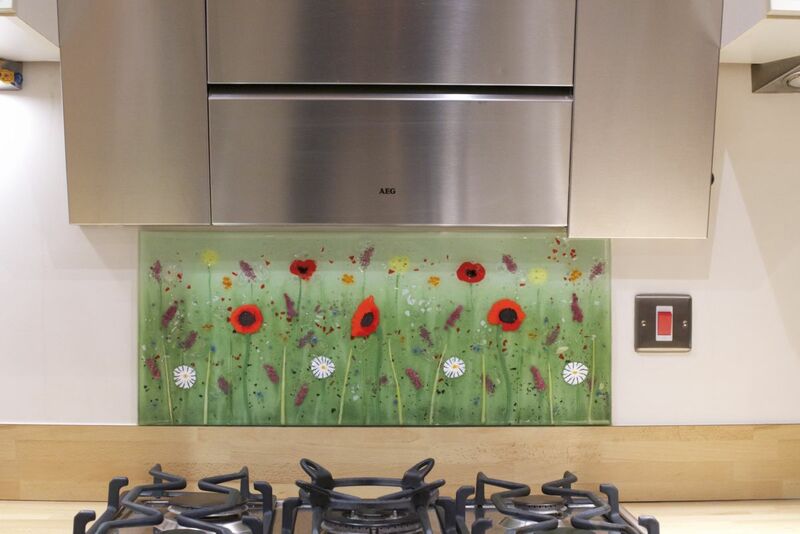 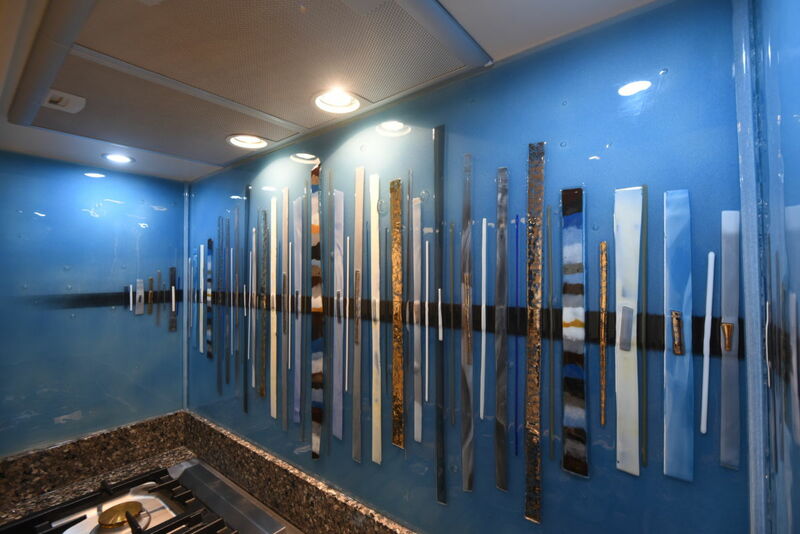 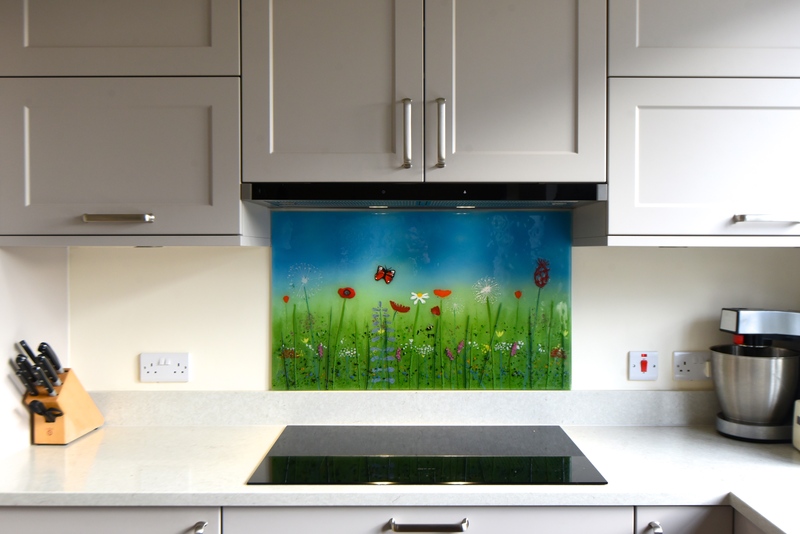 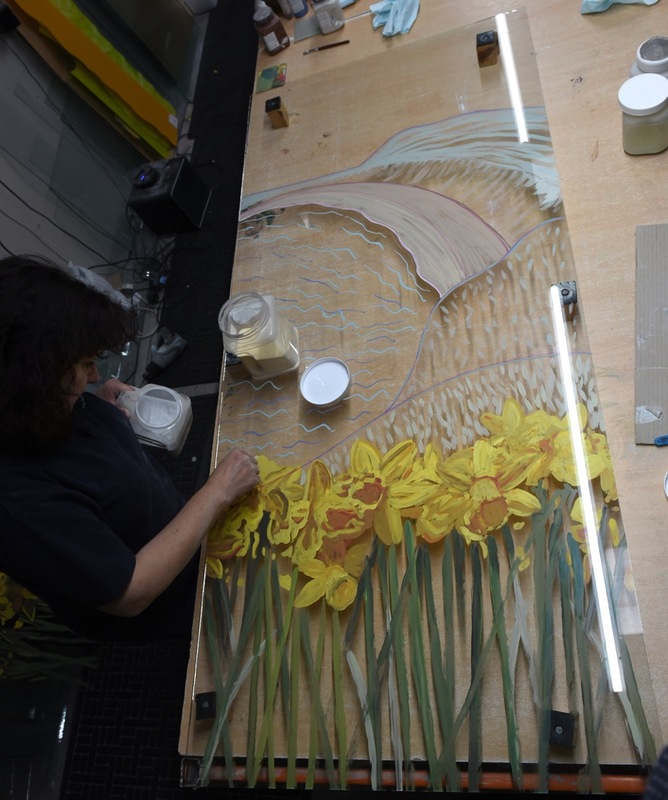 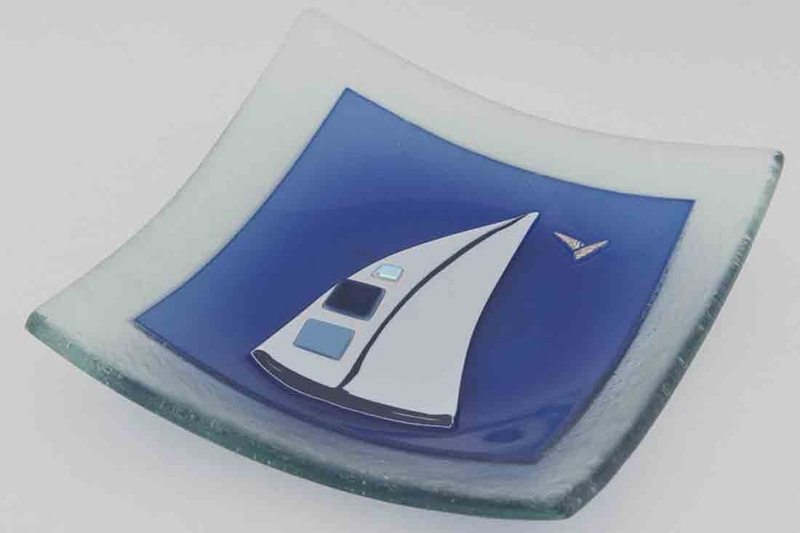 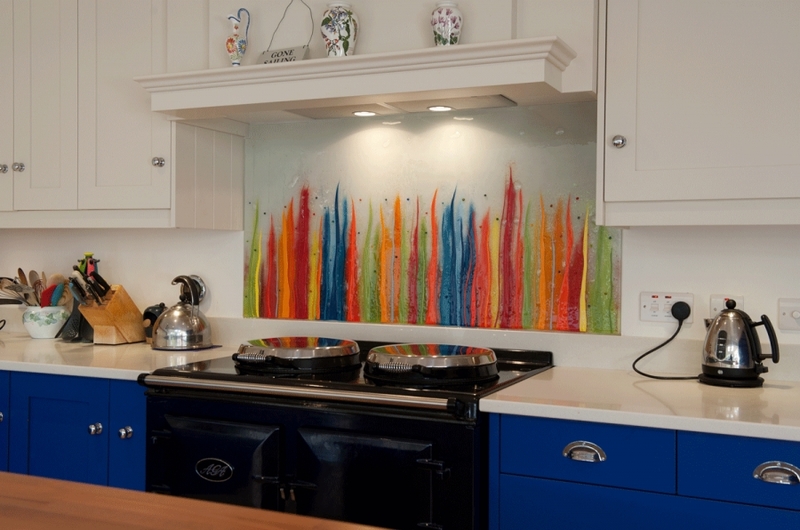 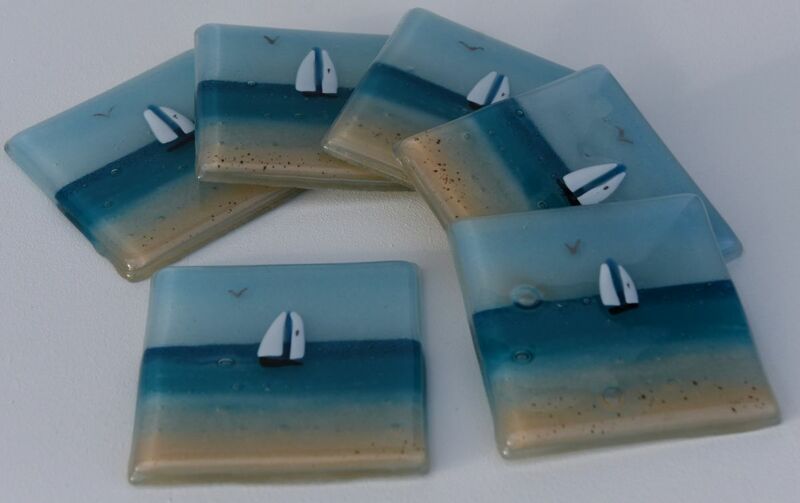 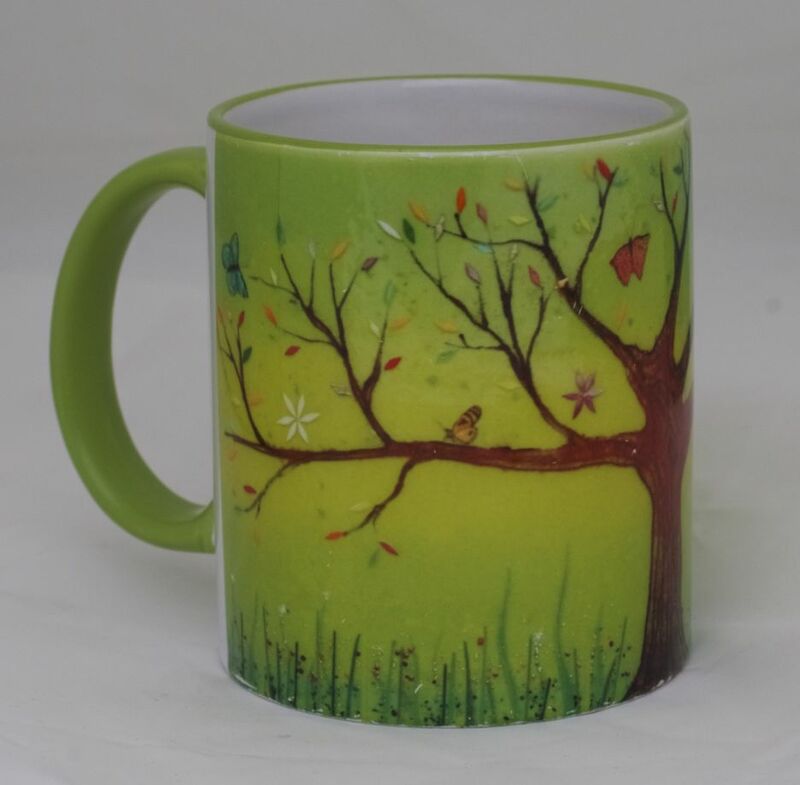 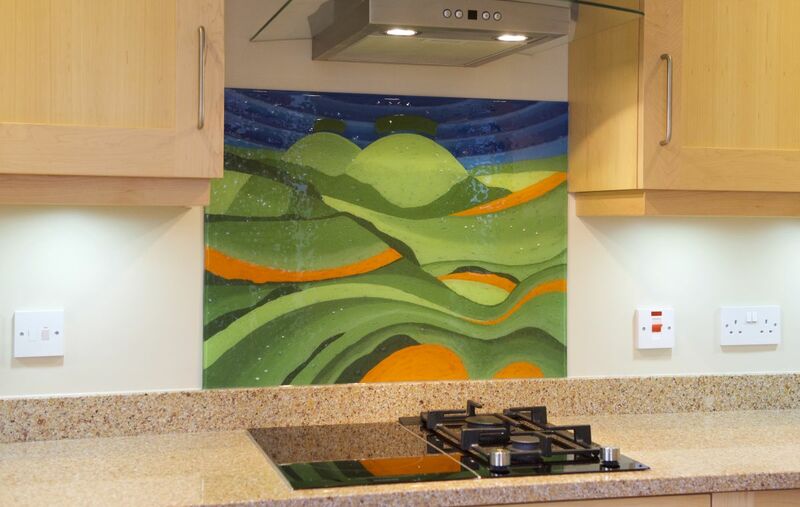 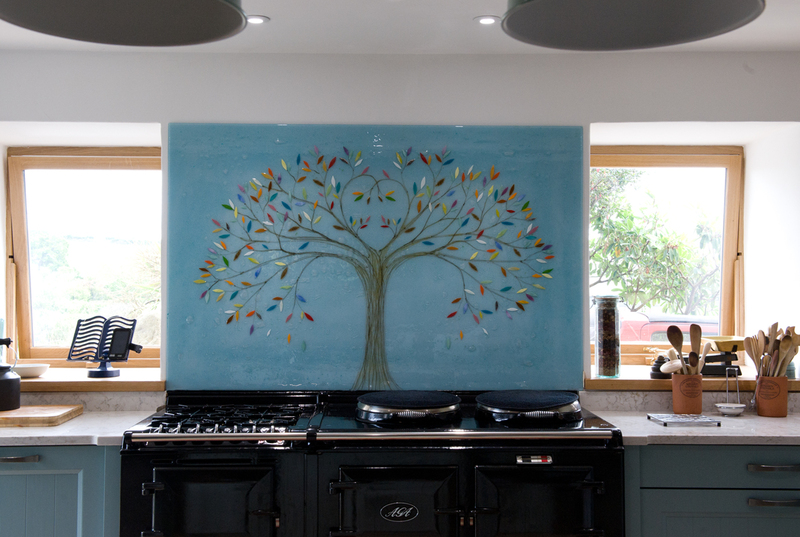 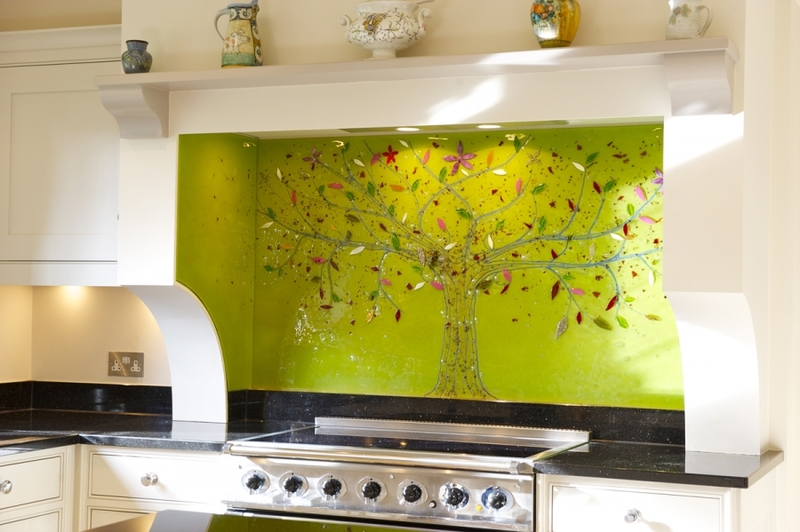 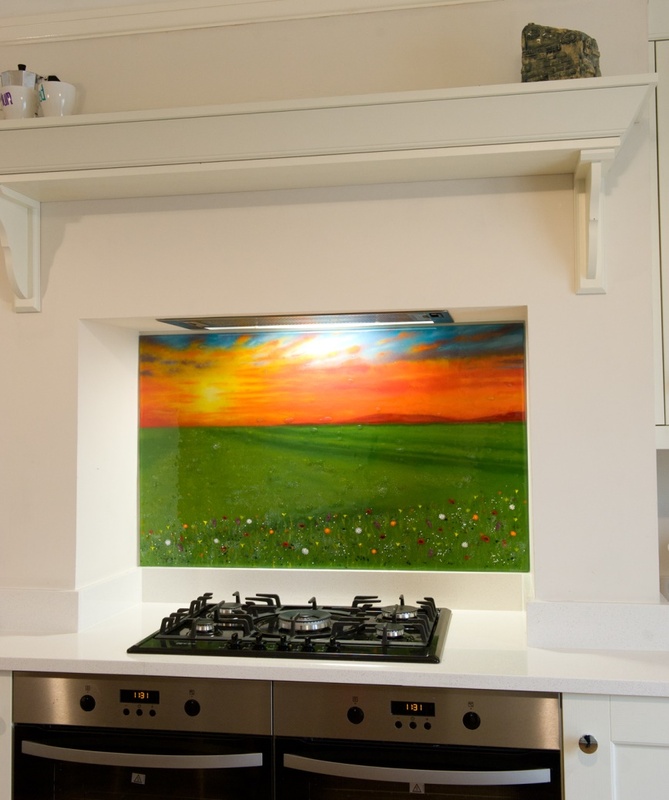 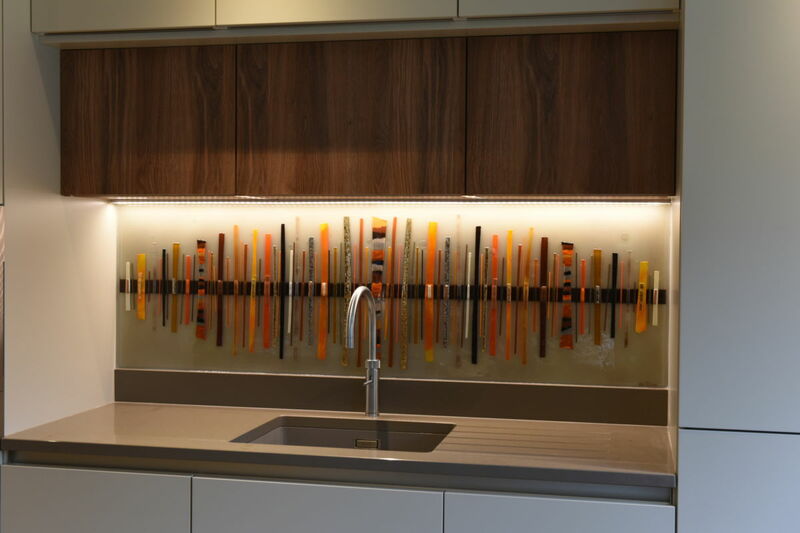 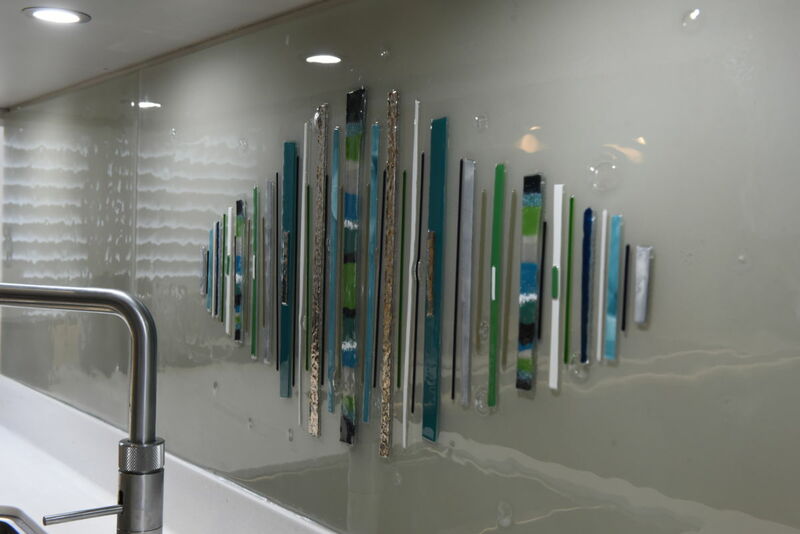 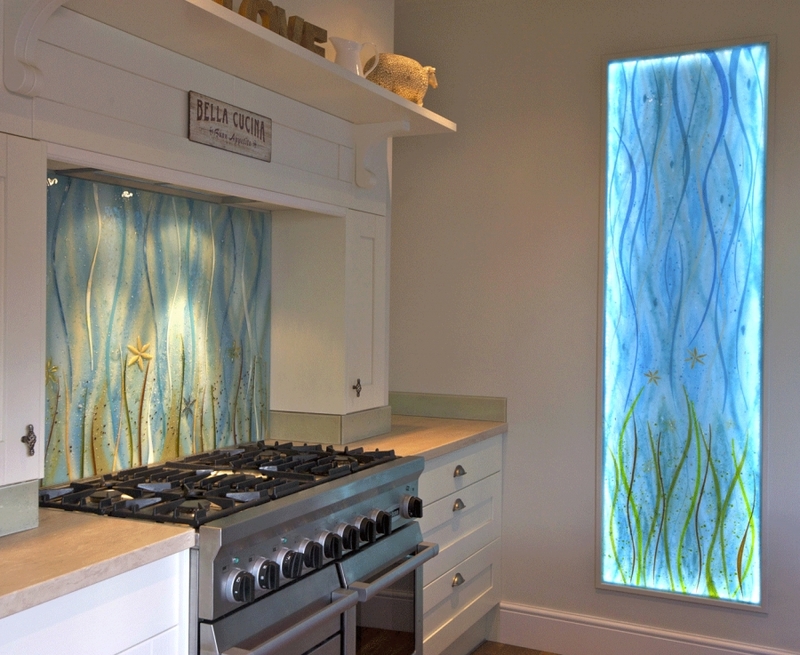 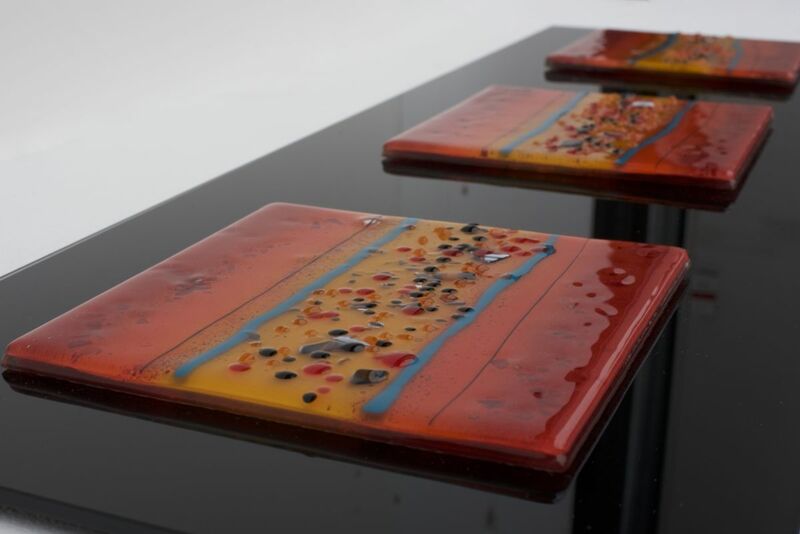 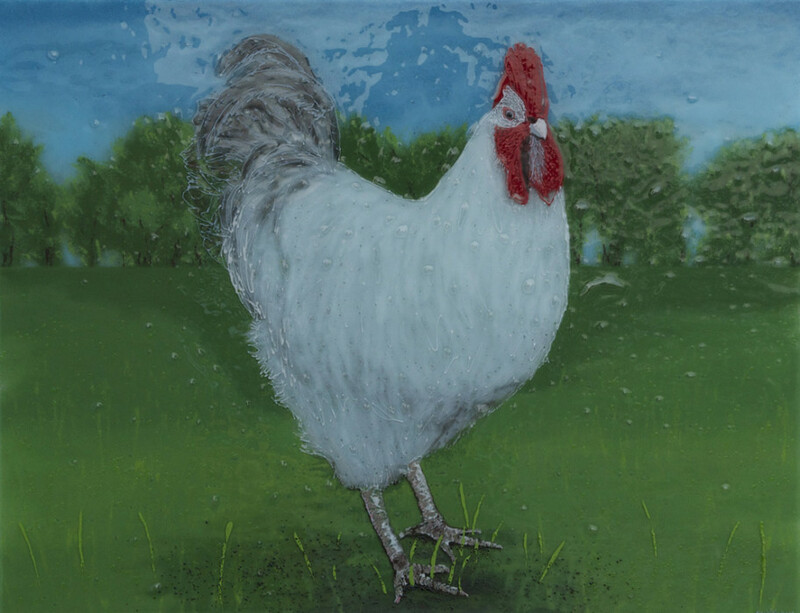 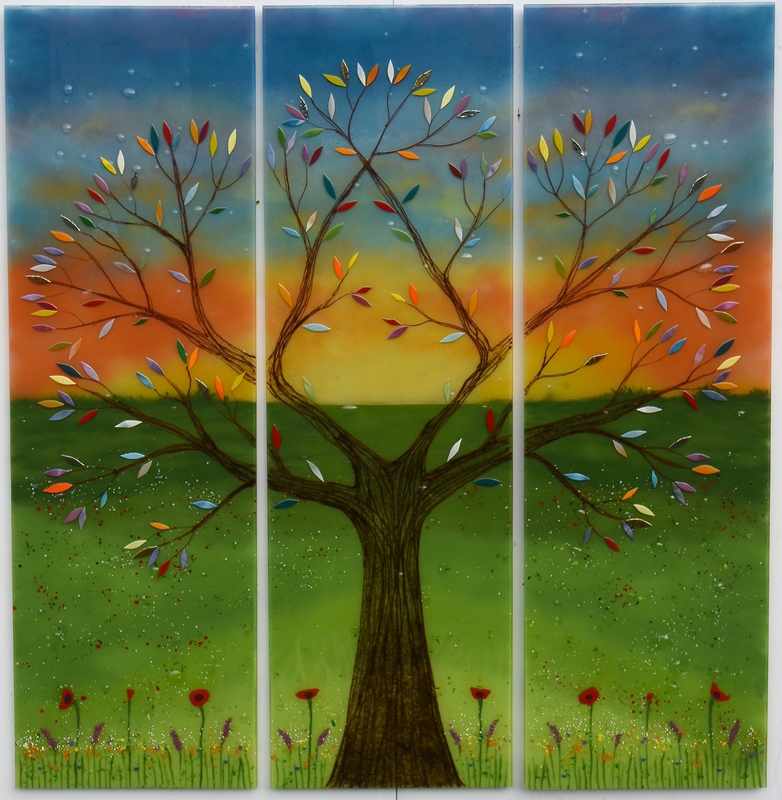 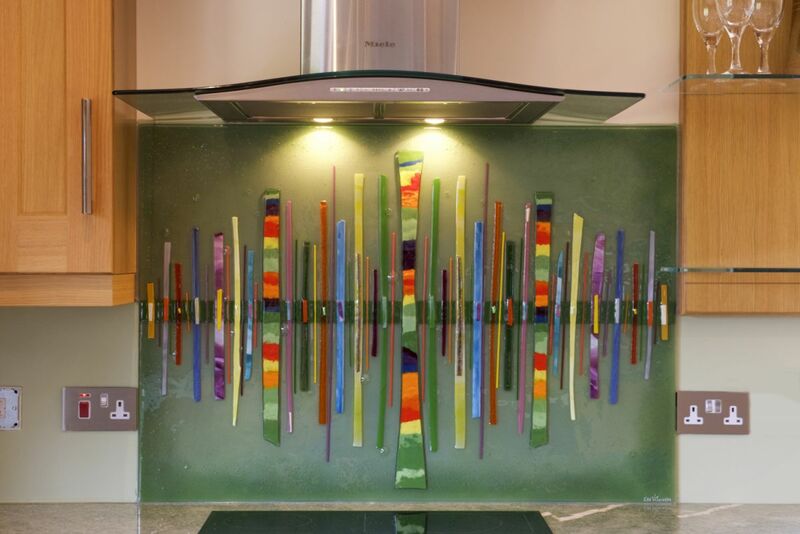 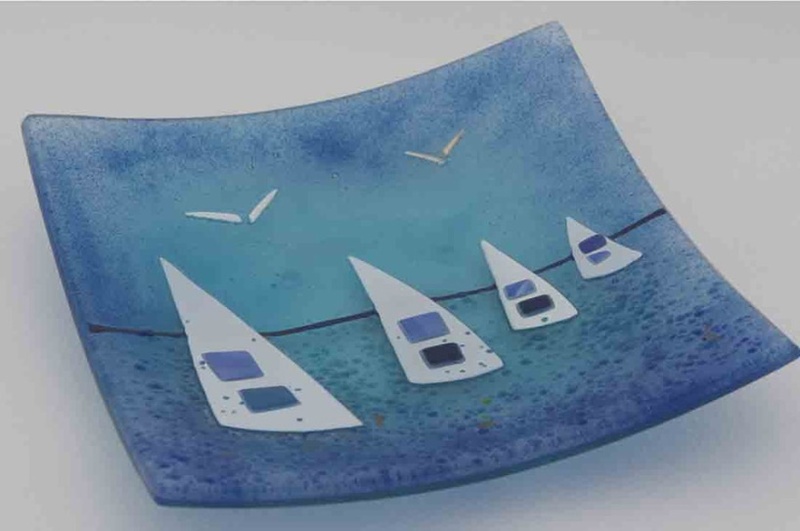 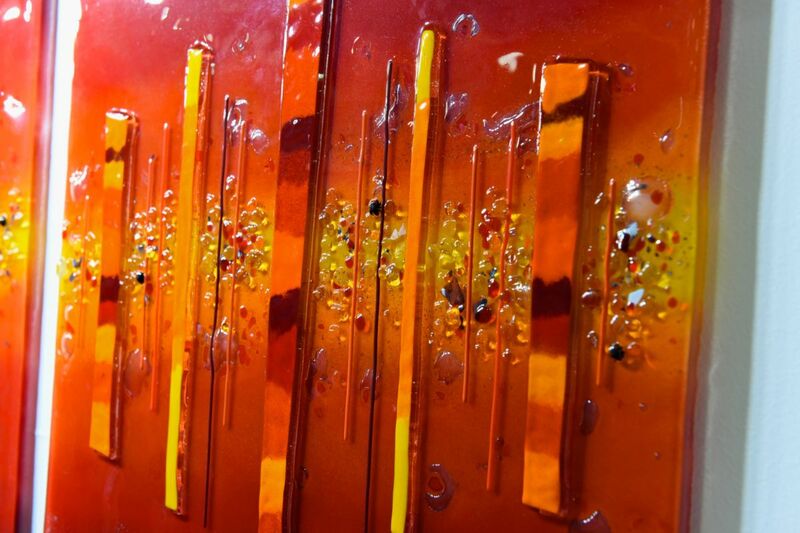 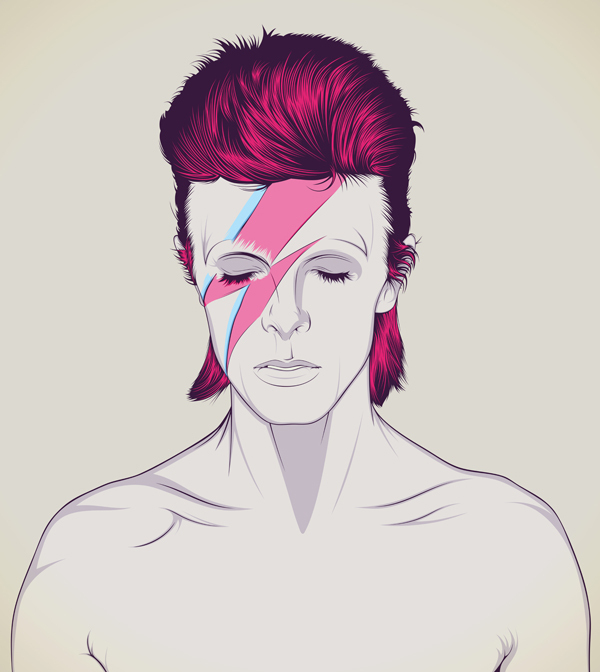 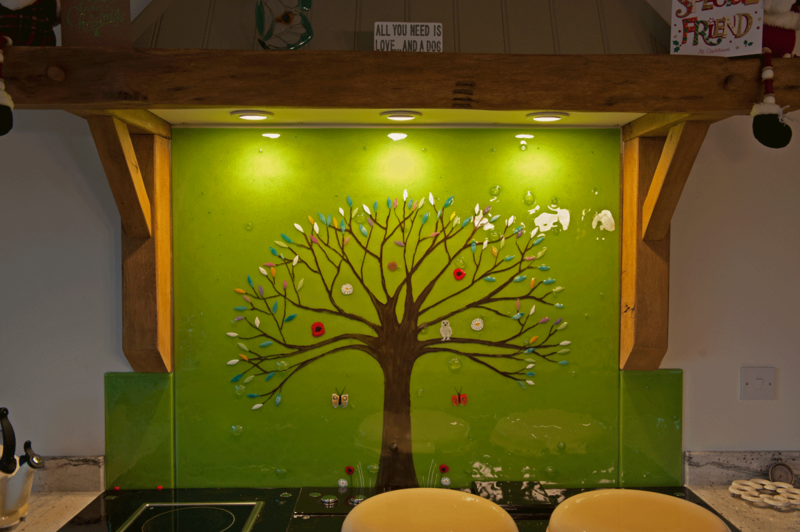 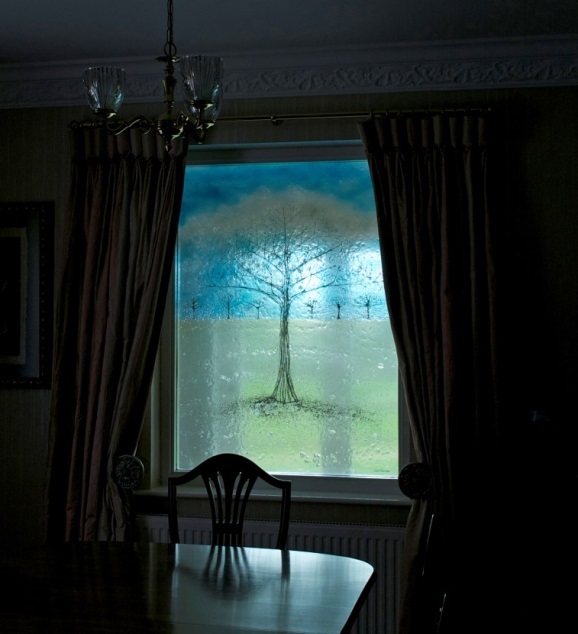 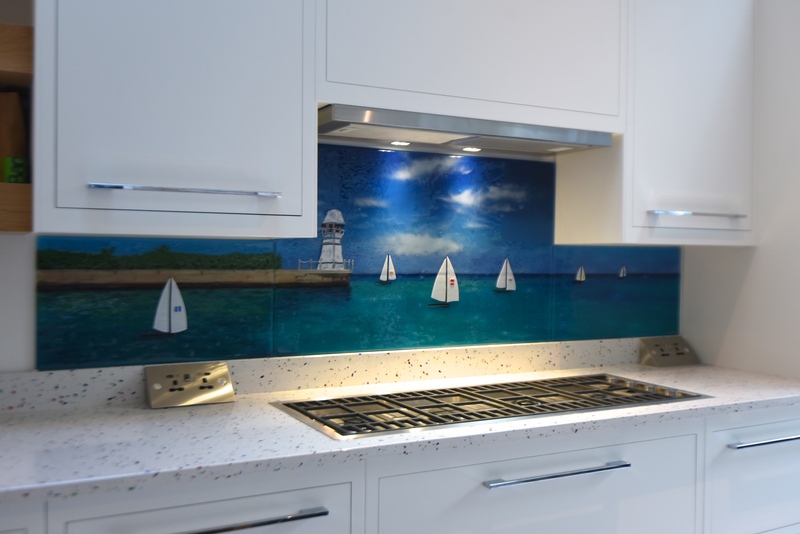 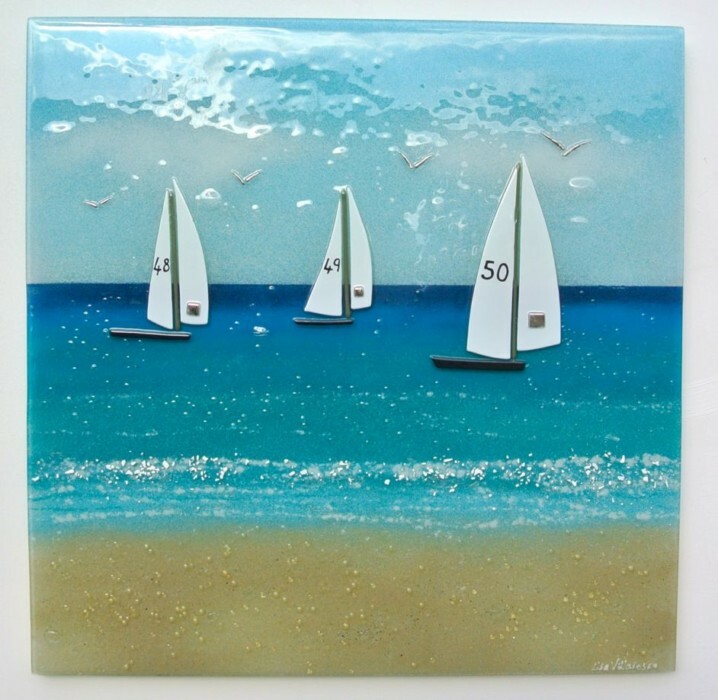 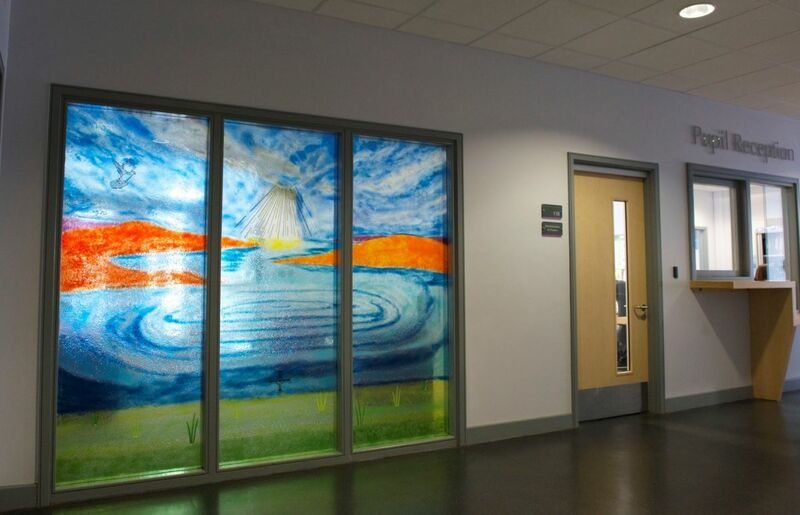 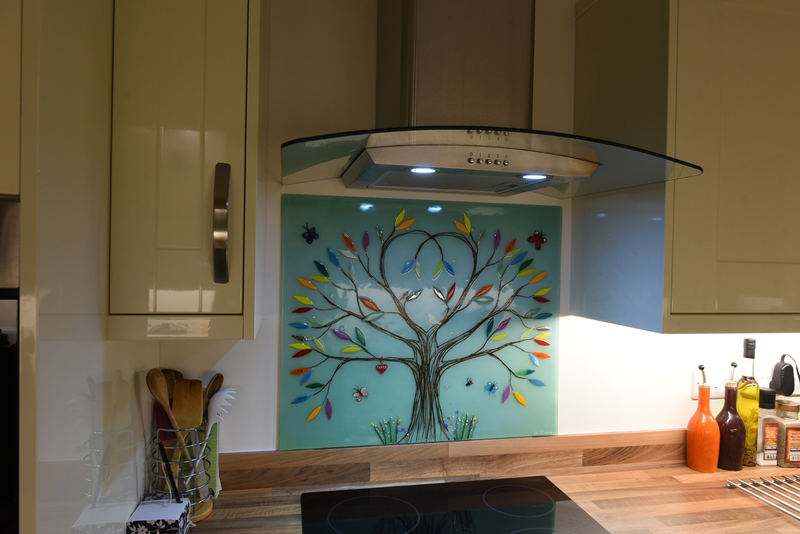 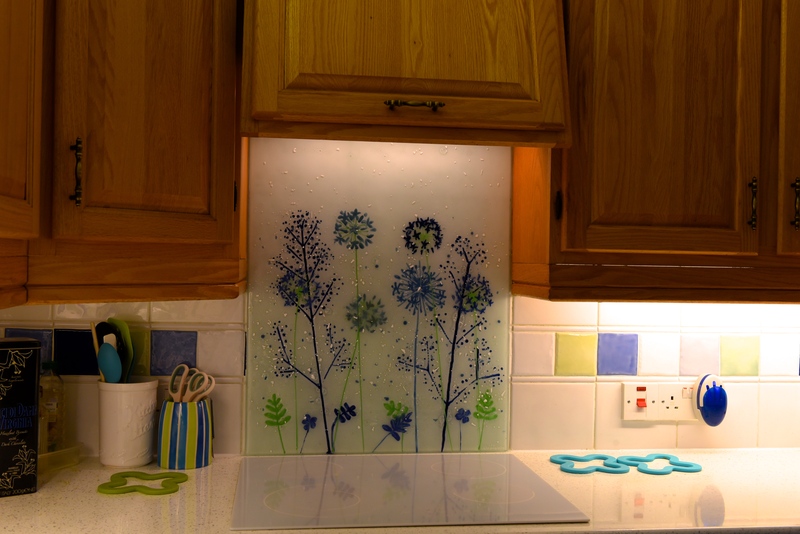 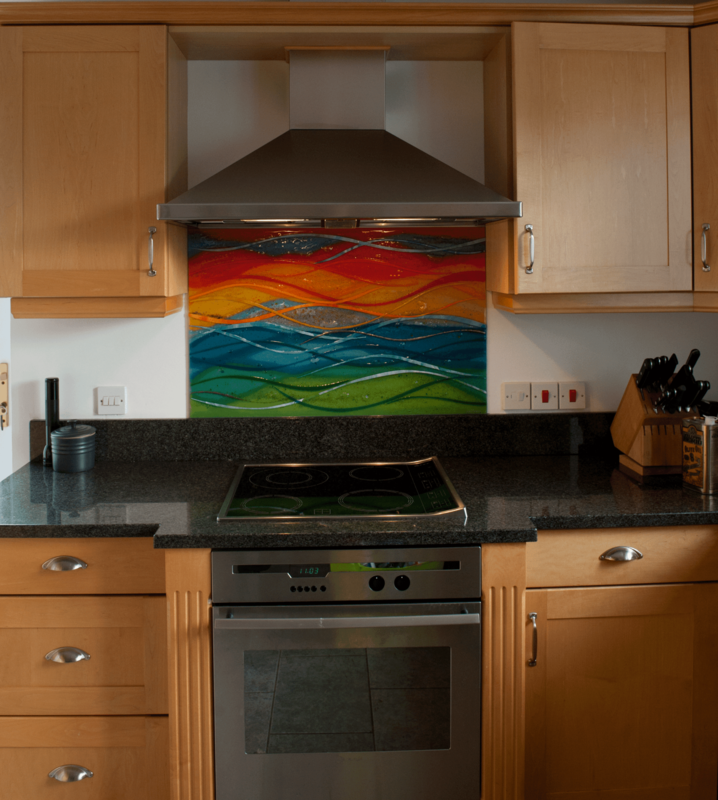 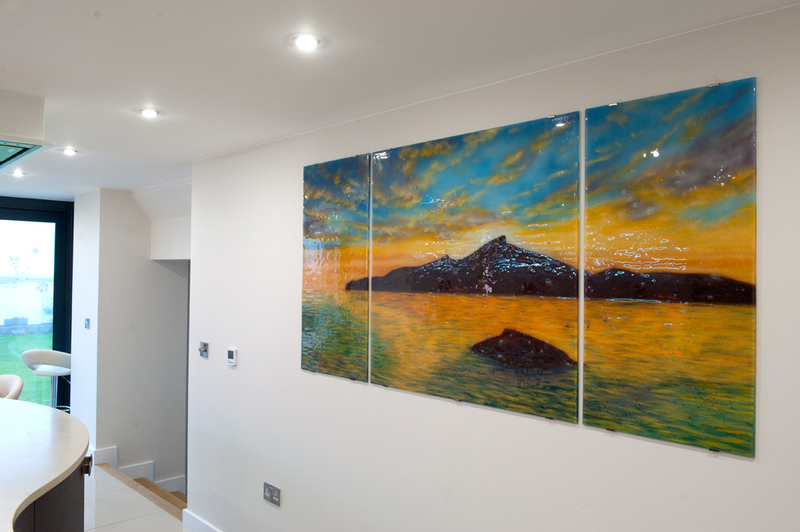 From existing paintings and portraits to wide, lush looking landscapes that transport you every time you look at them, it’s safe to say that fused glass art is the perfect way to put a unique and very interesting spin on the look of traditional paint and brushwork. 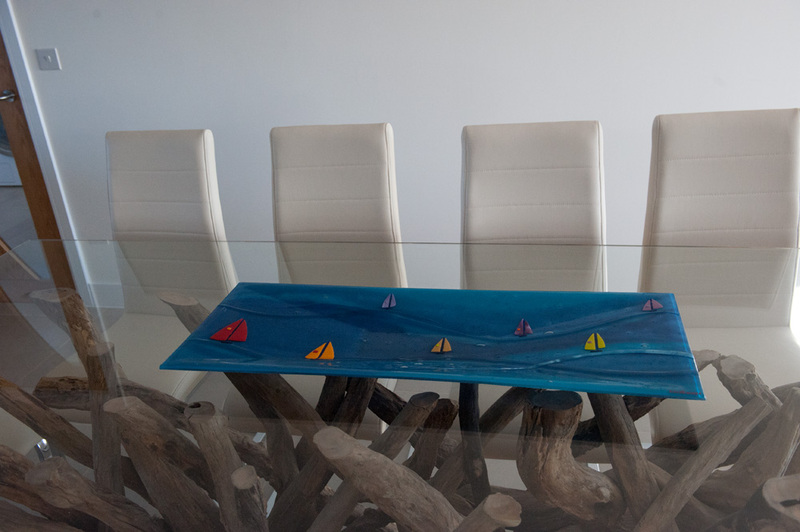 Format is no obstacle, either. 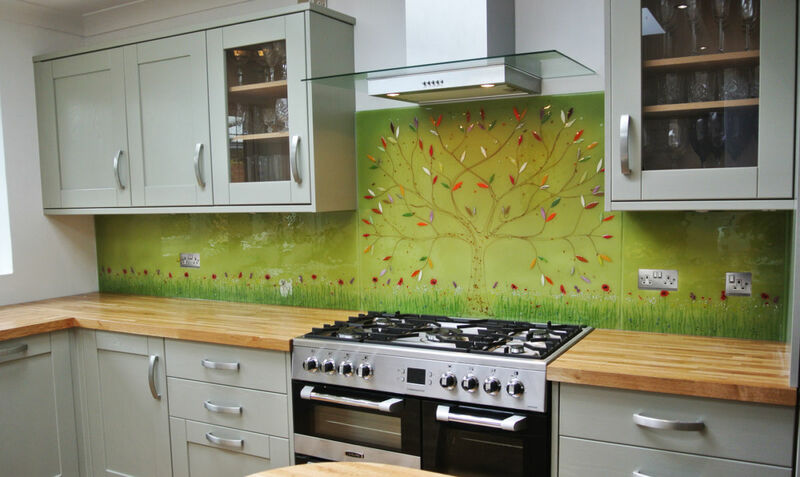 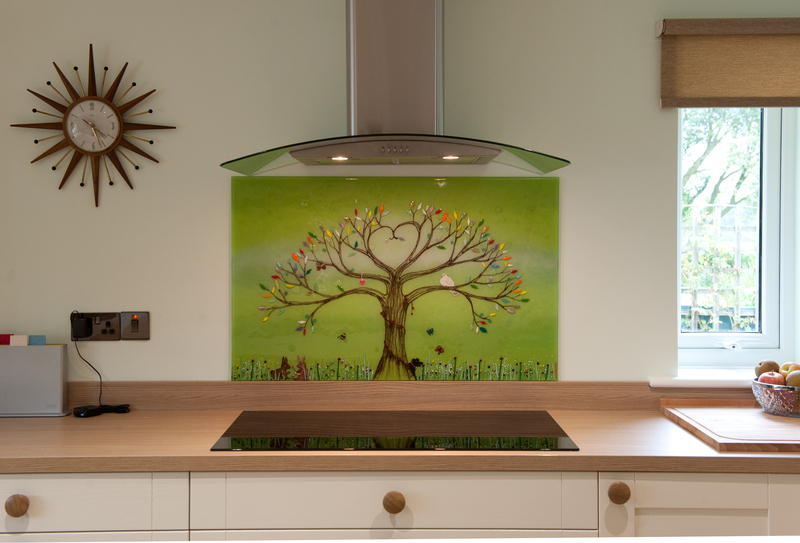 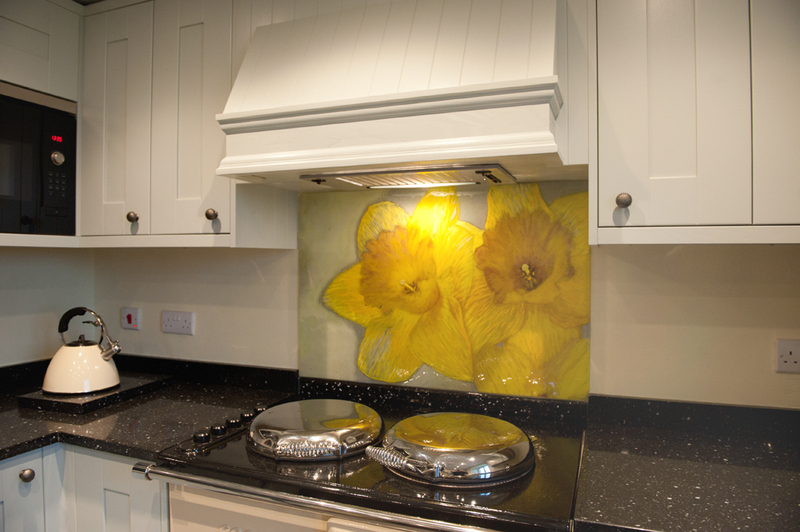 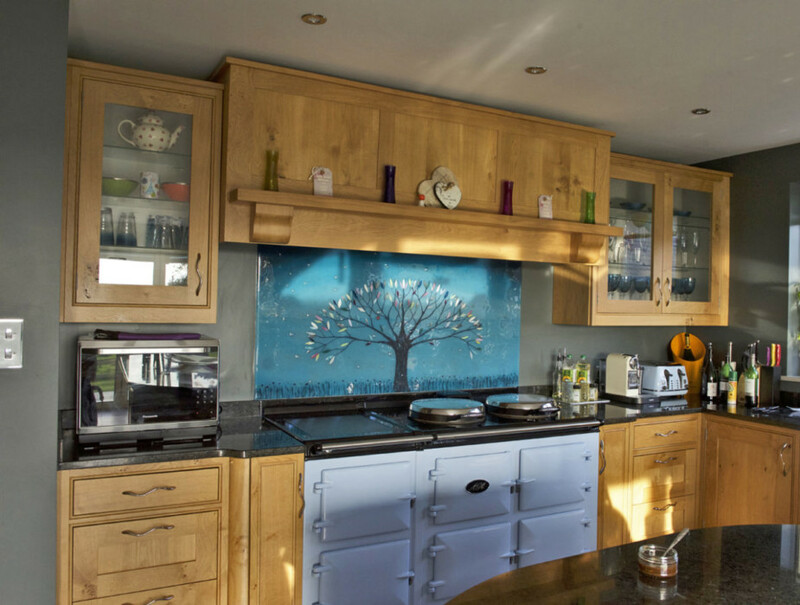 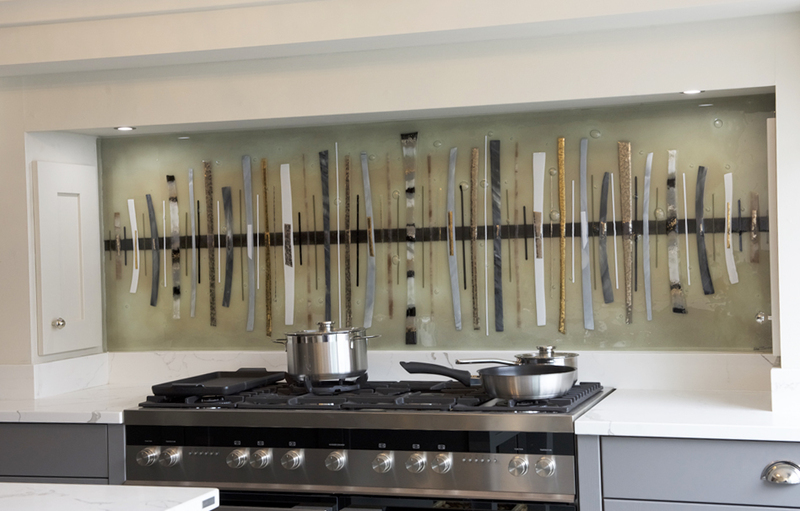 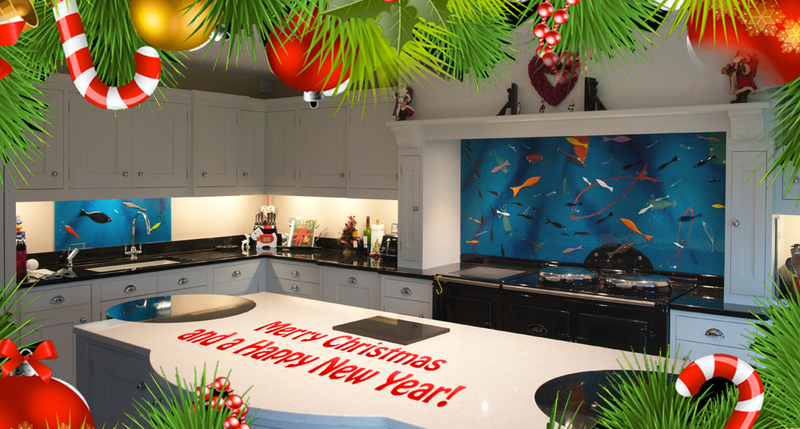 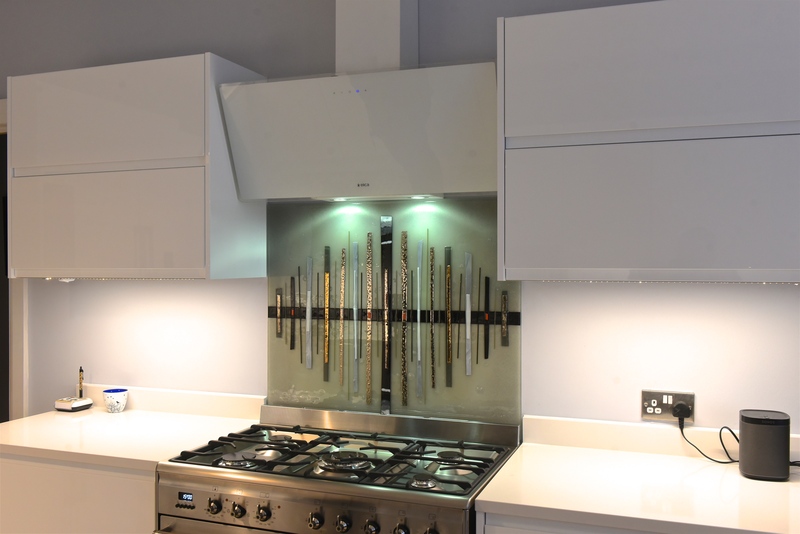 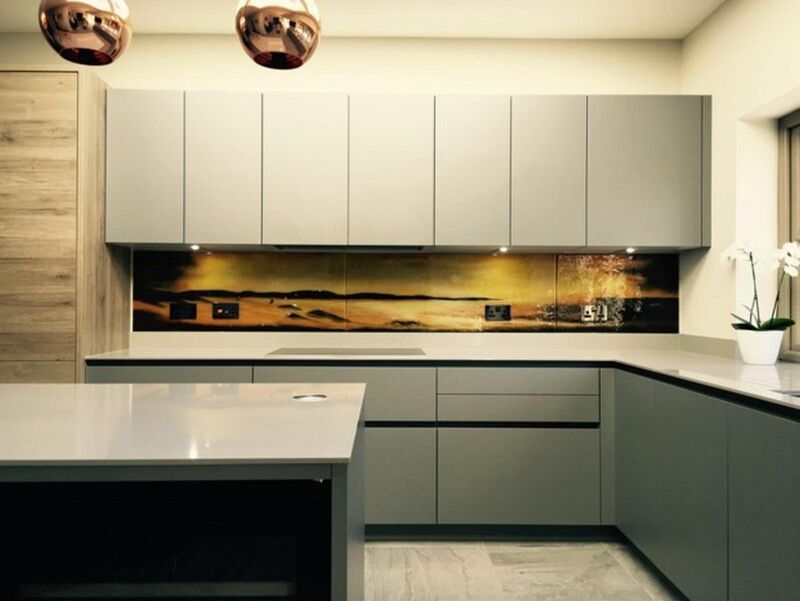 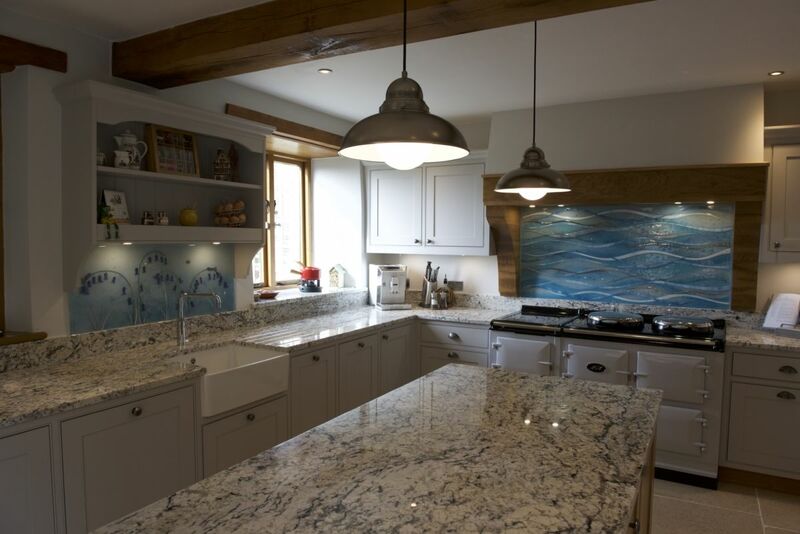 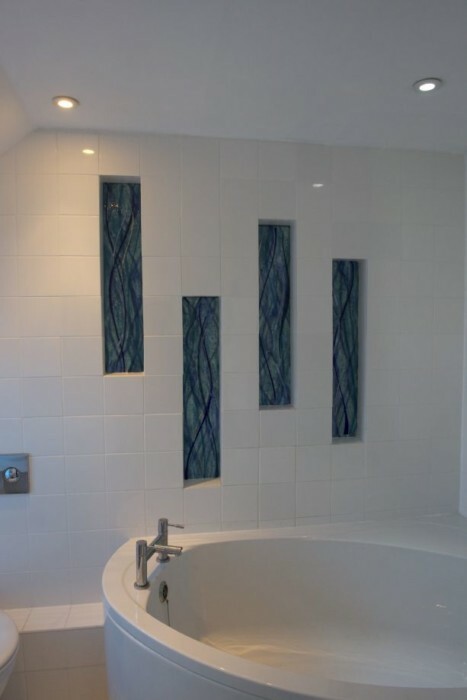 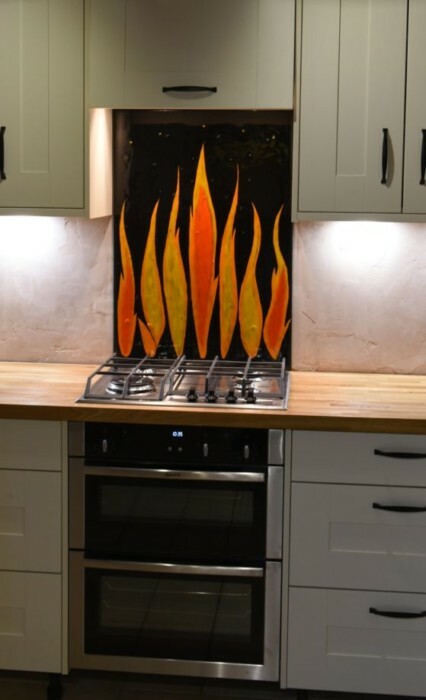 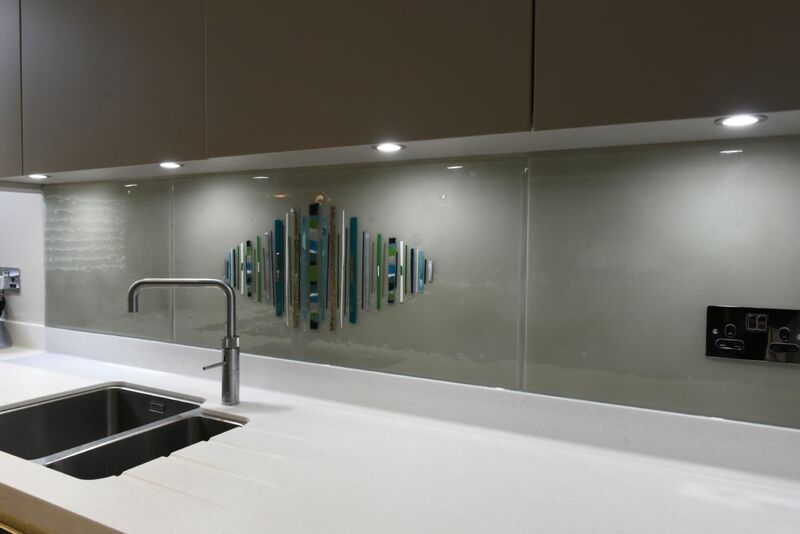 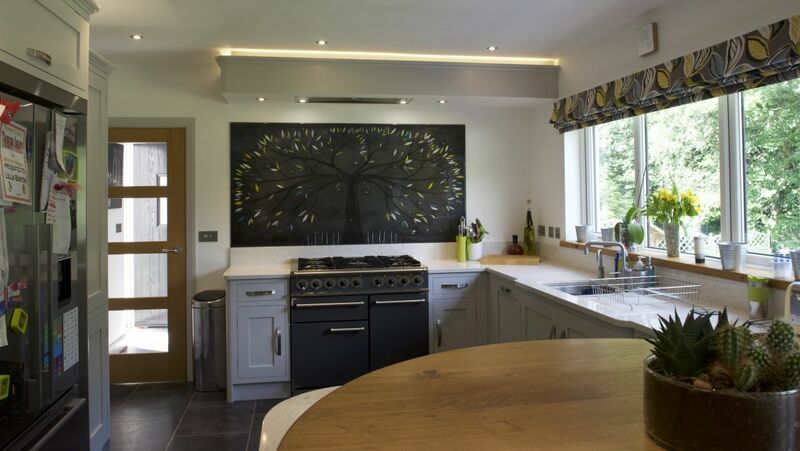 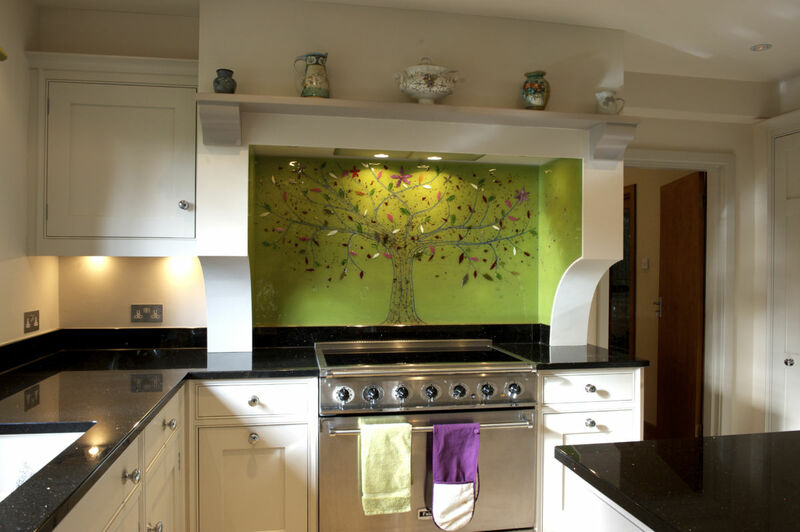 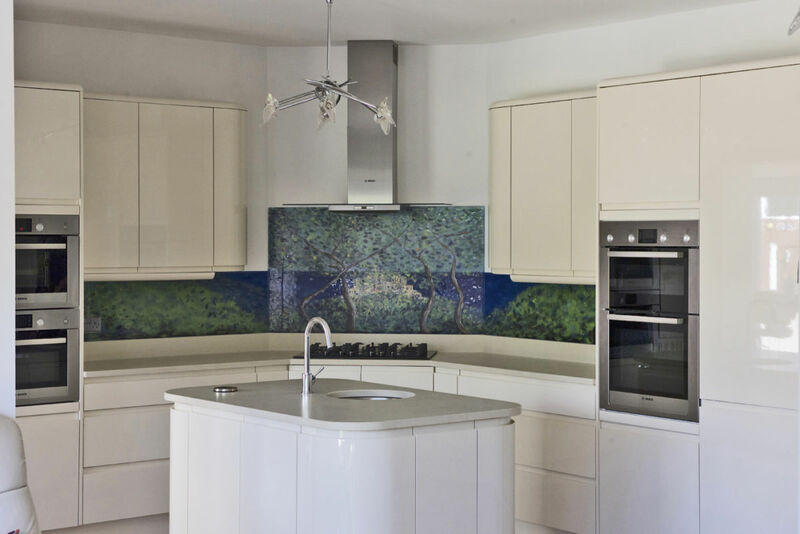 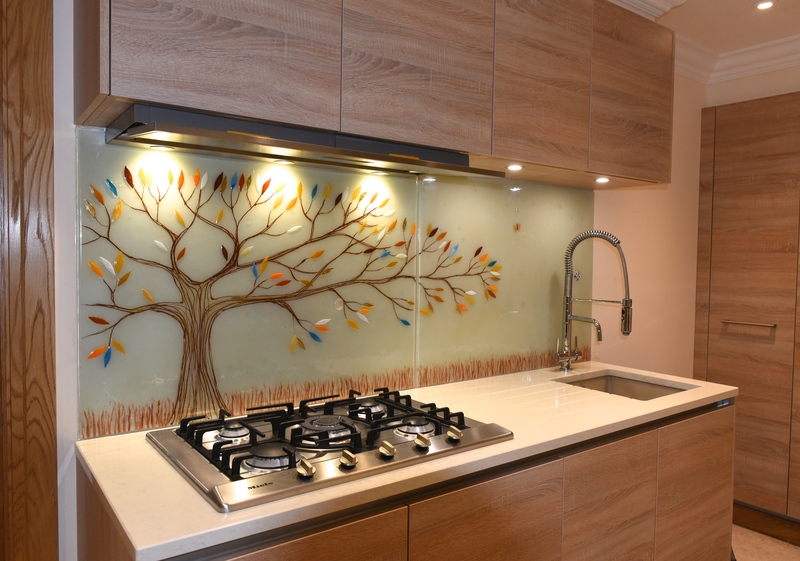 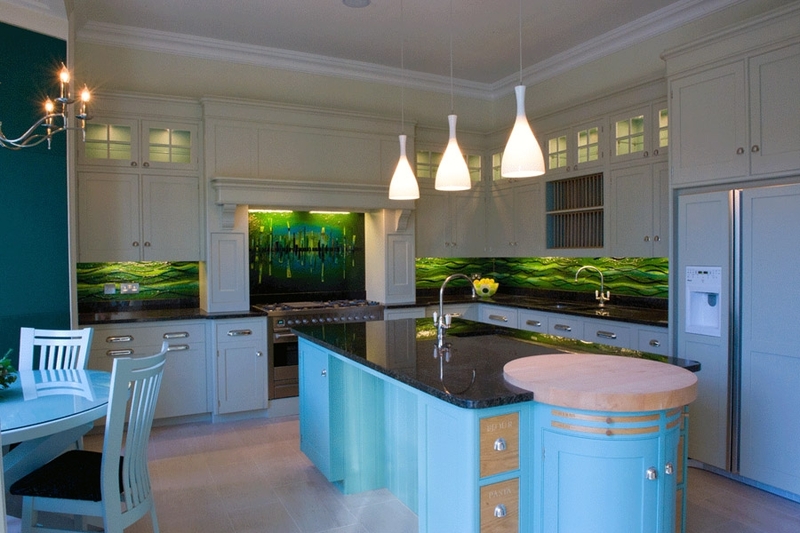 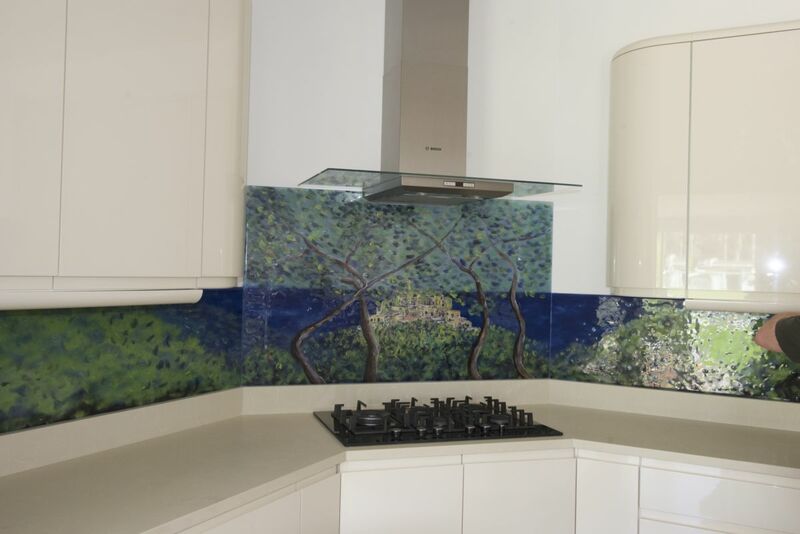 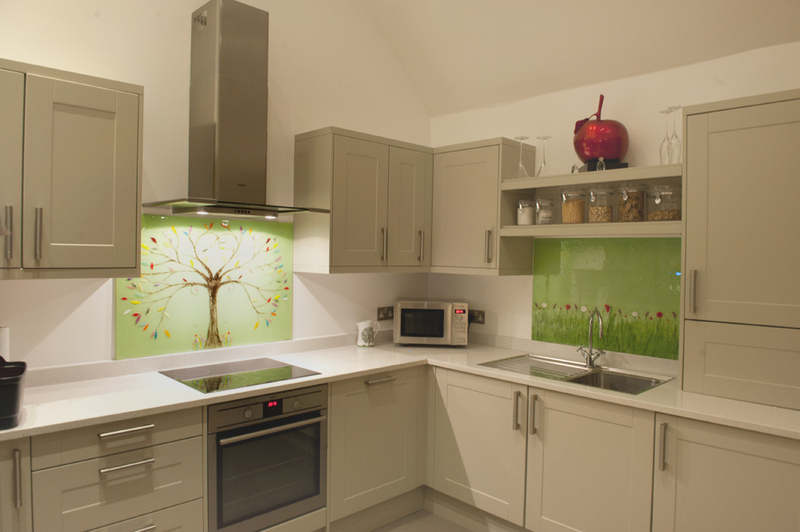 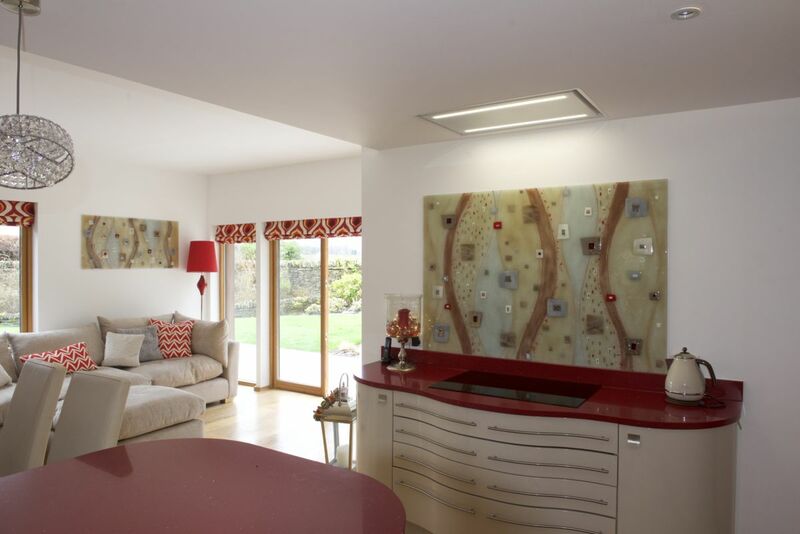 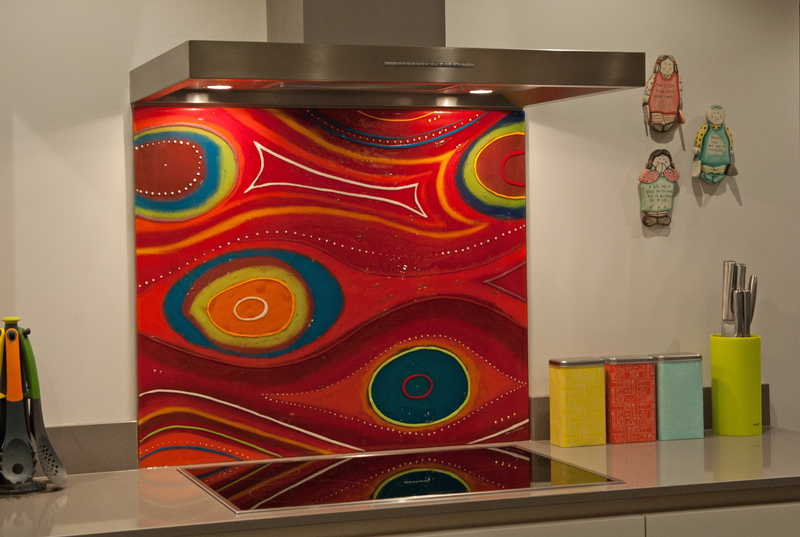 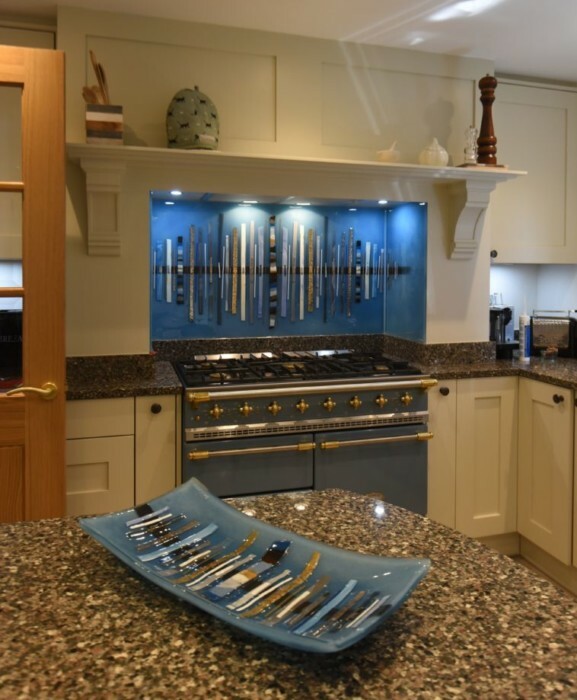 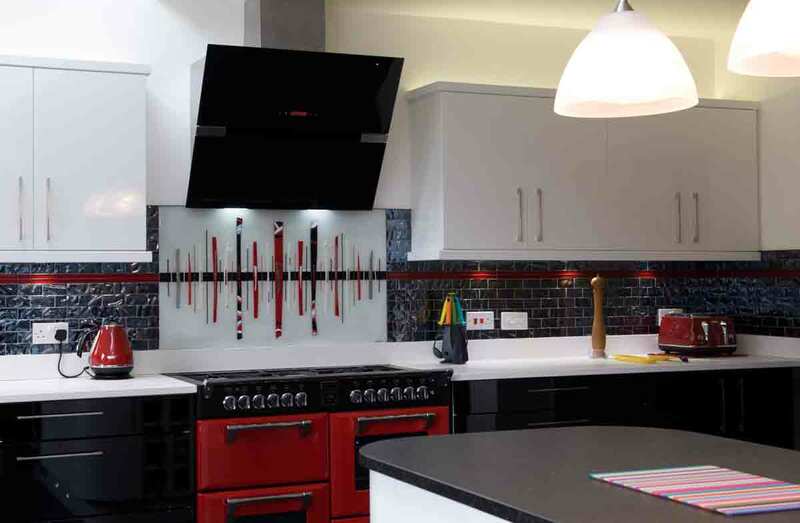 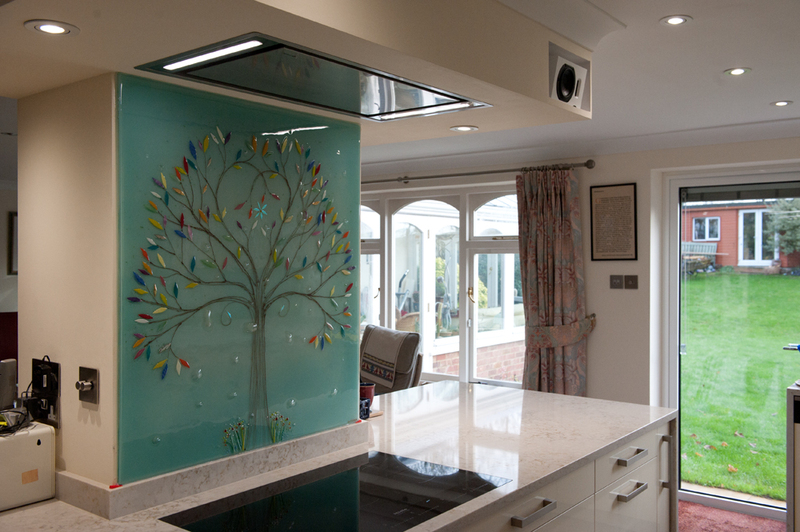 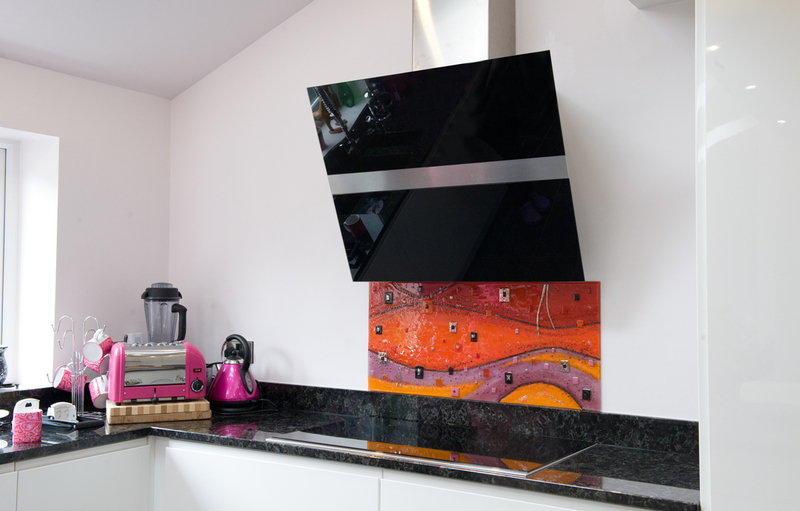 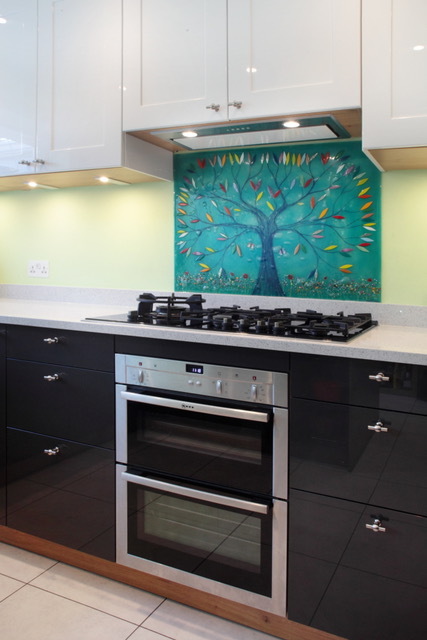 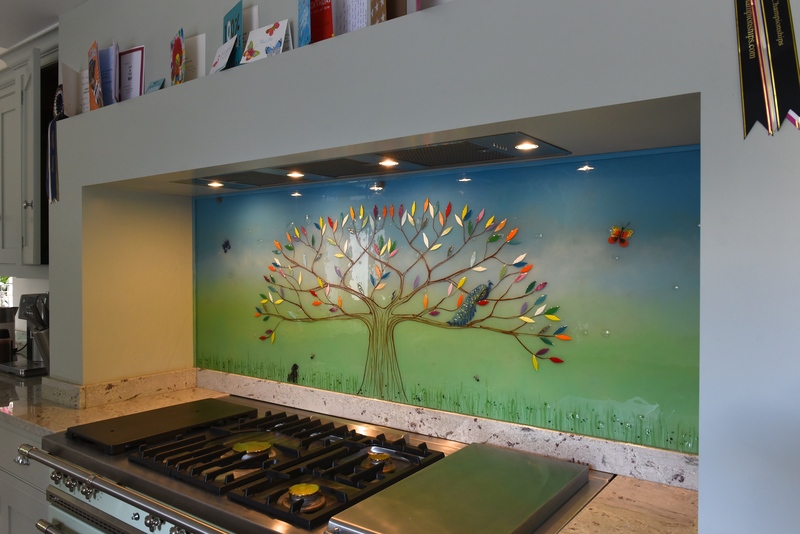 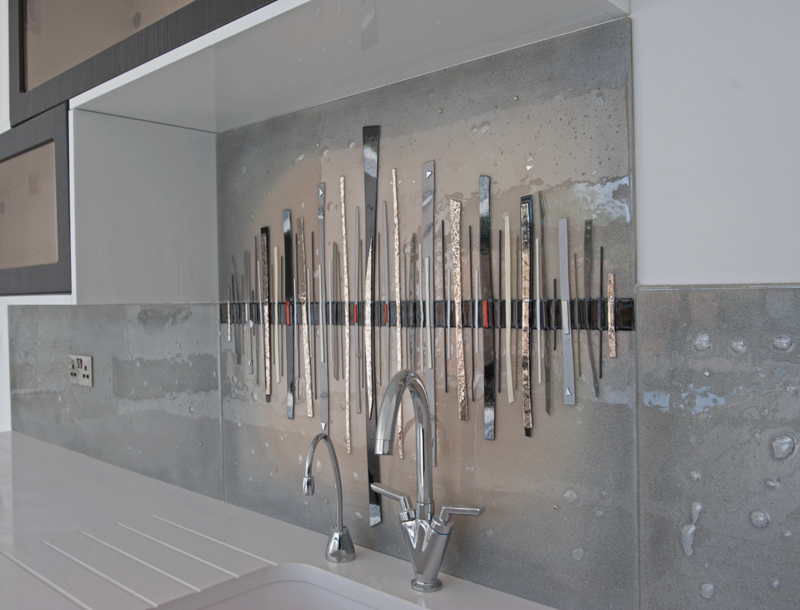 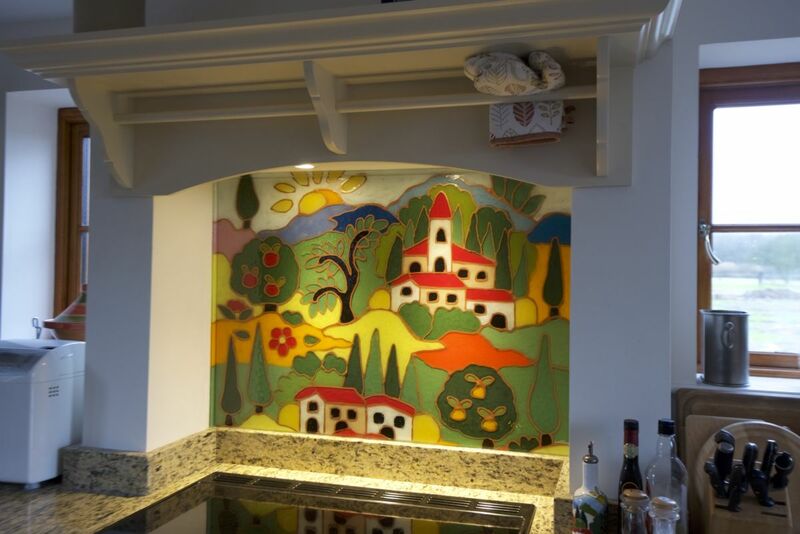 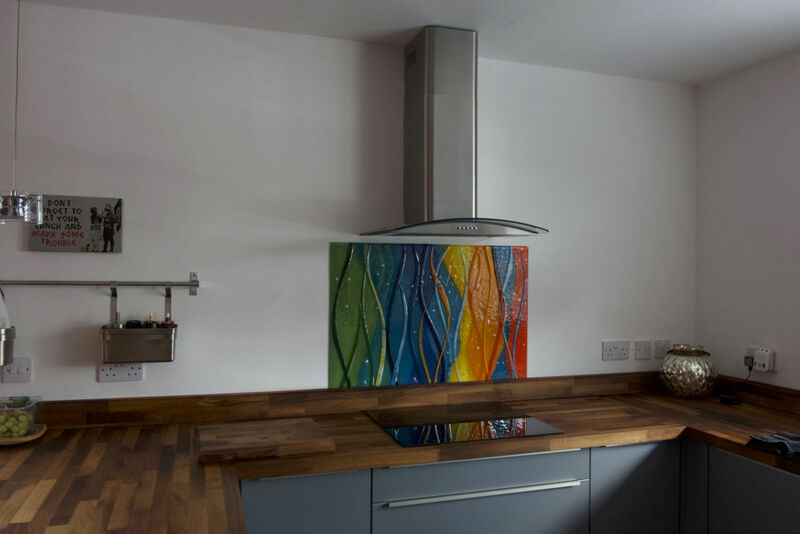 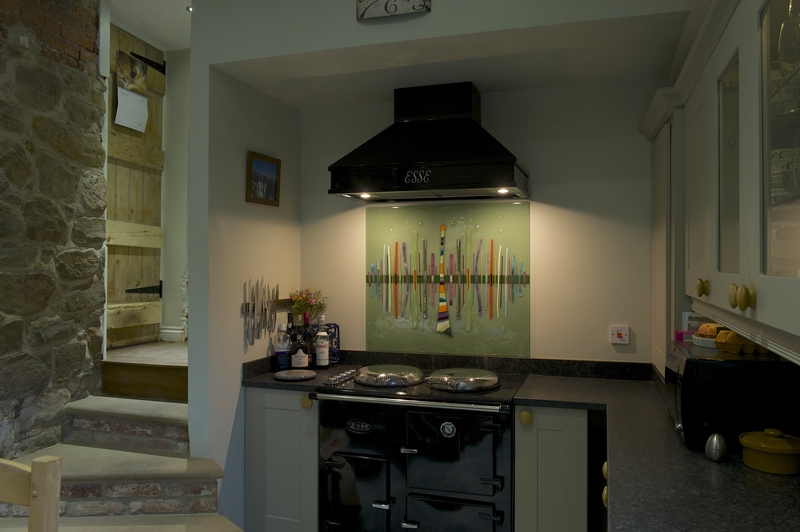 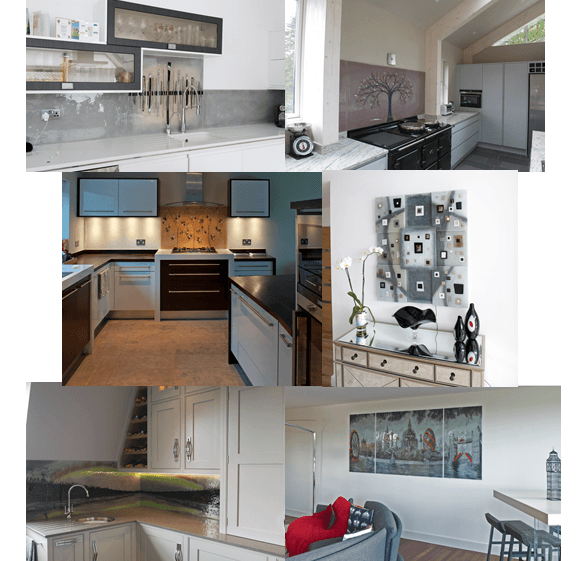 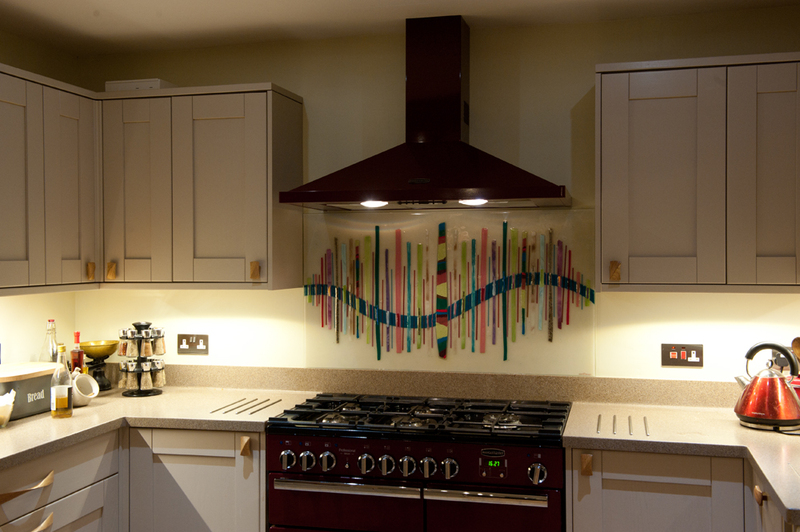 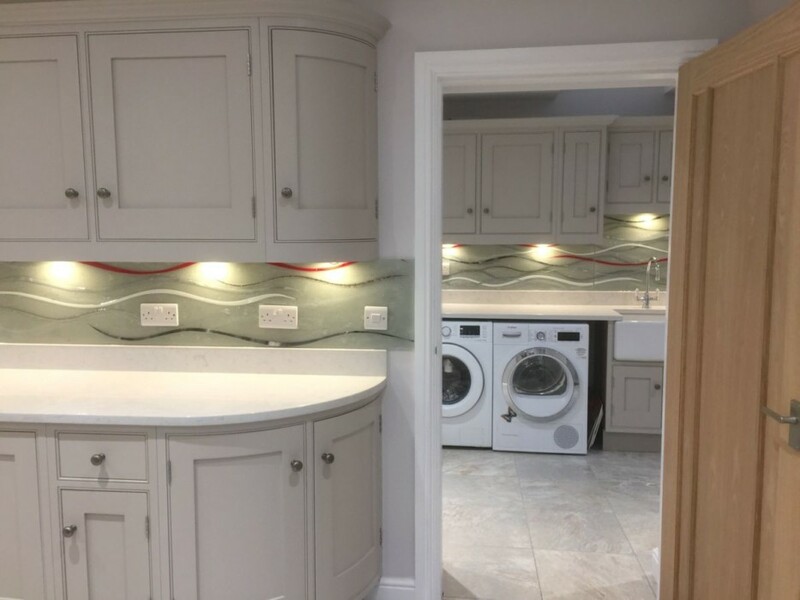 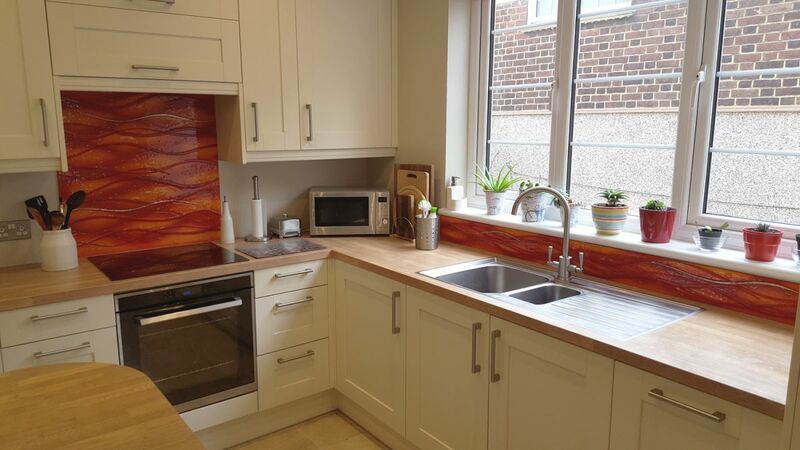 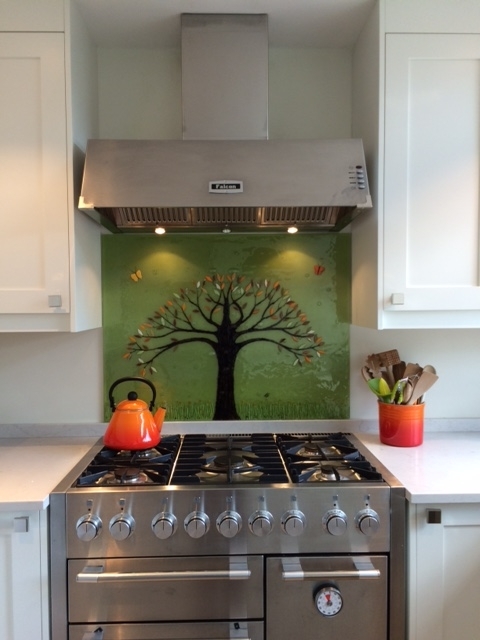 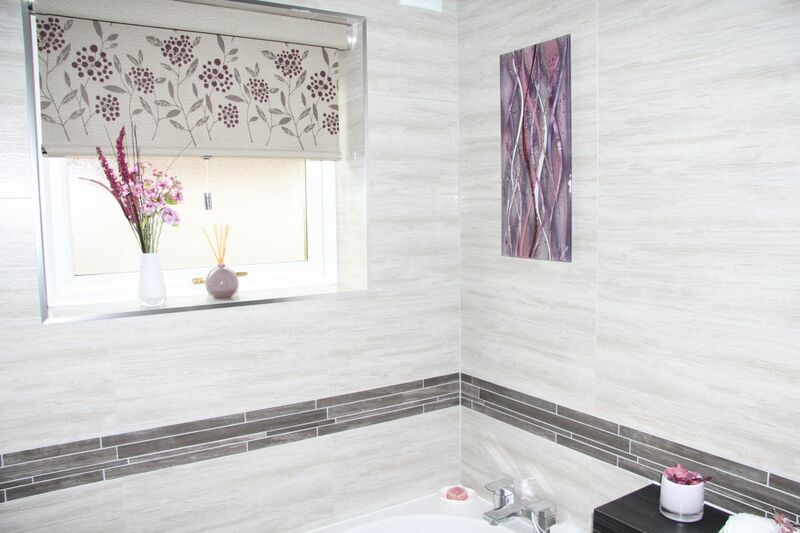 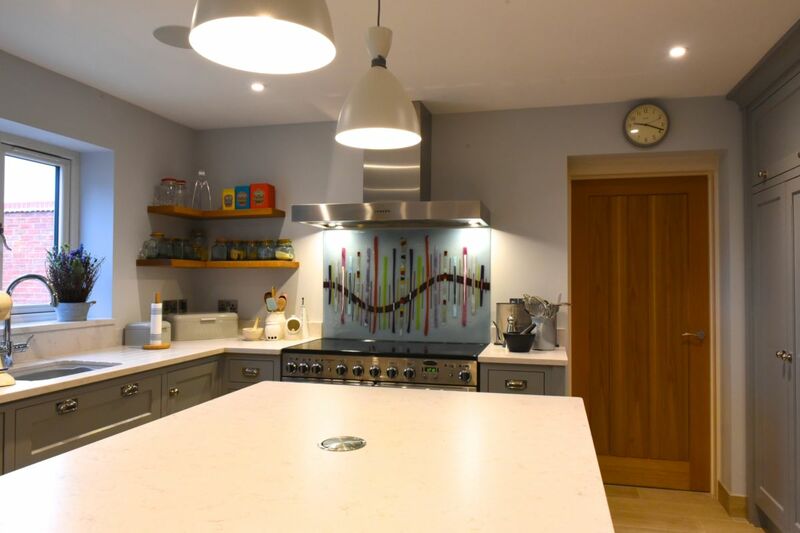 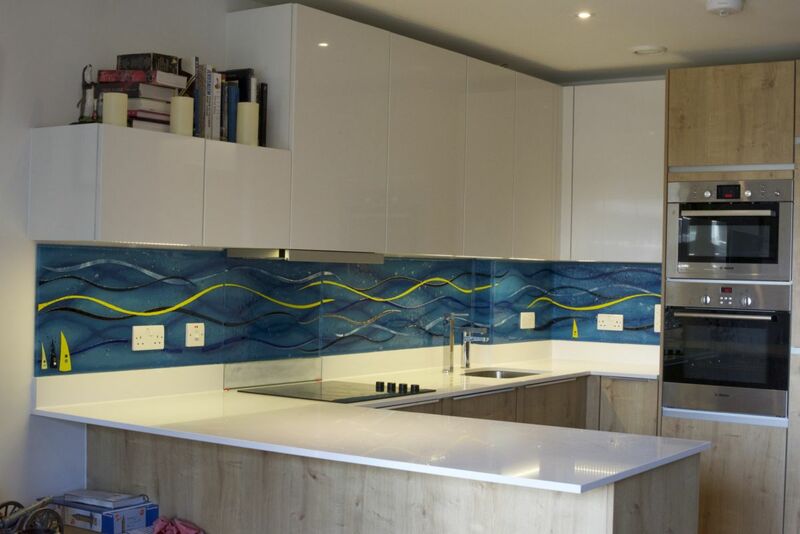 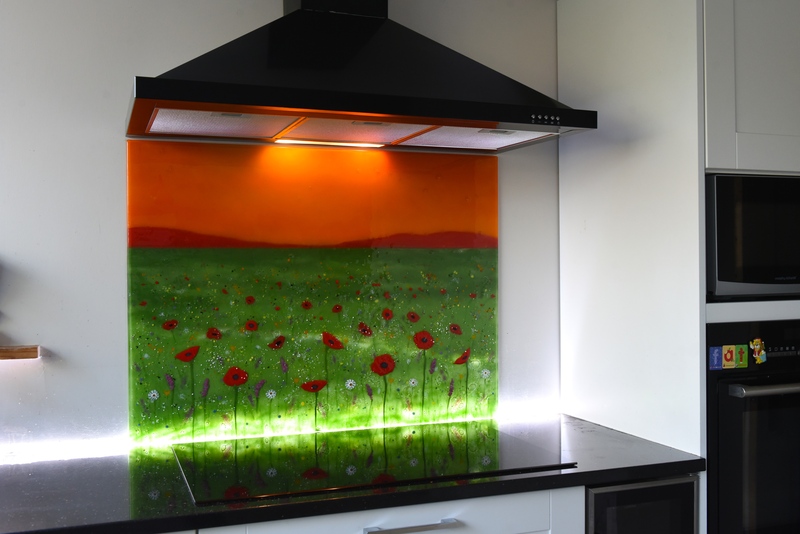 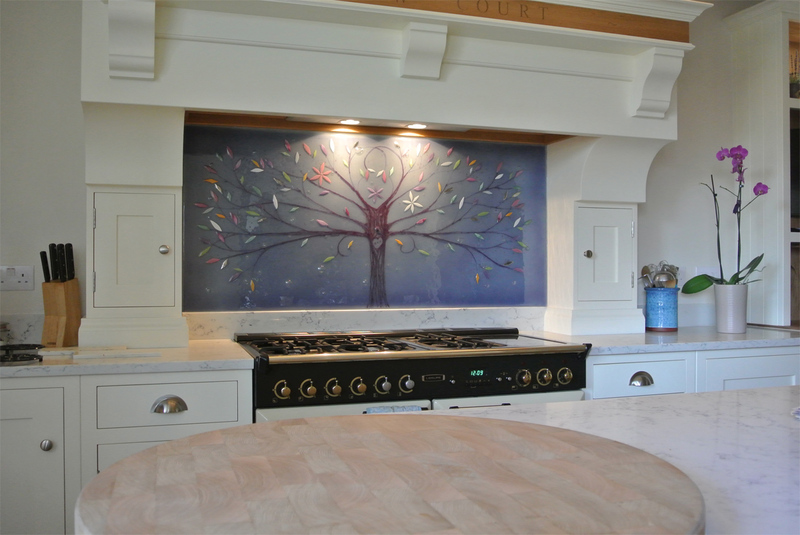 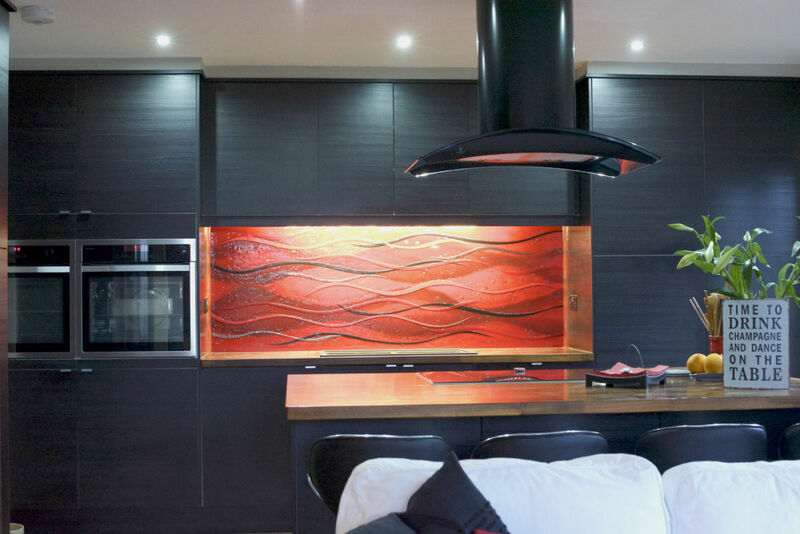 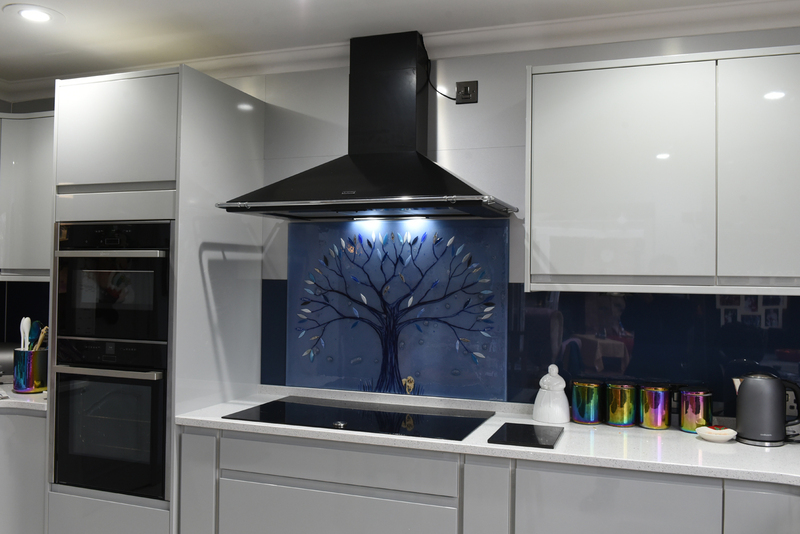 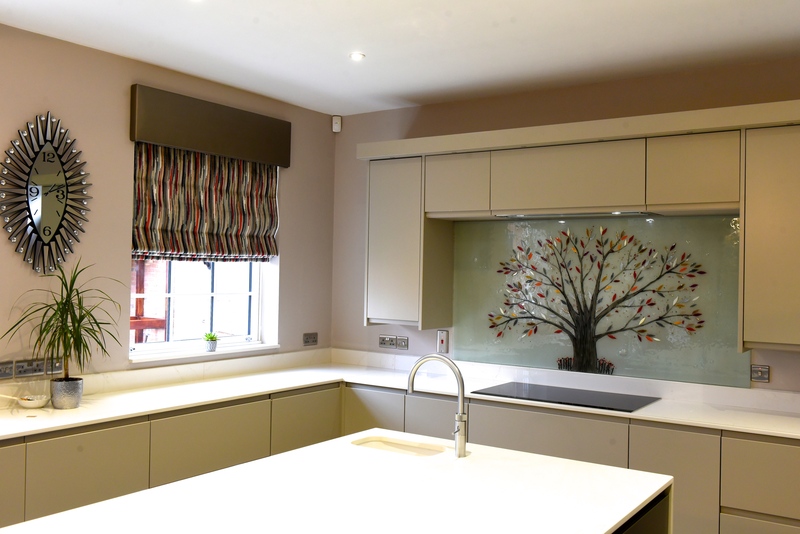 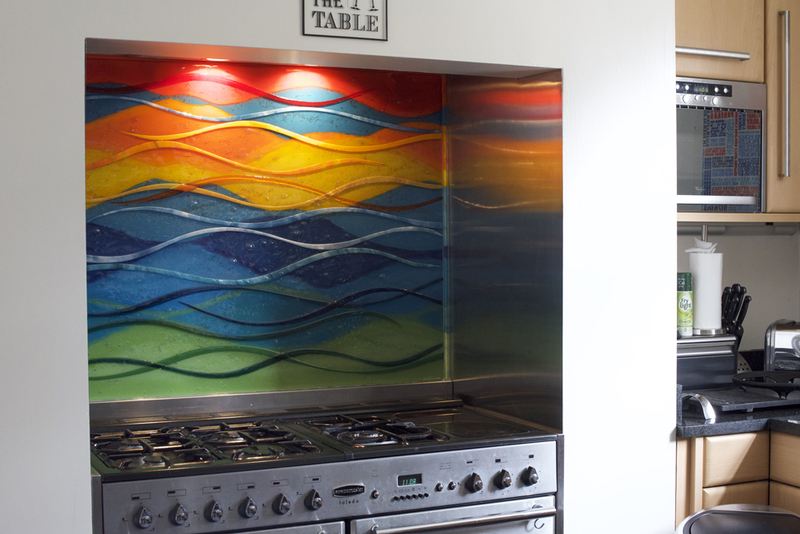 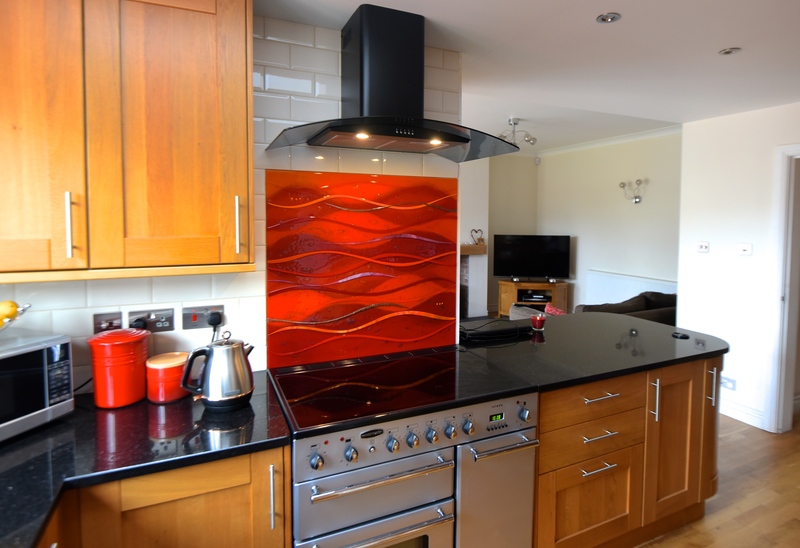 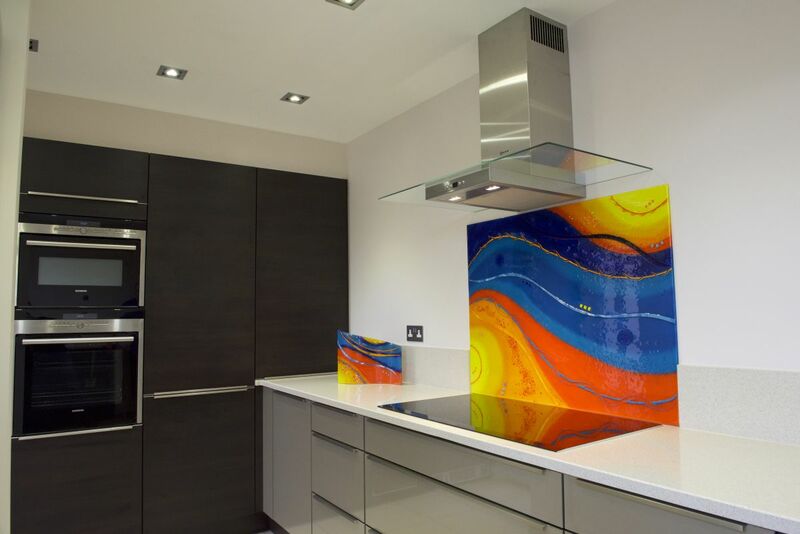 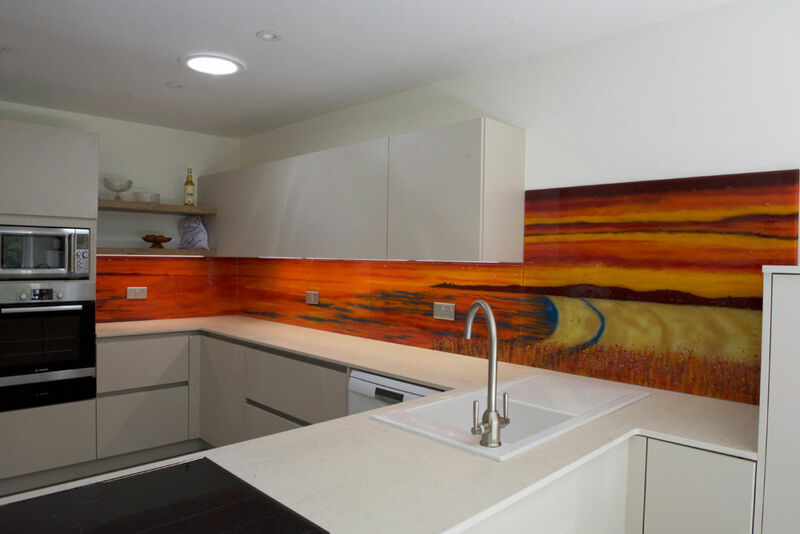 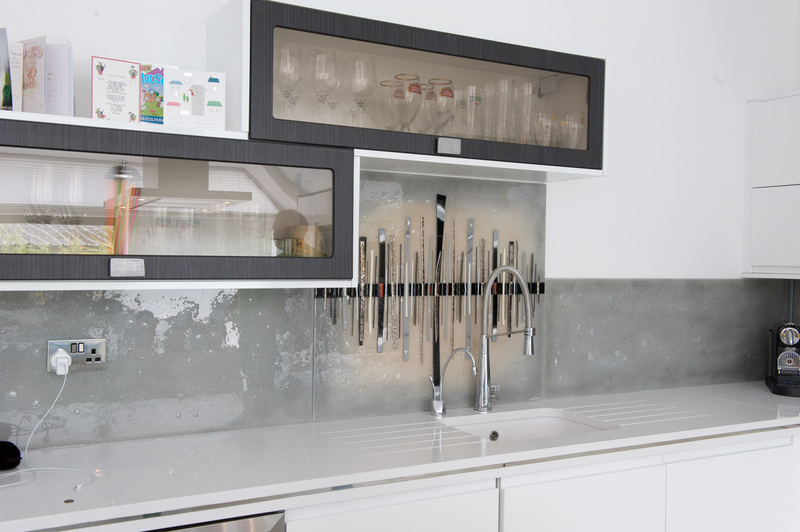 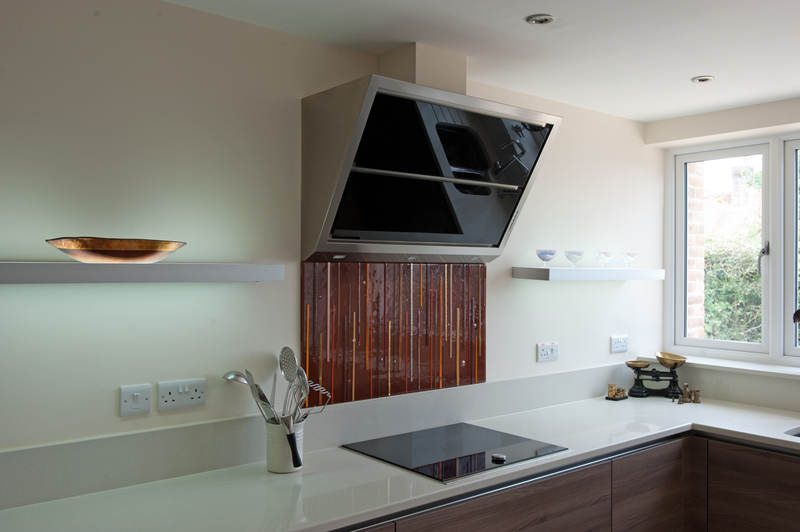 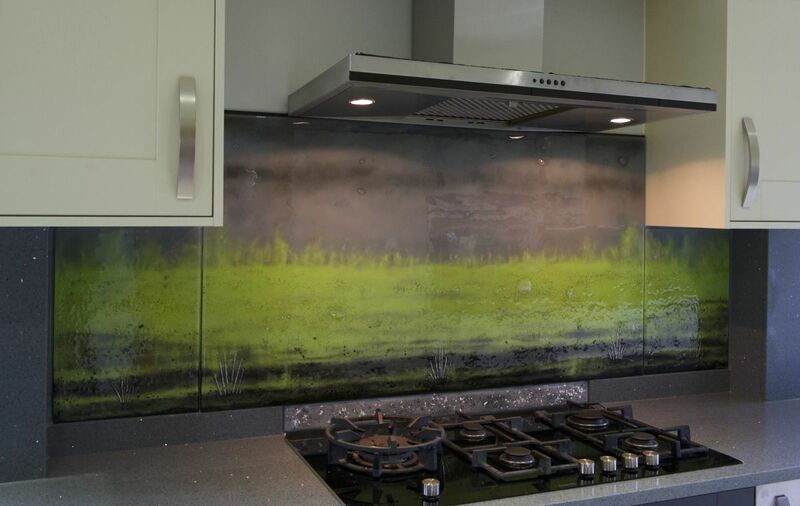 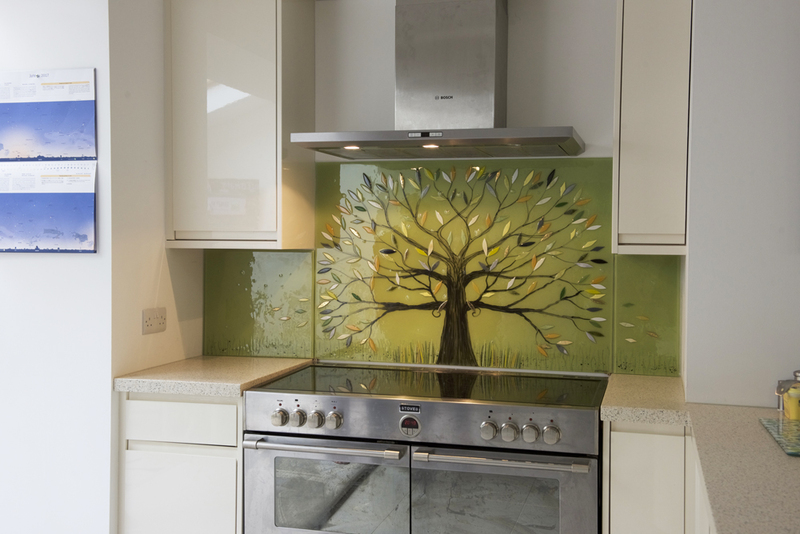 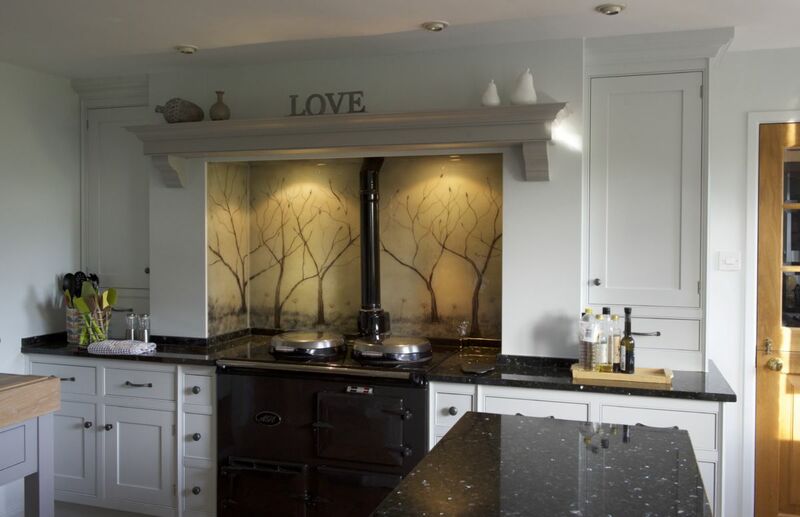 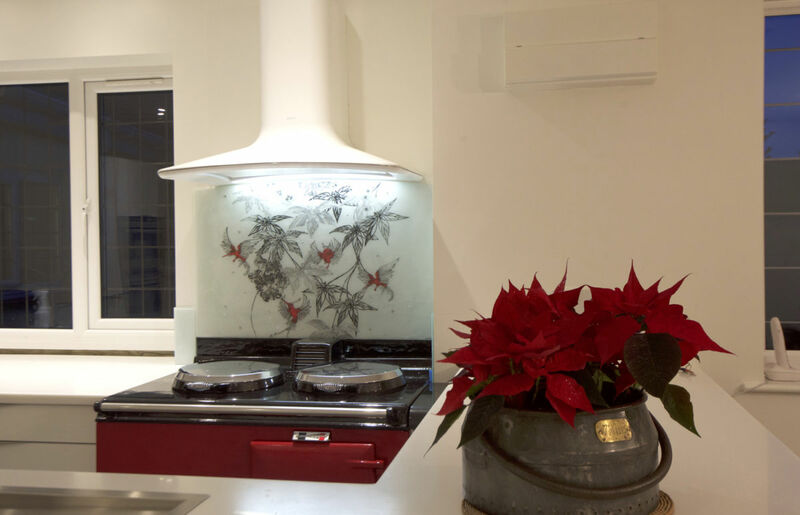 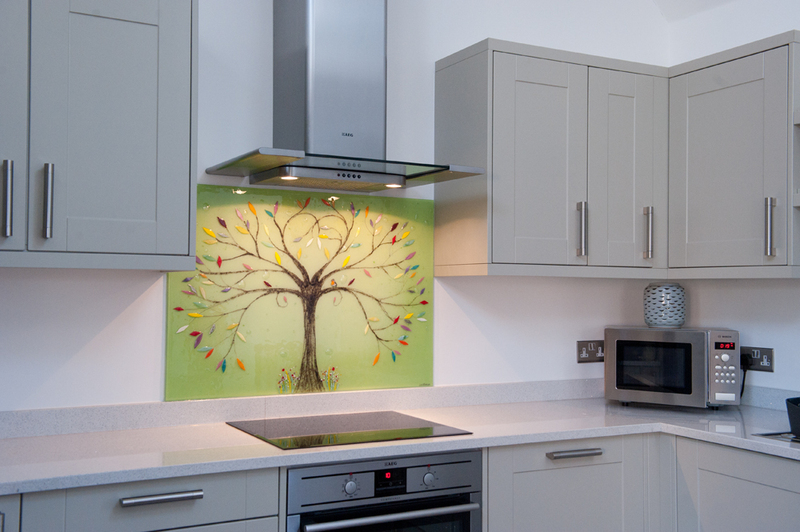 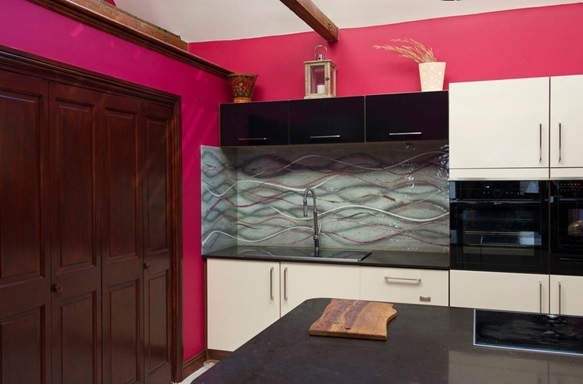 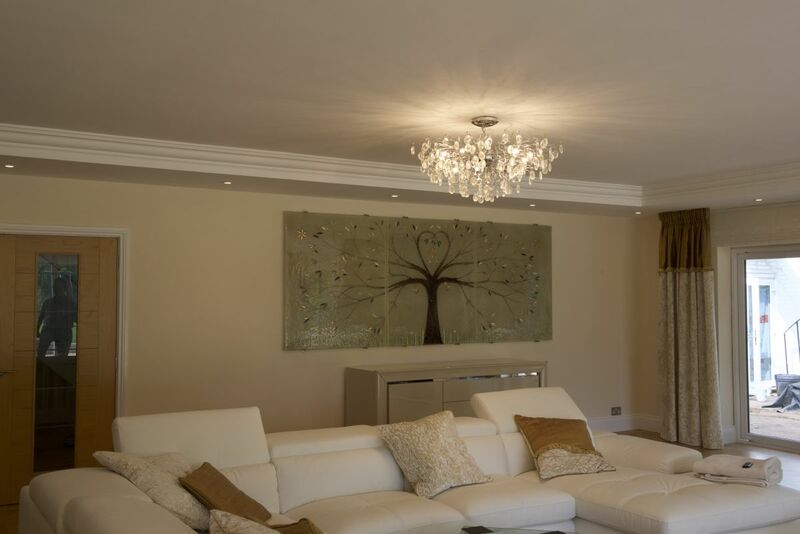 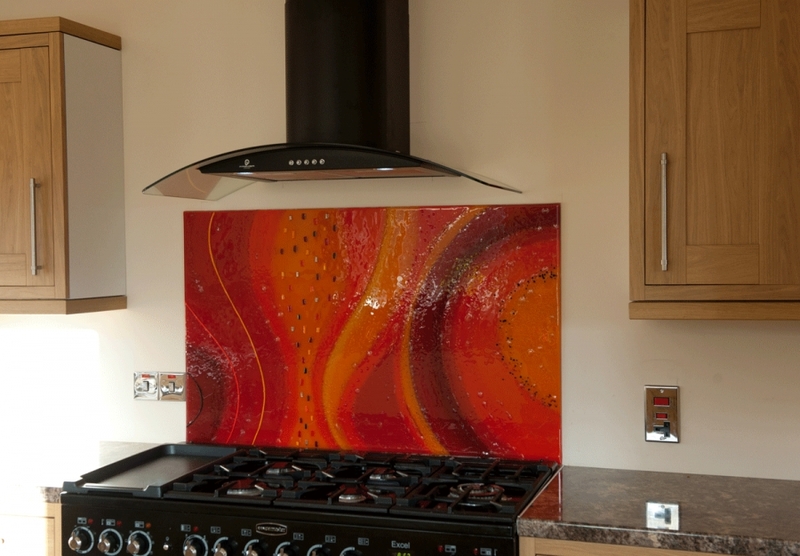 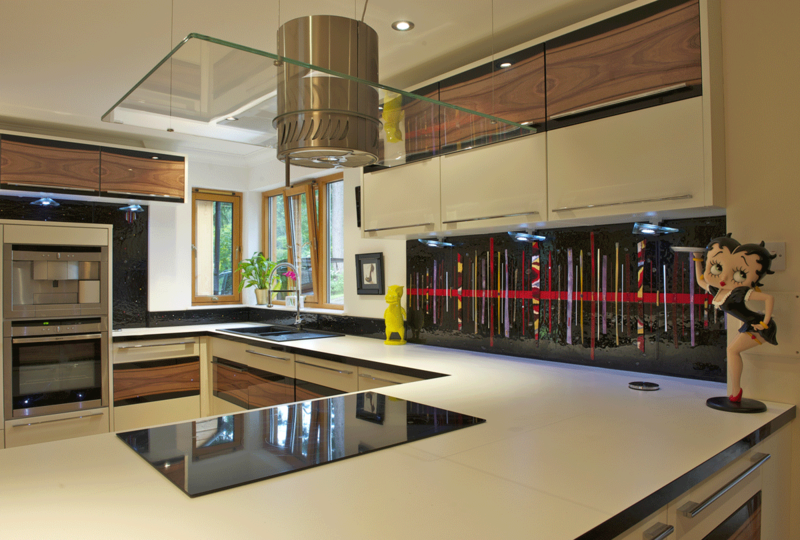 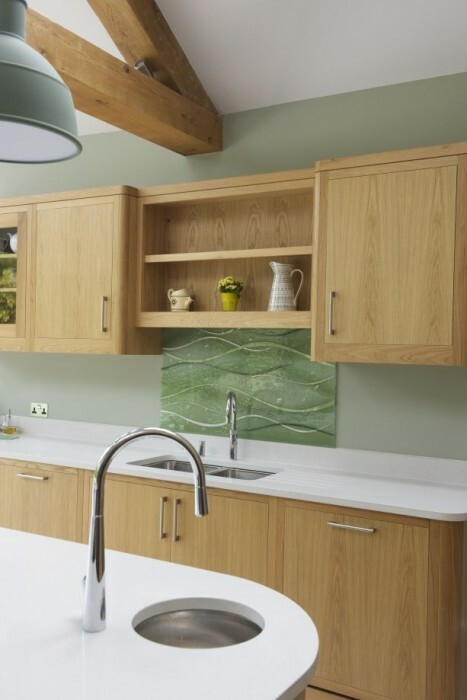 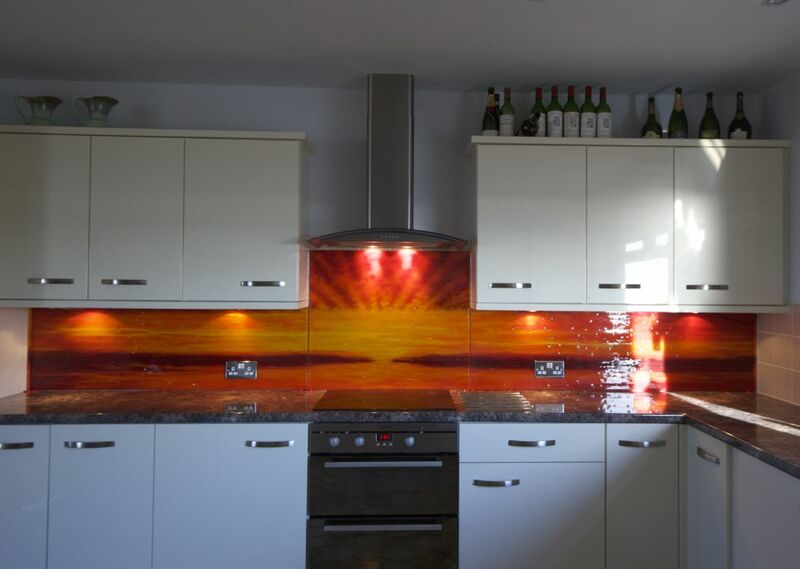 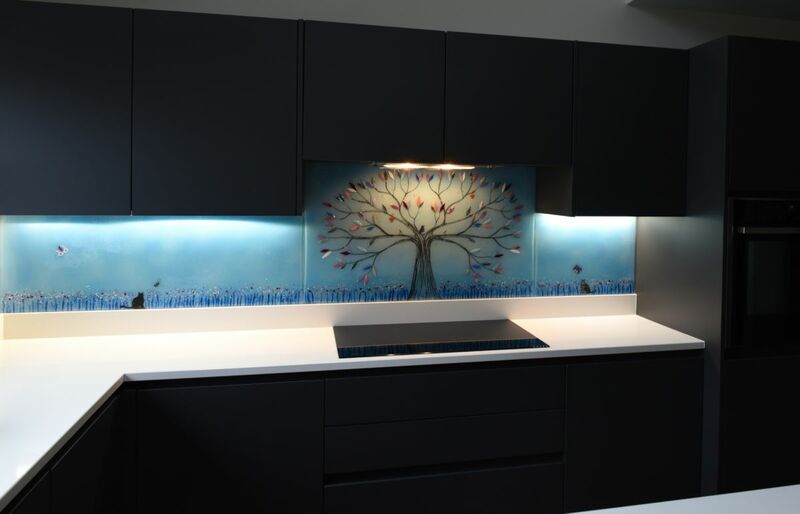 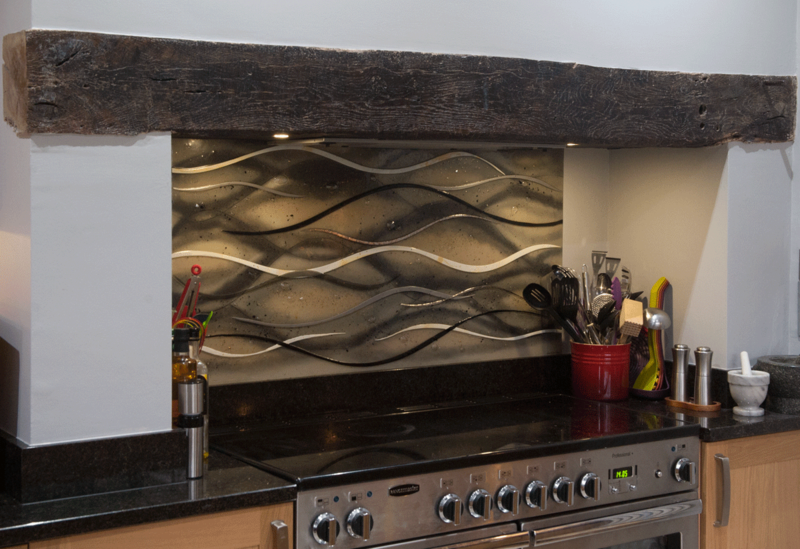 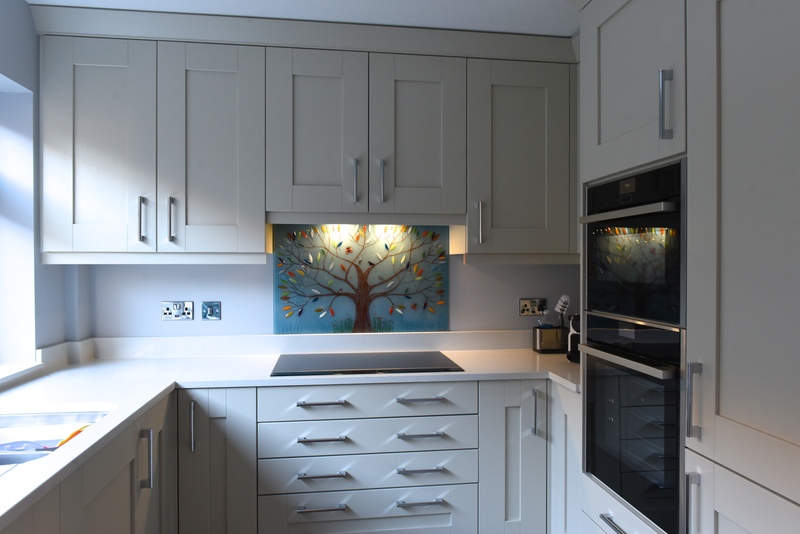 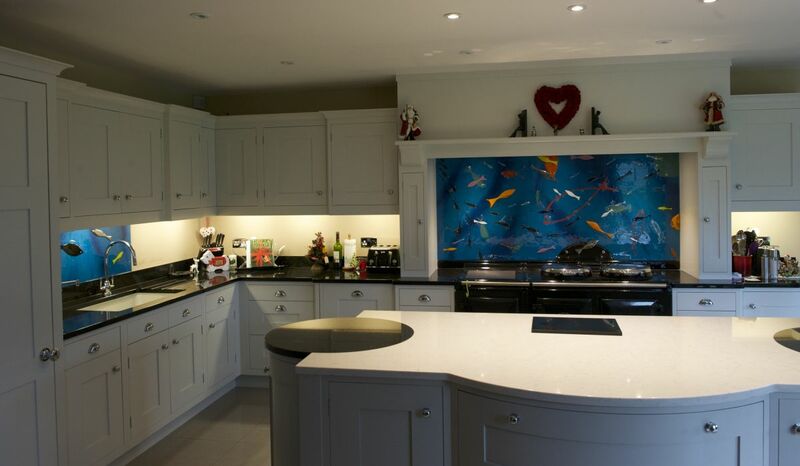 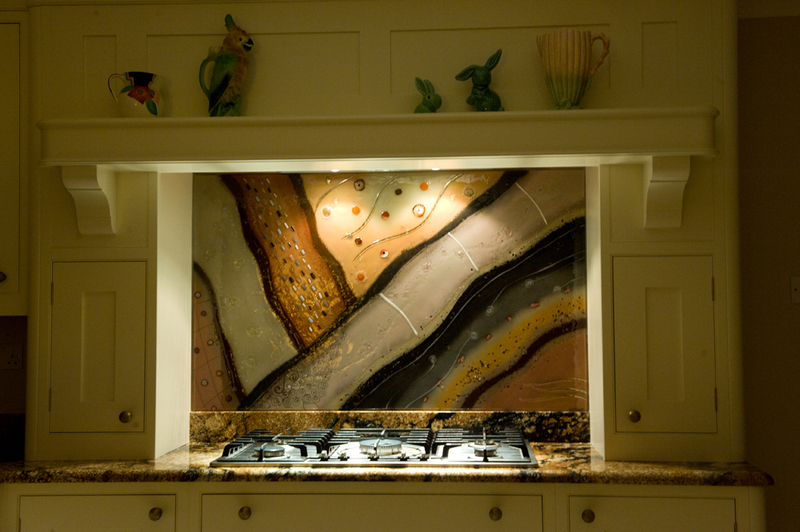 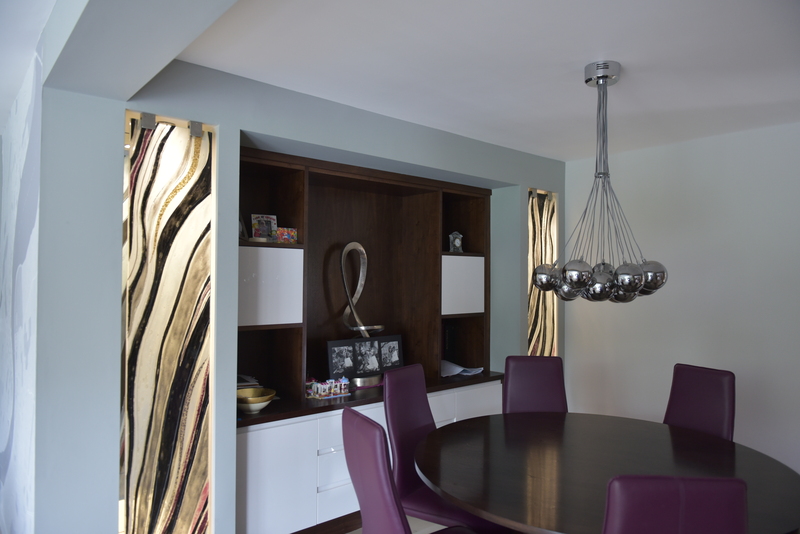 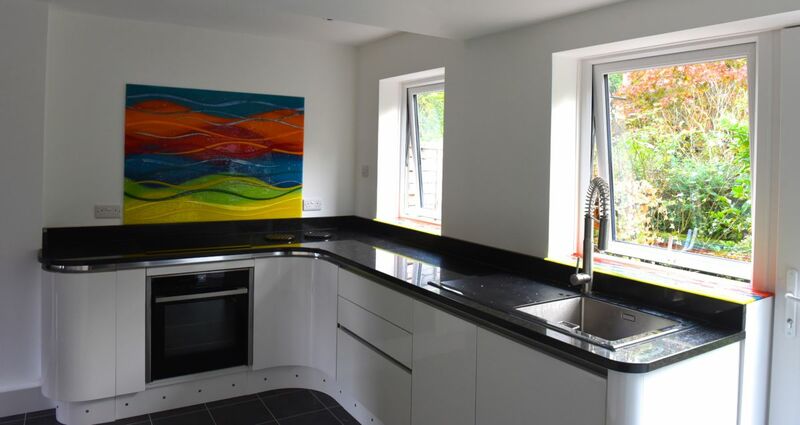 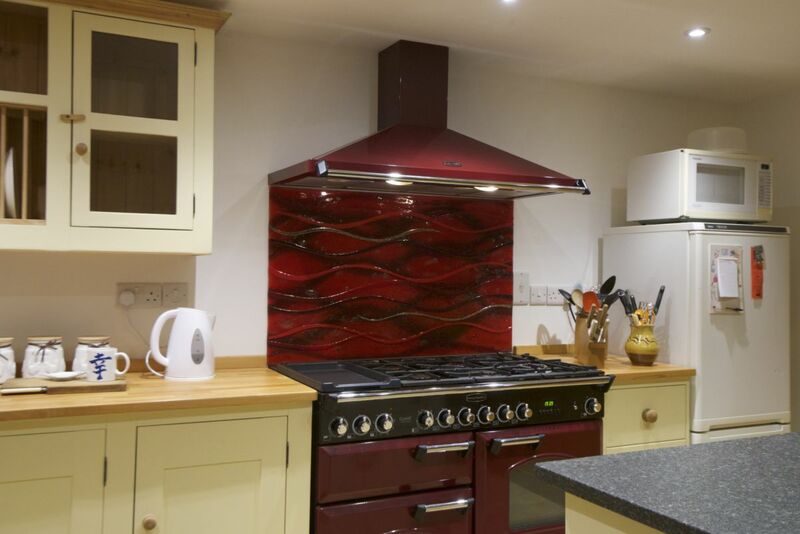 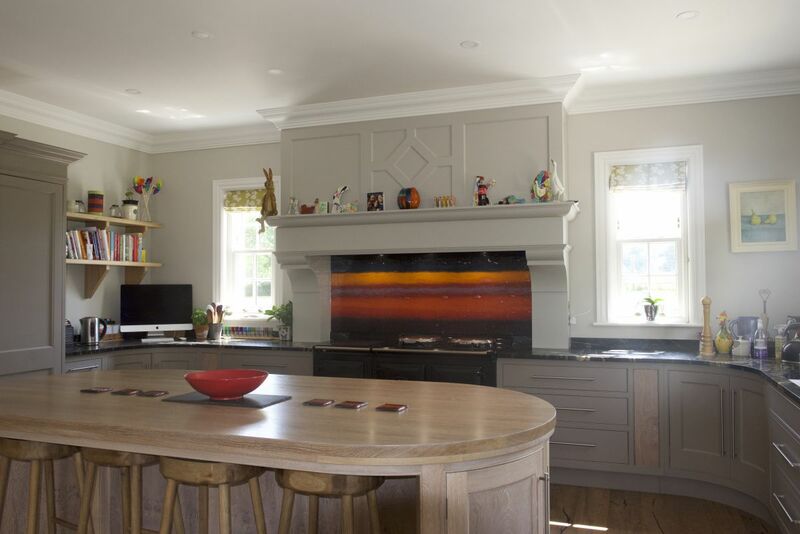 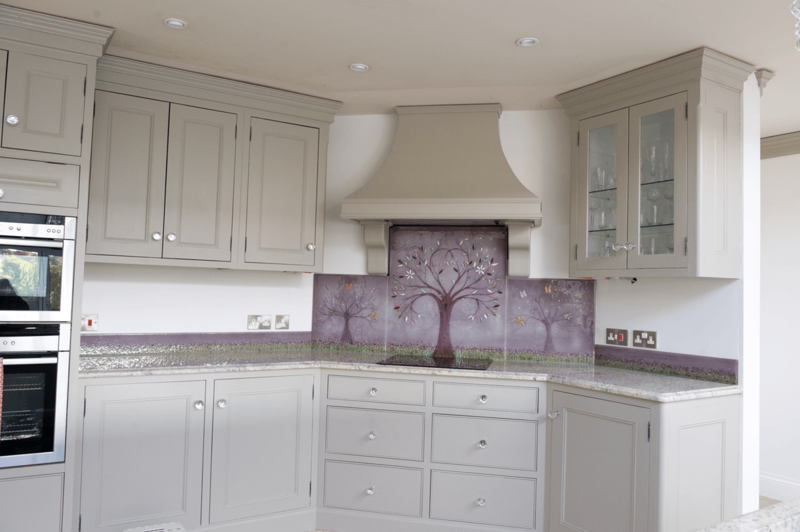 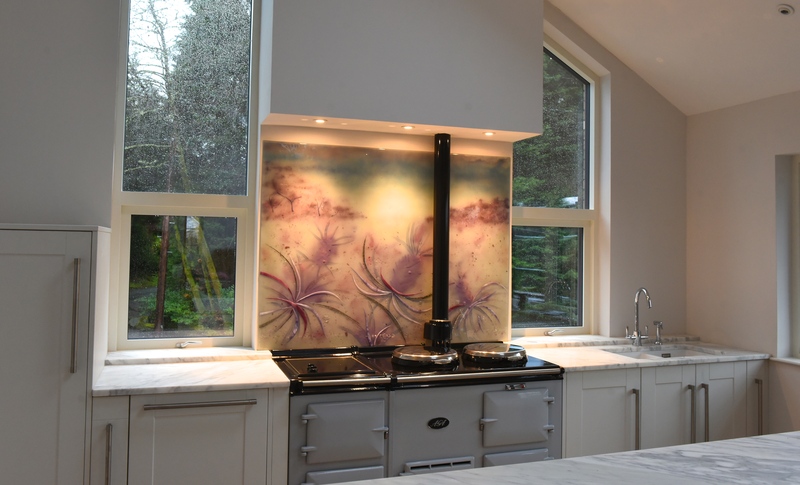 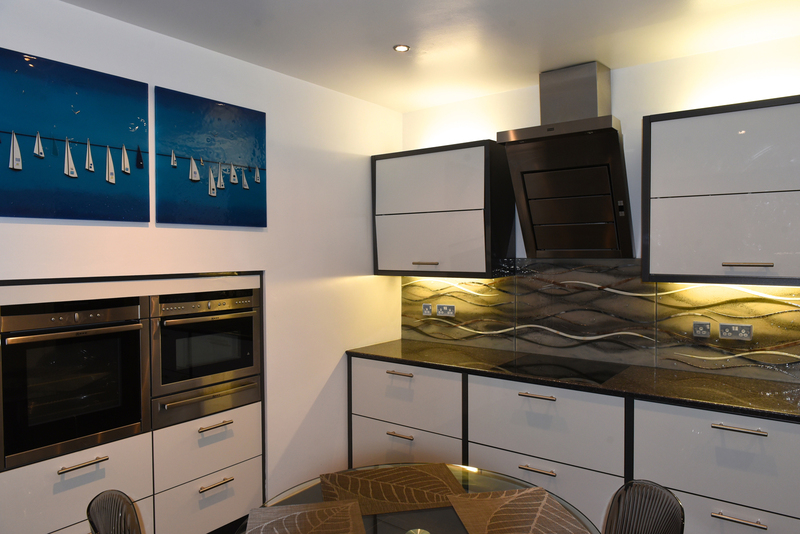 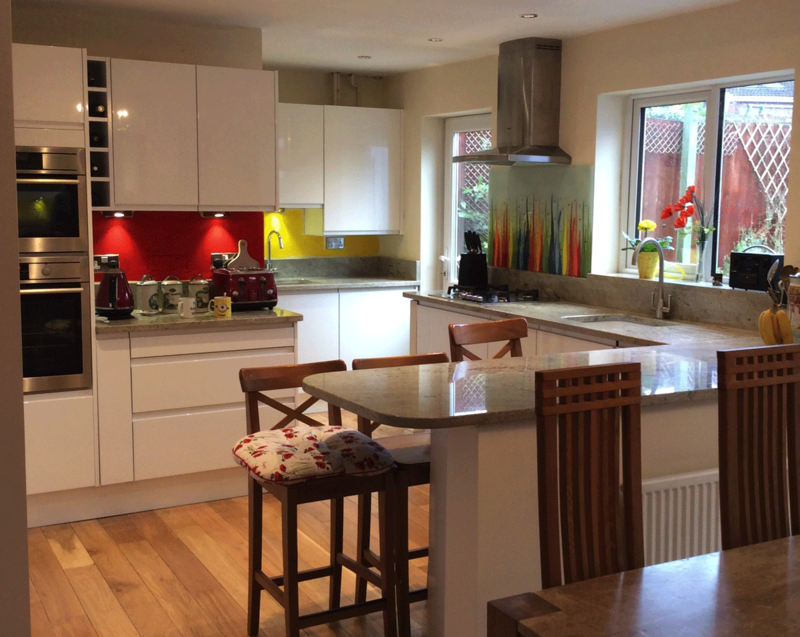 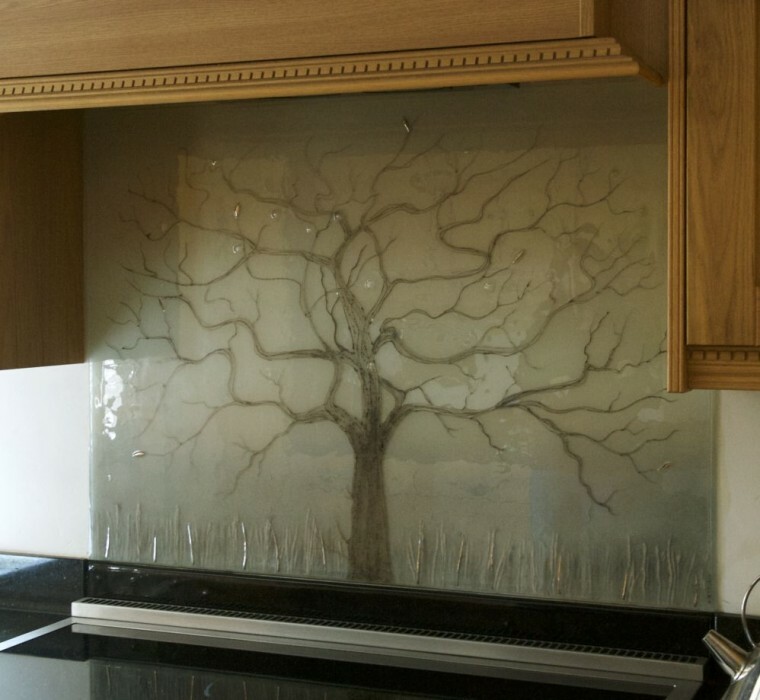 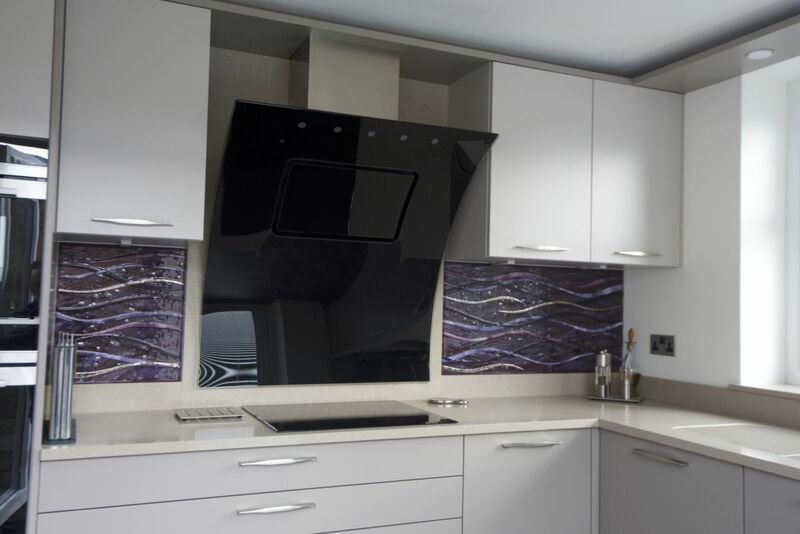 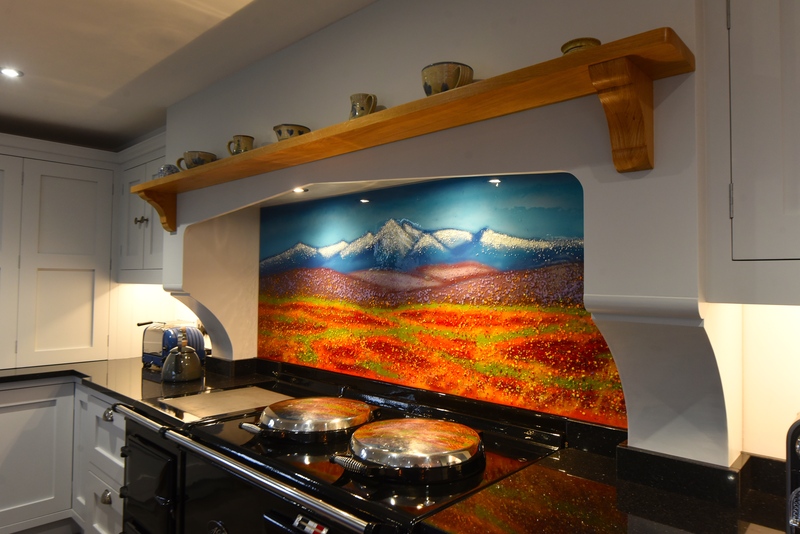 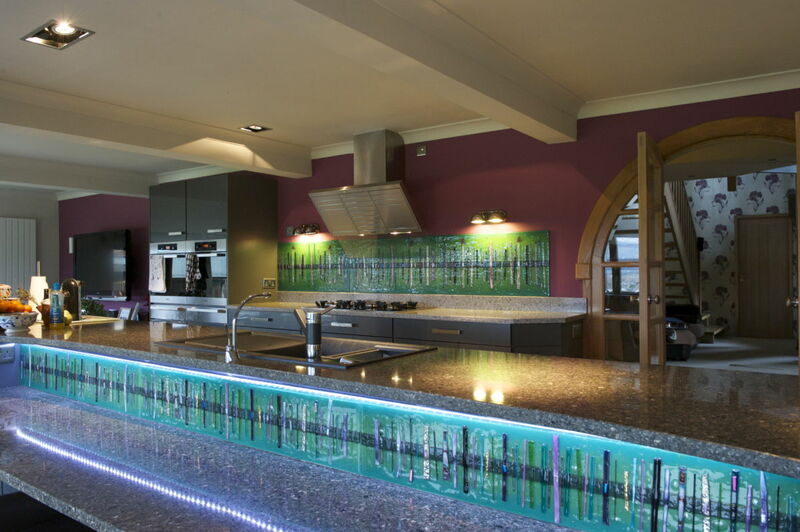 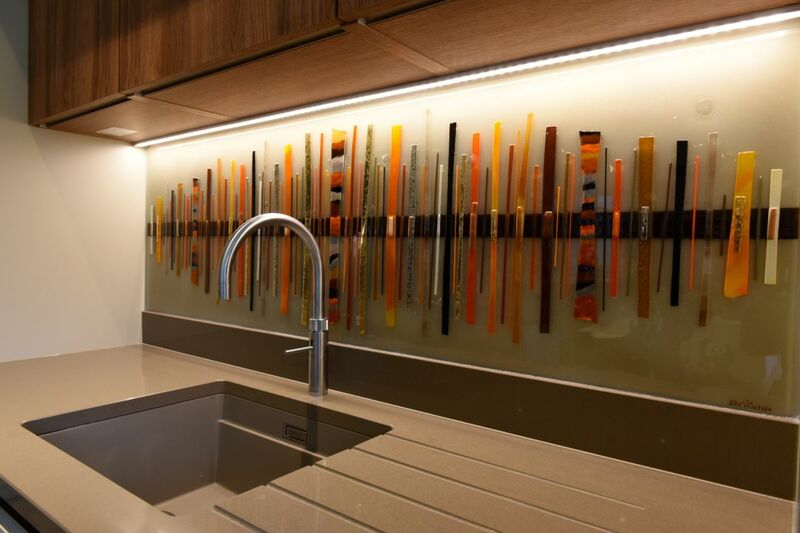 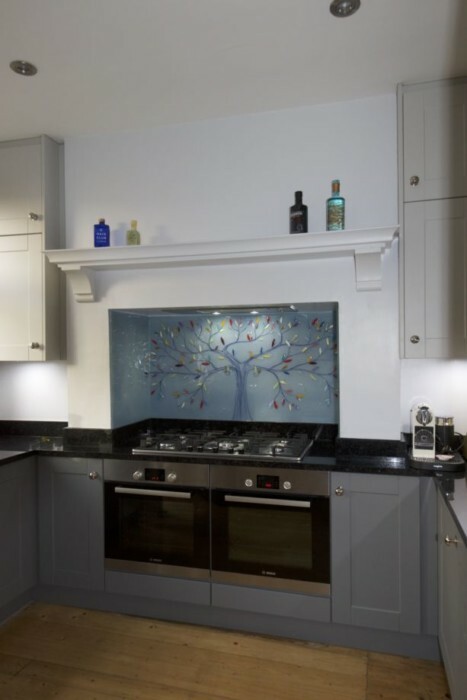 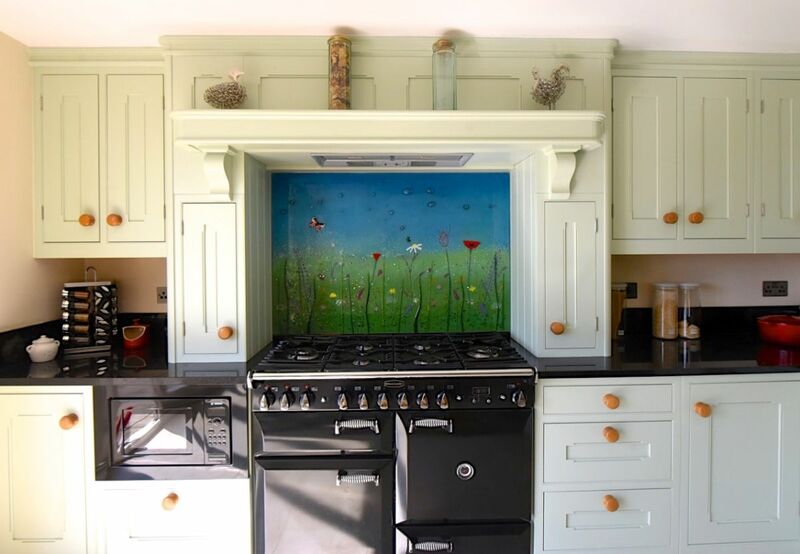 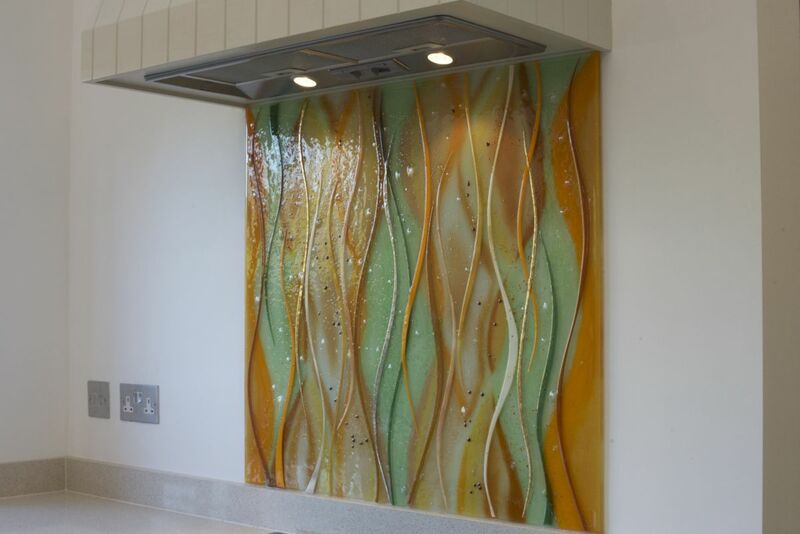 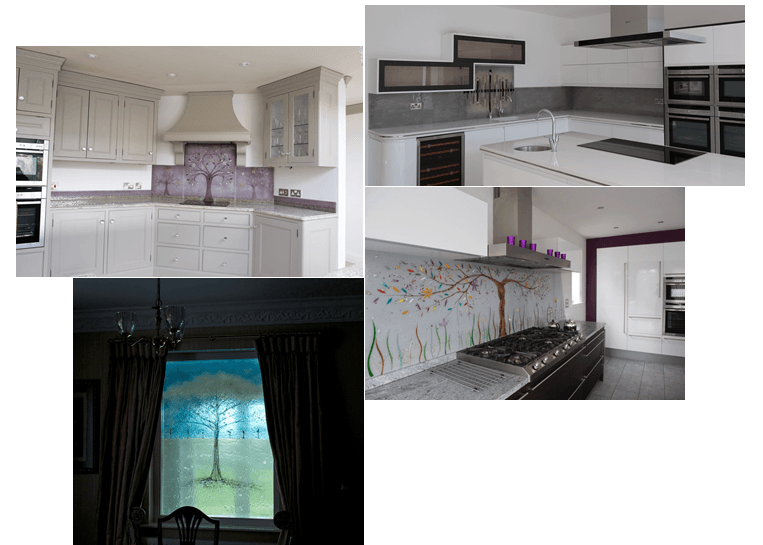 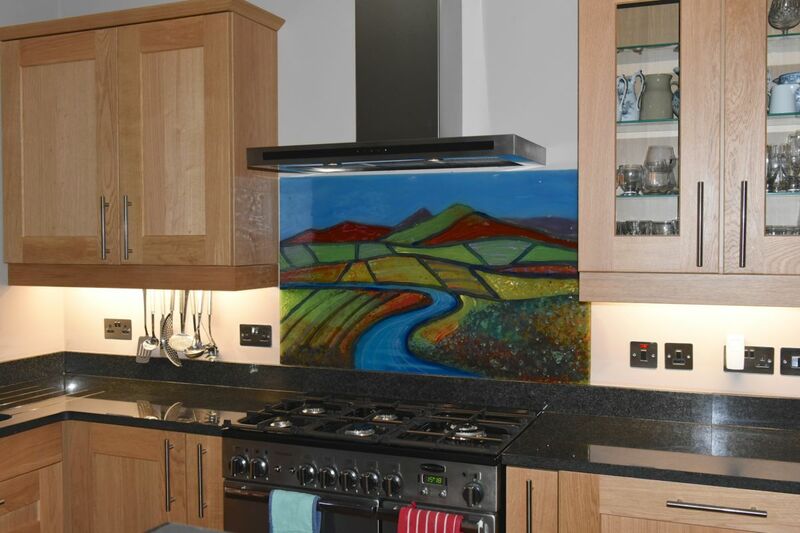 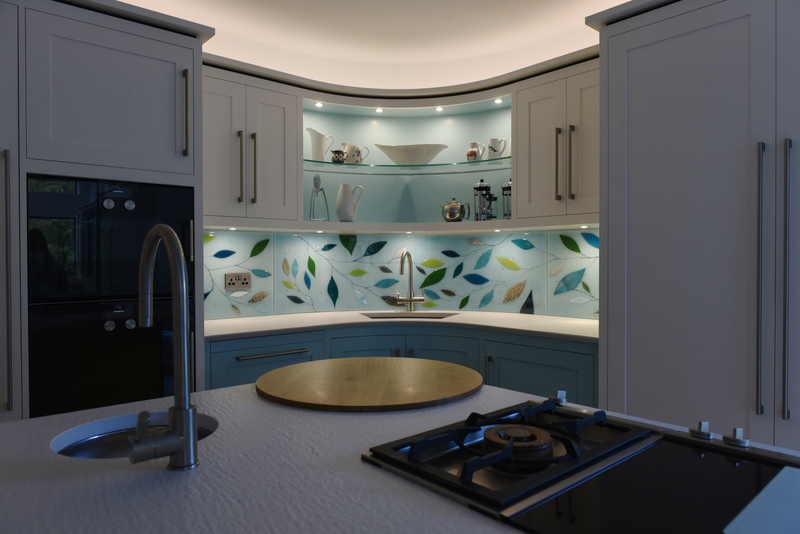 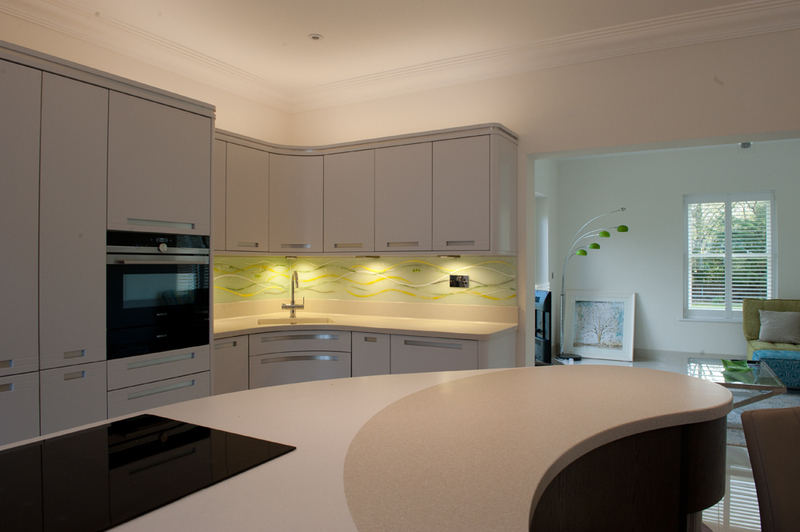 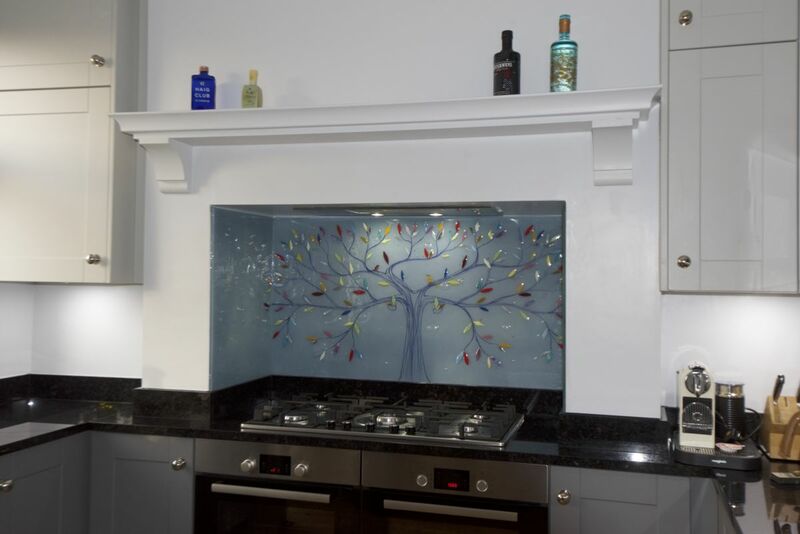 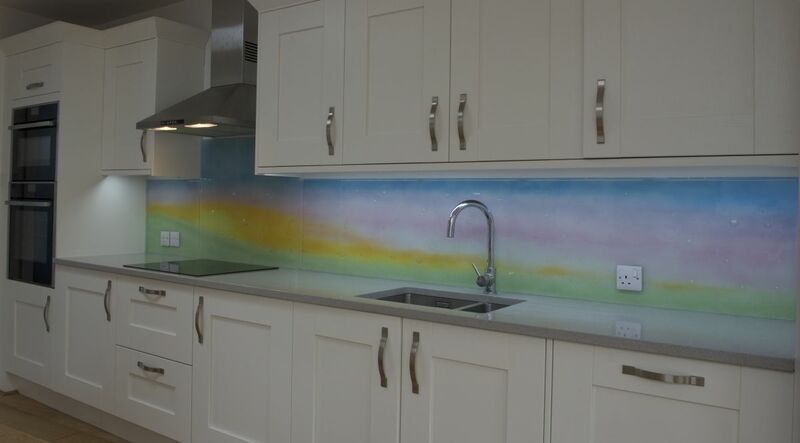 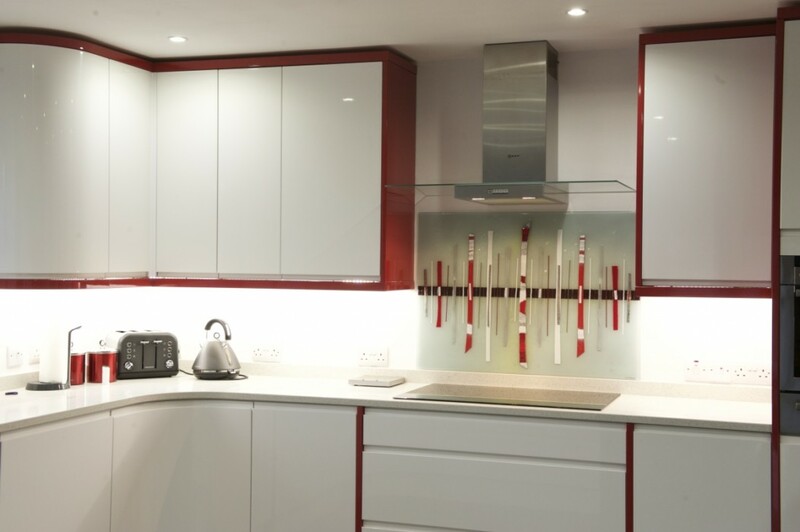 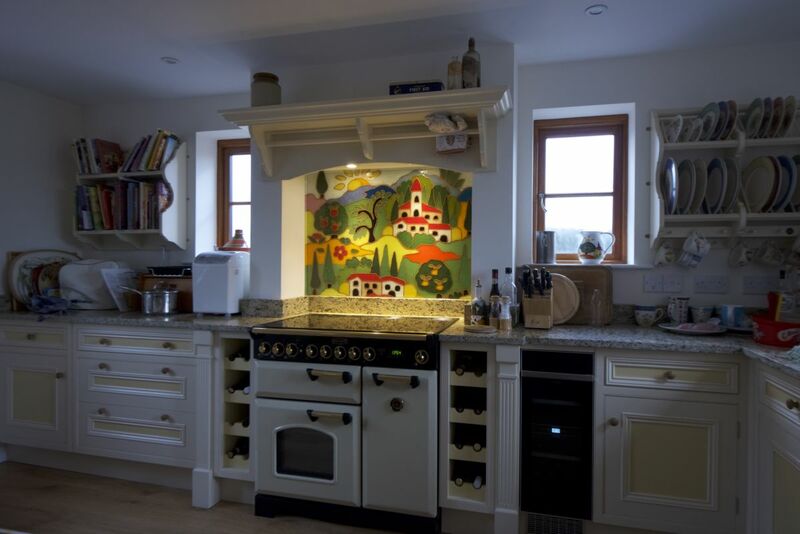 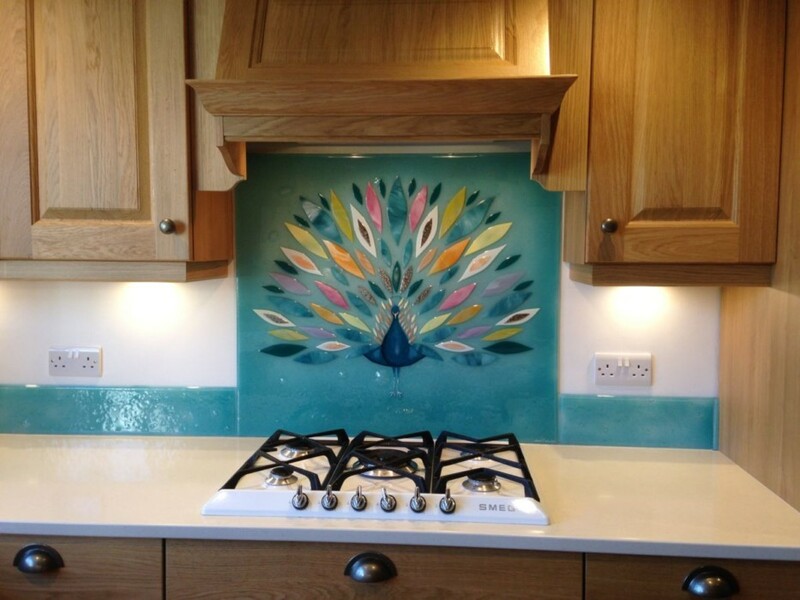 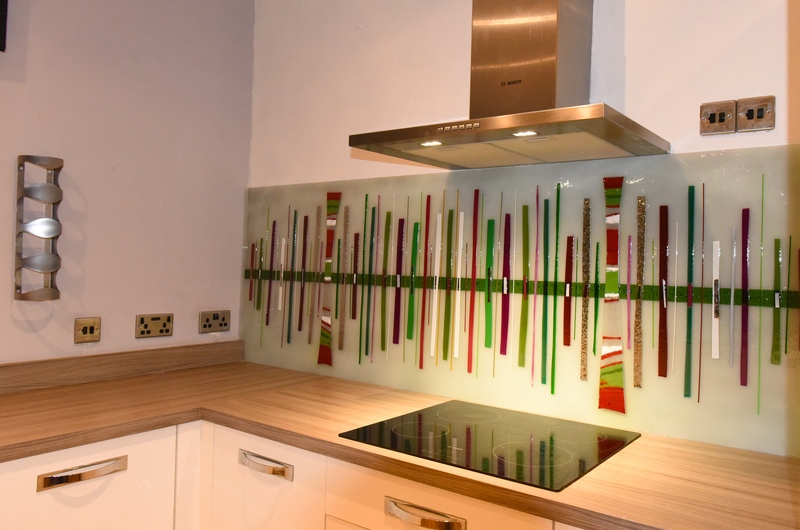 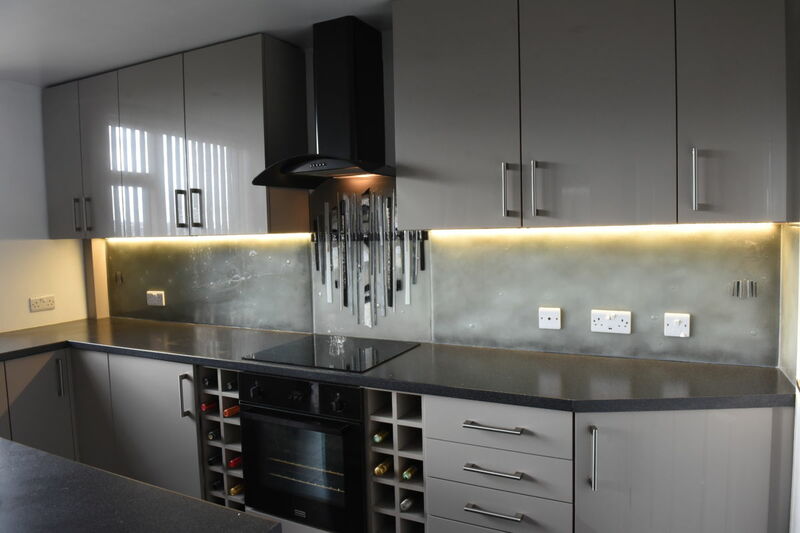 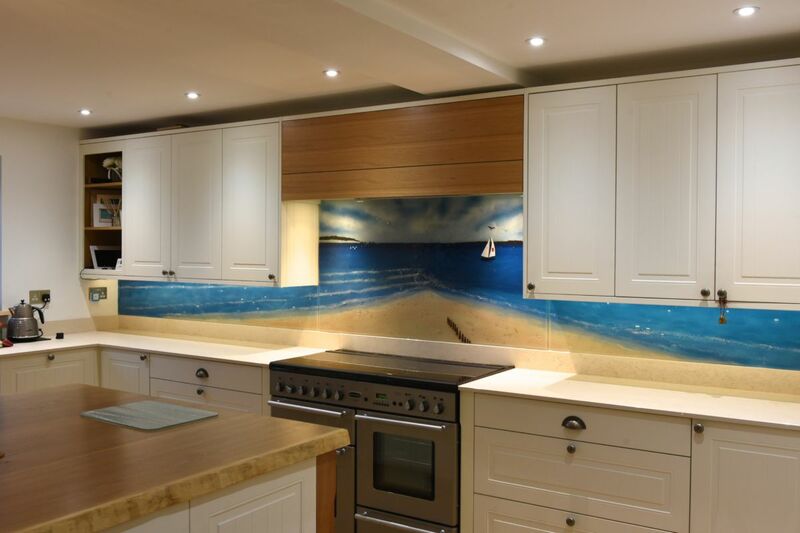 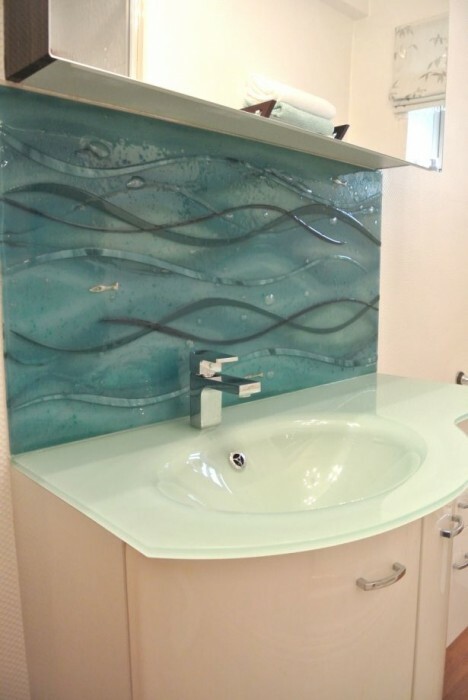 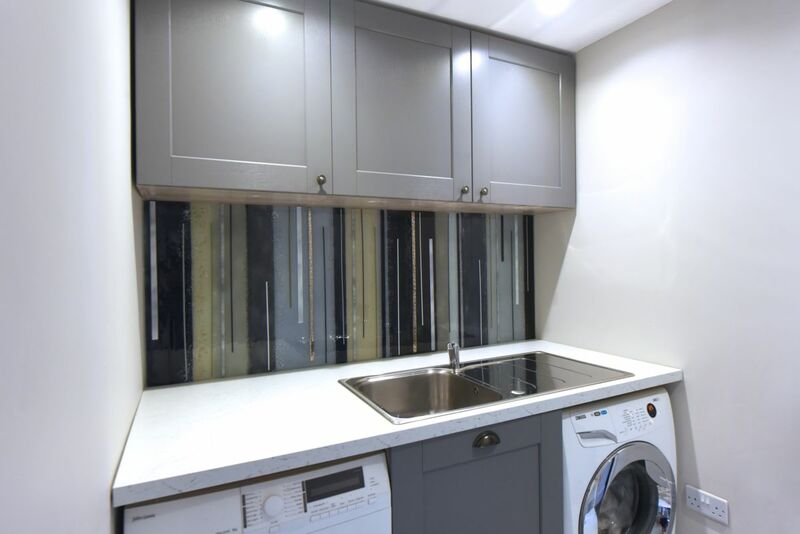 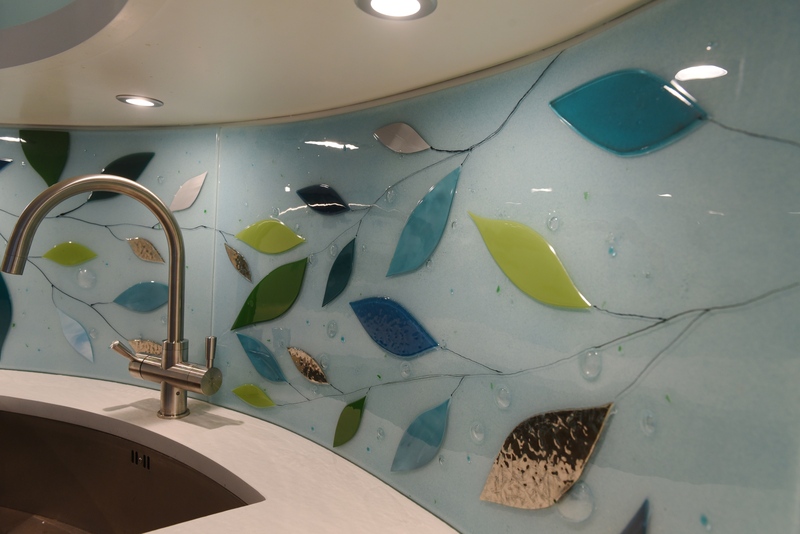 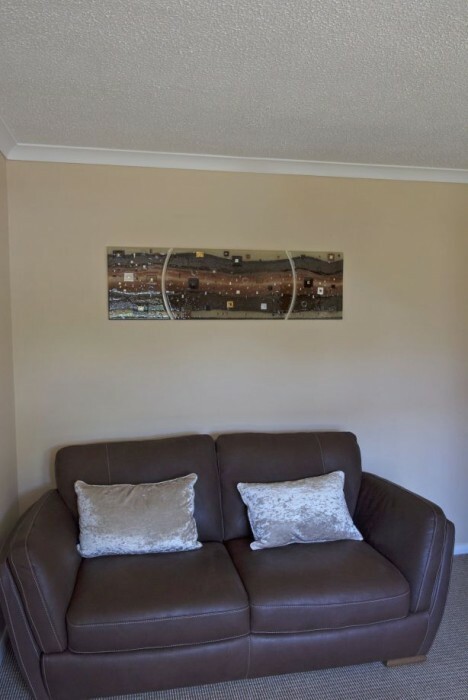 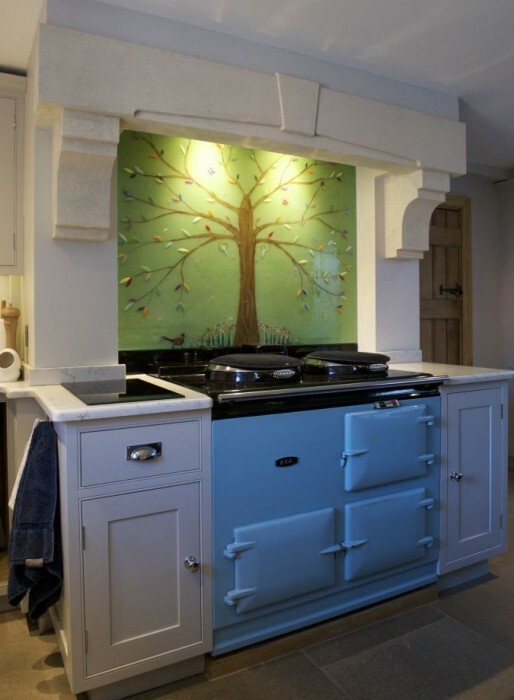 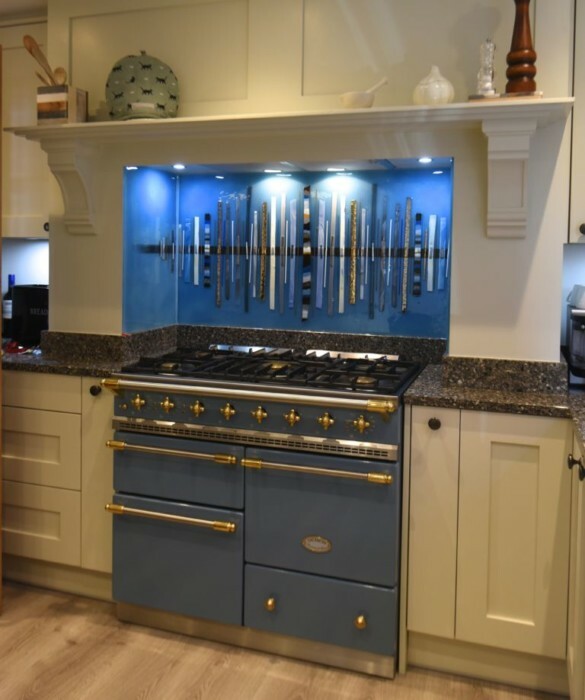 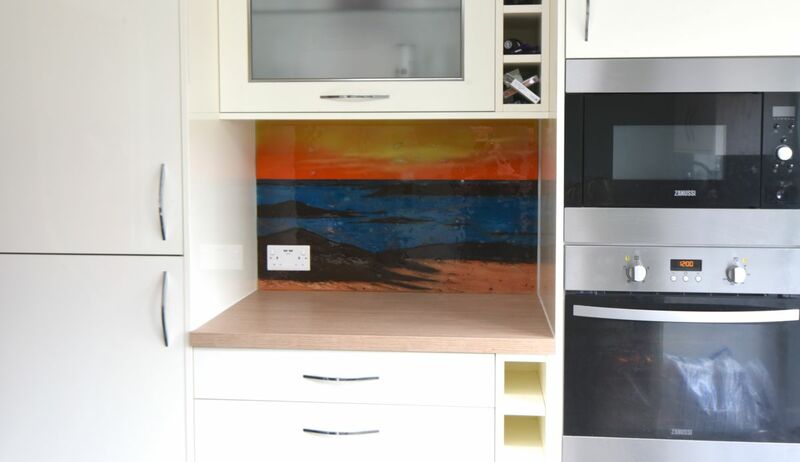 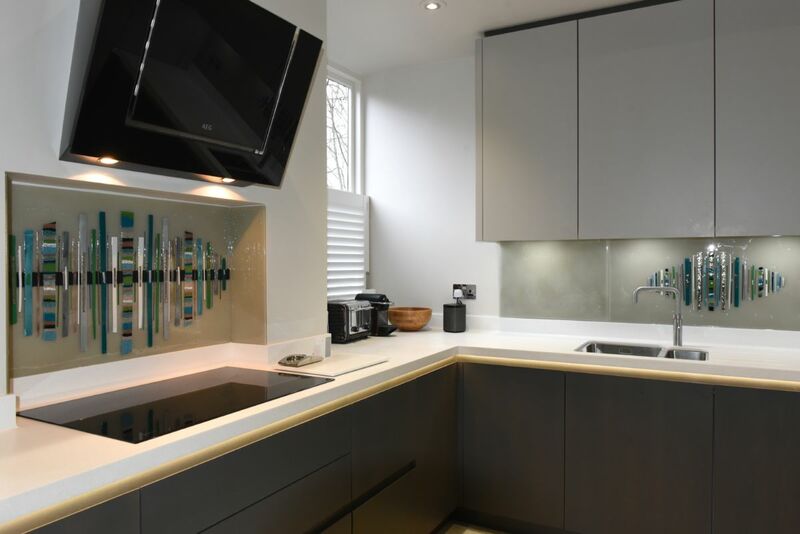 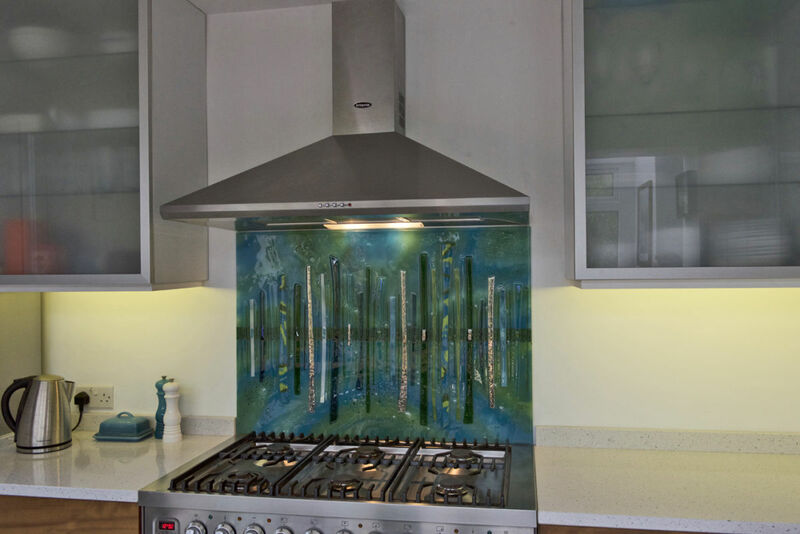 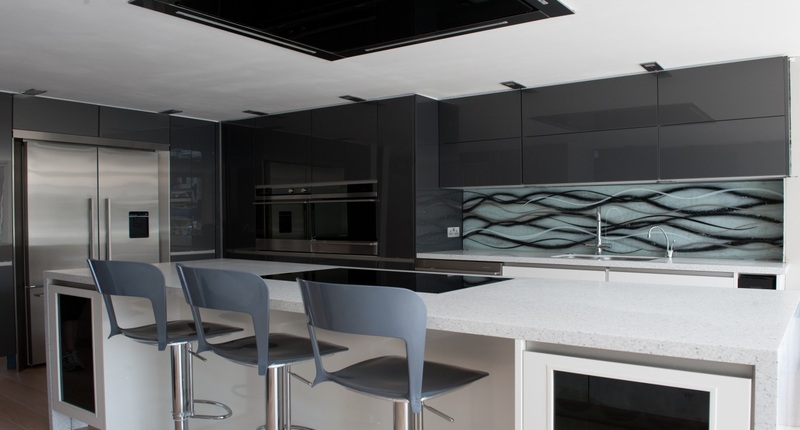 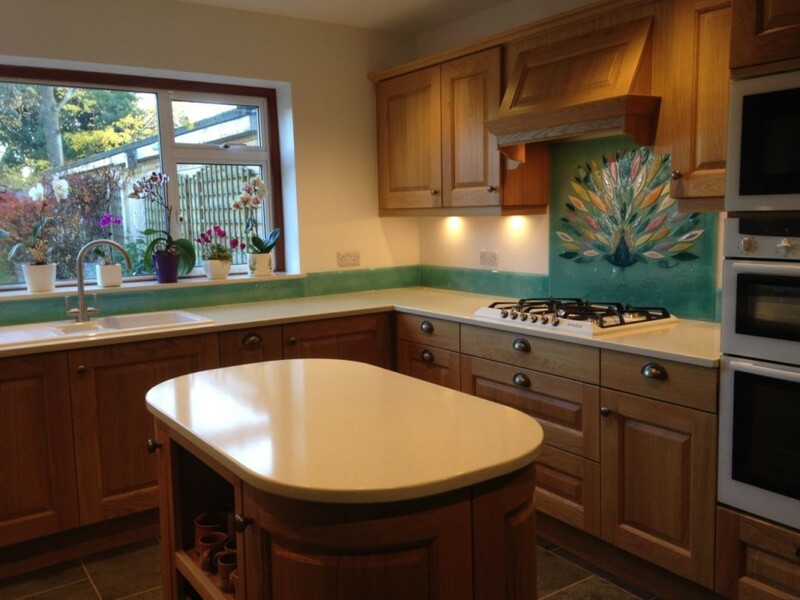 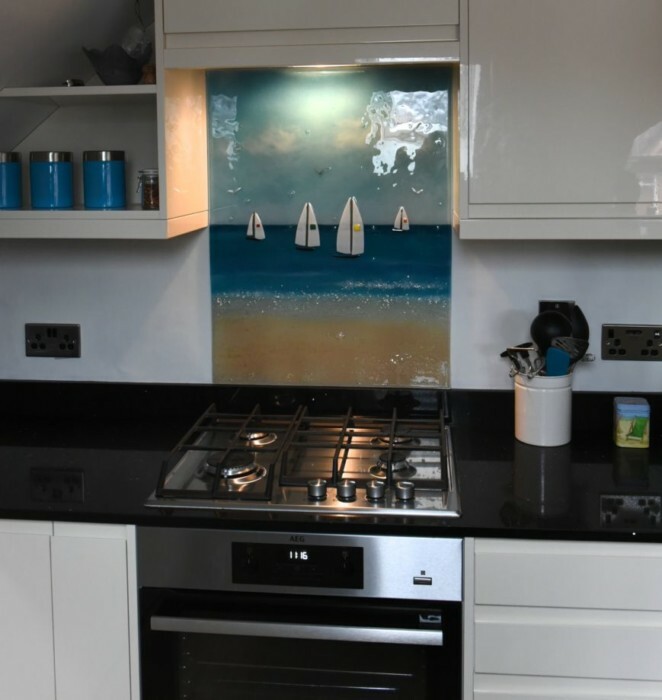 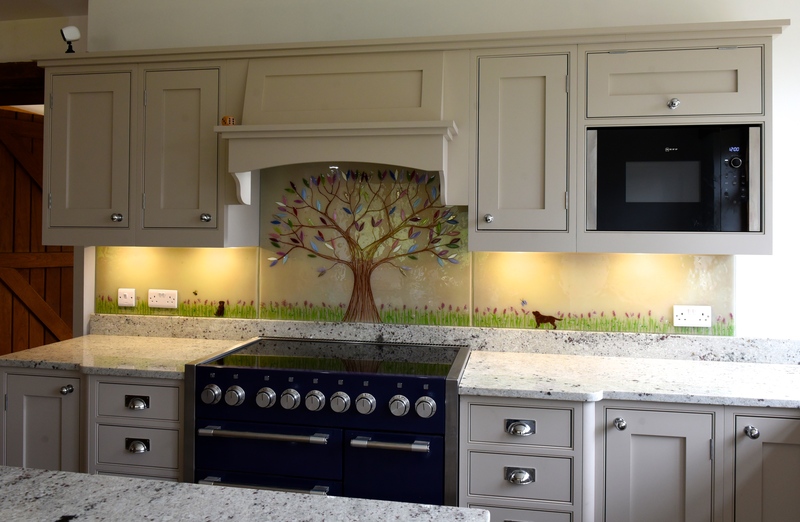 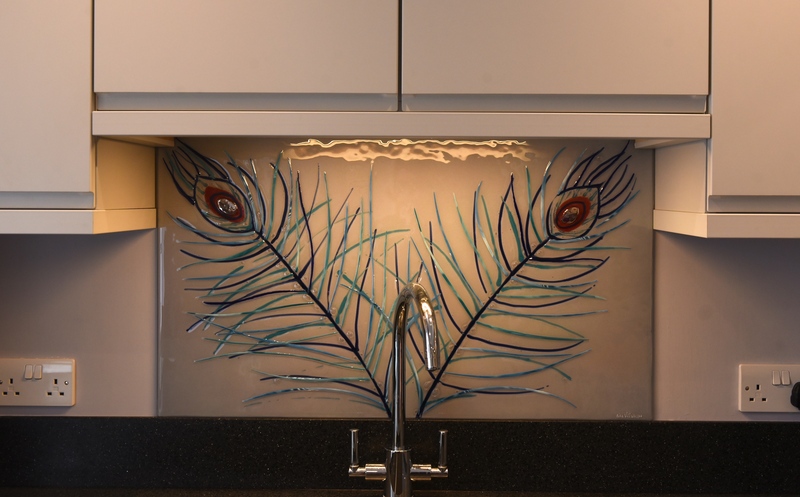 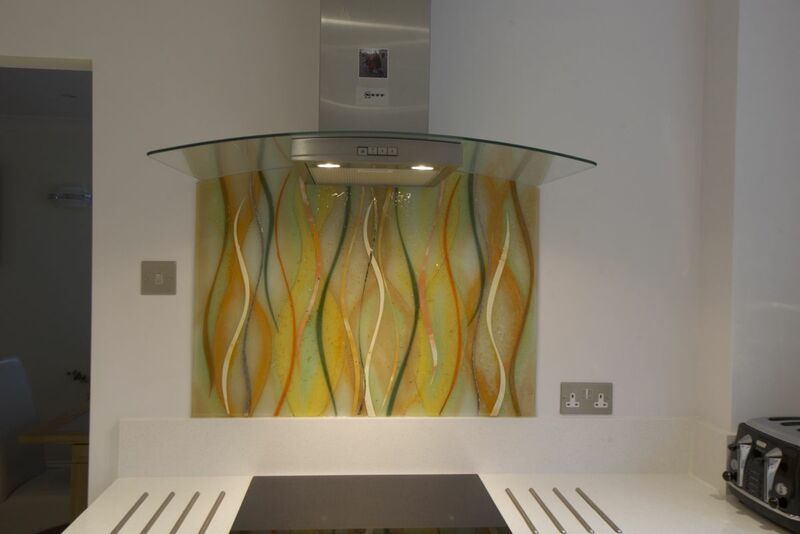 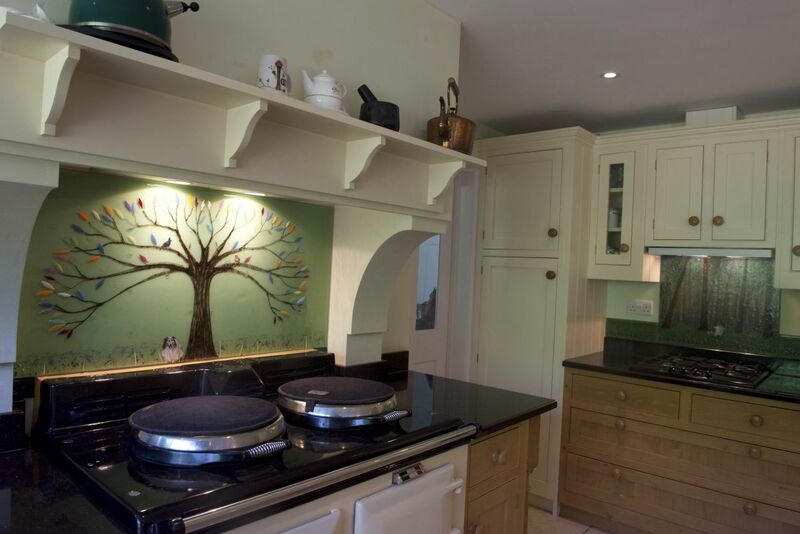 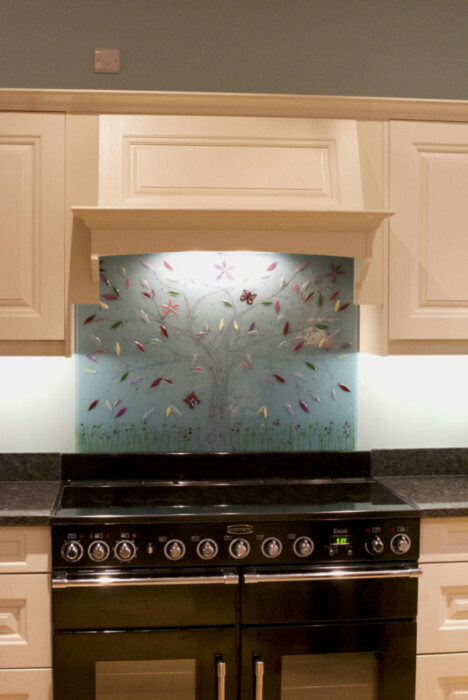 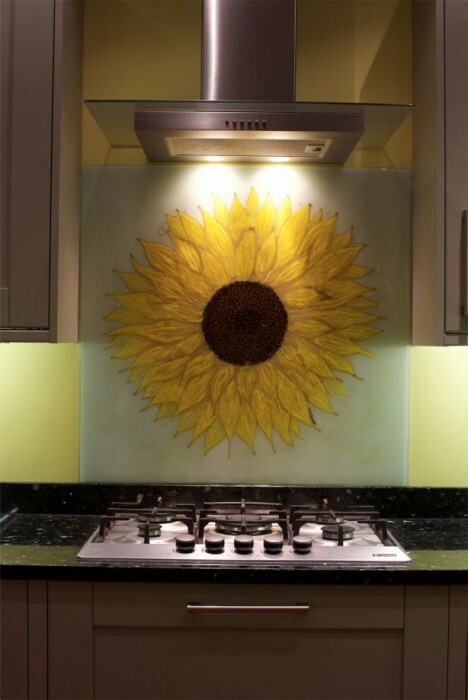 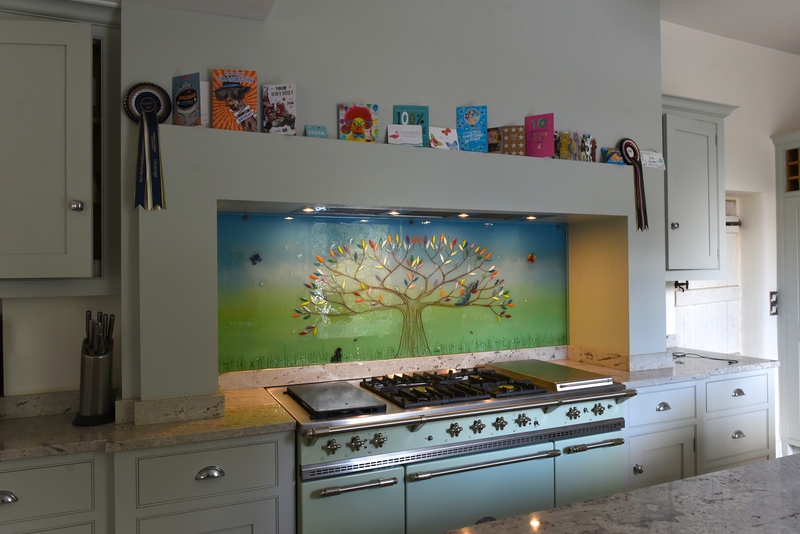 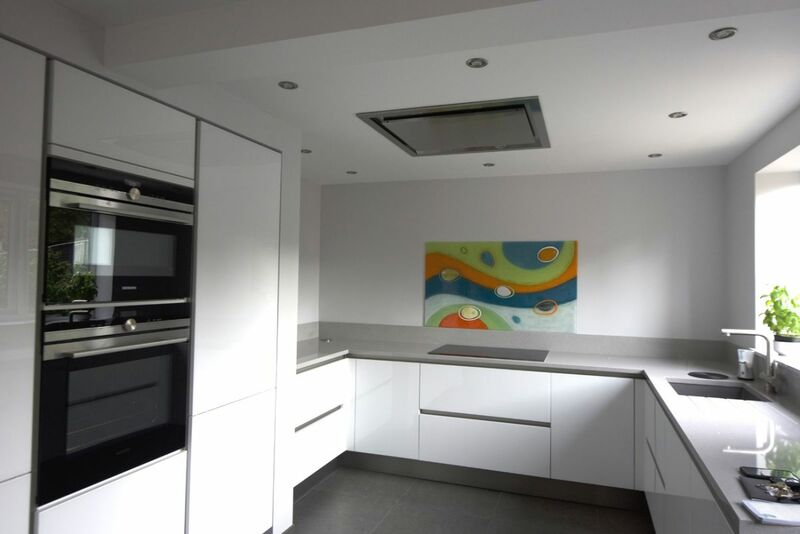 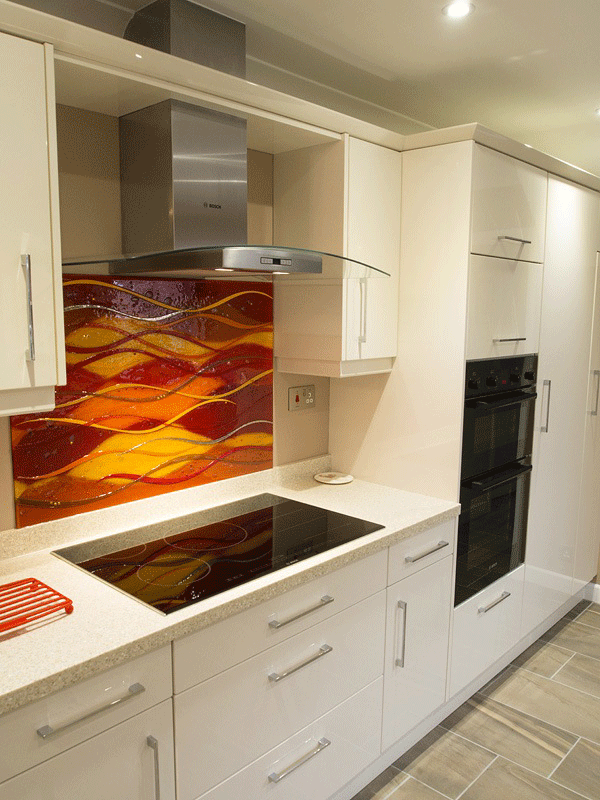 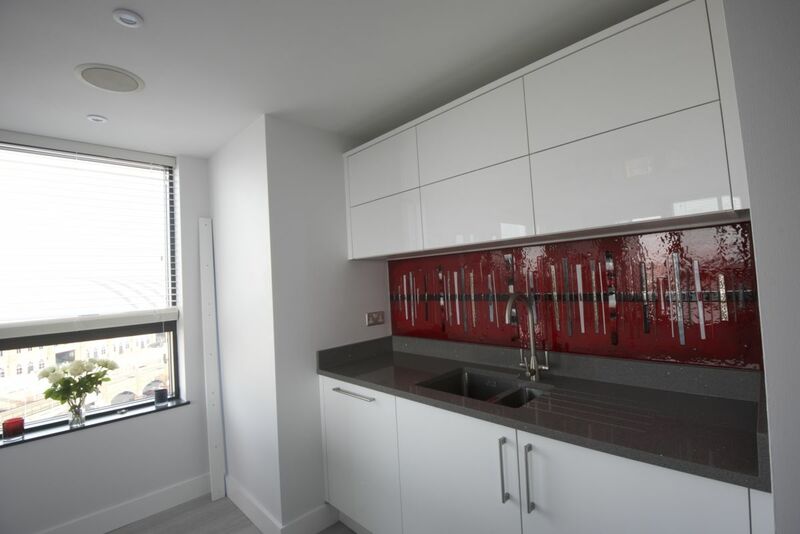 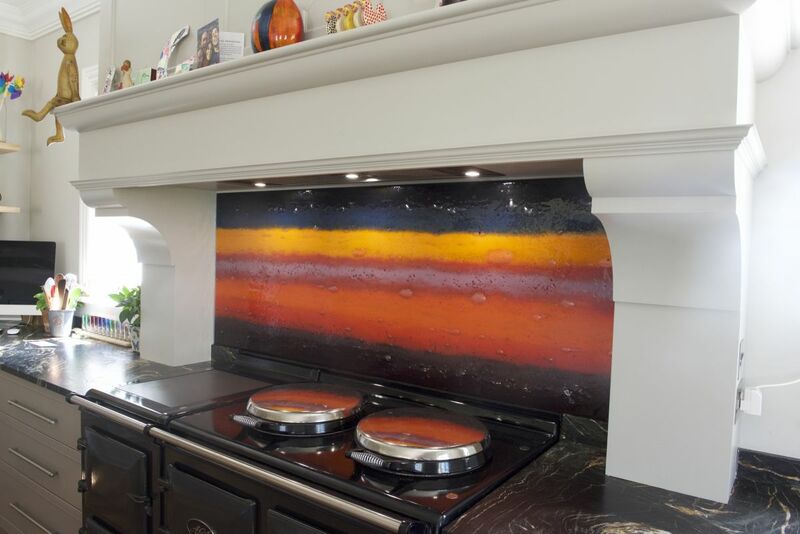 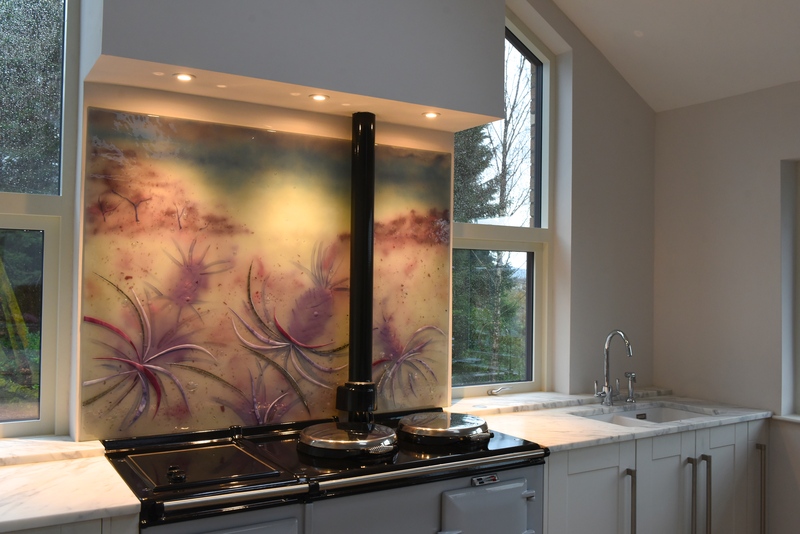 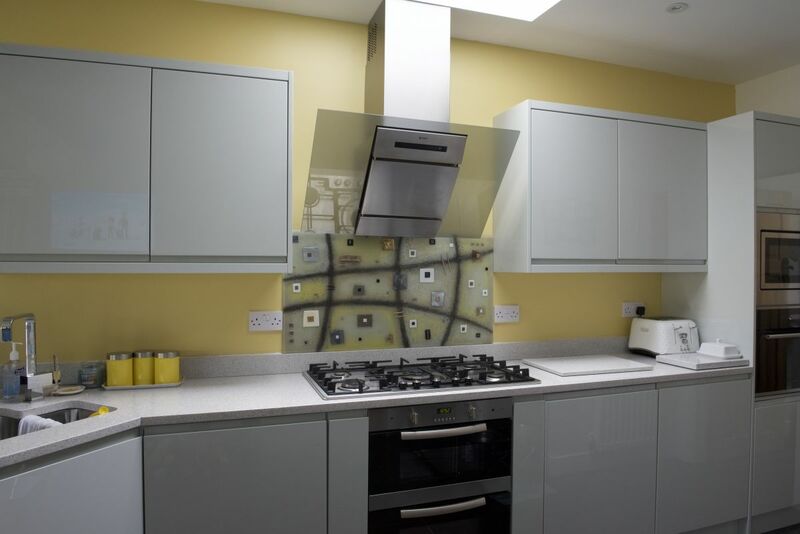 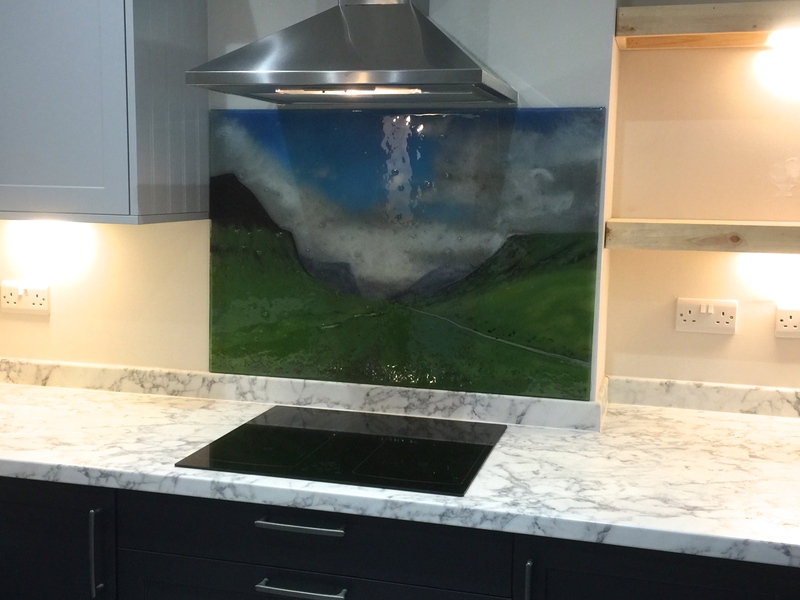 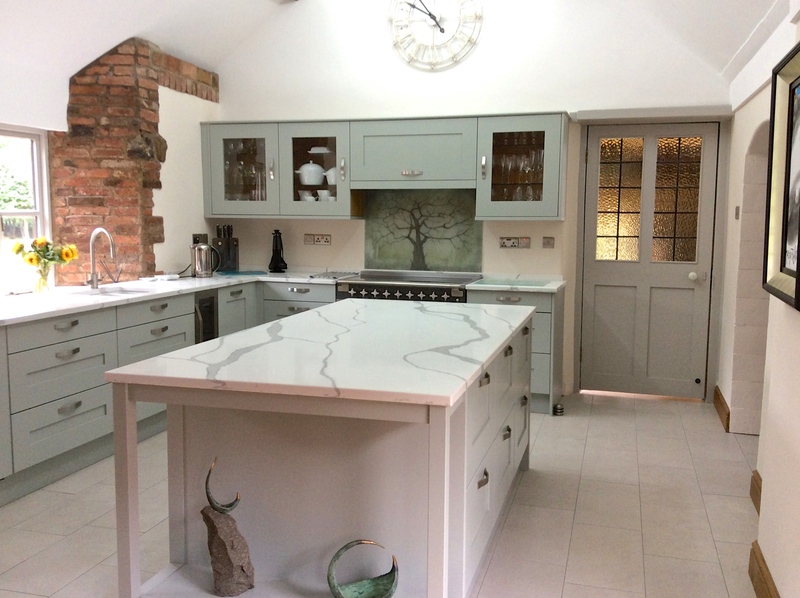 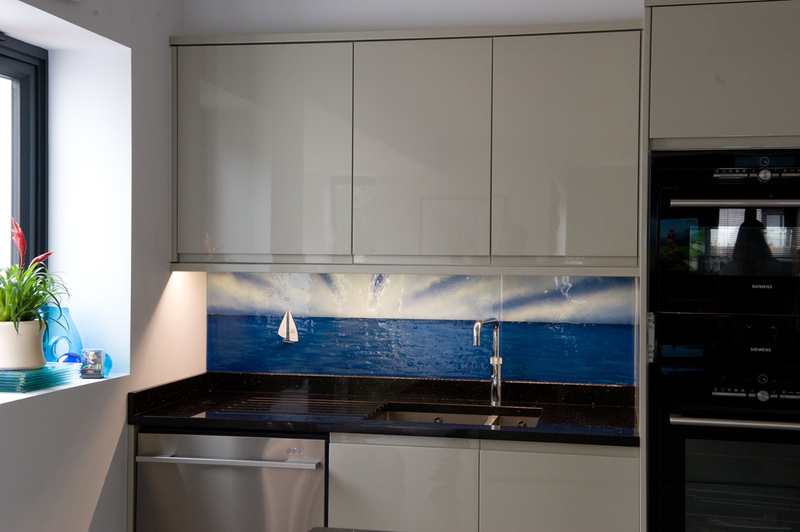 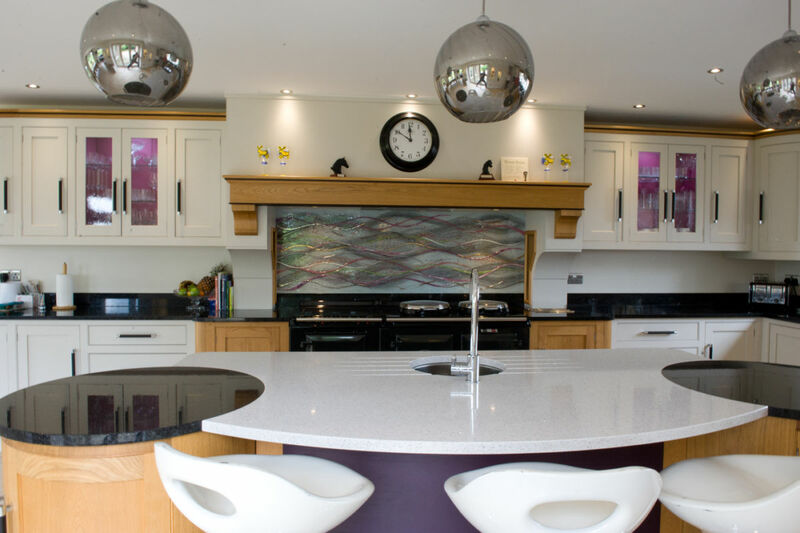 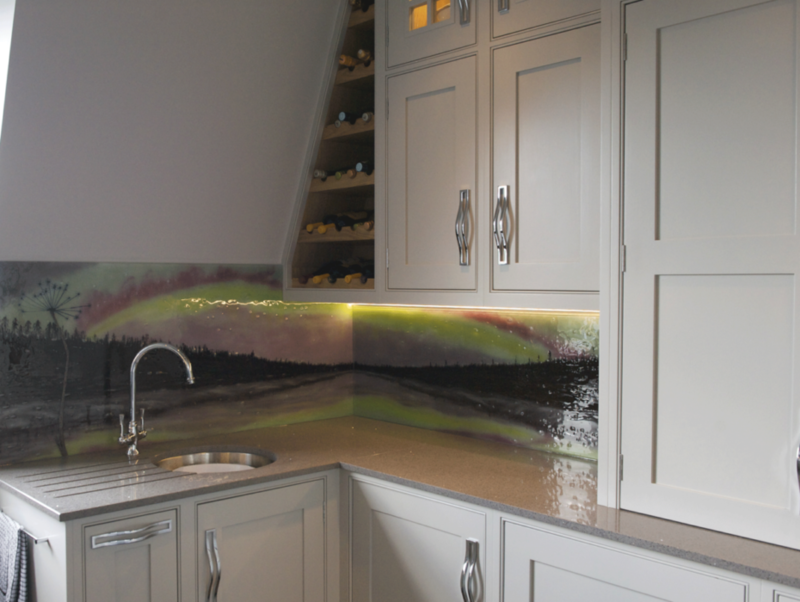 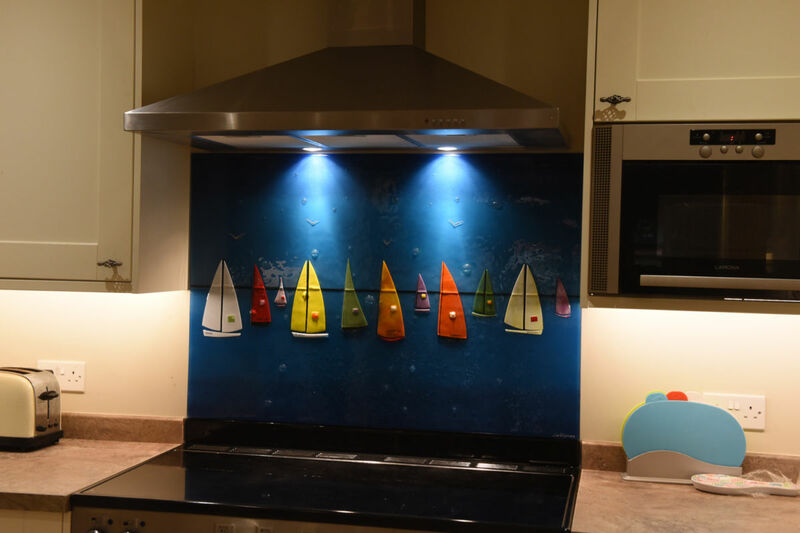 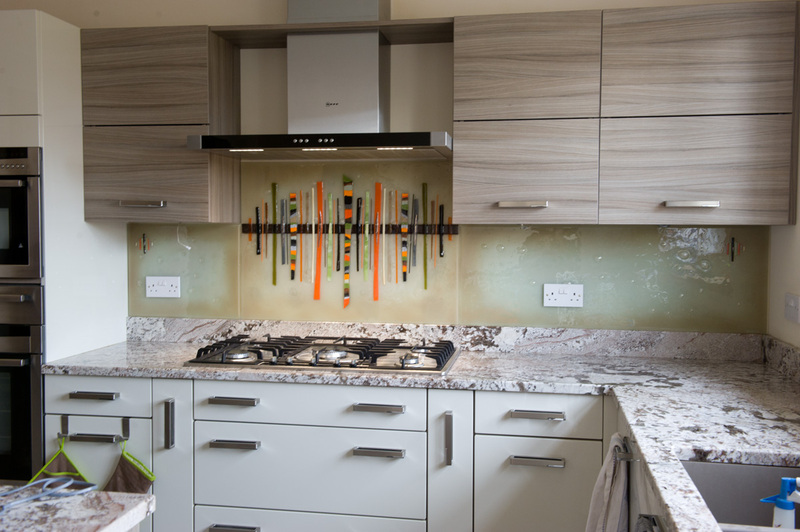 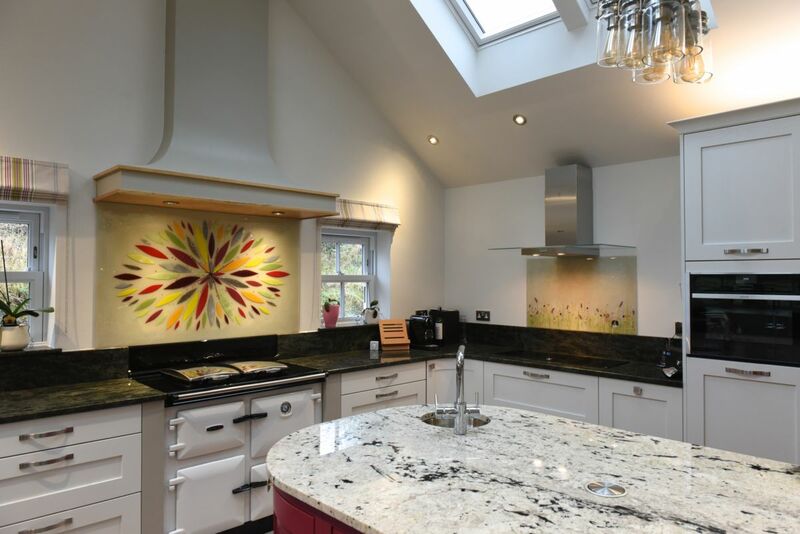 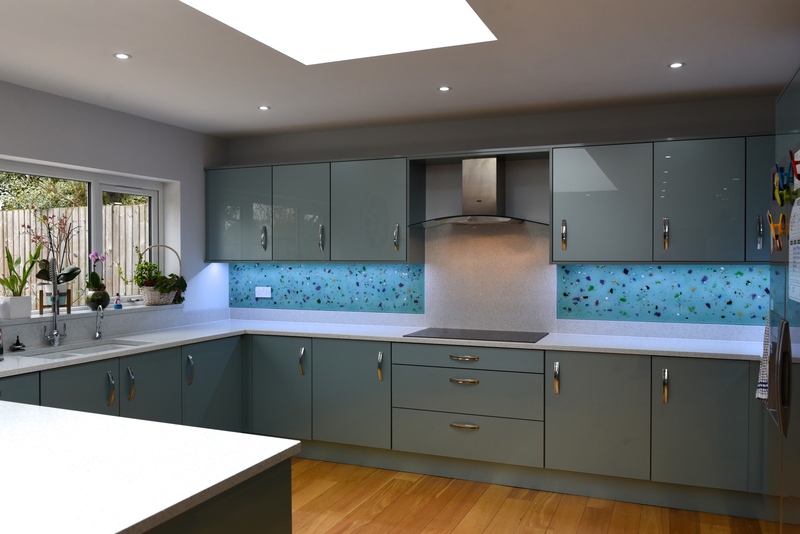 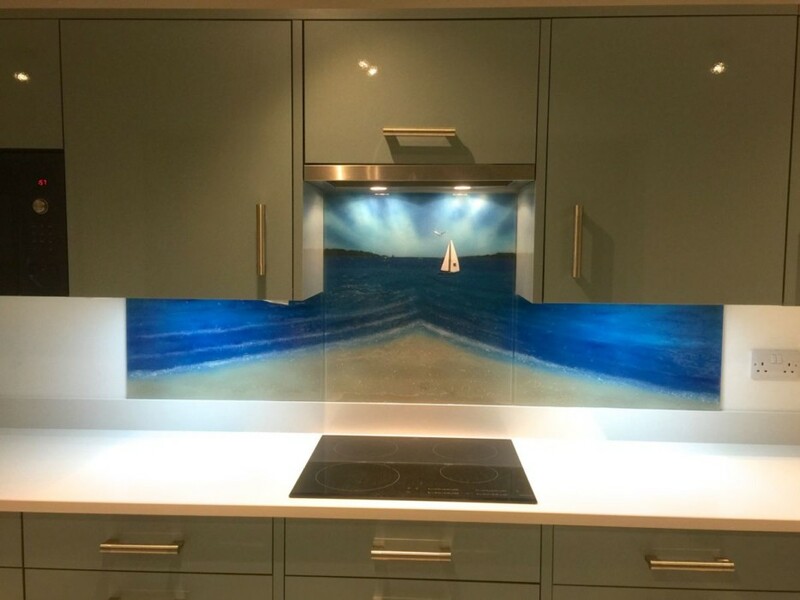 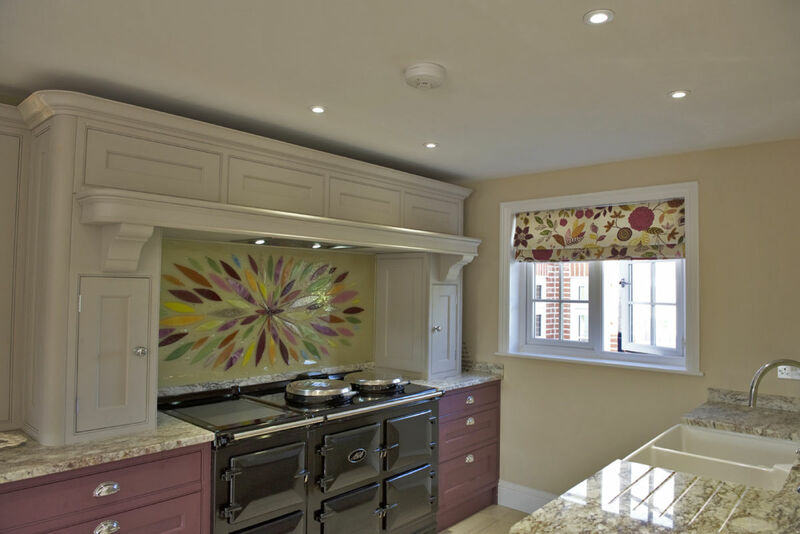 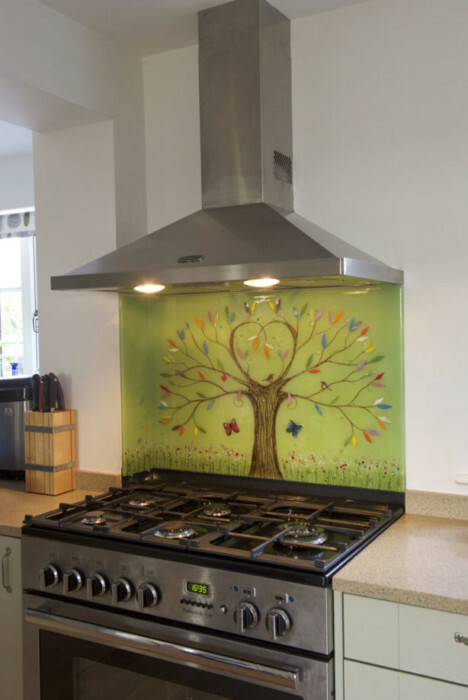 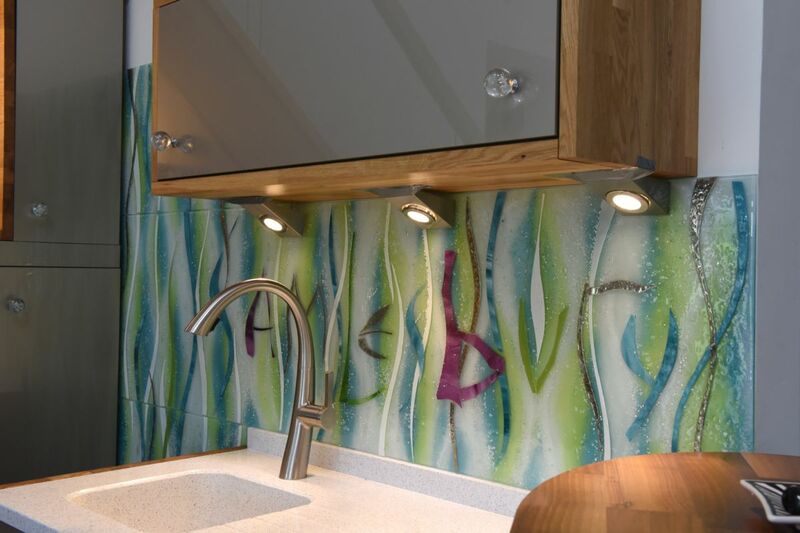 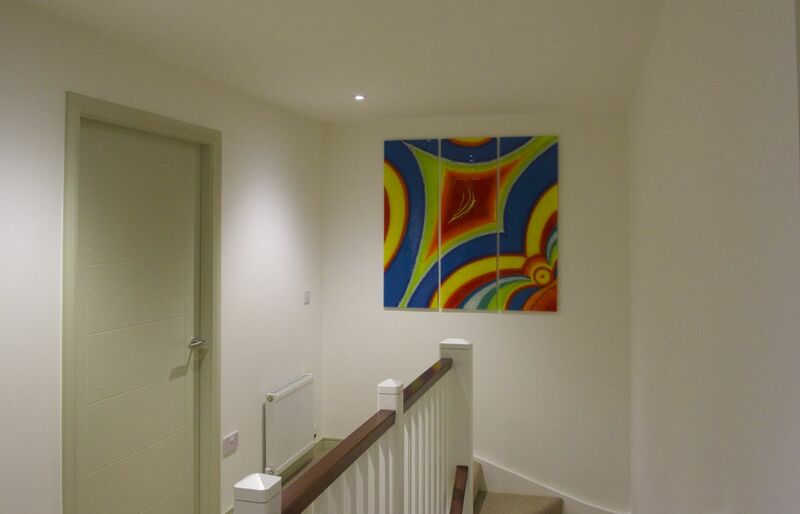 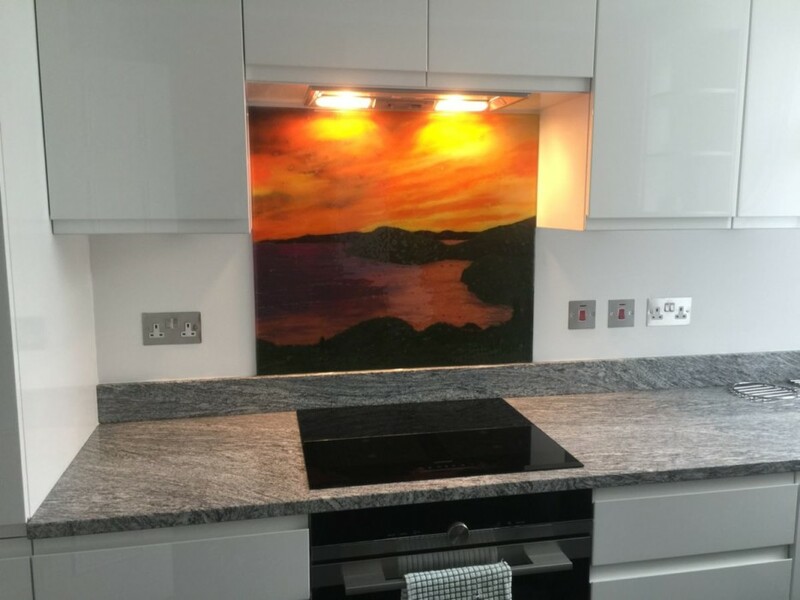 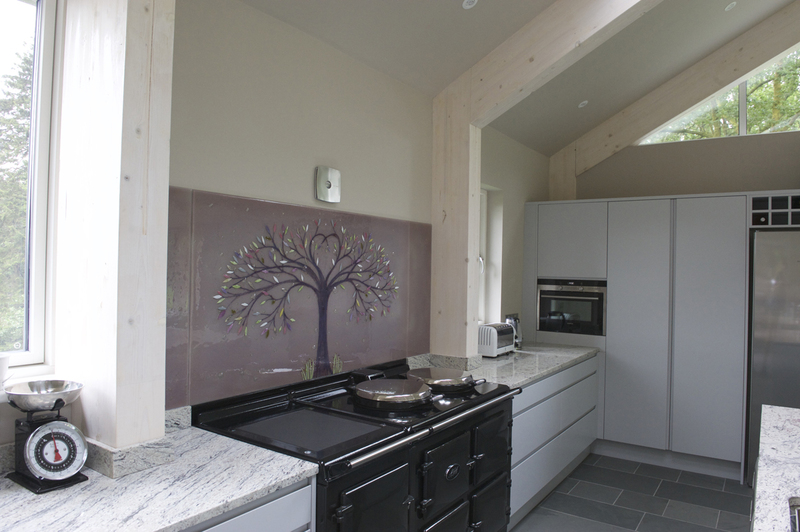 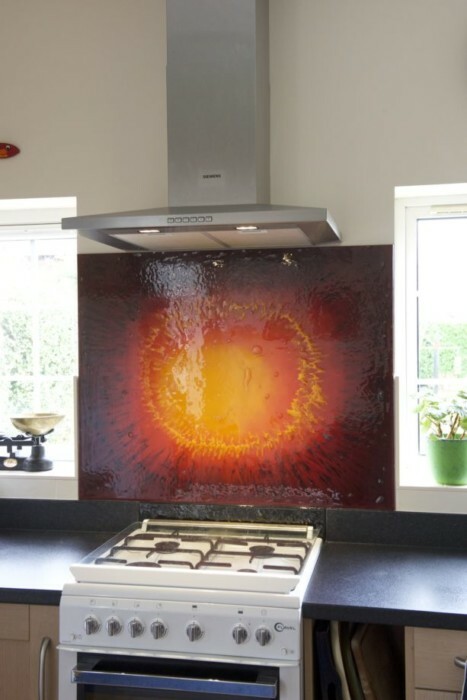 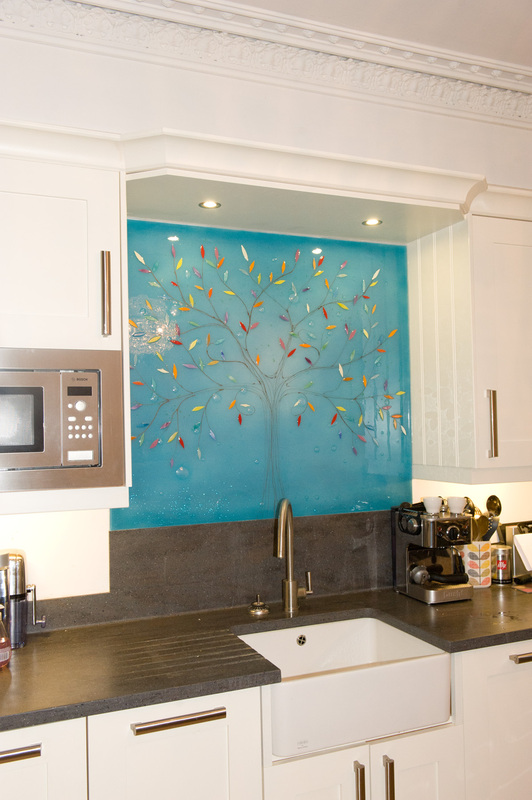 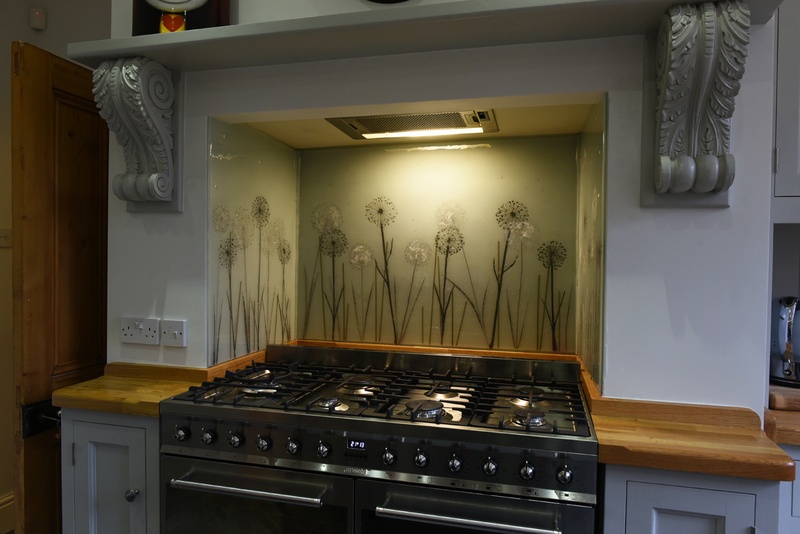 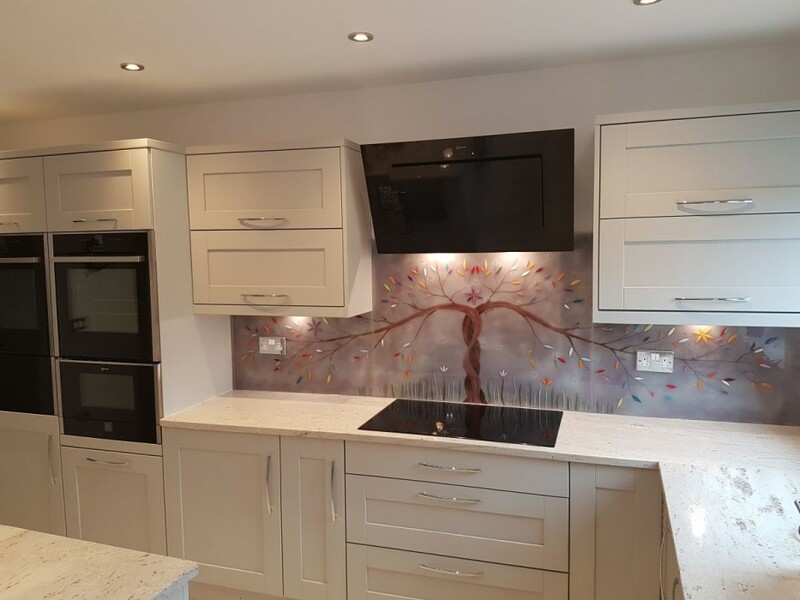 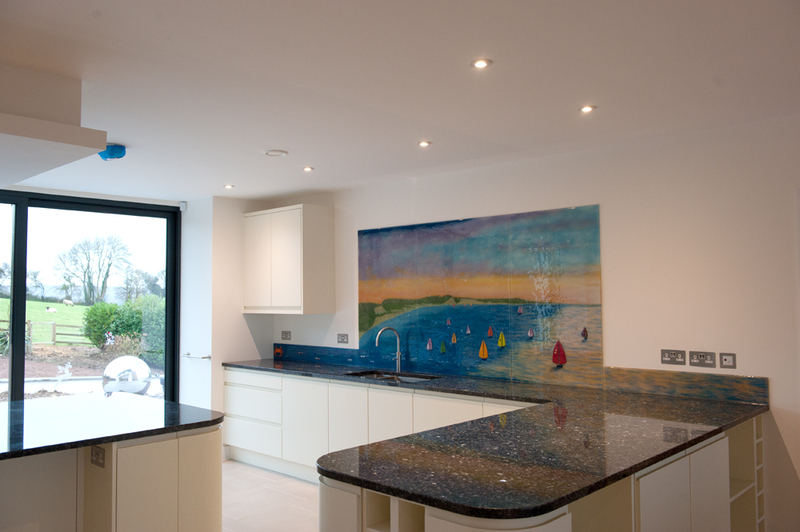 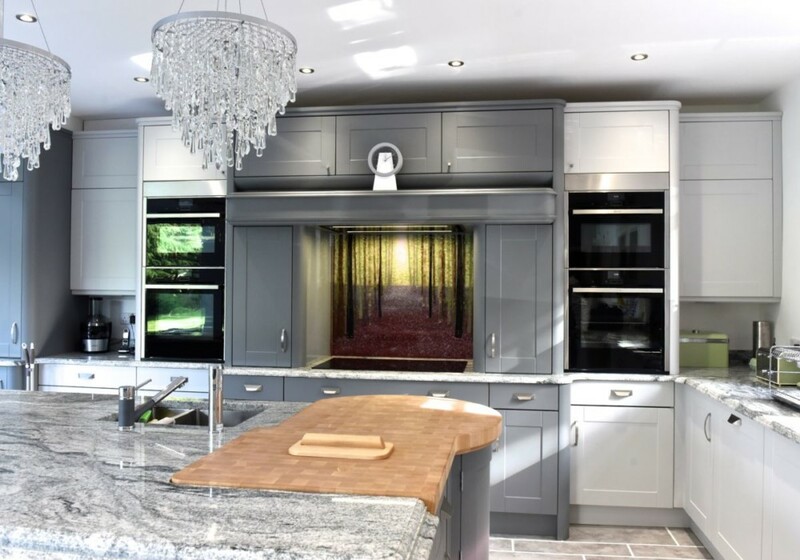 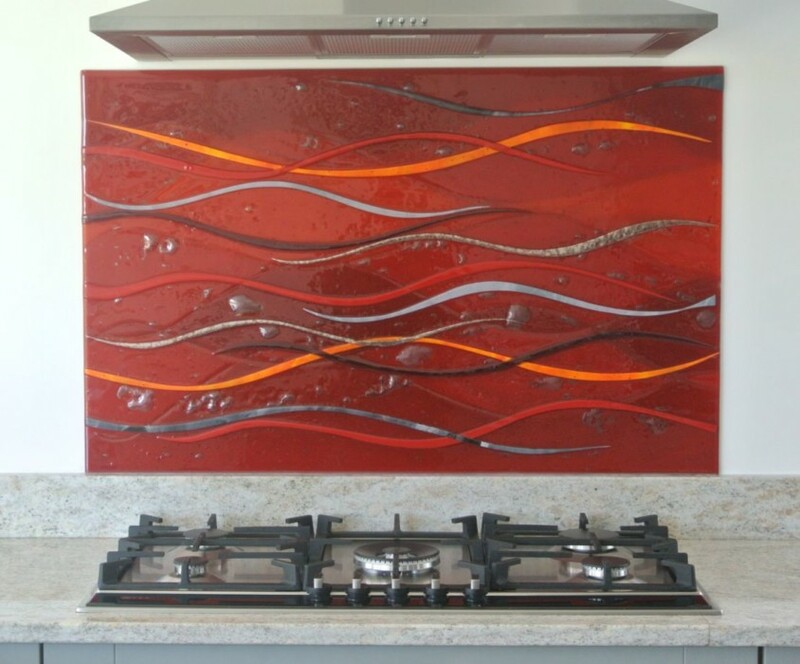 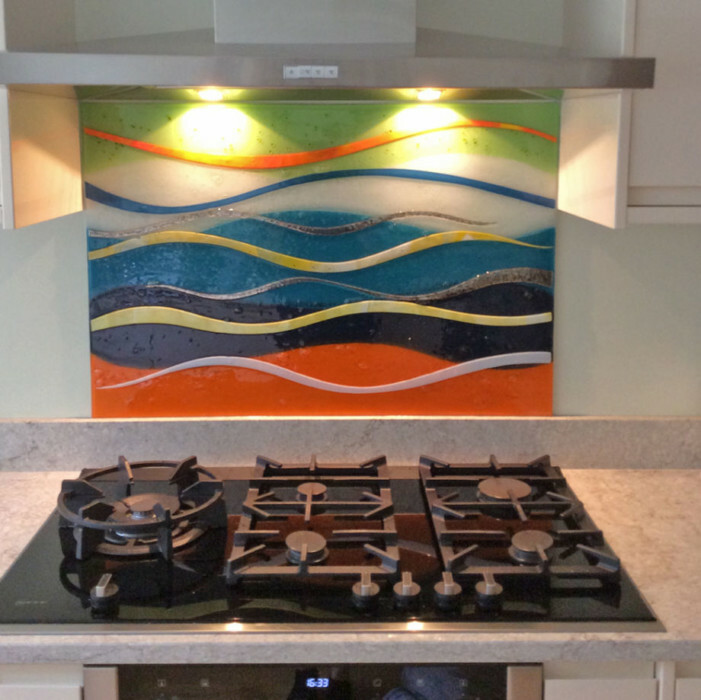 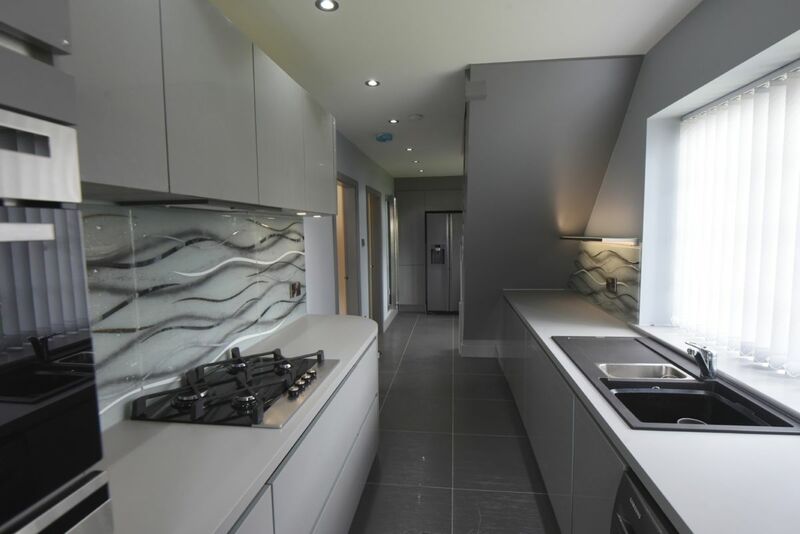 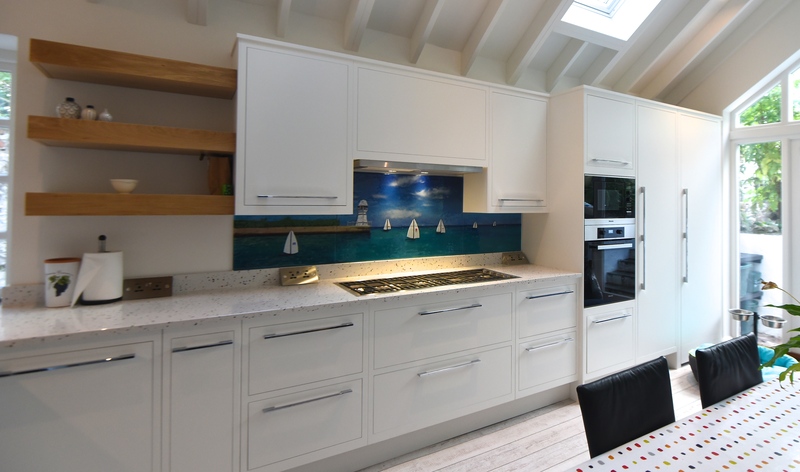 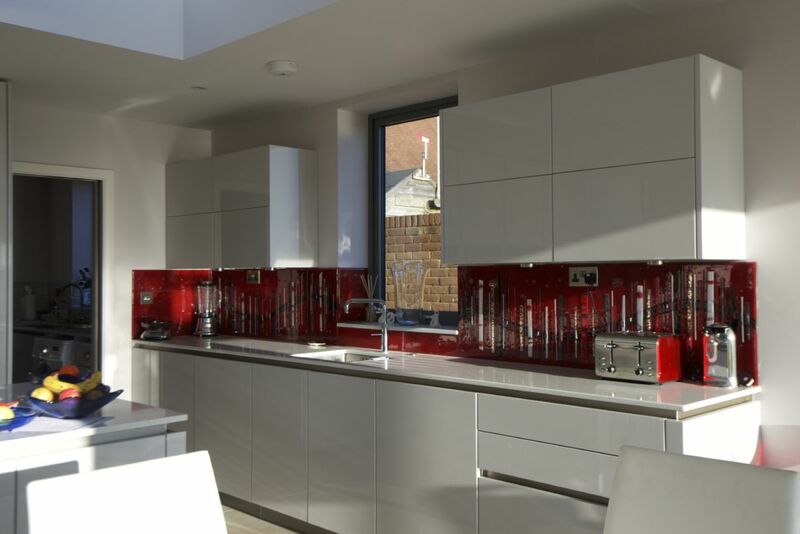 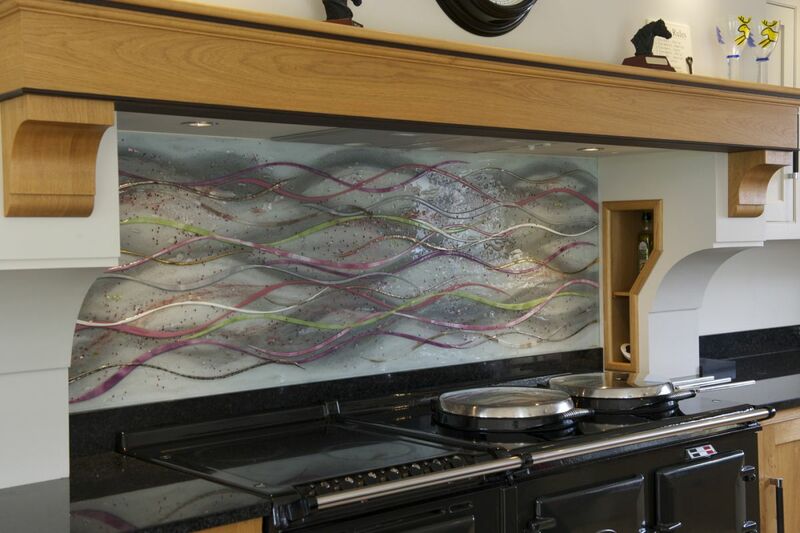 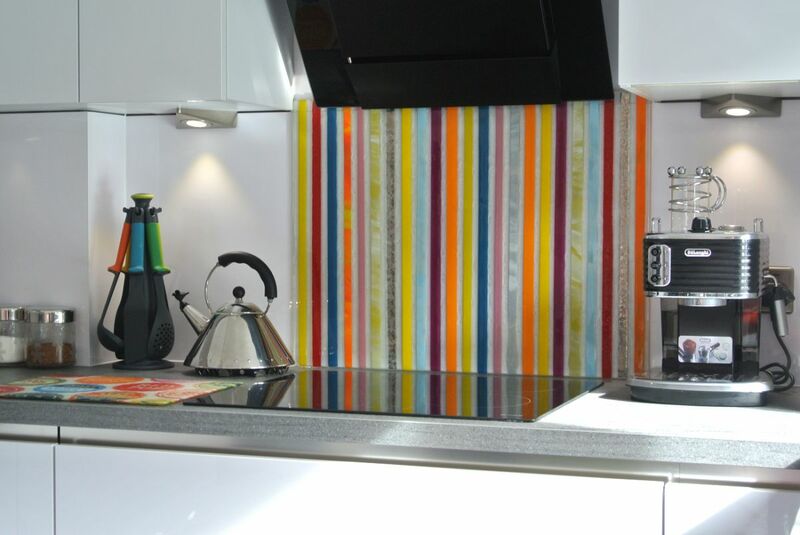 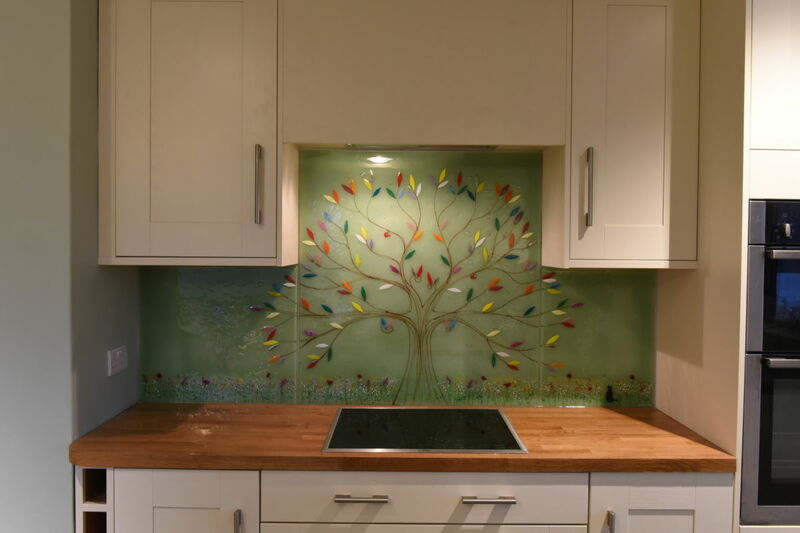 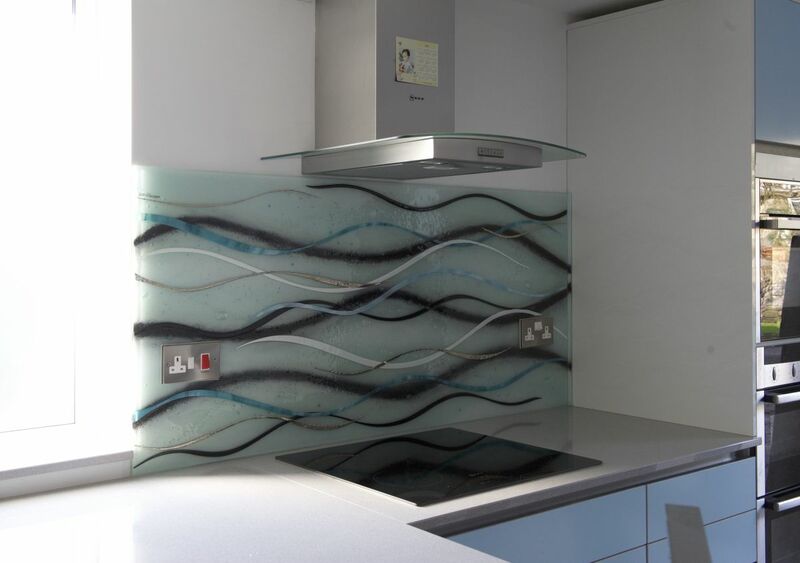 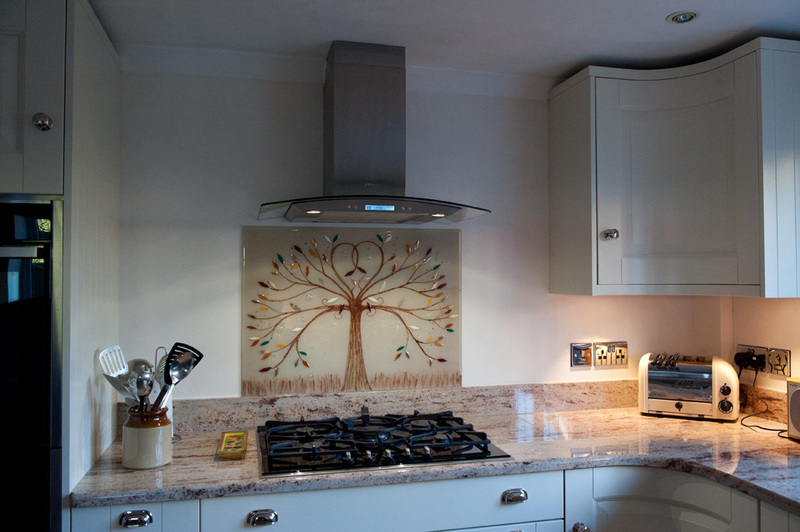 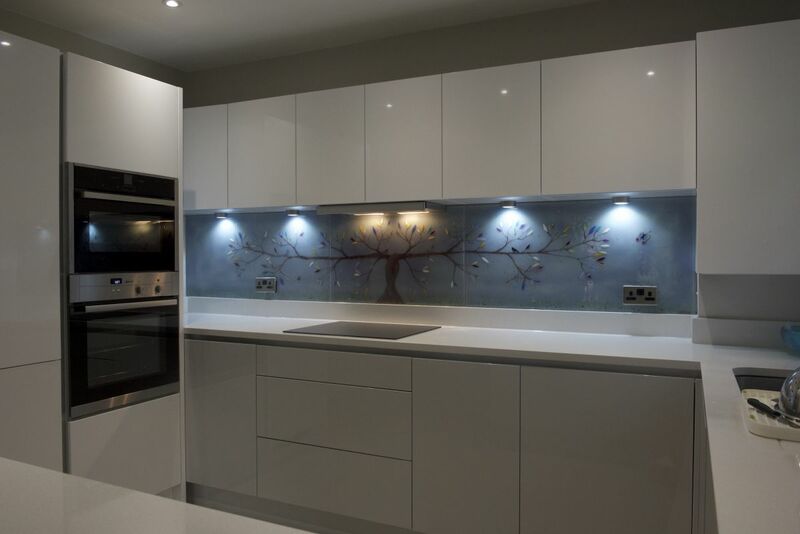 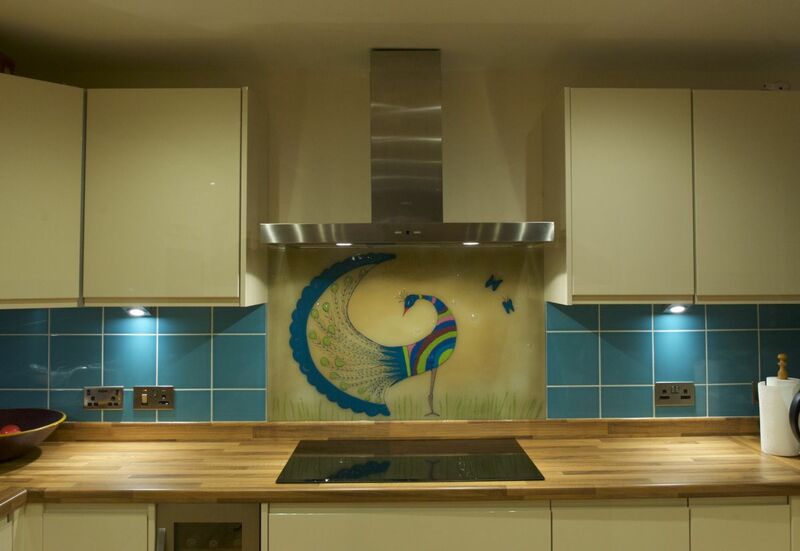 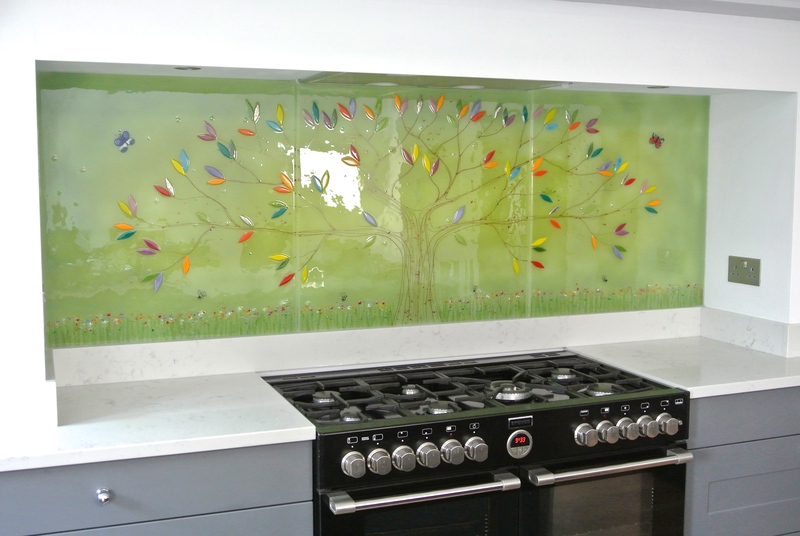 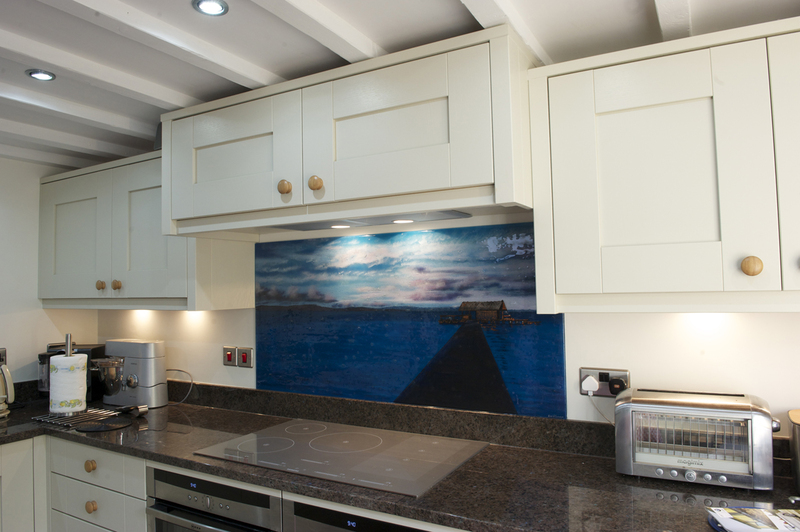 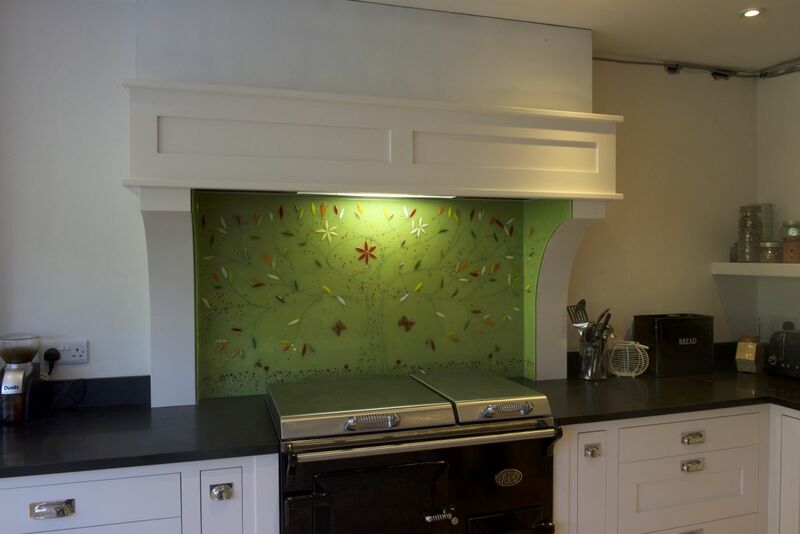 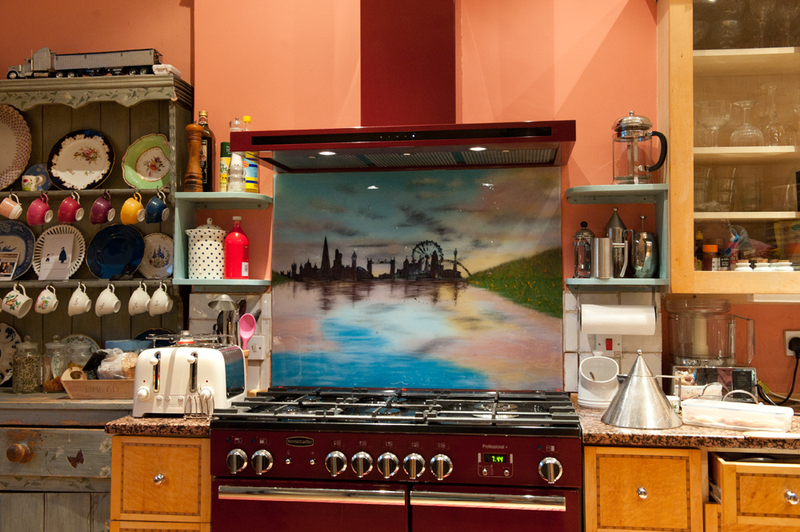 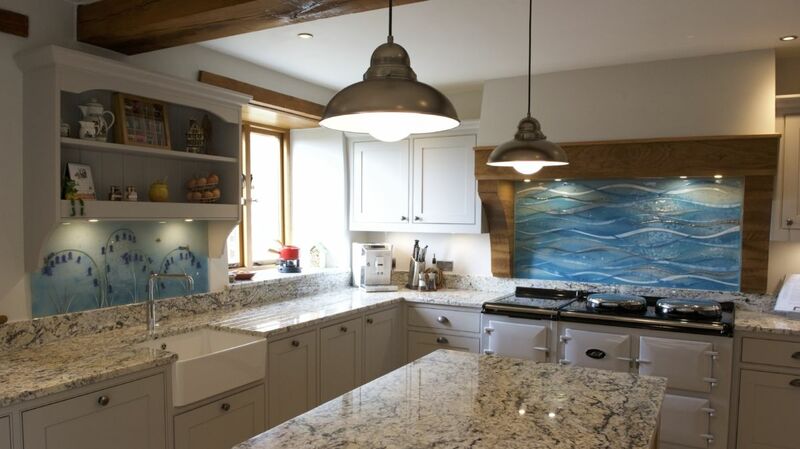 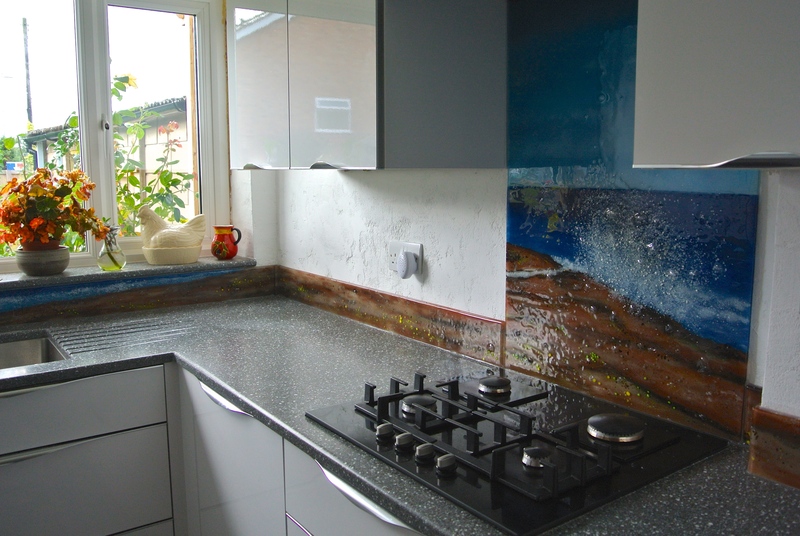 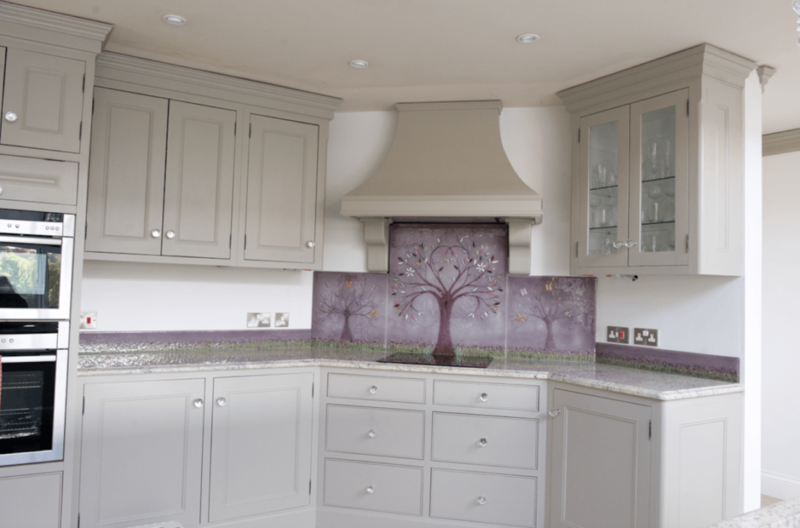 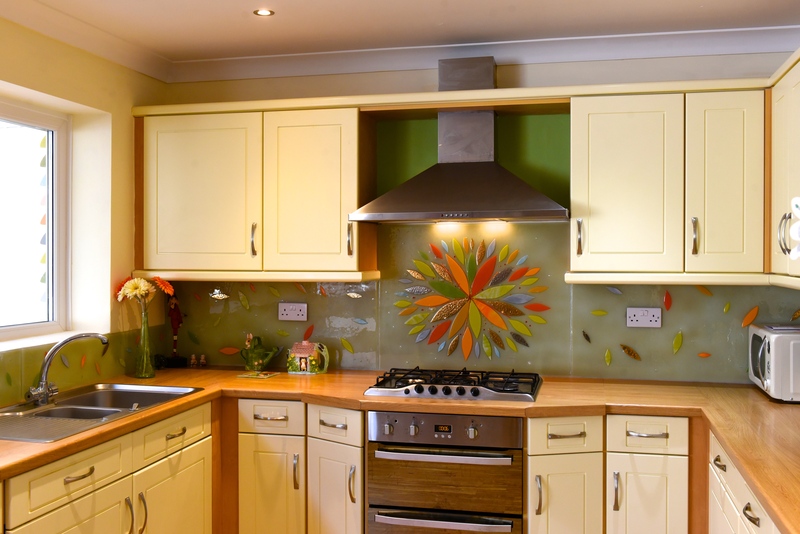 Whether you’re looking for an installation comprised of grand wall art panels, a kitchen splashback to snugly fit the space behind your cooker, or even something like a decorative bowl to complete the look of a room, we’ve definitely got something that’s perfect for you. 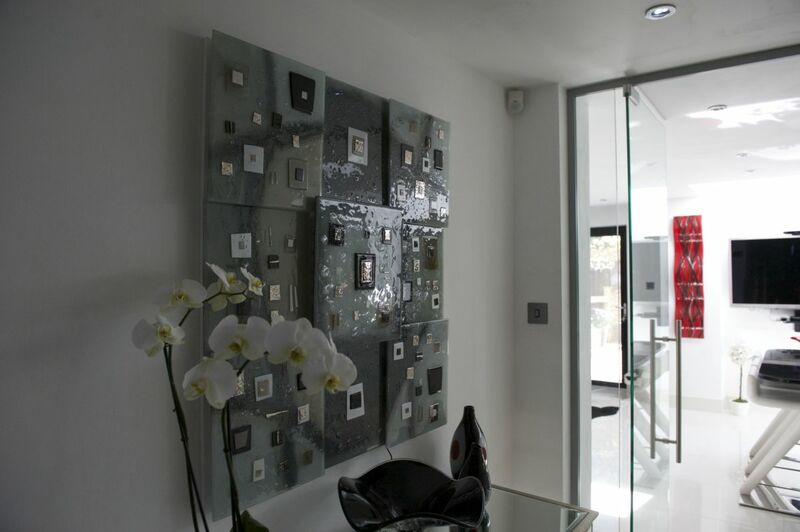 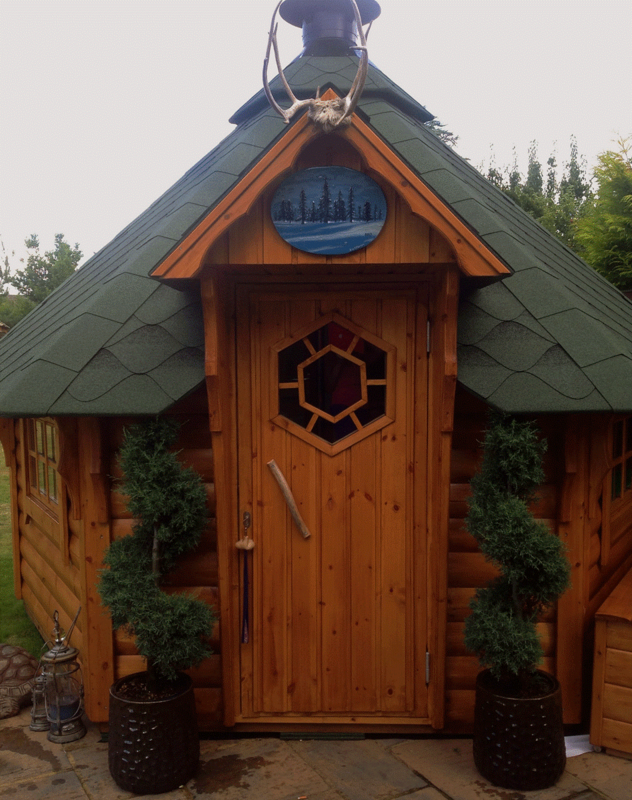 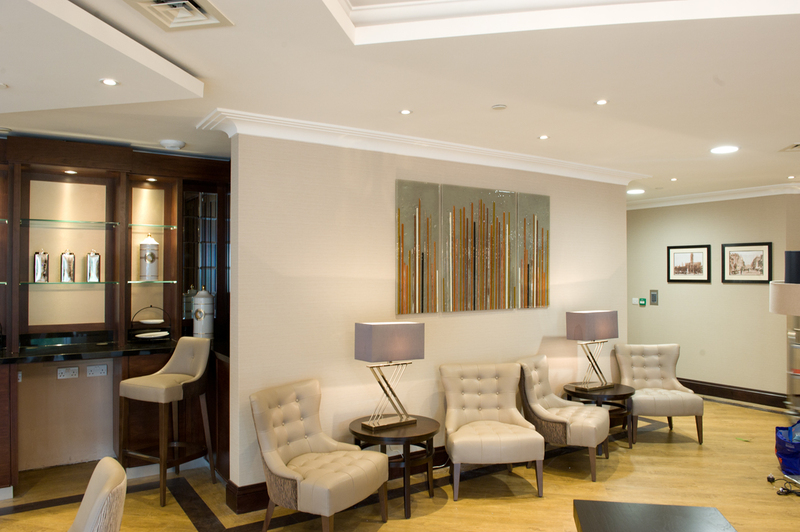 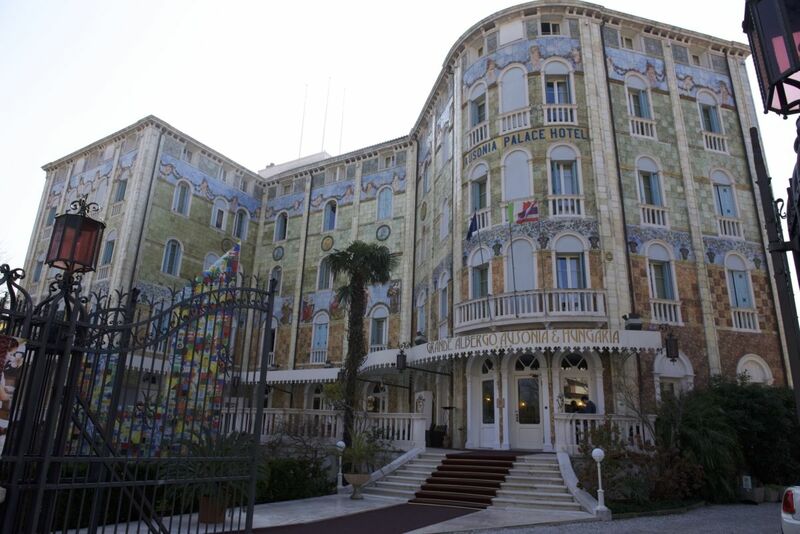 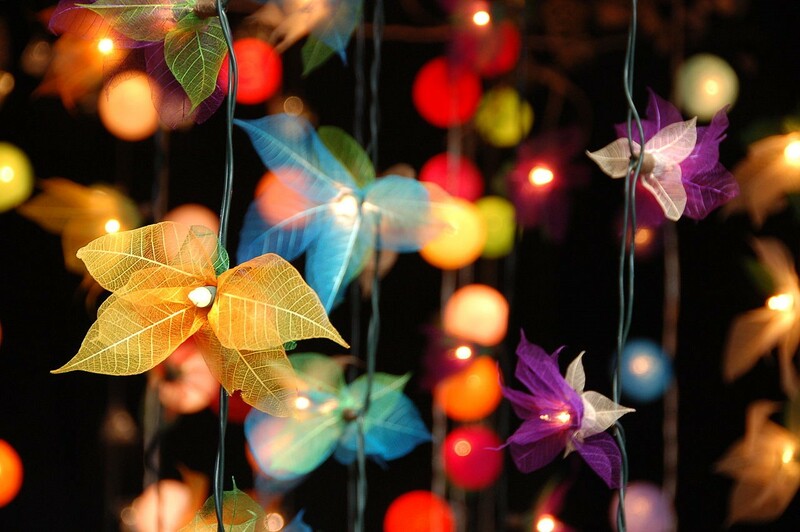 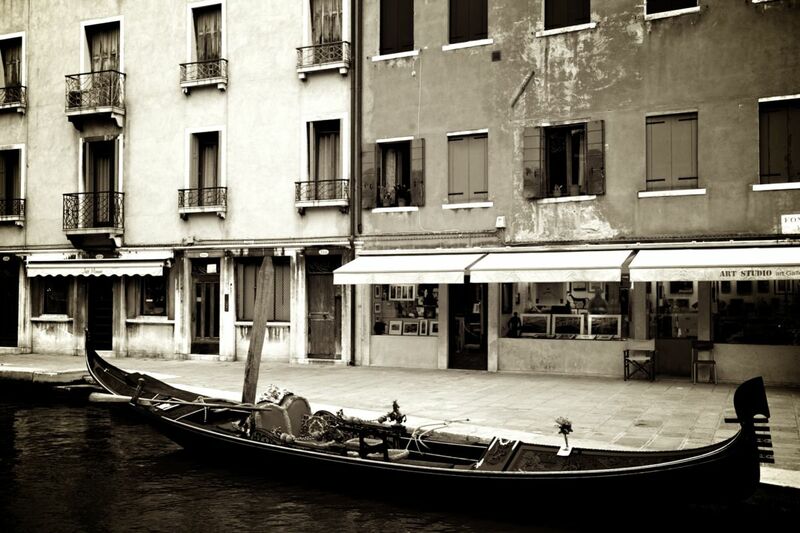 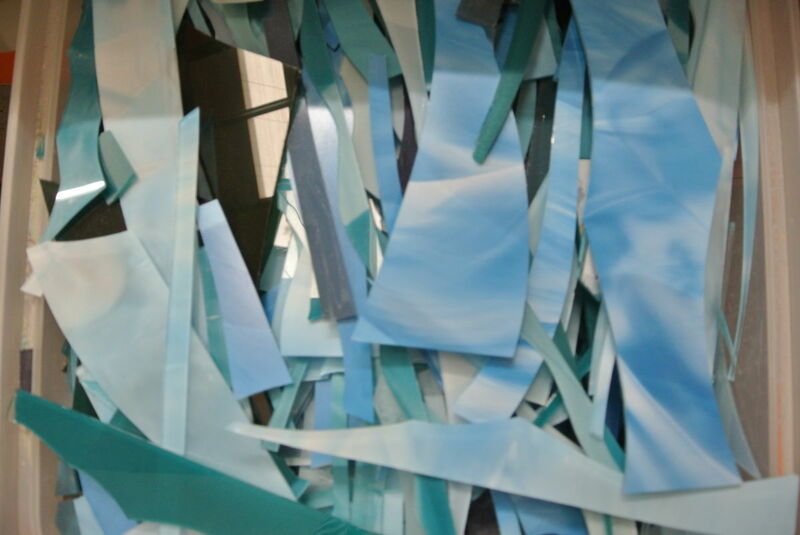 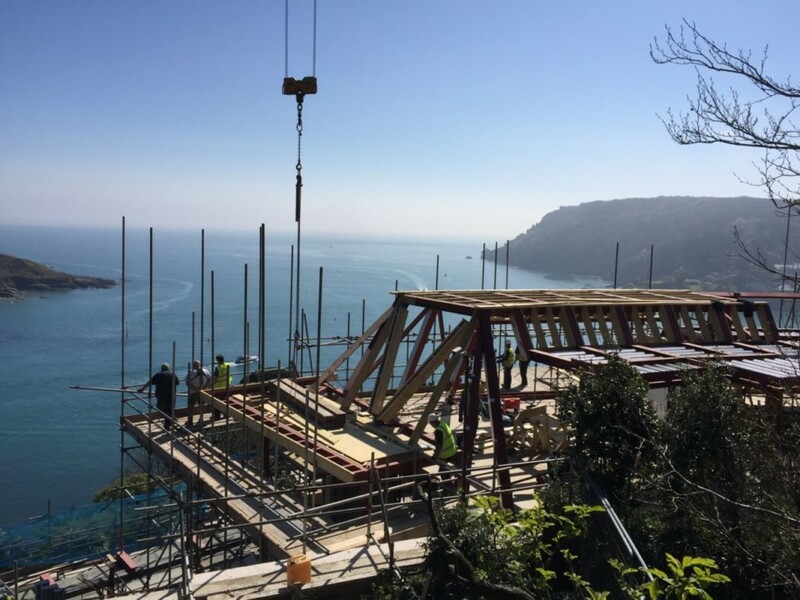 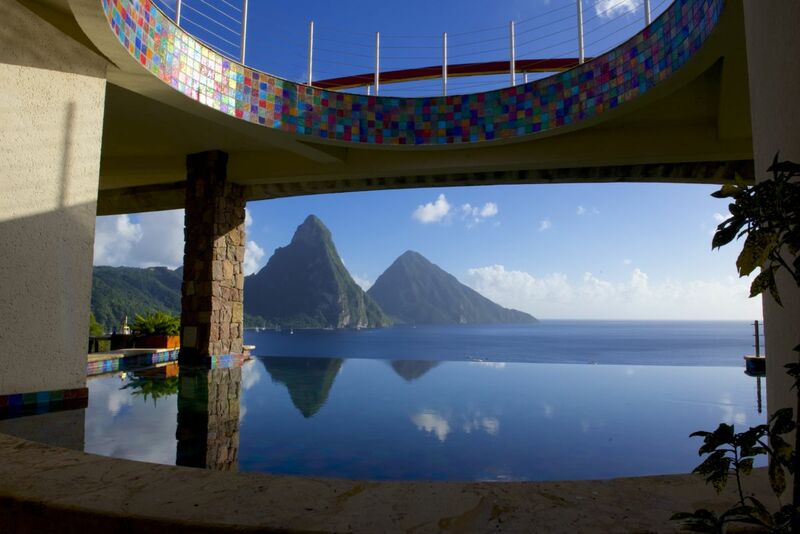 After all, we create everything completely bespoke and hand made to bring your best ideas to life. 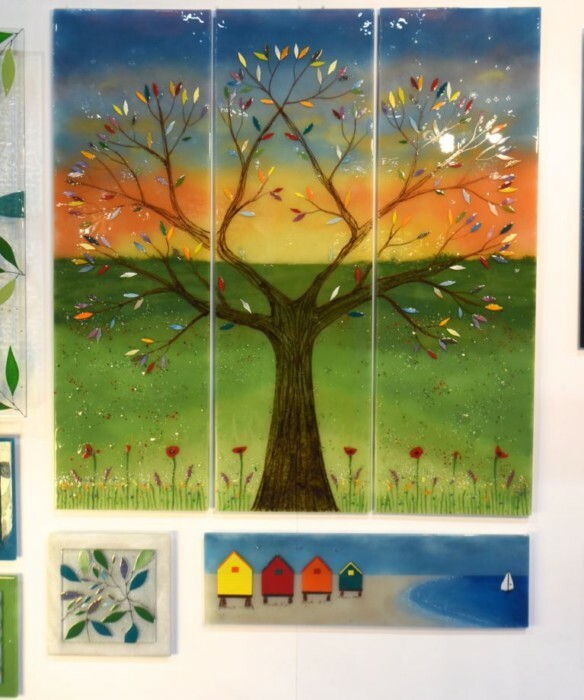 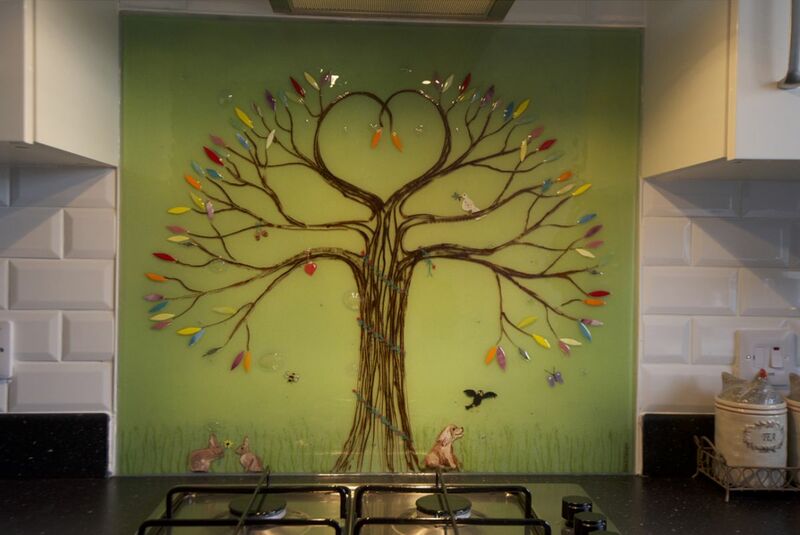 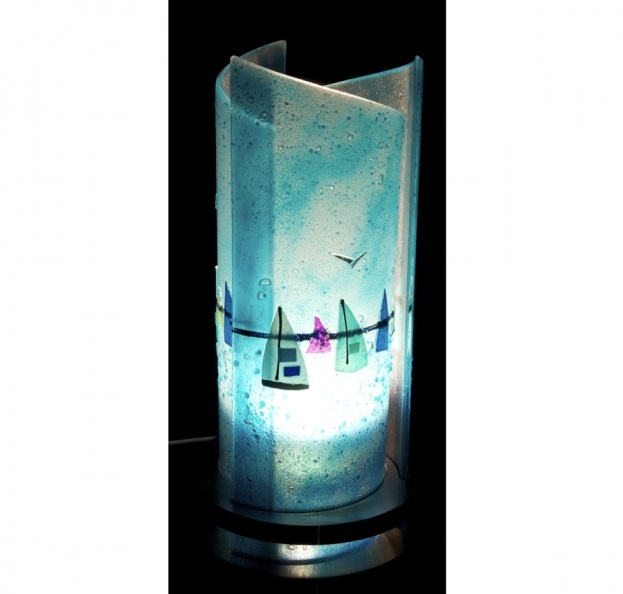 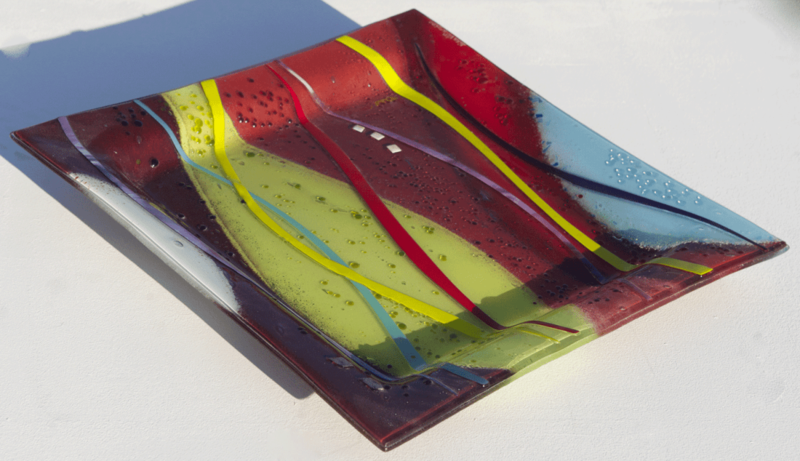 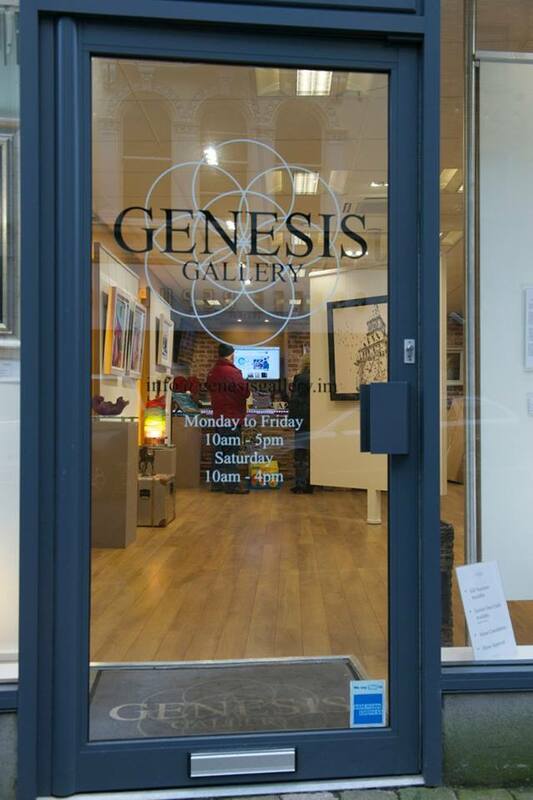 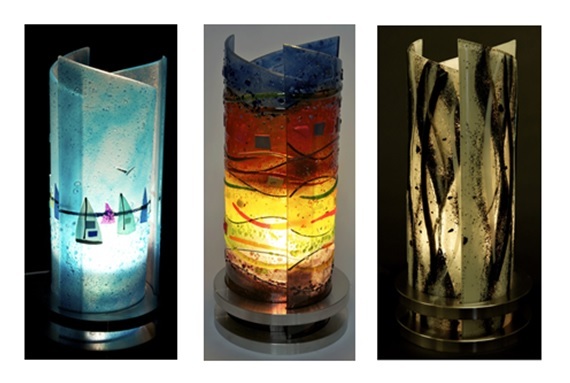 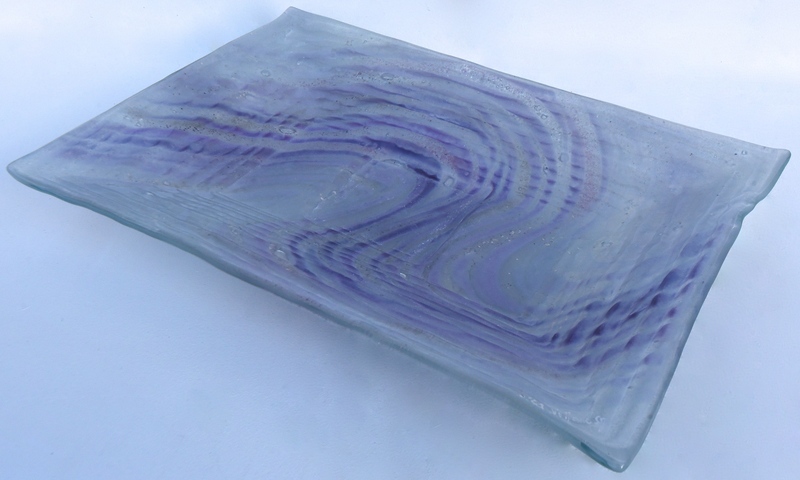 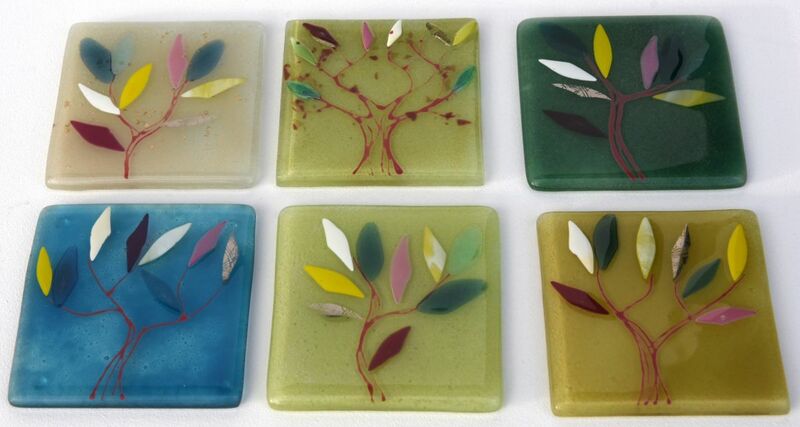 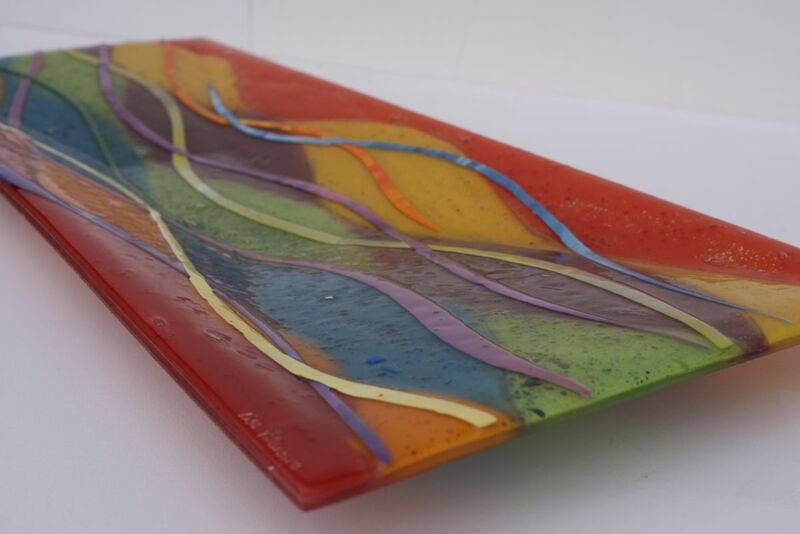 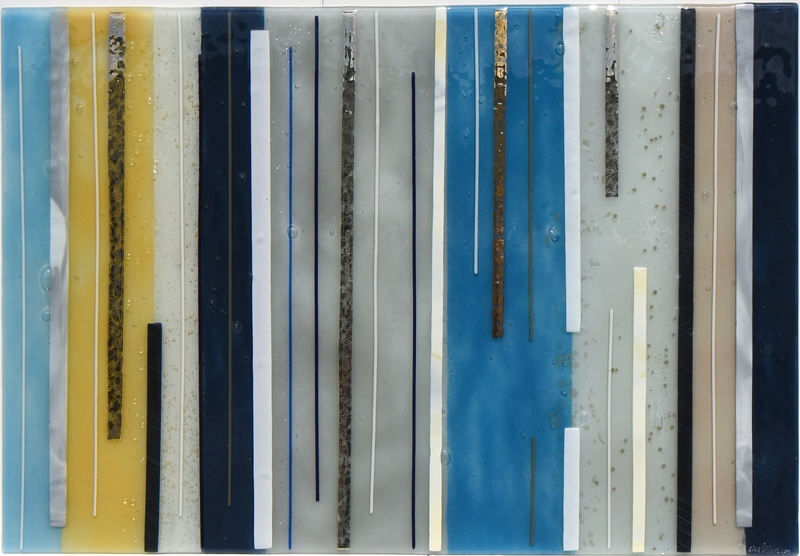 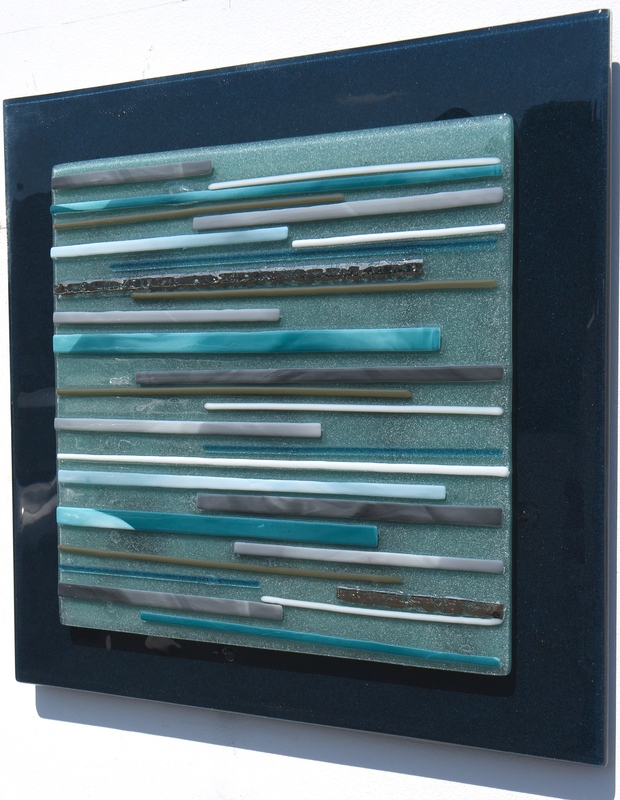 If you’ve got a great idea for something you’d love to have captured in fused glass art, why not let us know all about it? 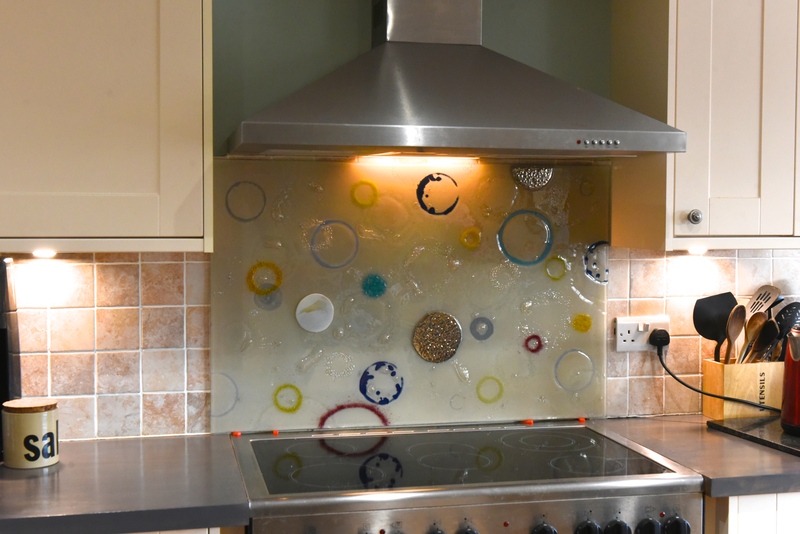 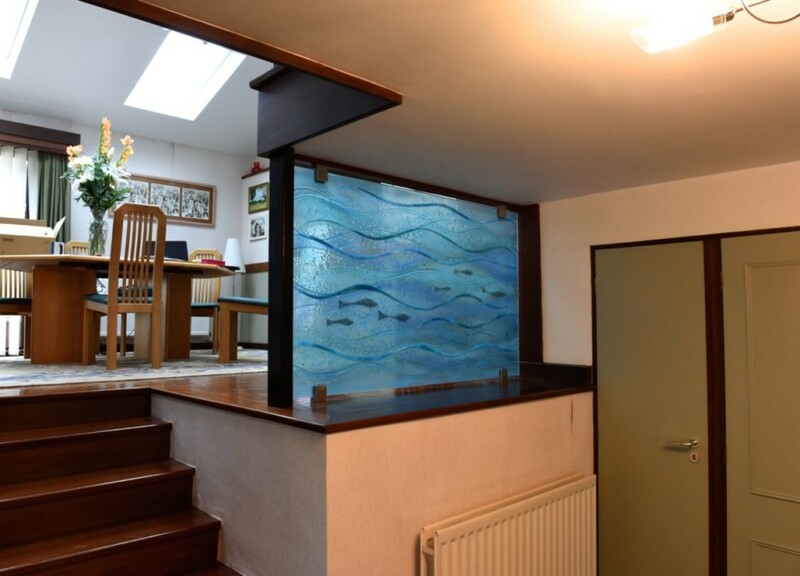 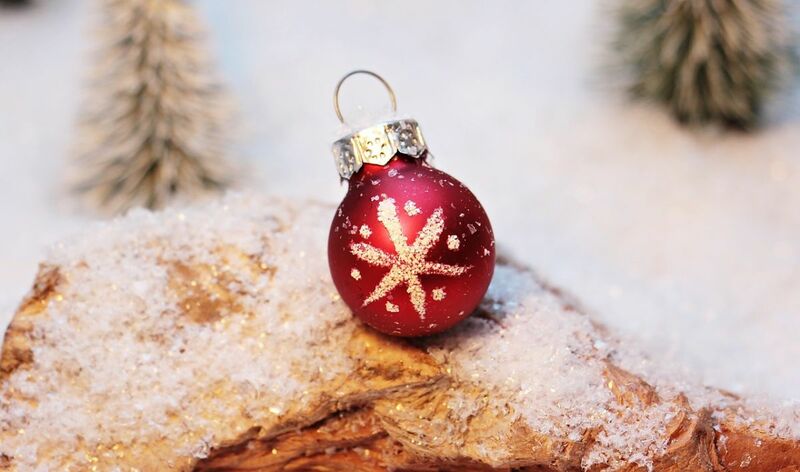 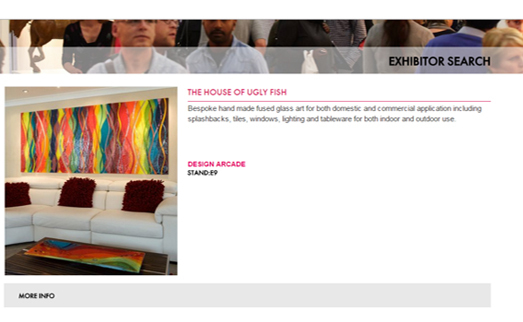 We here at The House of Ugly Fish would be more than happy to bring your ideal piece of glass to life, so make sure you don’t wait to pick up the phone and get in touch as soon as you can! 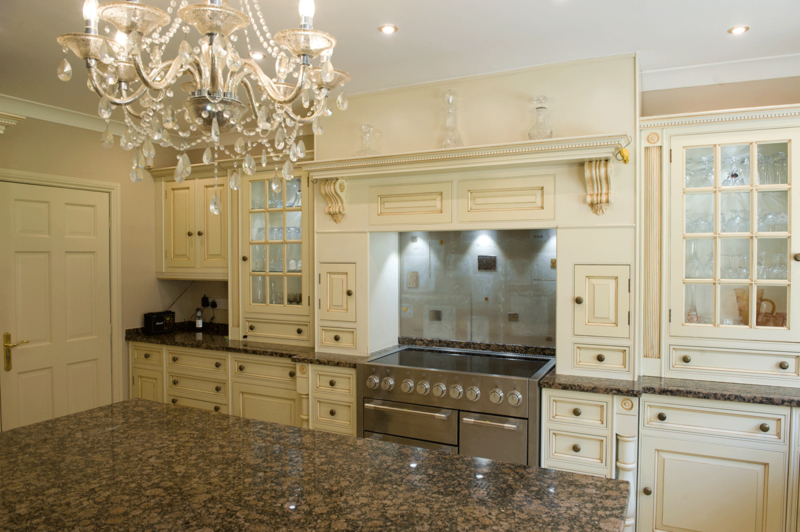 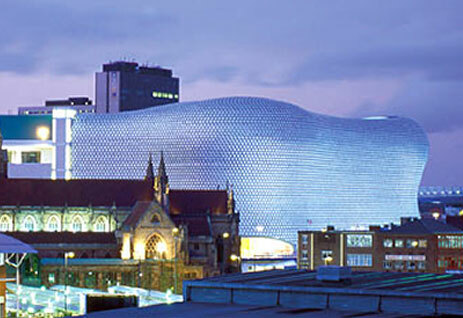 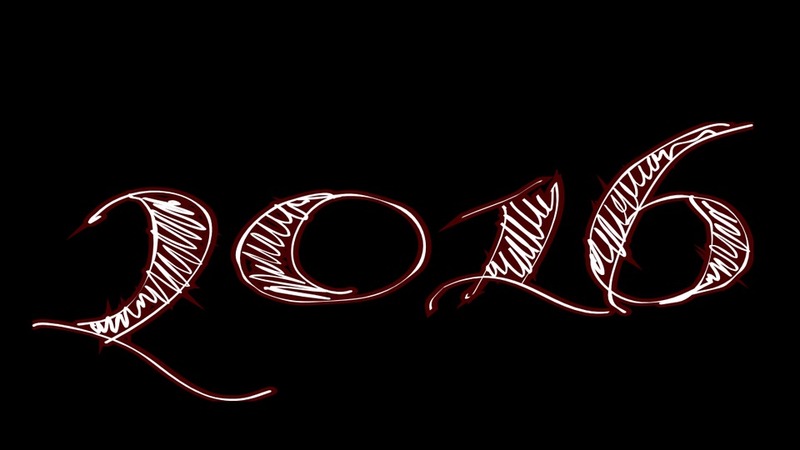 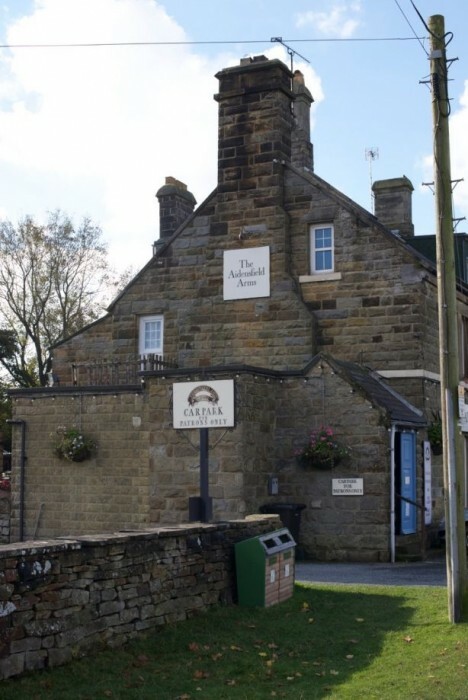 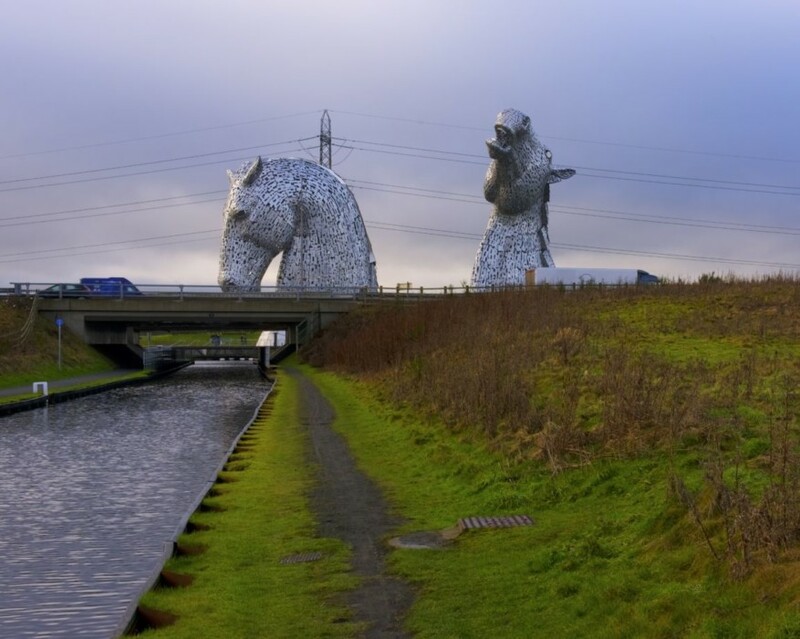 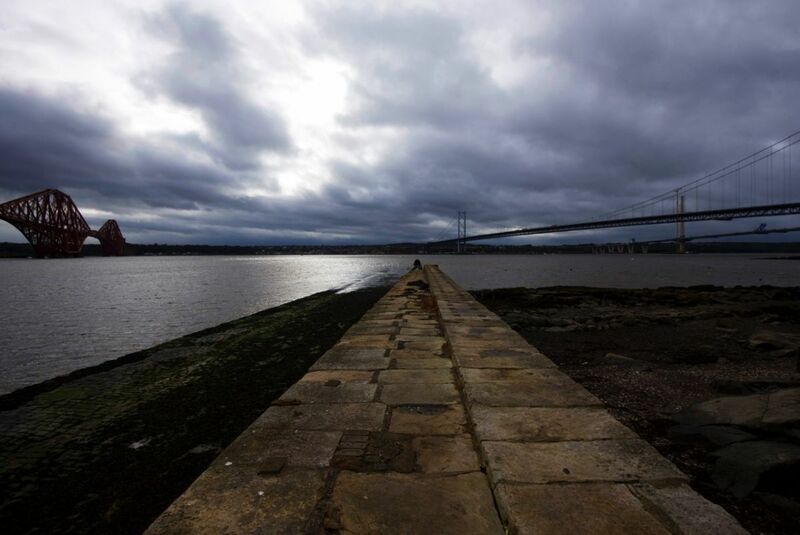 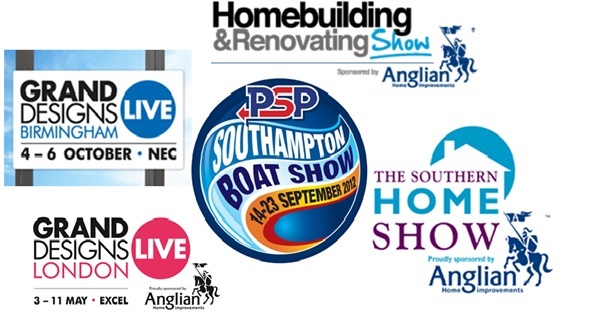 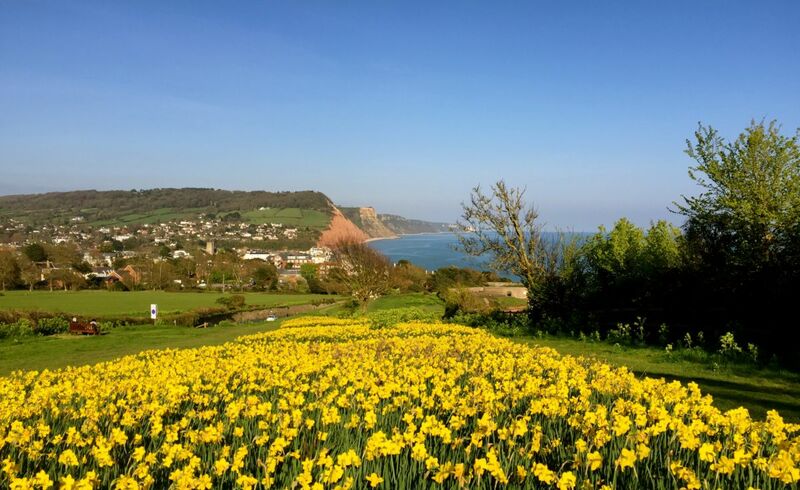 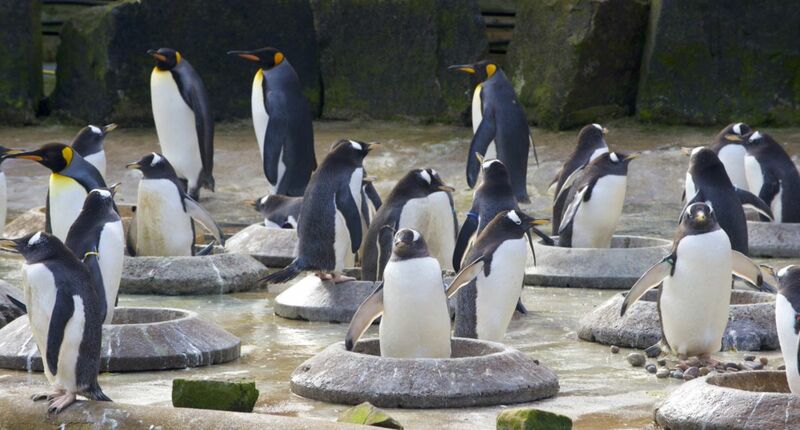 You can reach us by email or phone via the details right here on the contact page of our website.